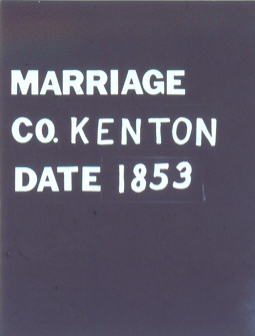 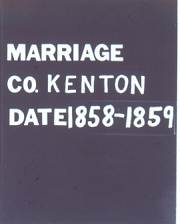 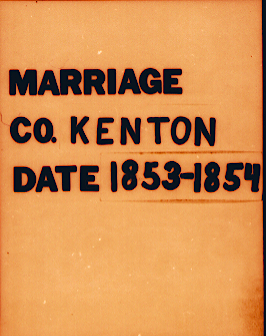 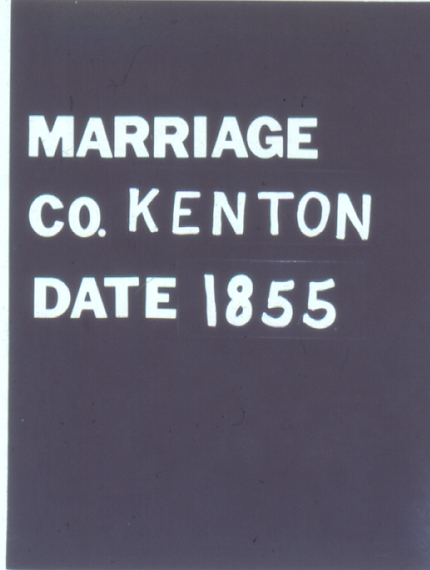 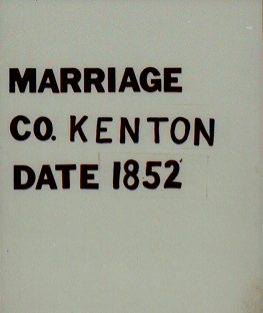 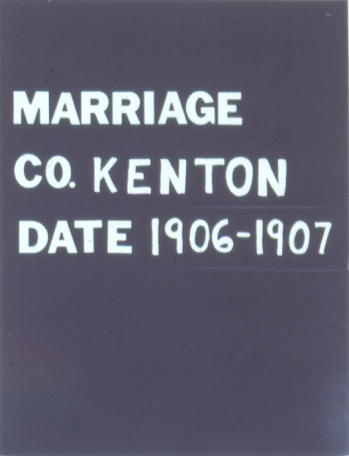 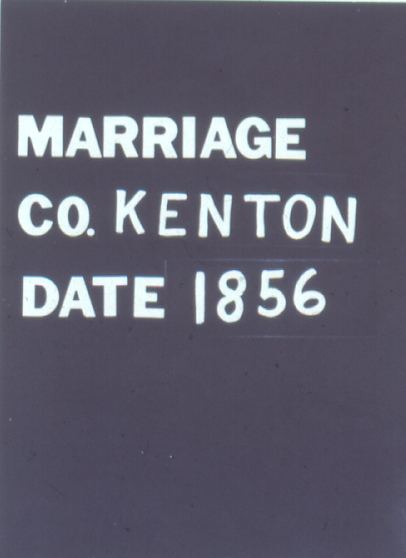 Kenton County has two locations for the recording of marriages, Covington and Independence. 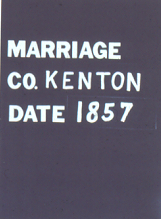 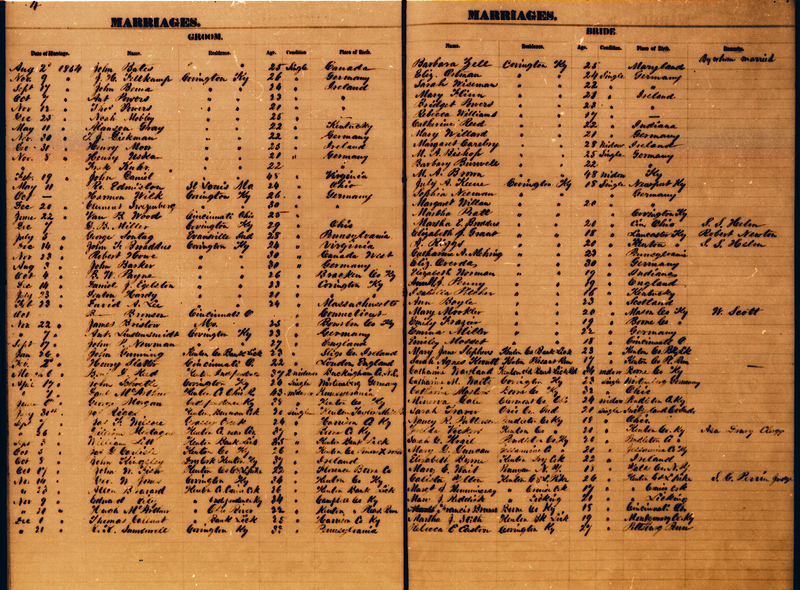 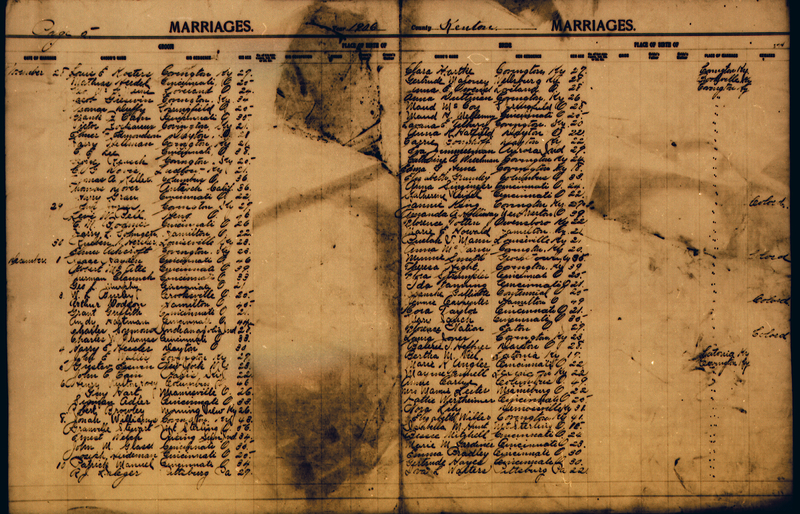 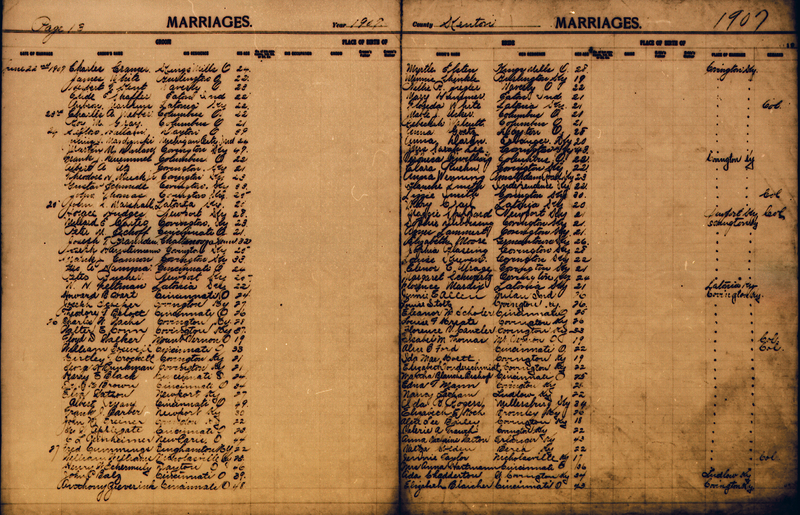 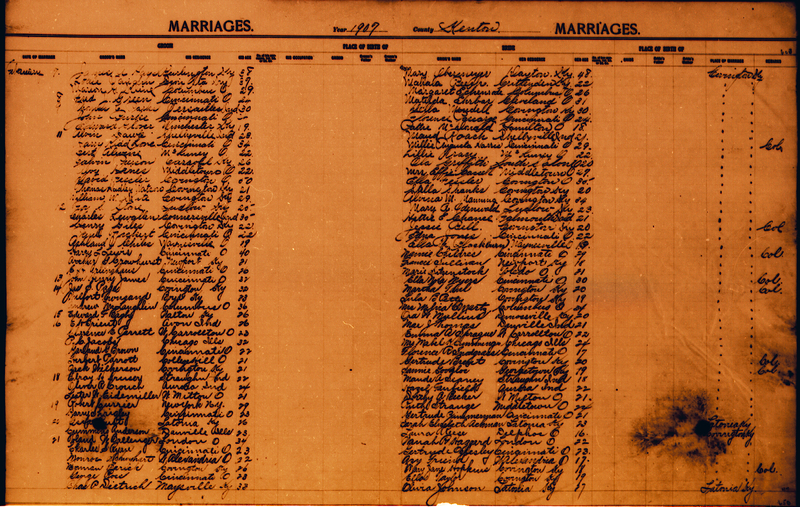 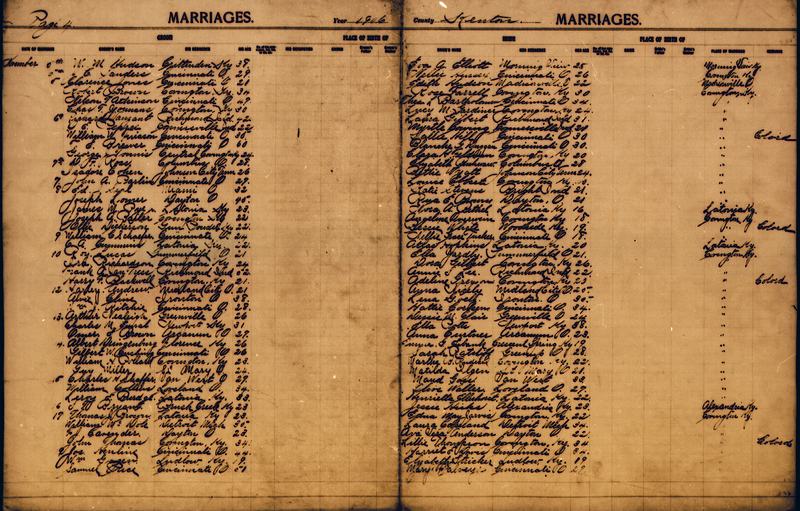 Independence started recording marriages in 1840 and Covington in 1874. 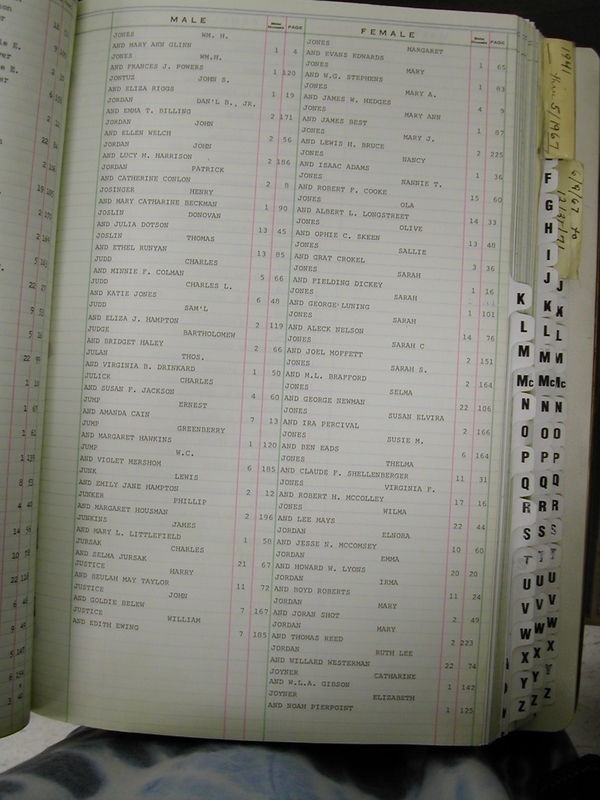 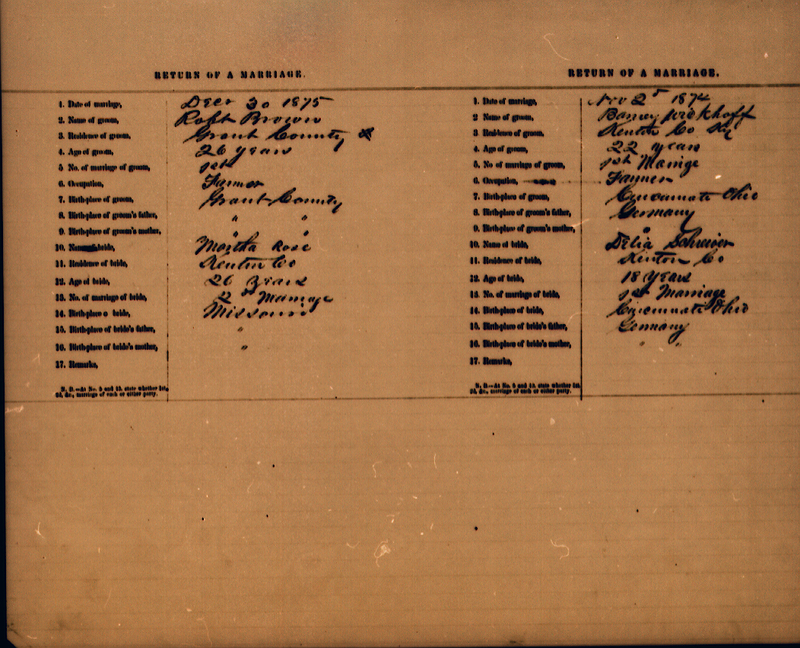 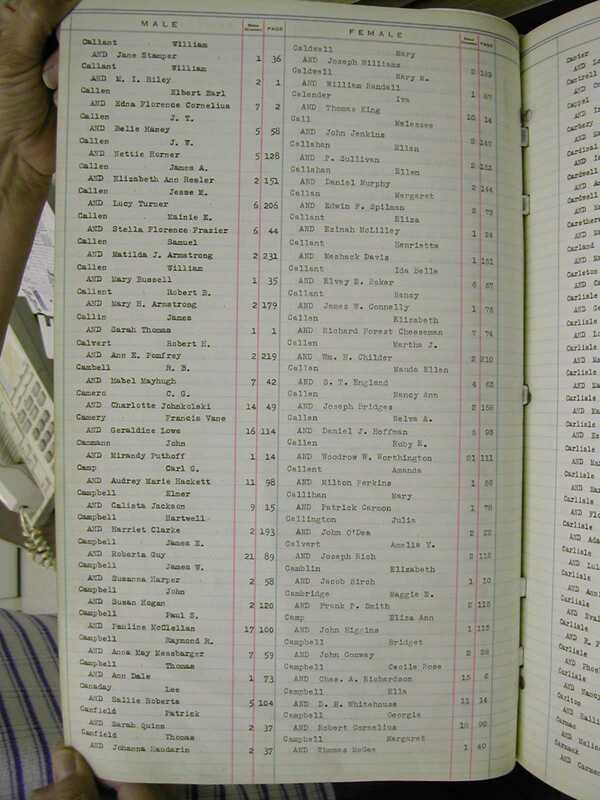 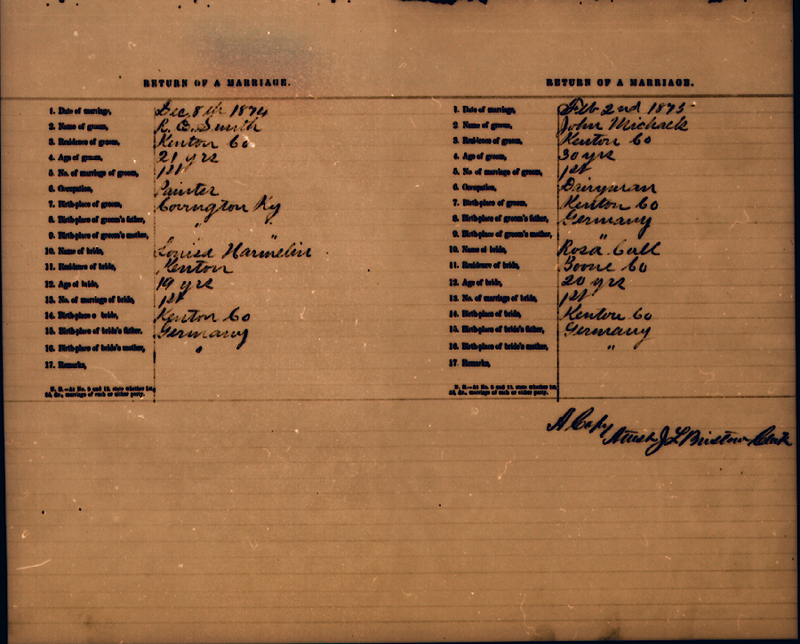 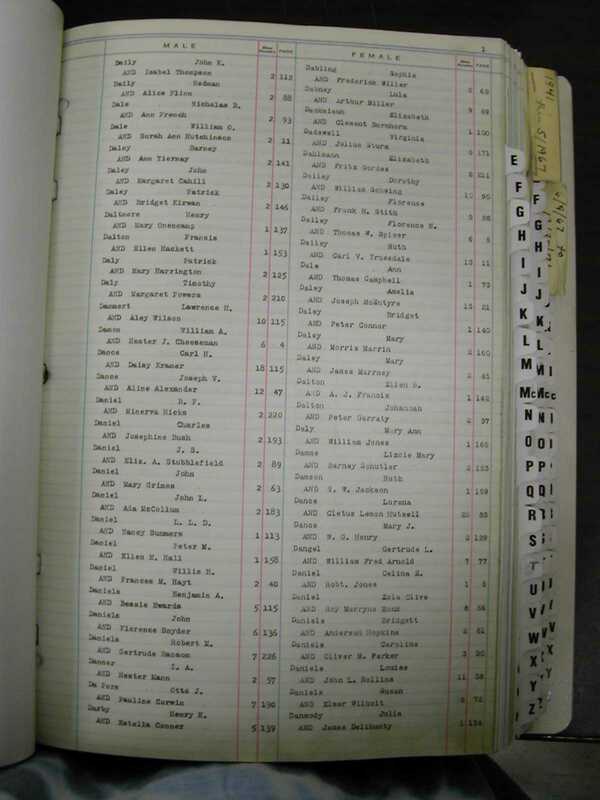 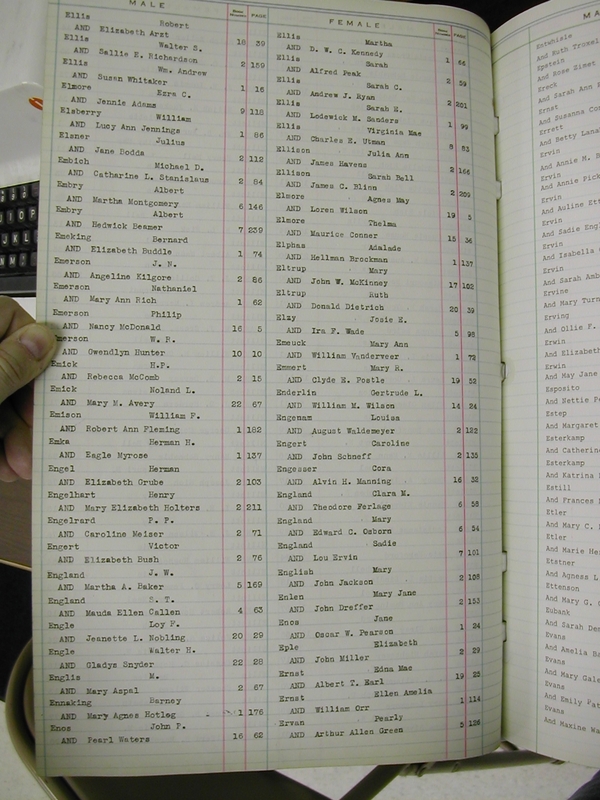 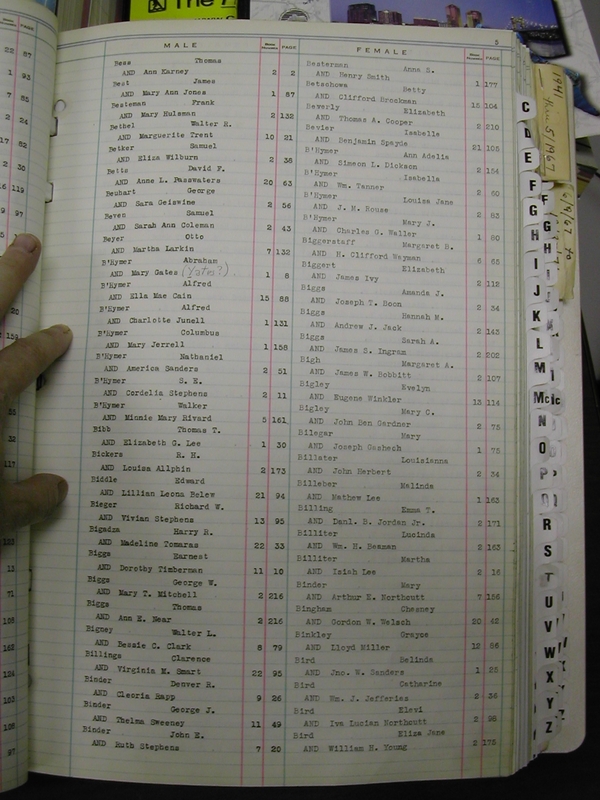 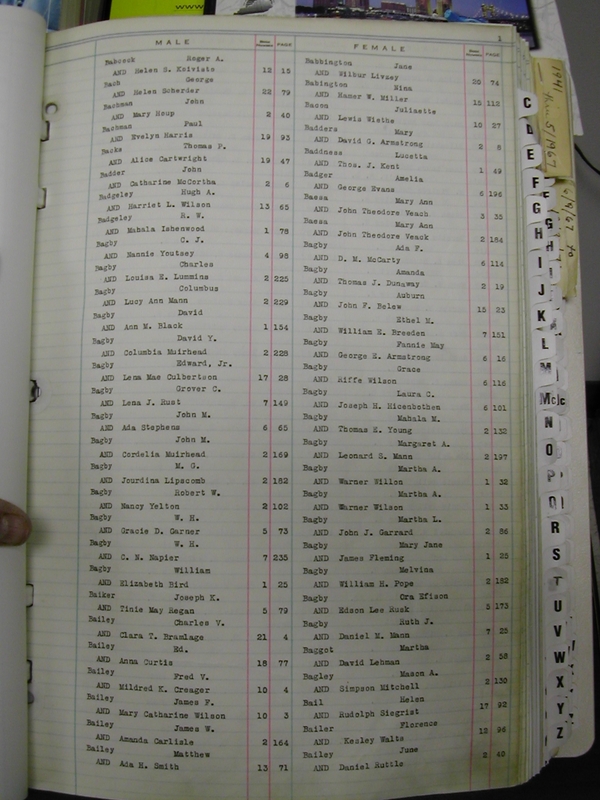 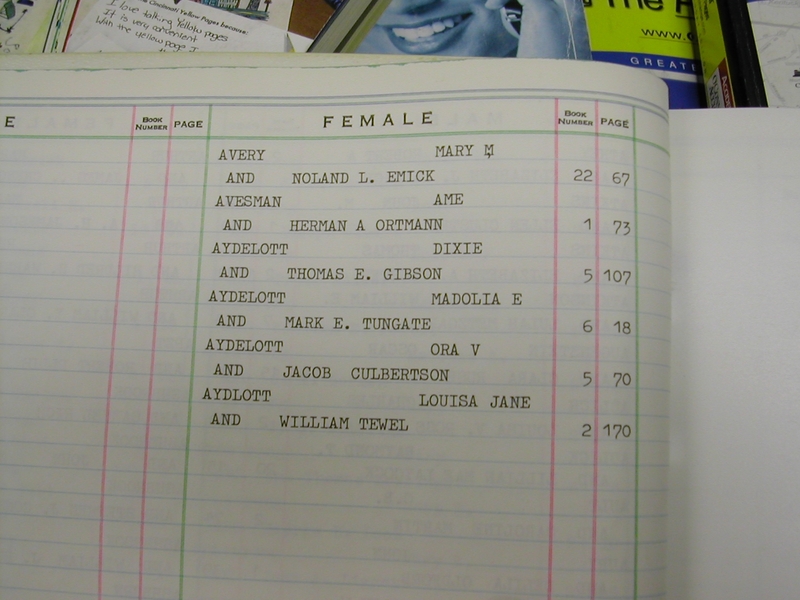 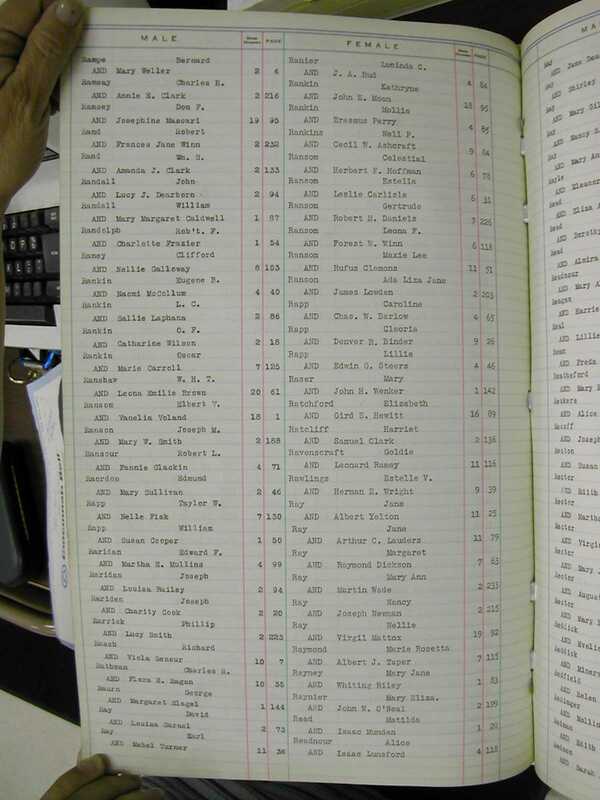 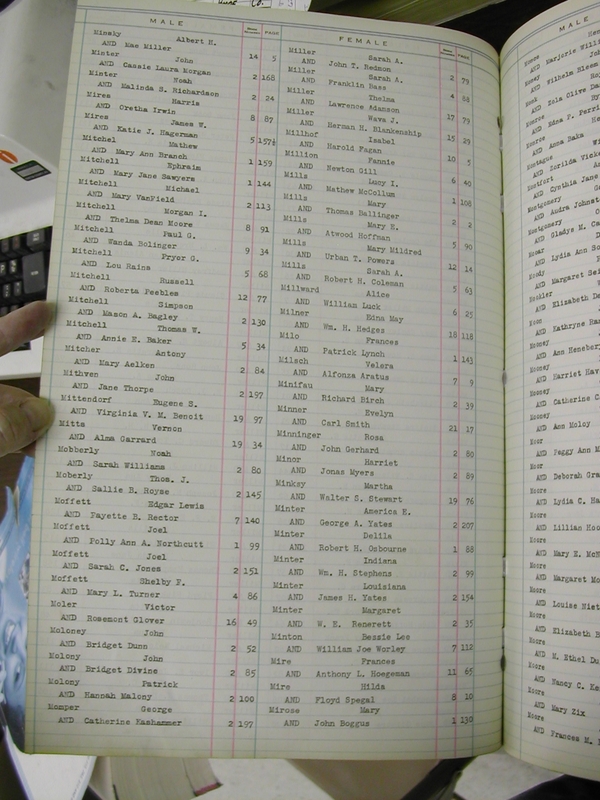 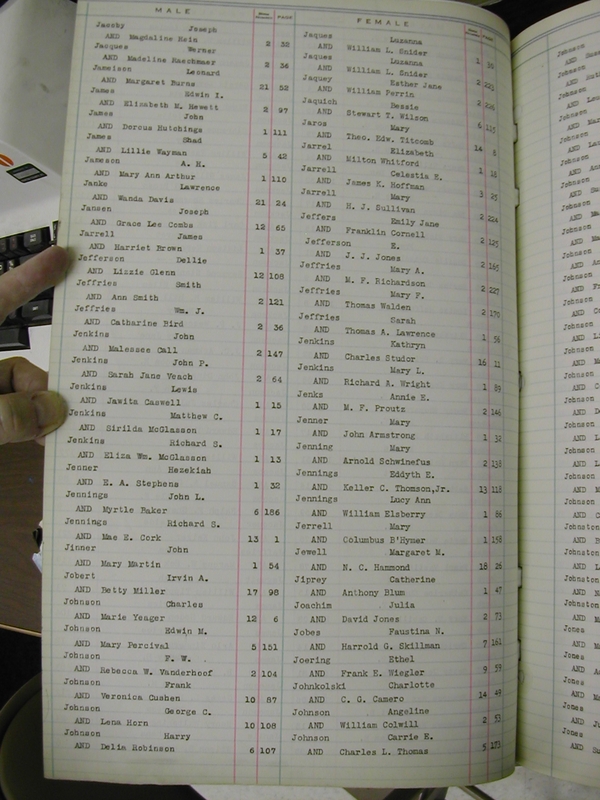 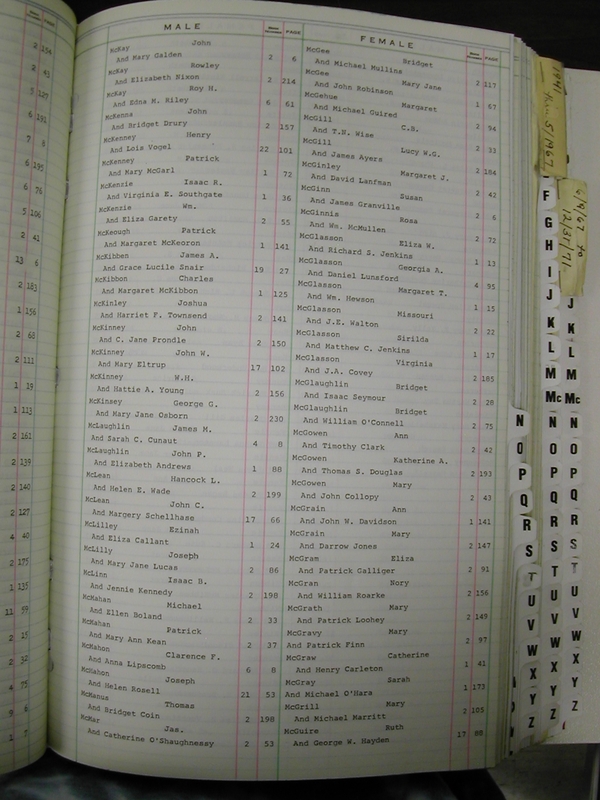 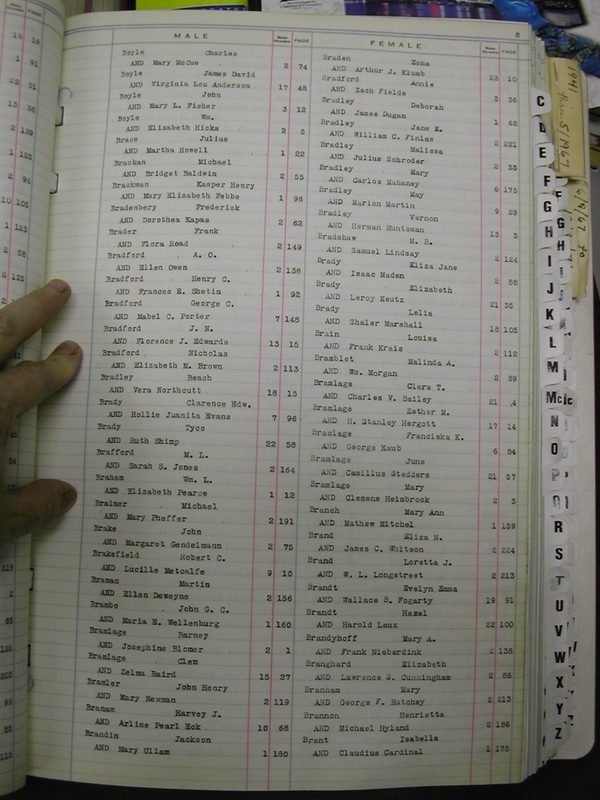 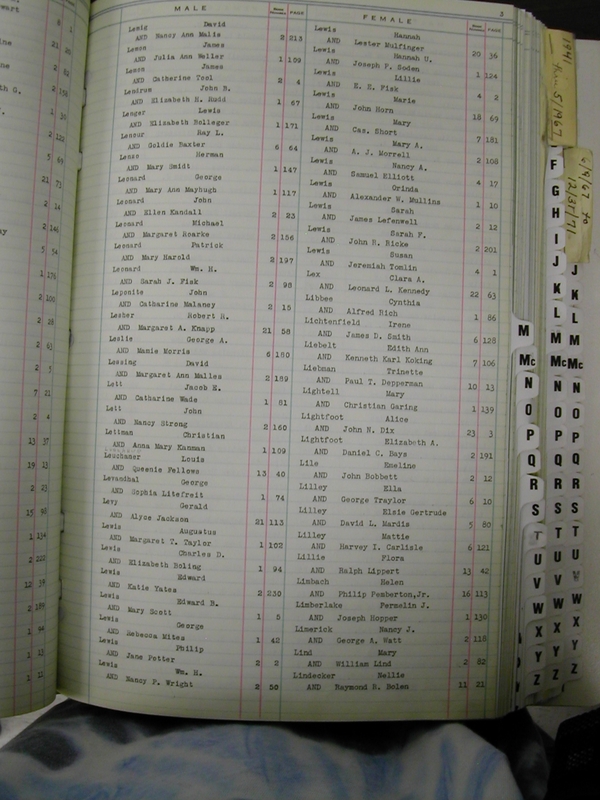 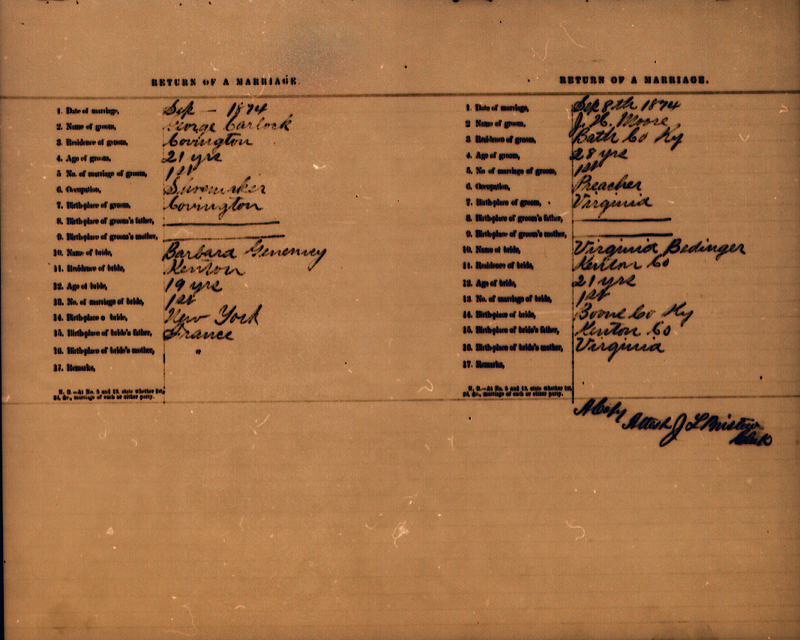 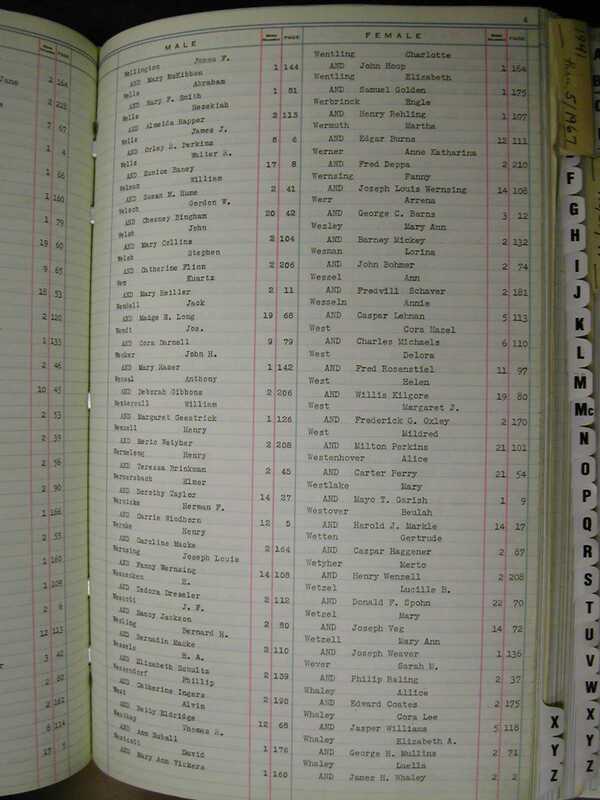 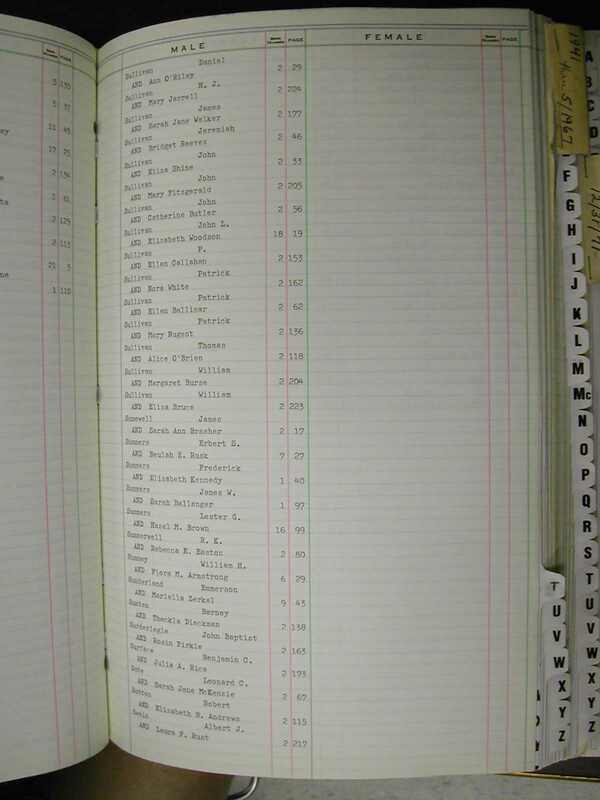 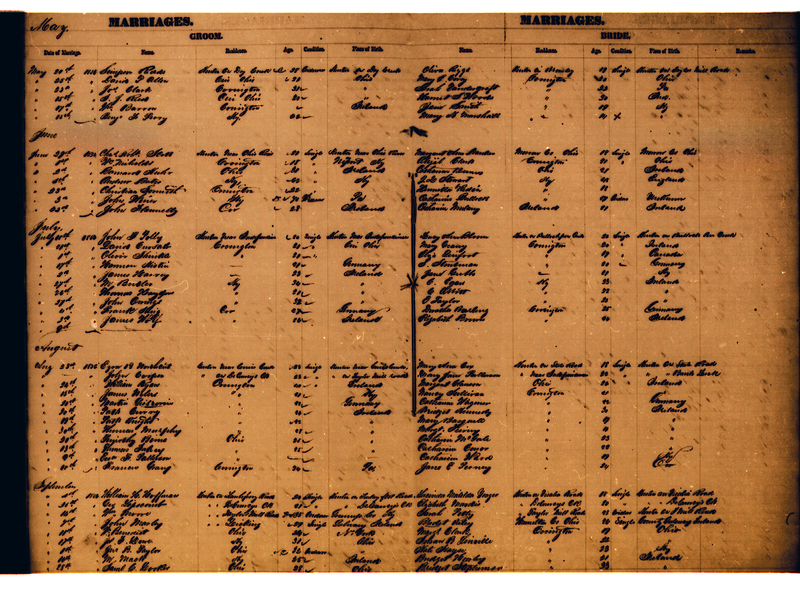 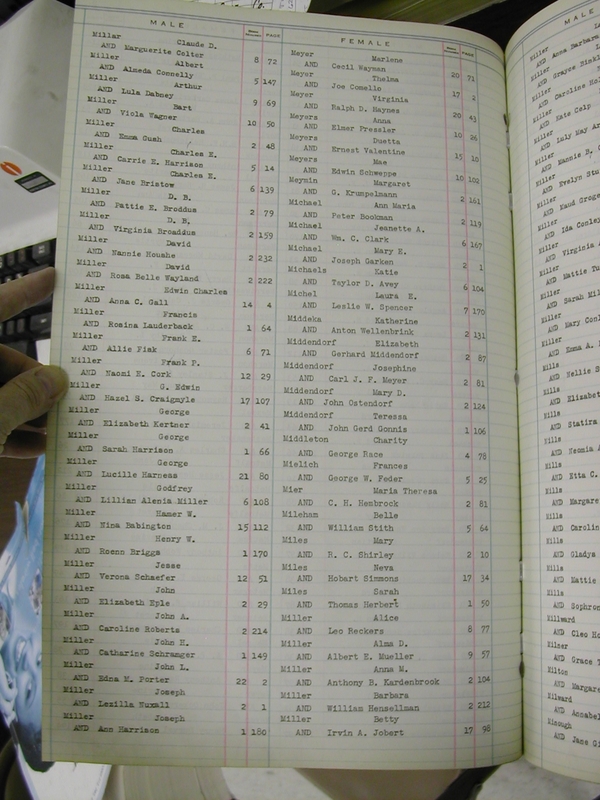 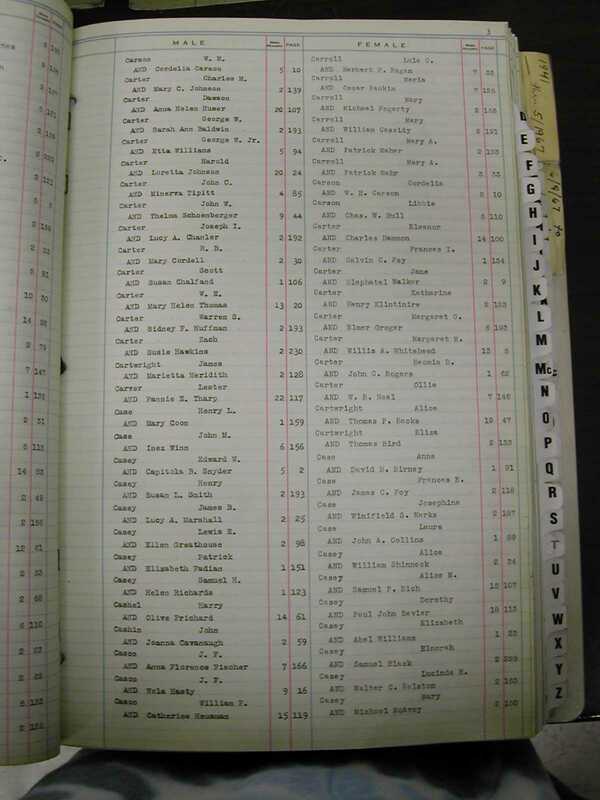 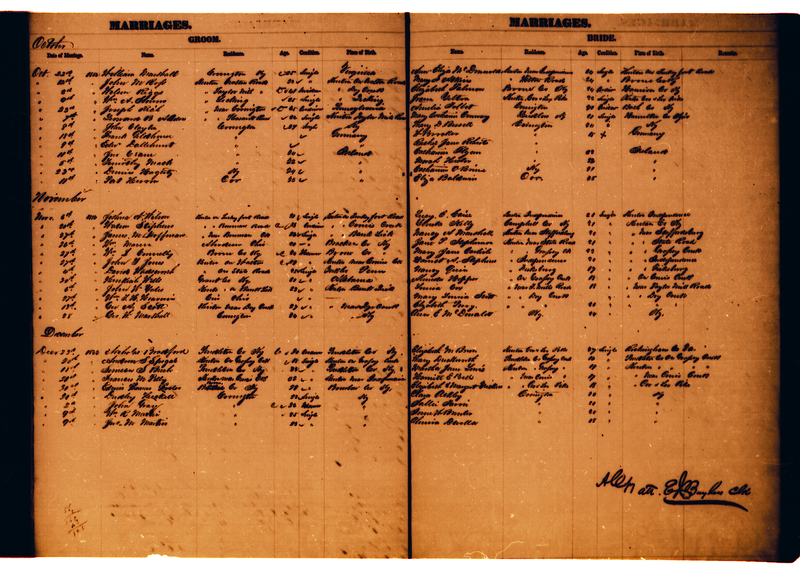 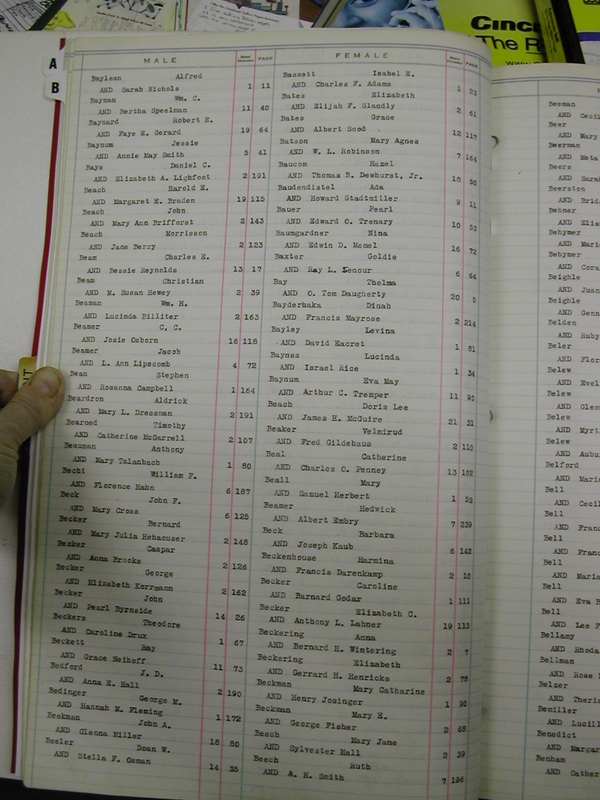 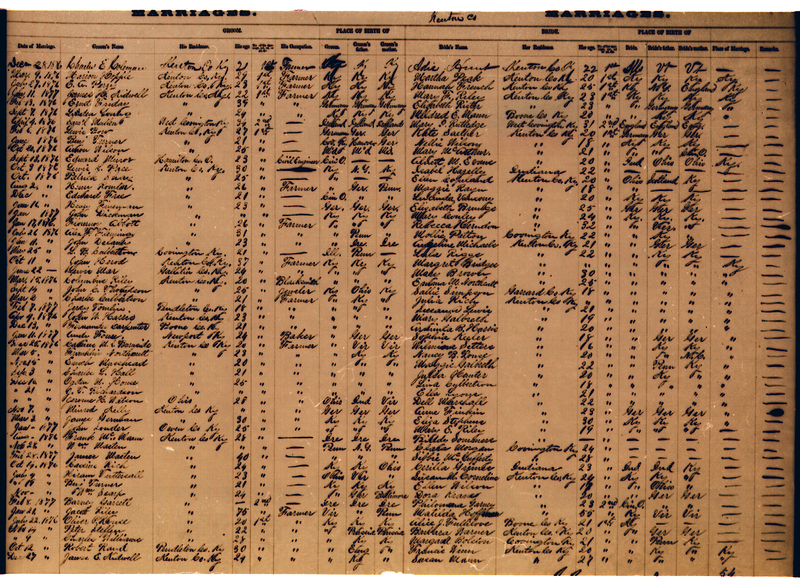 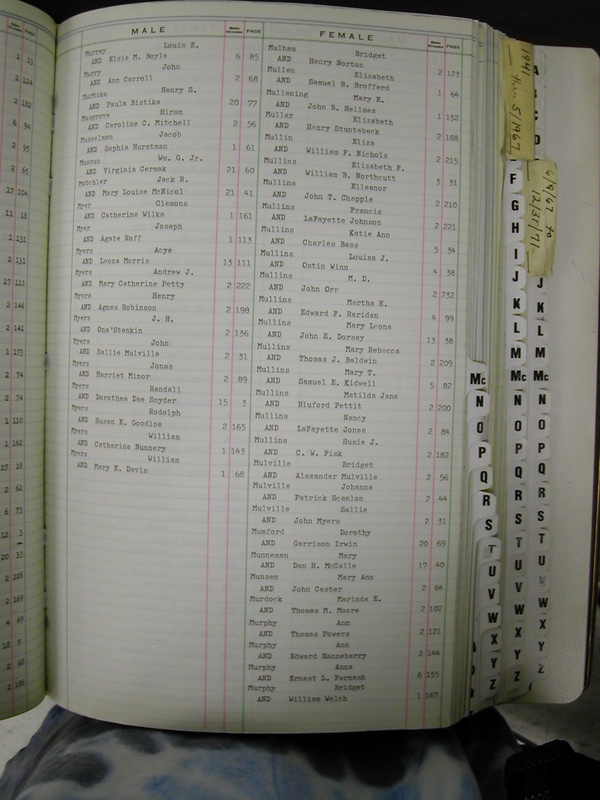 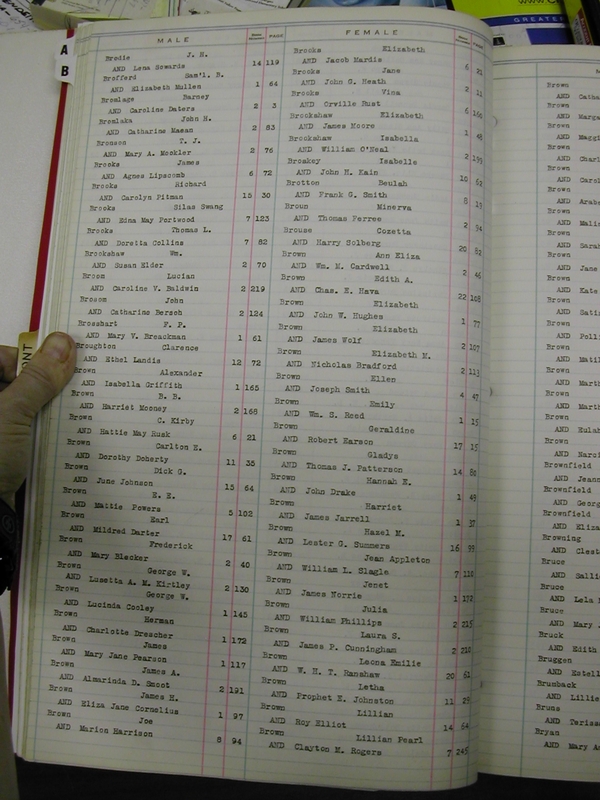 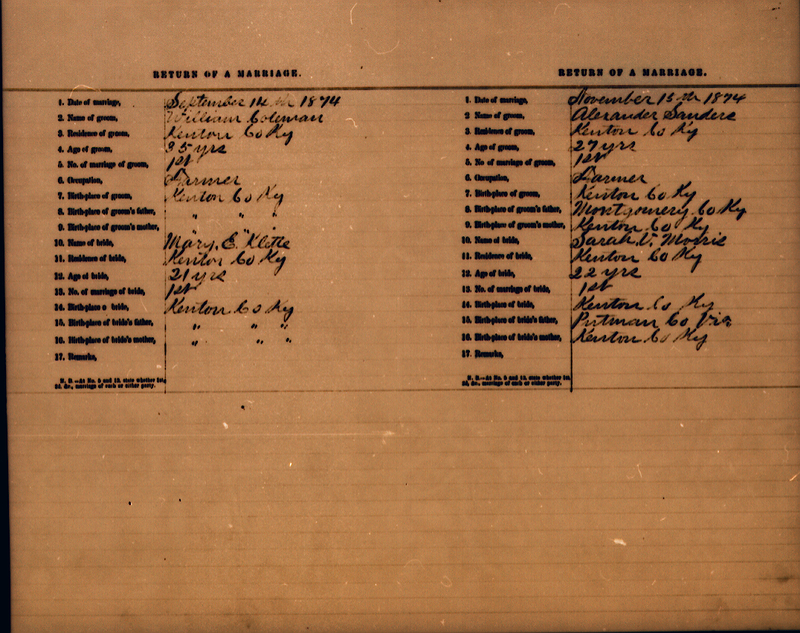 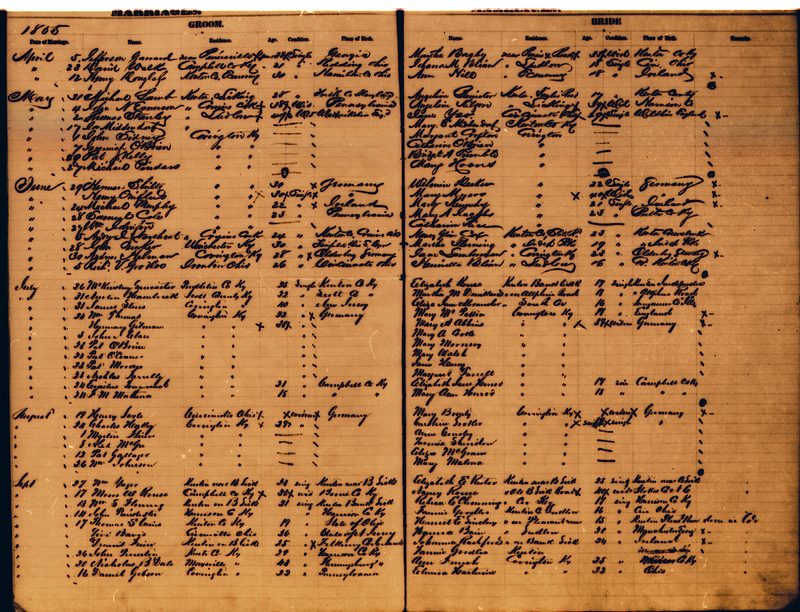 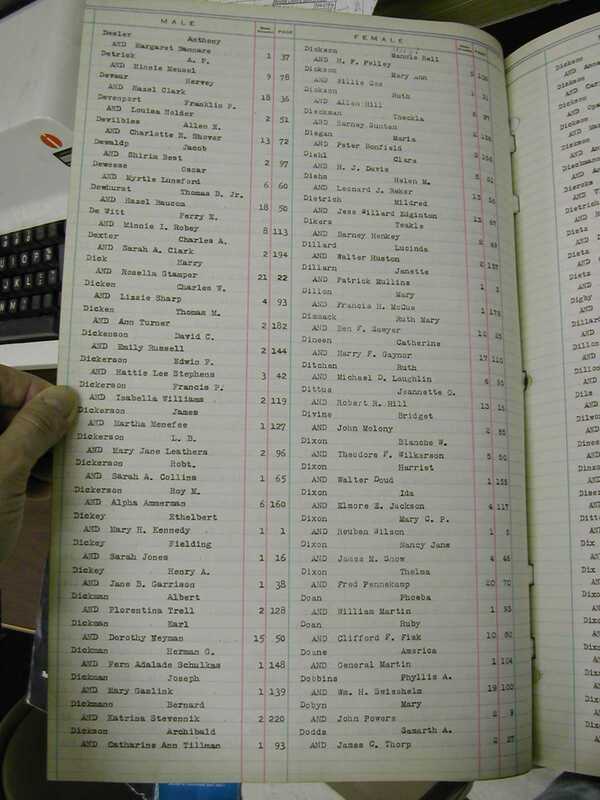 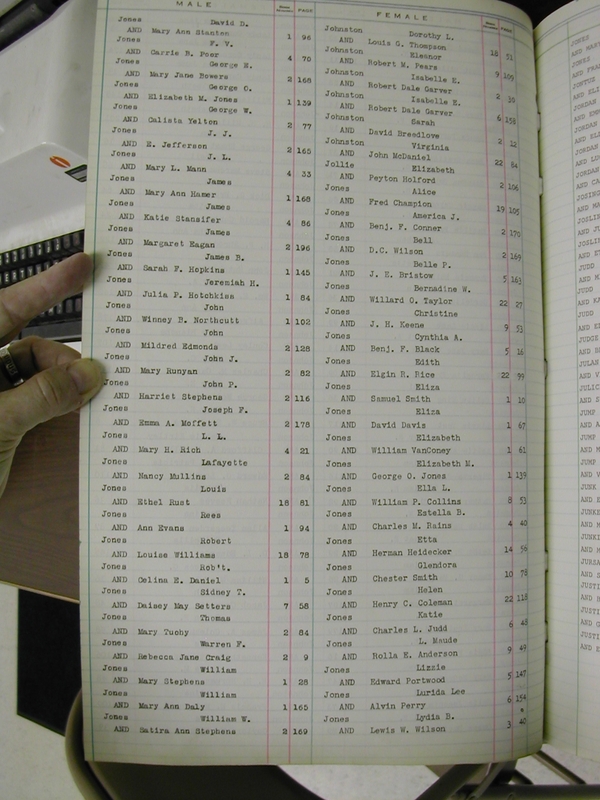 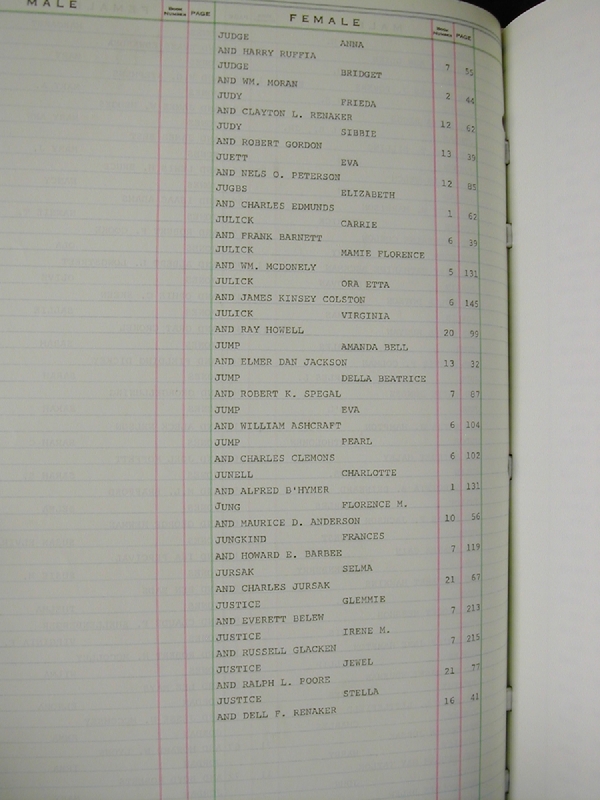 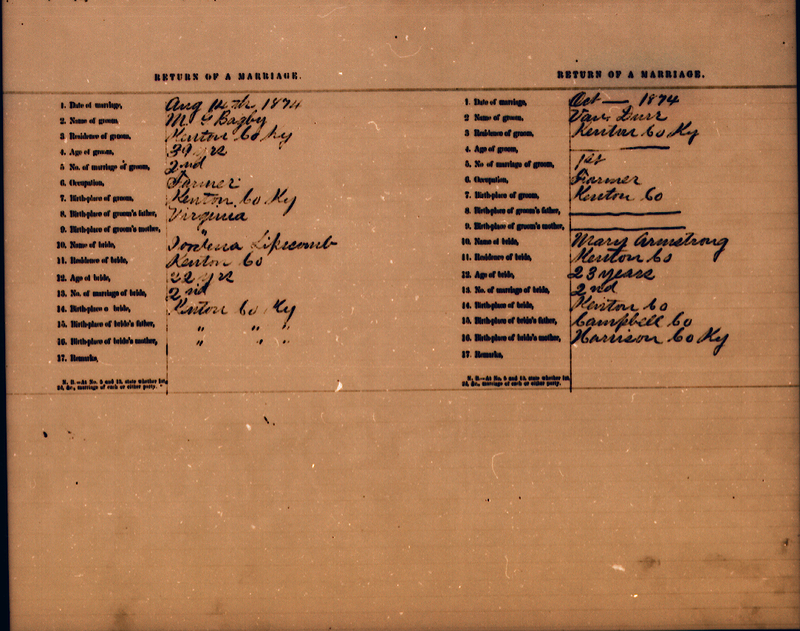 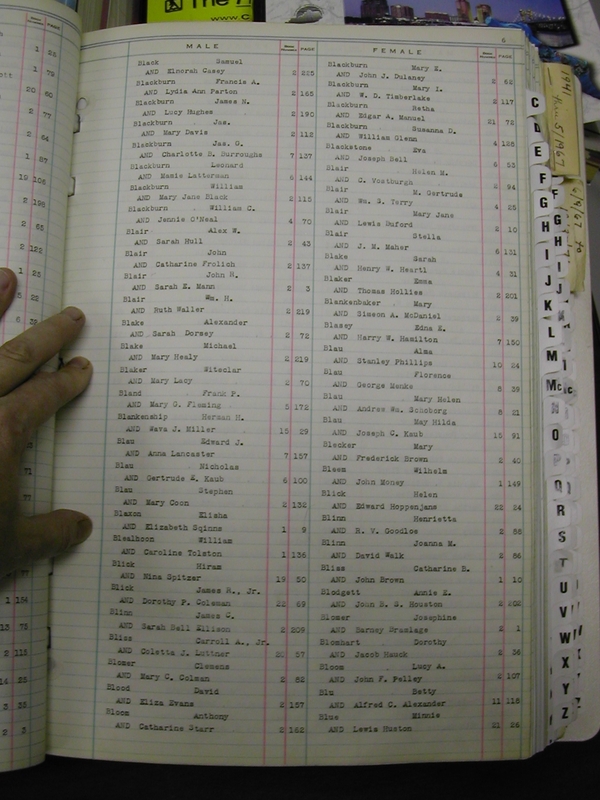 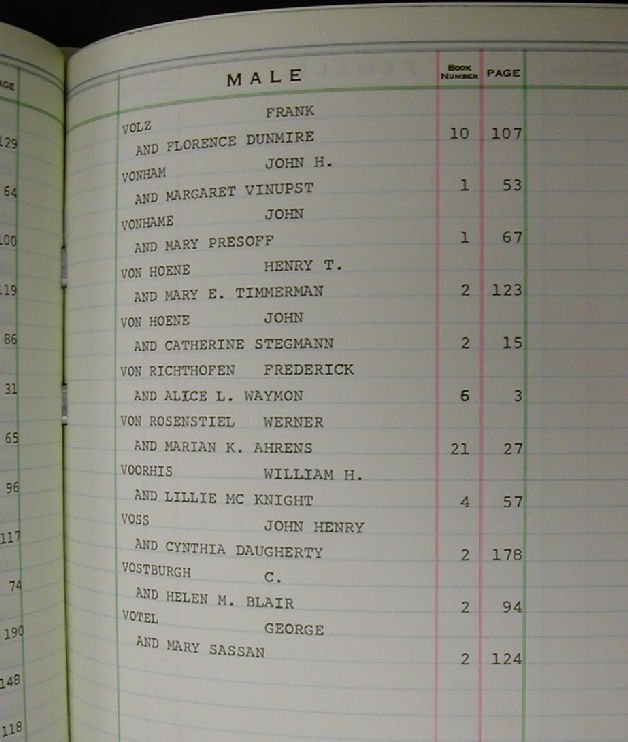 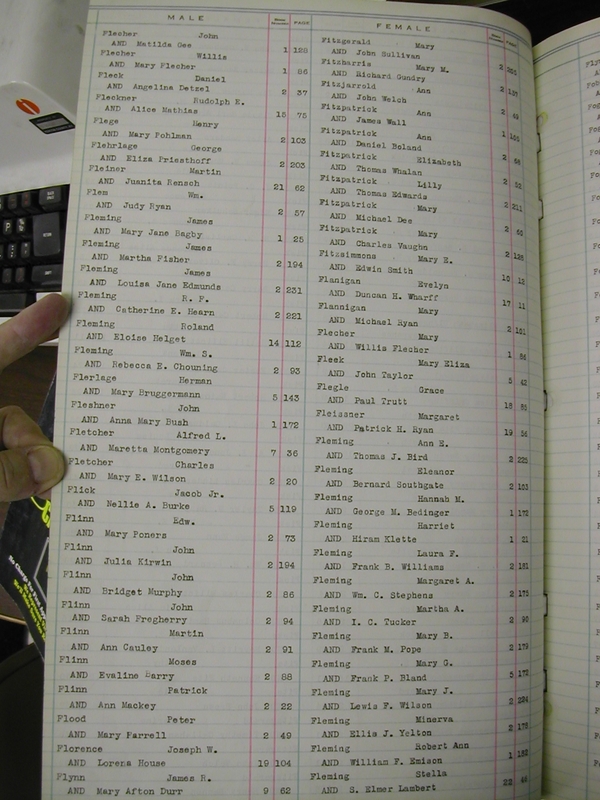 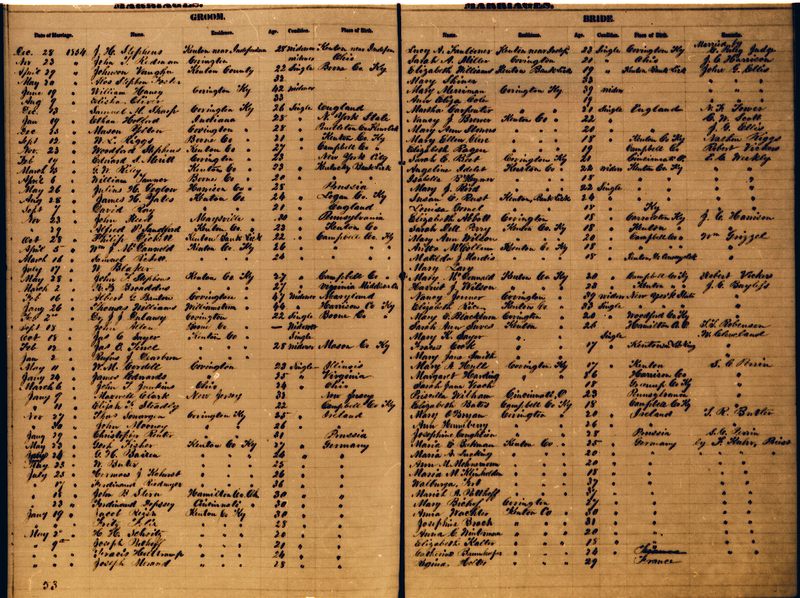 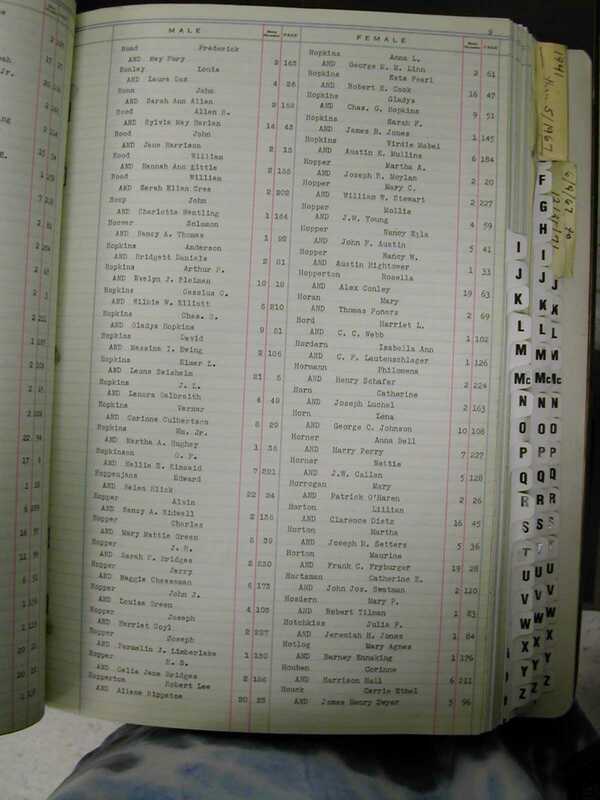 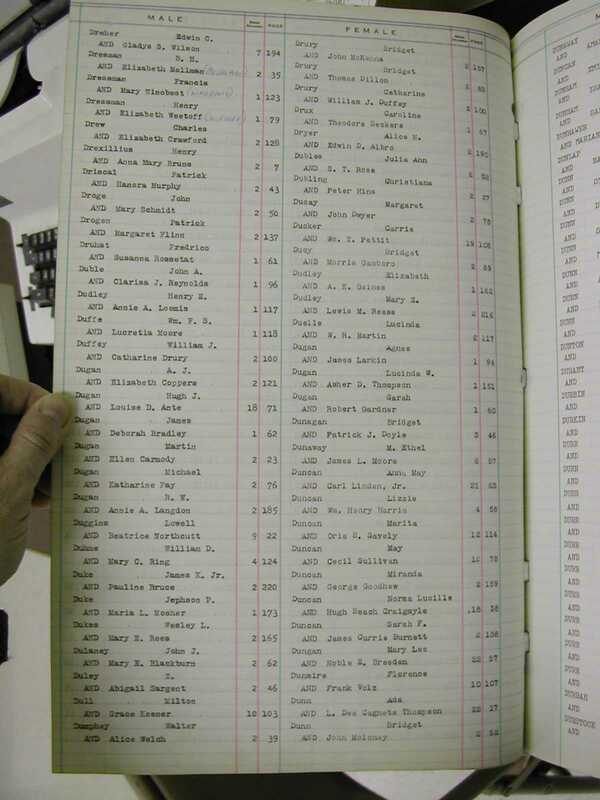 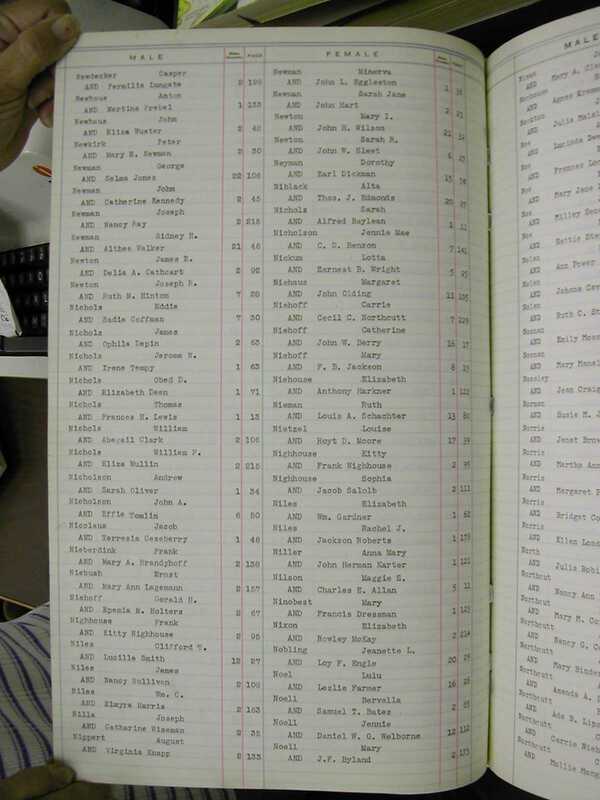 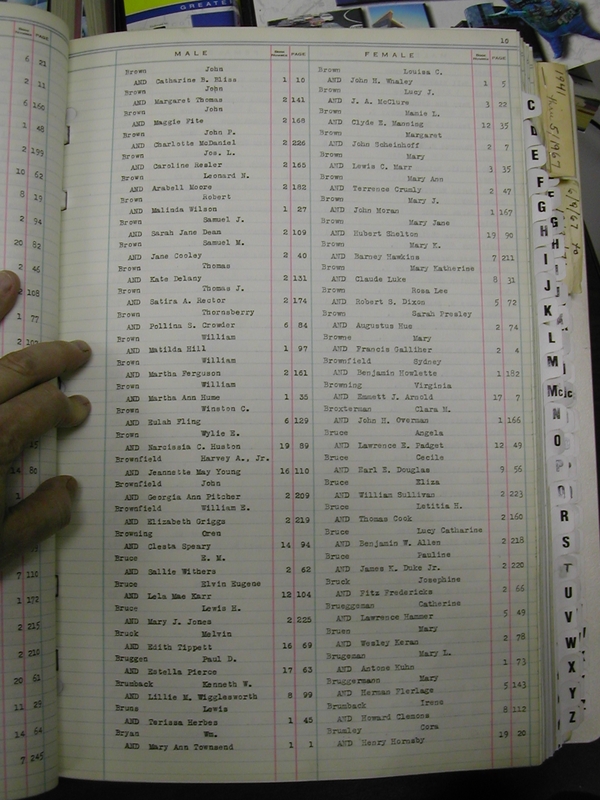 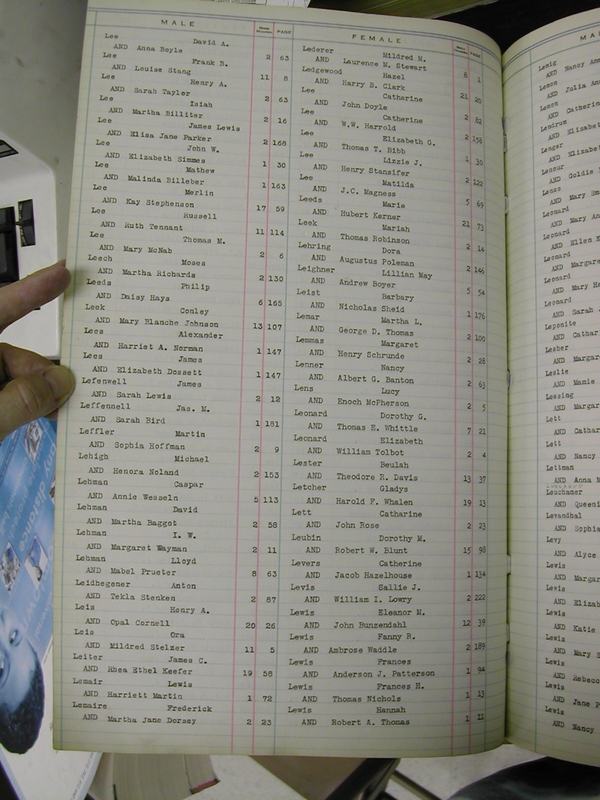 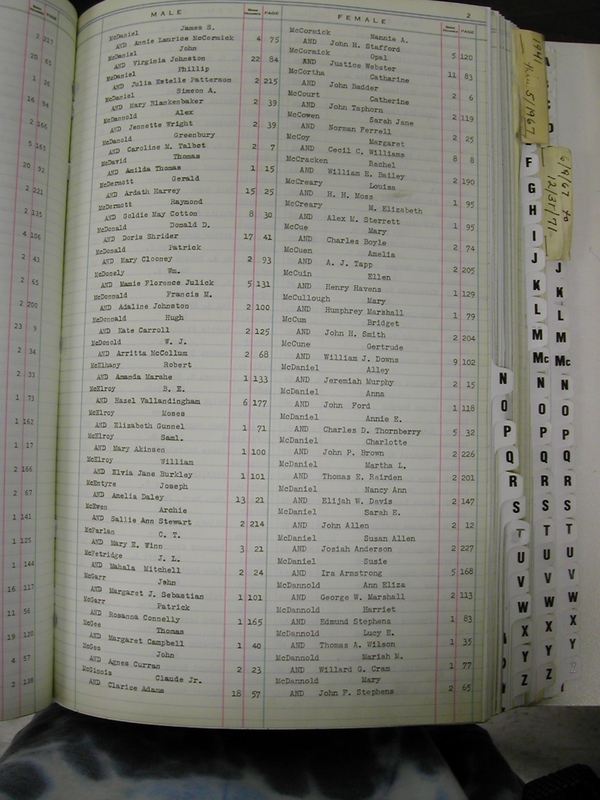 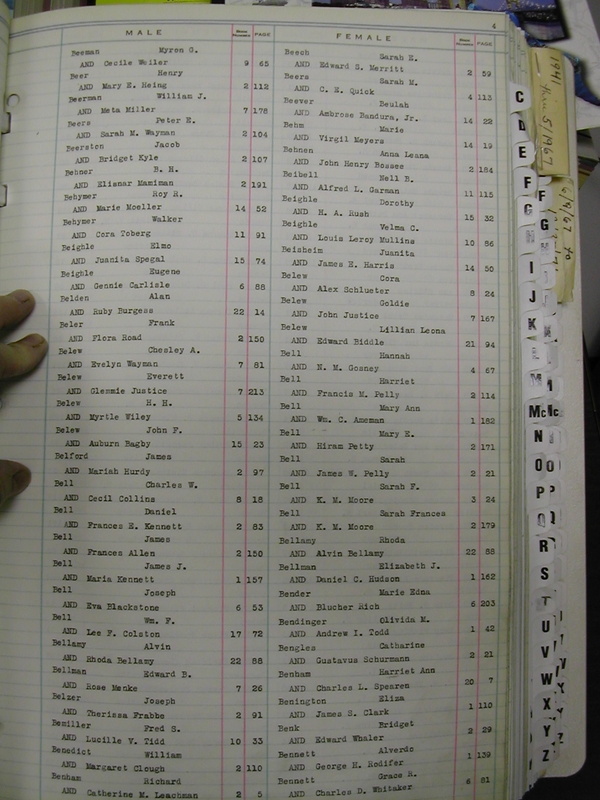 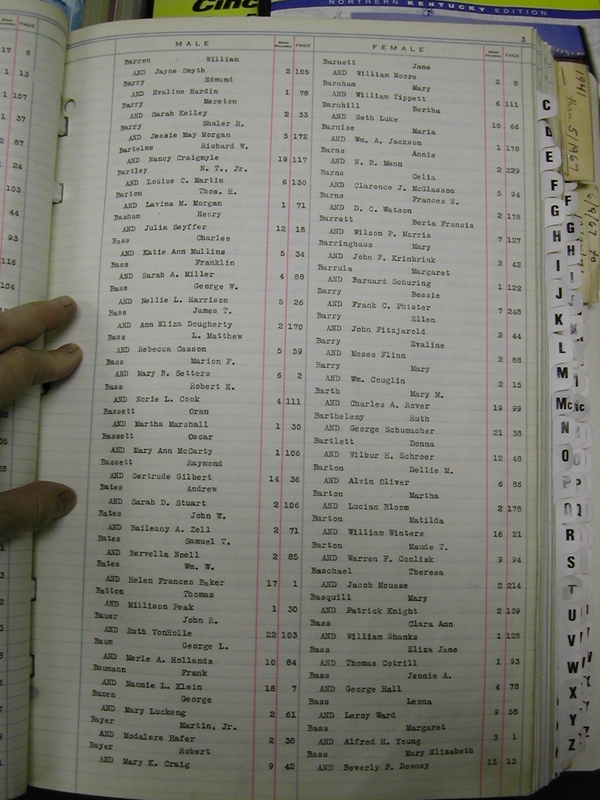 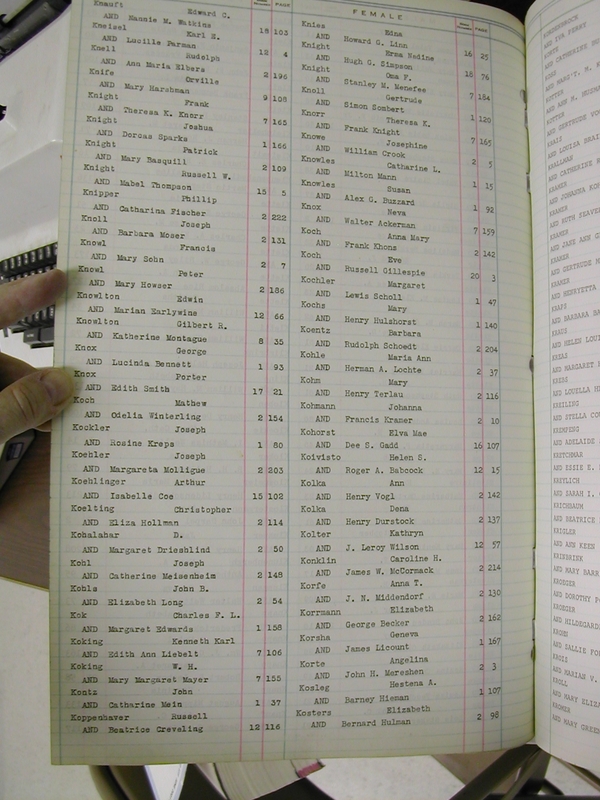 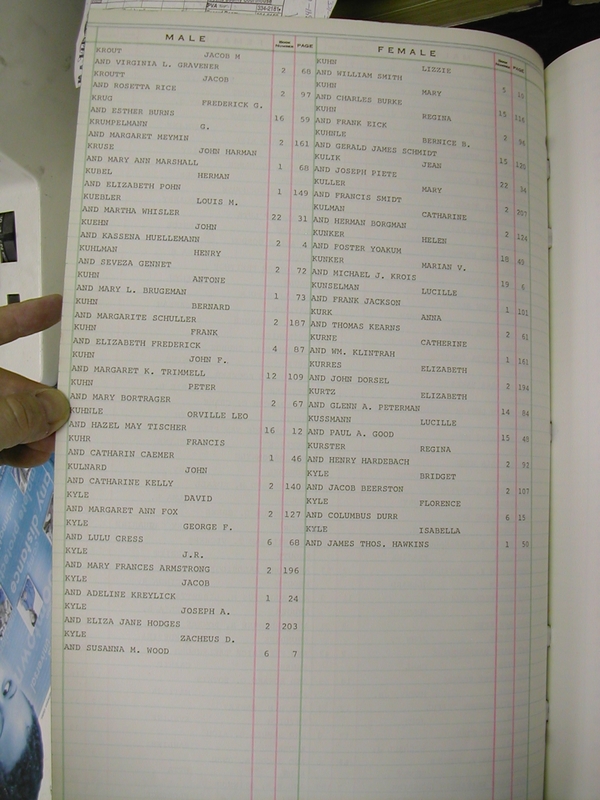 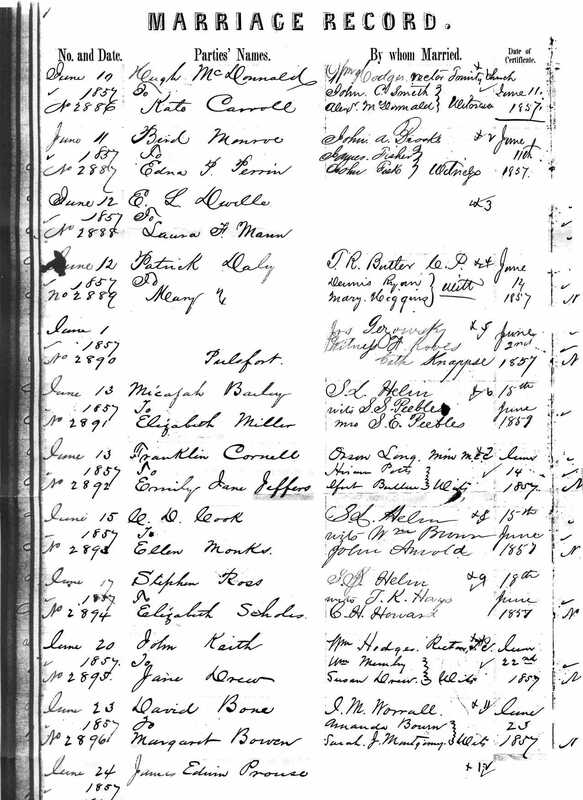 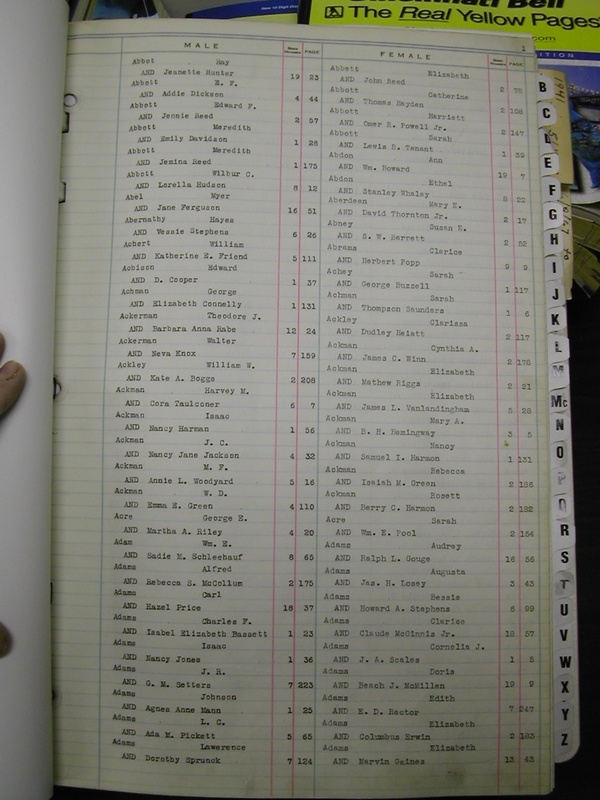 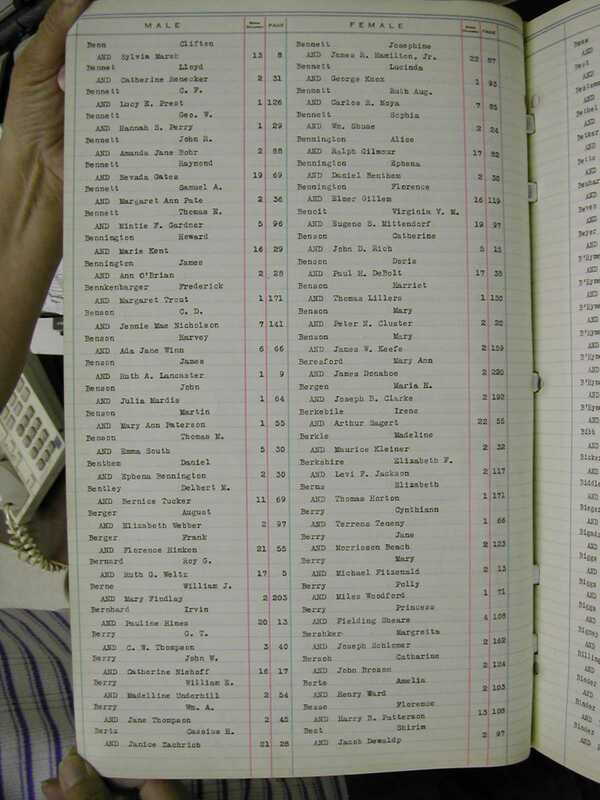 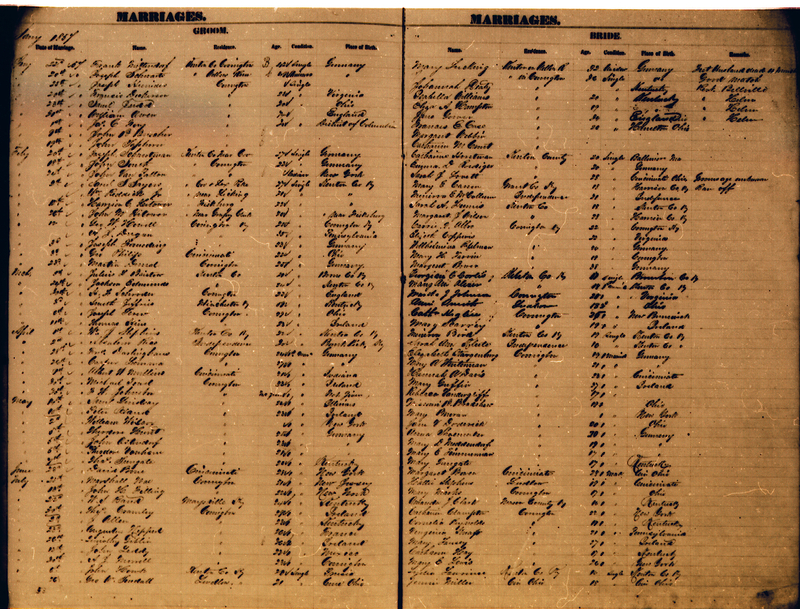 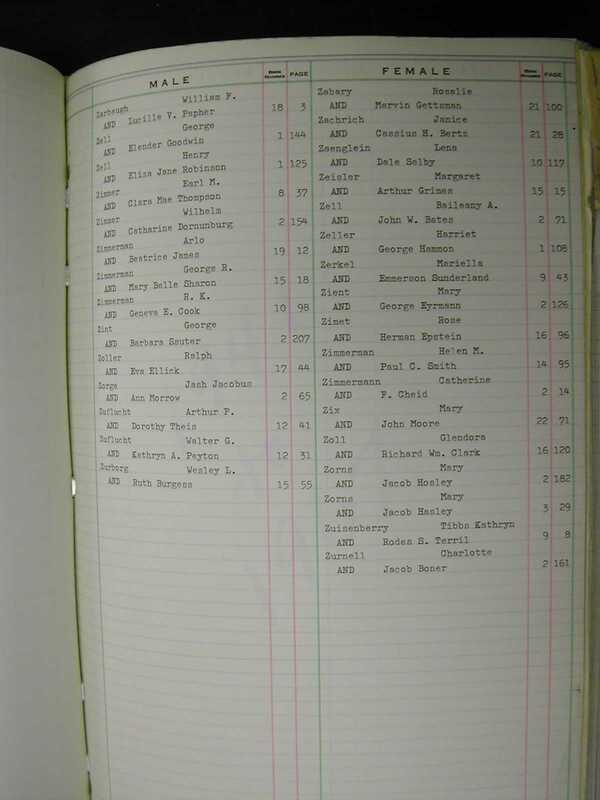 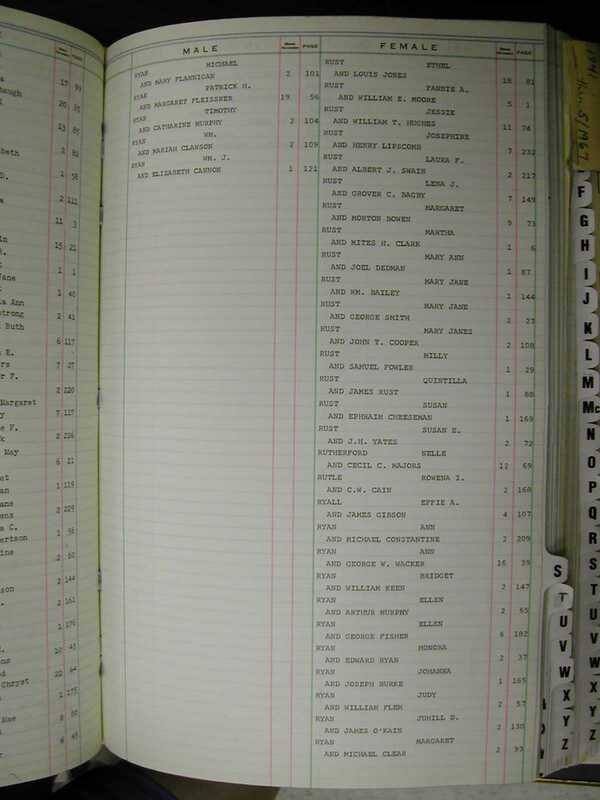 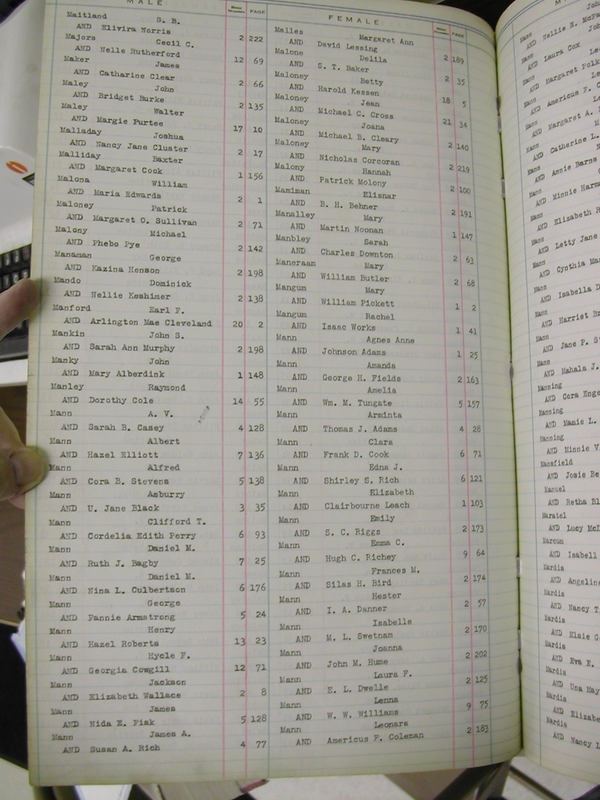 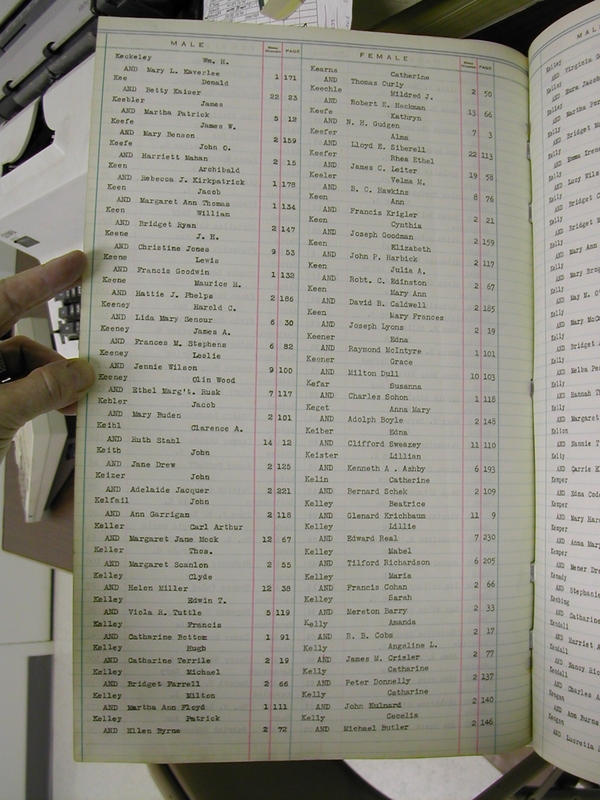 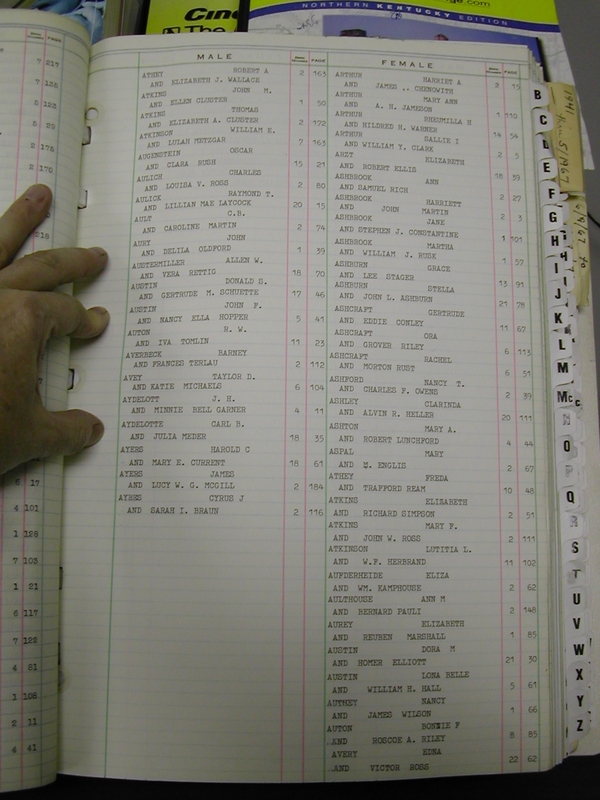 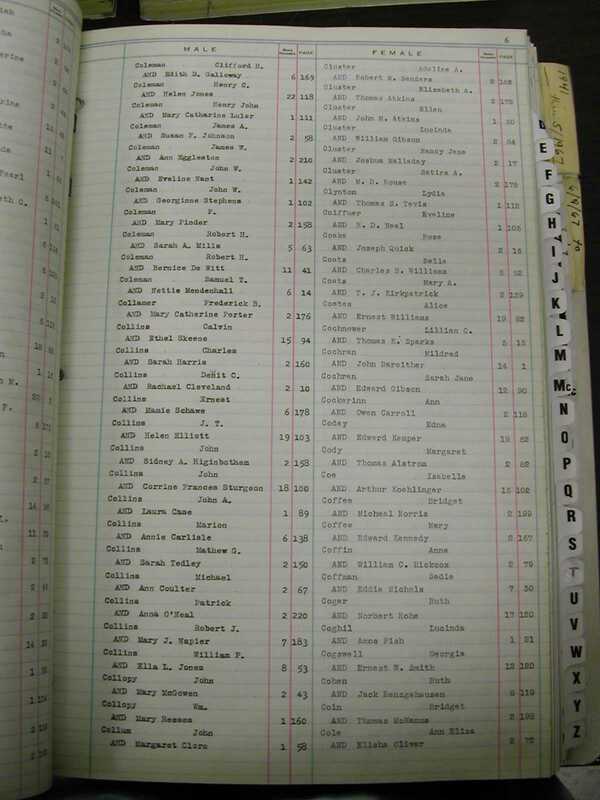 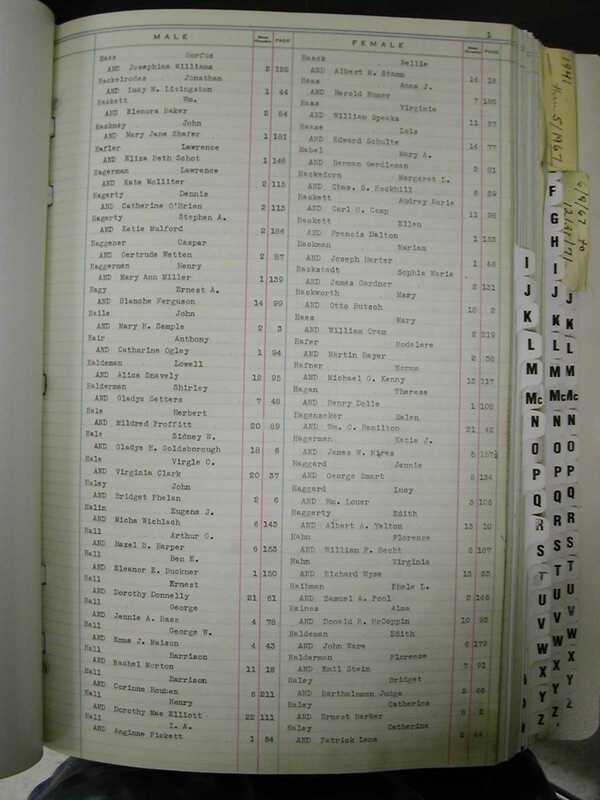 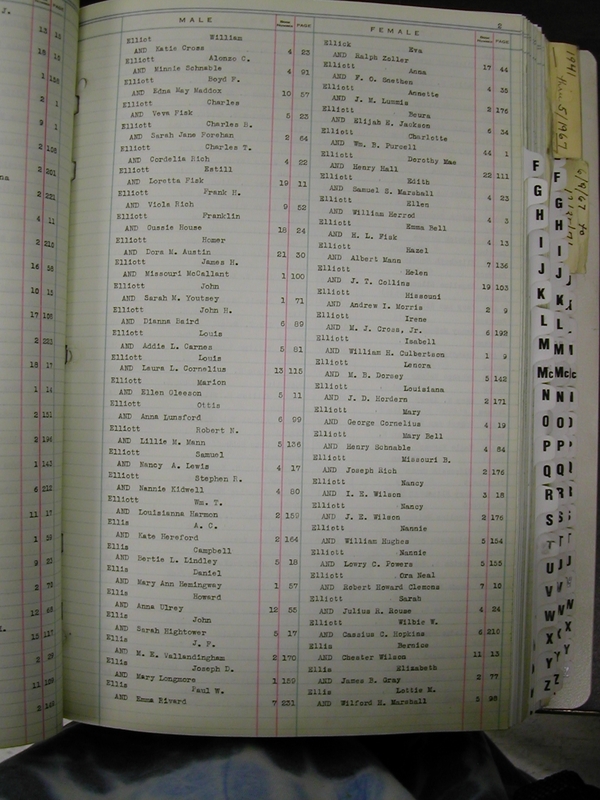 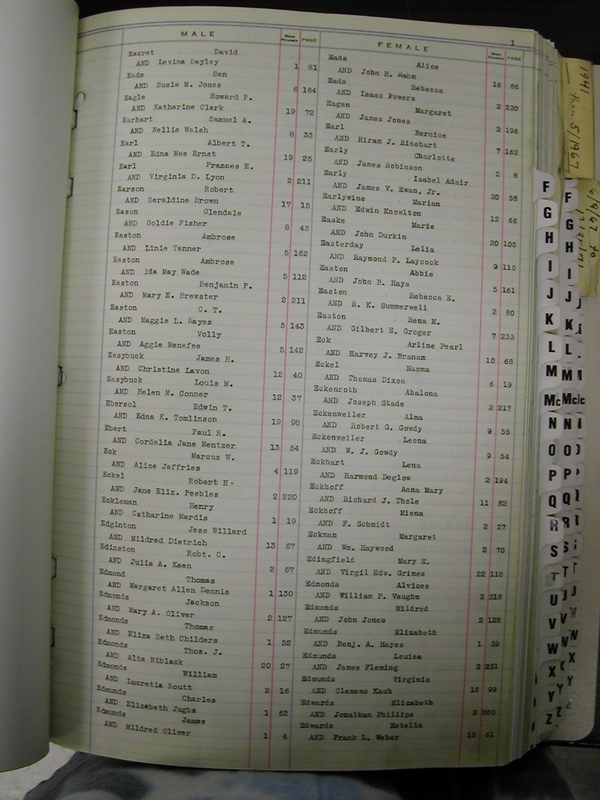 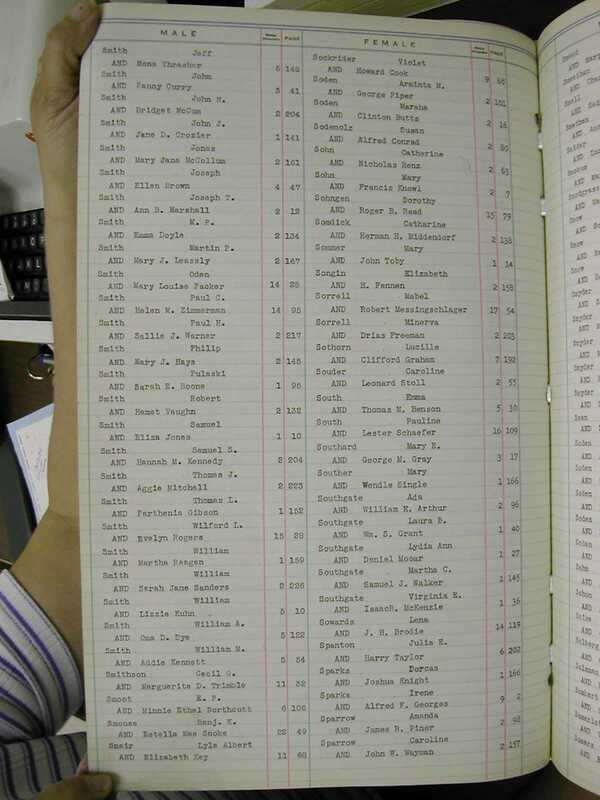 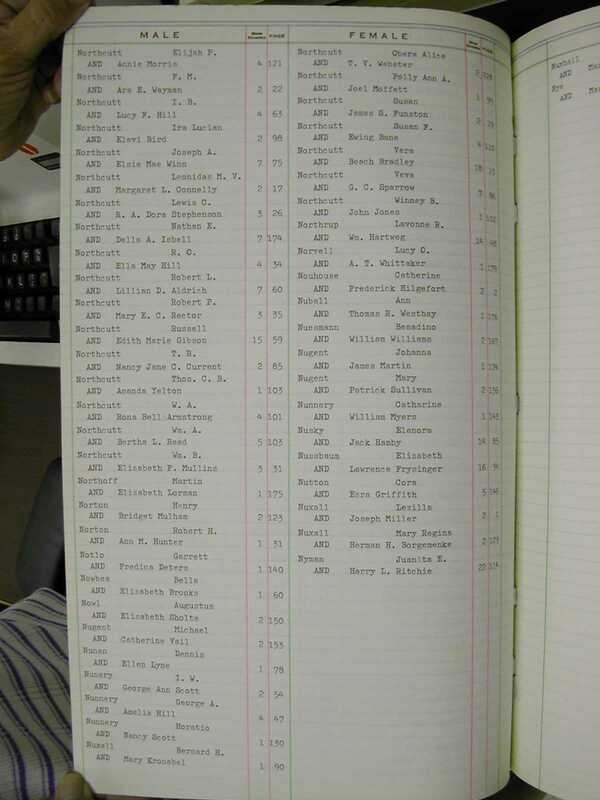 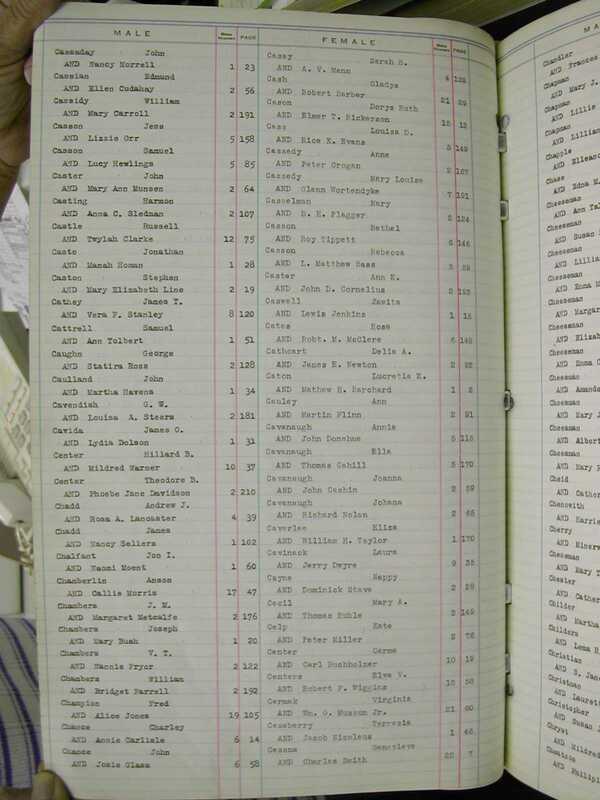 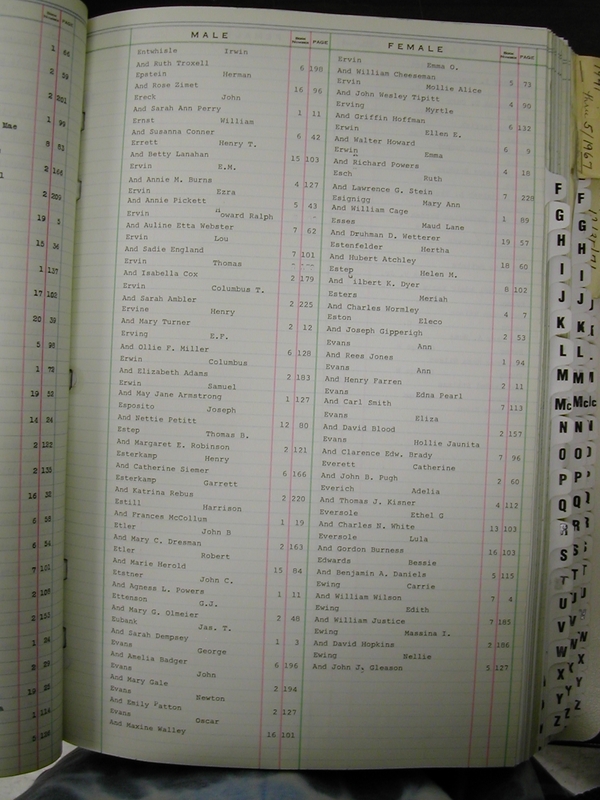 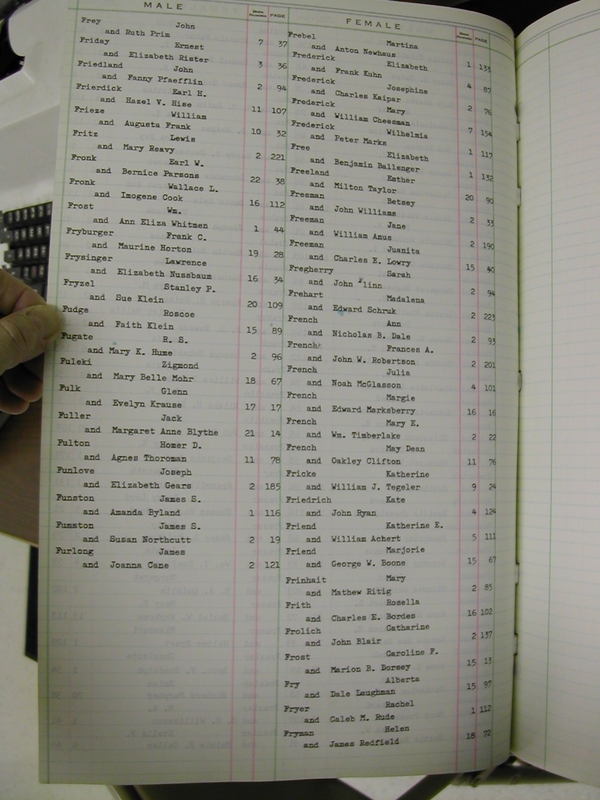 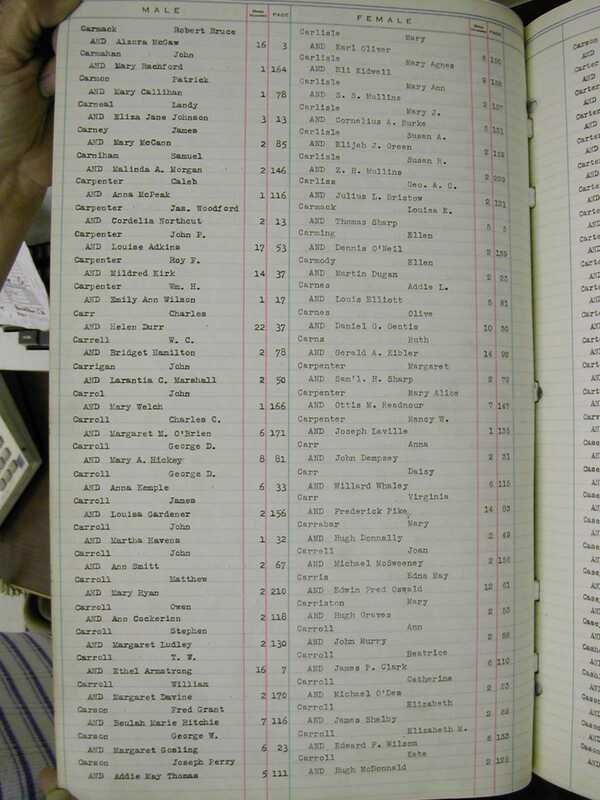 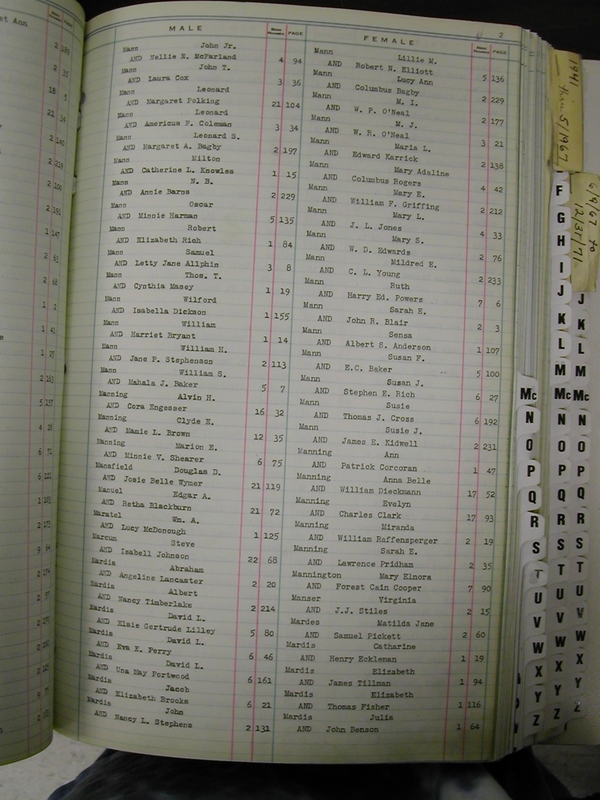 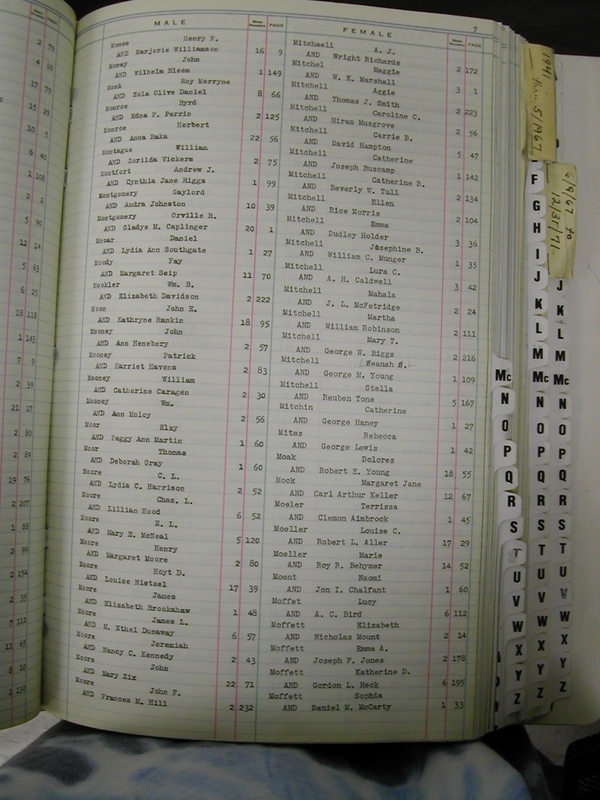 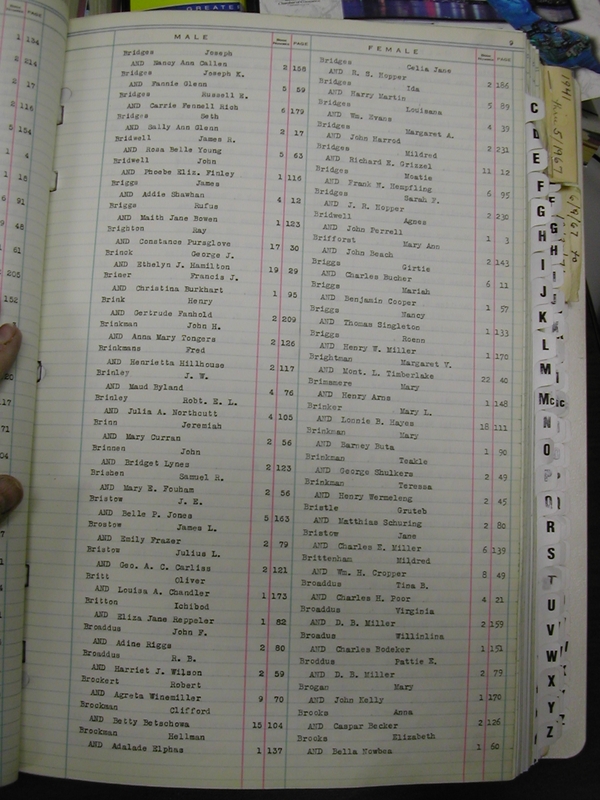 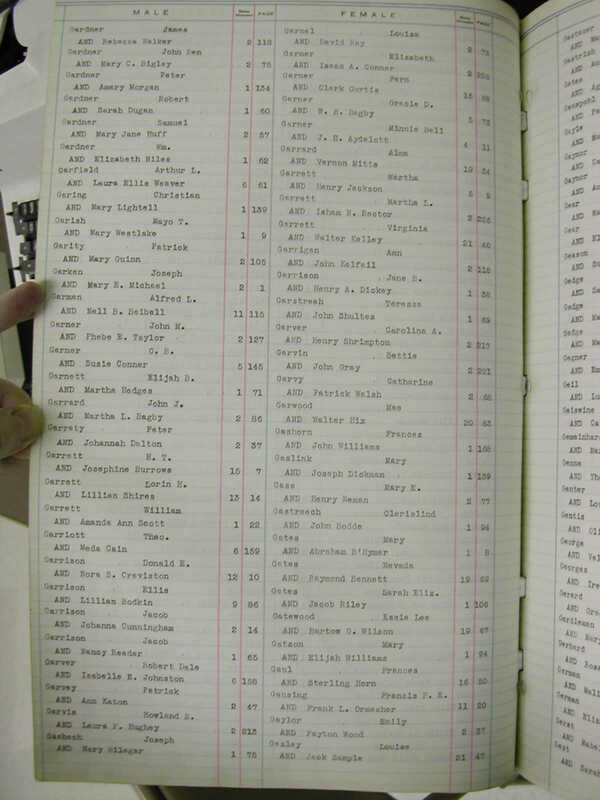 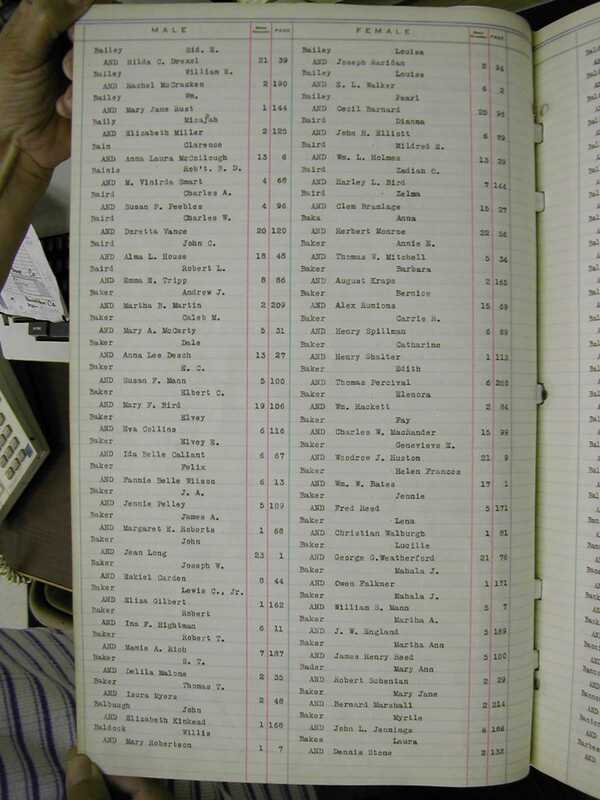 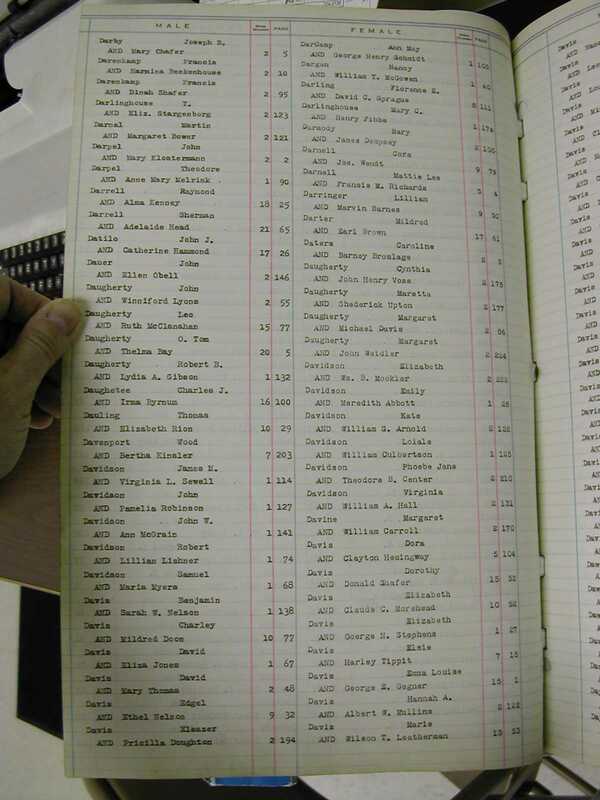 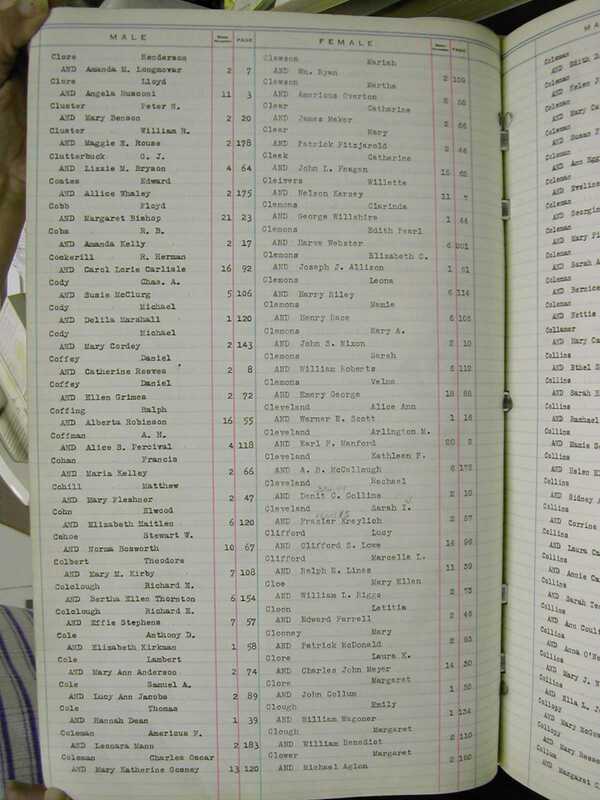 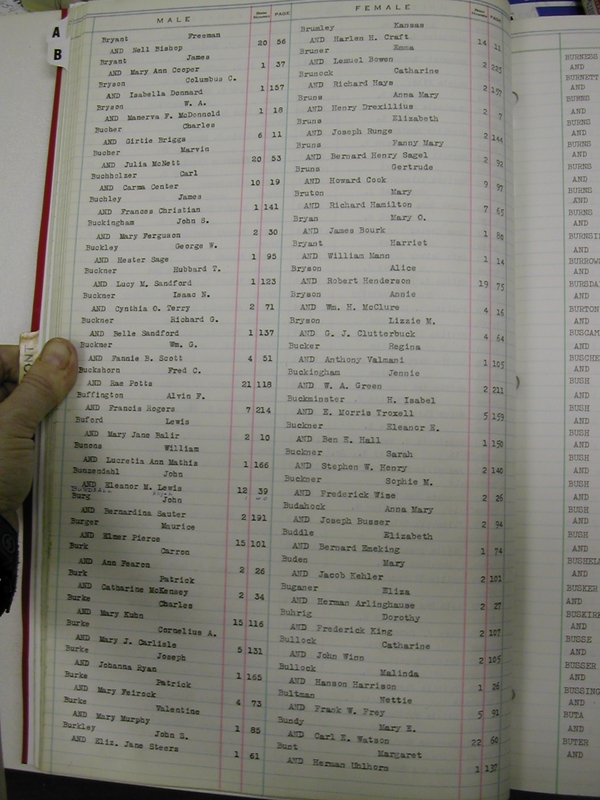 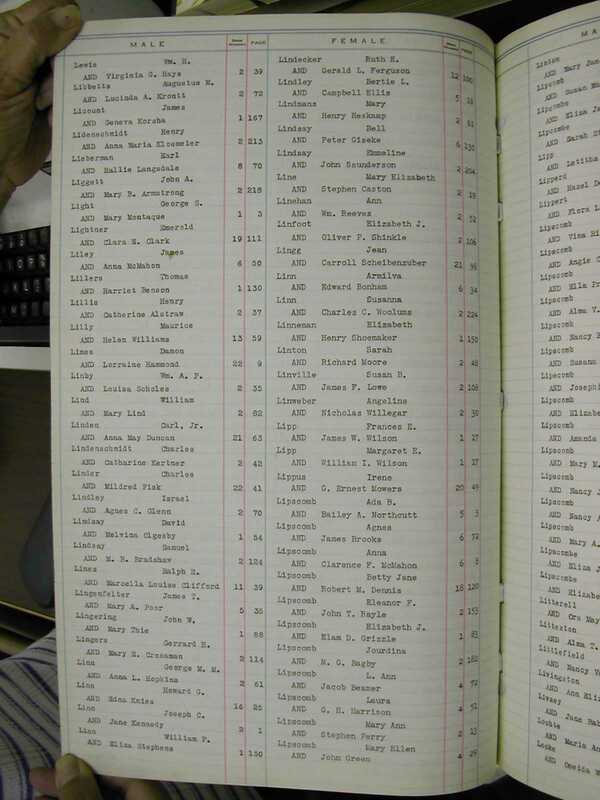 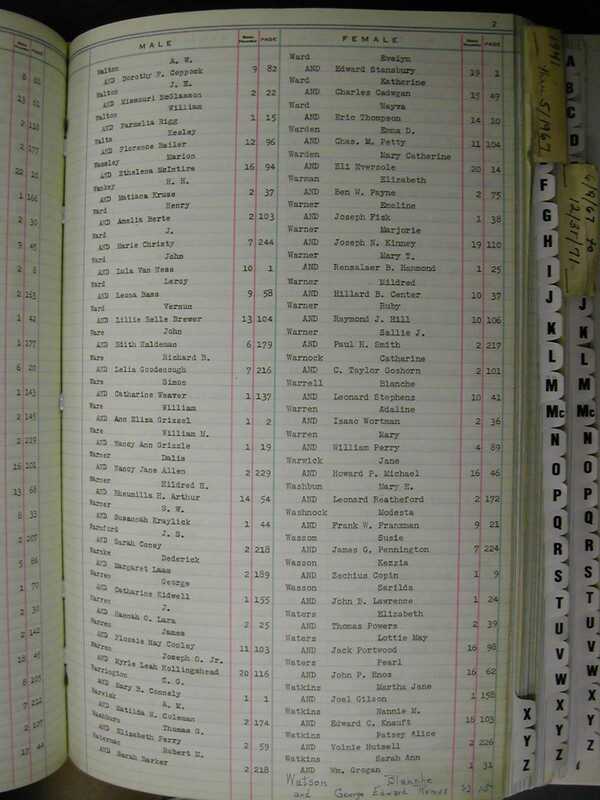 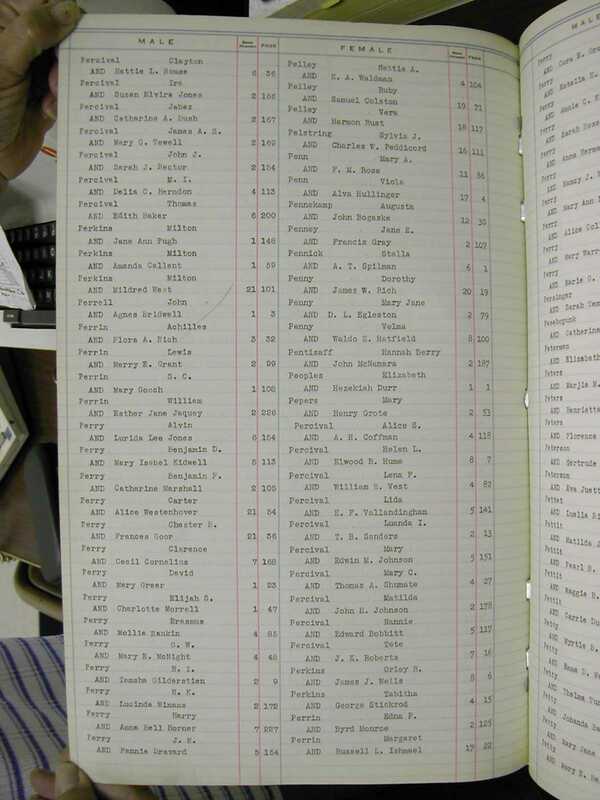 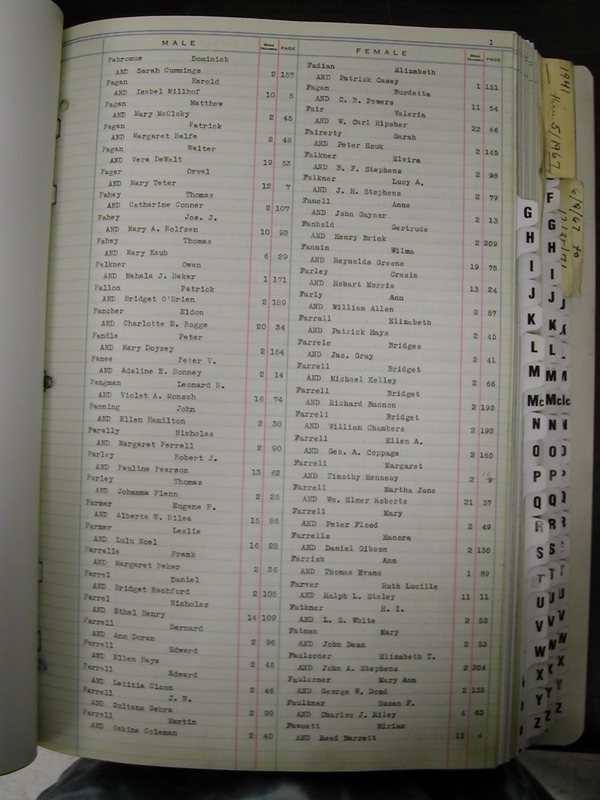 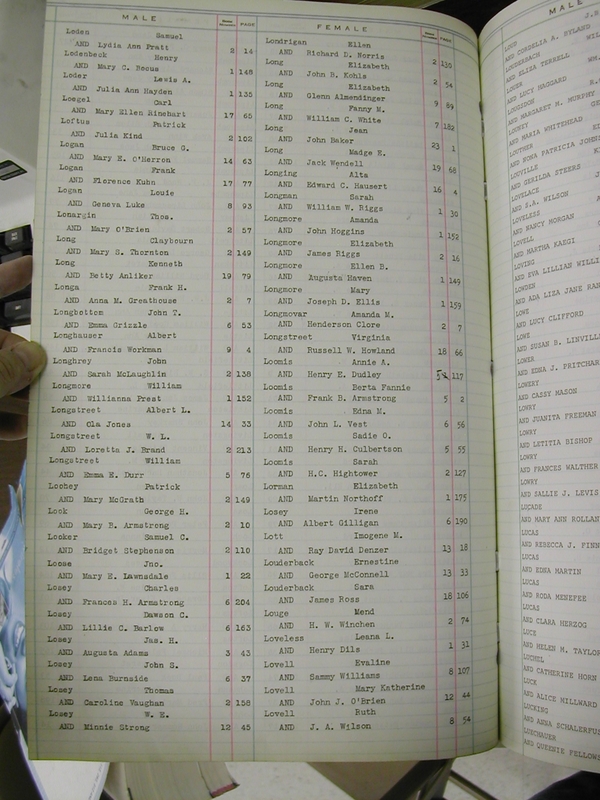 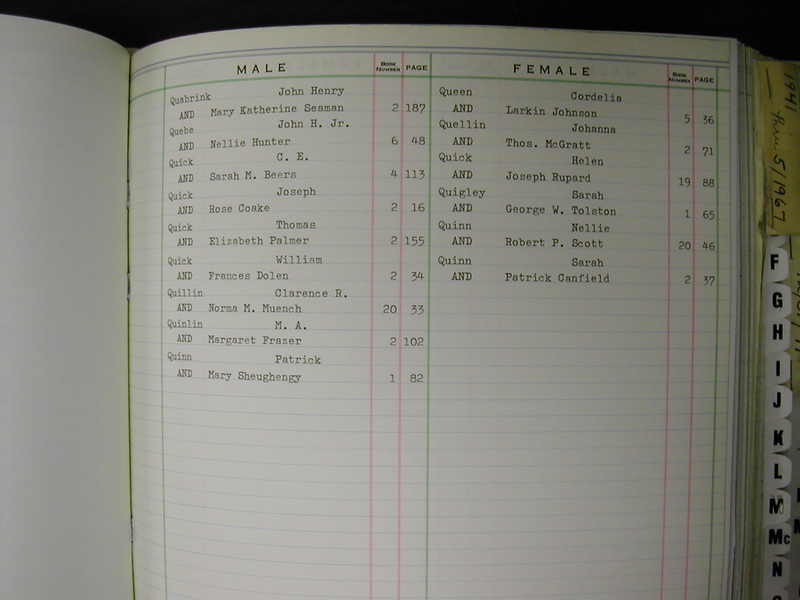 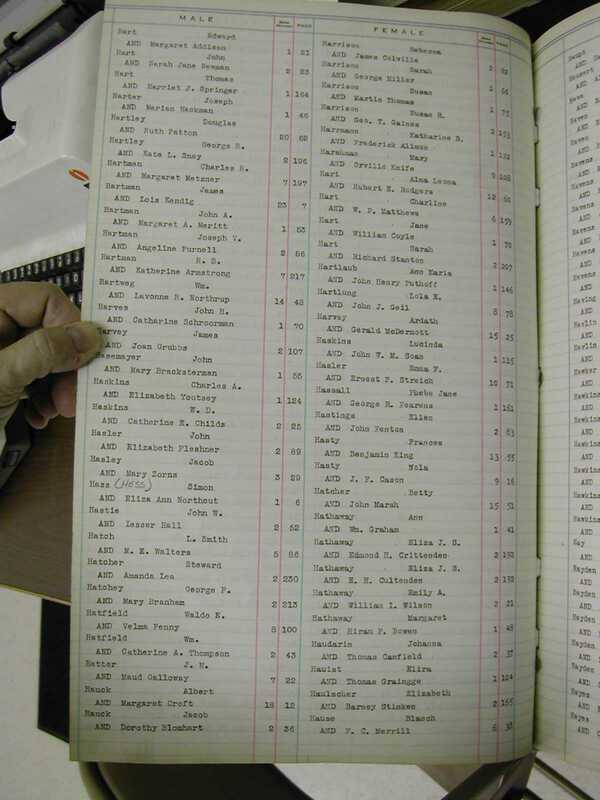 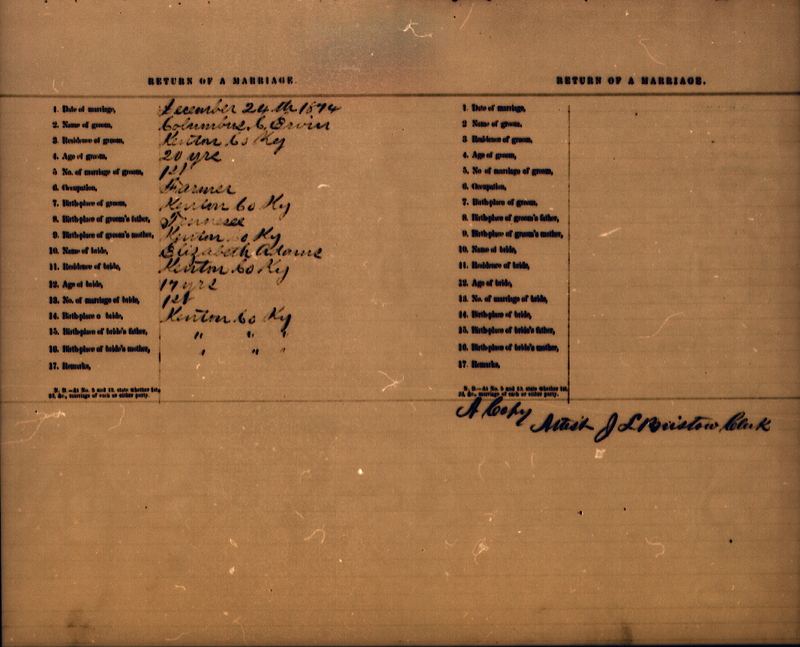 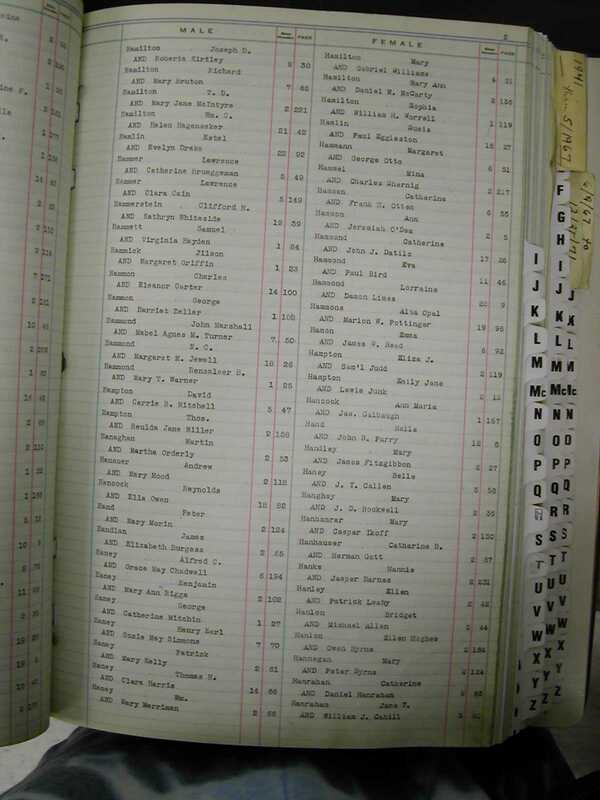 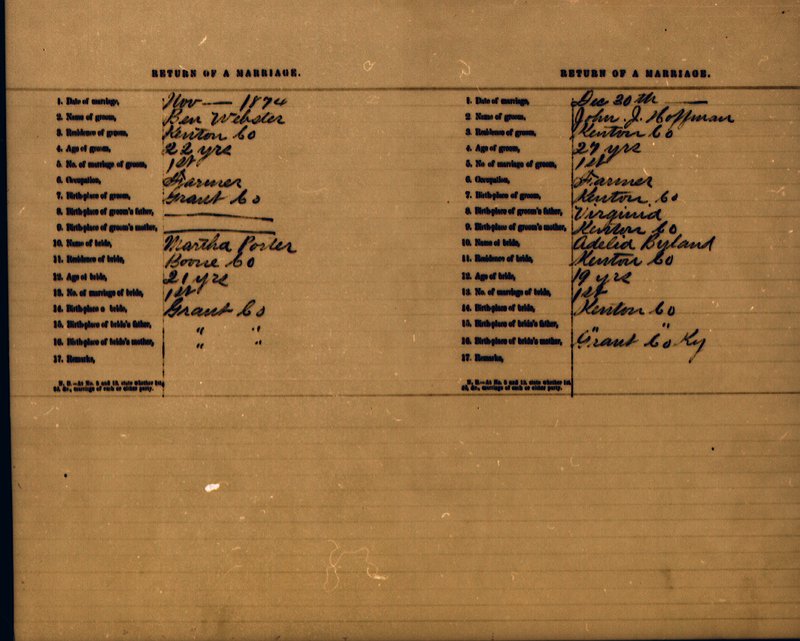 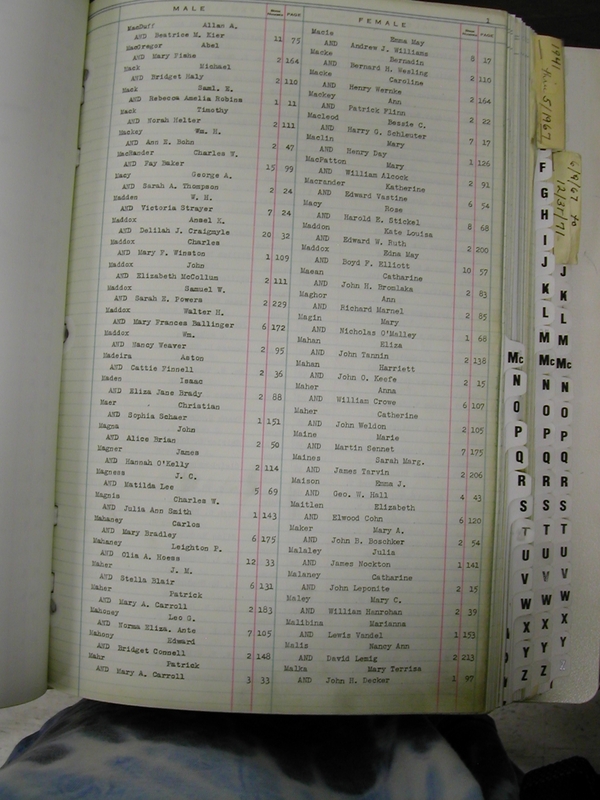 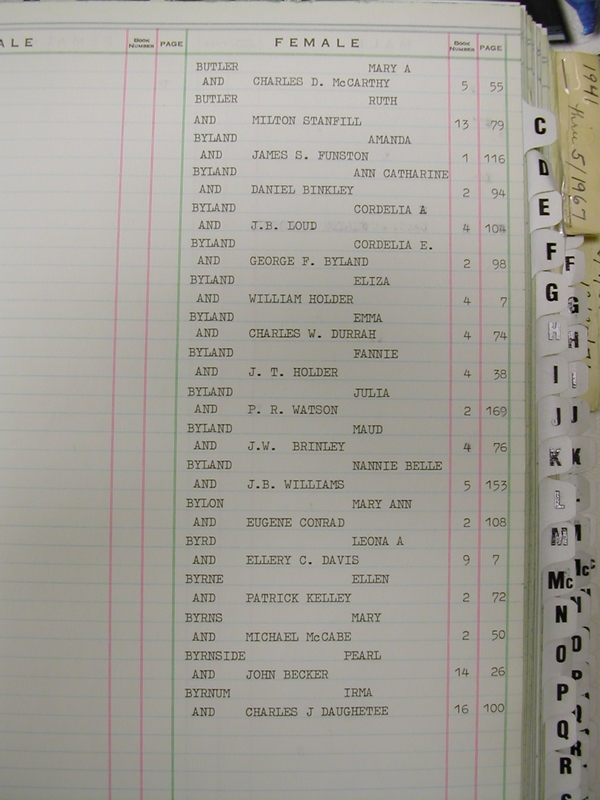 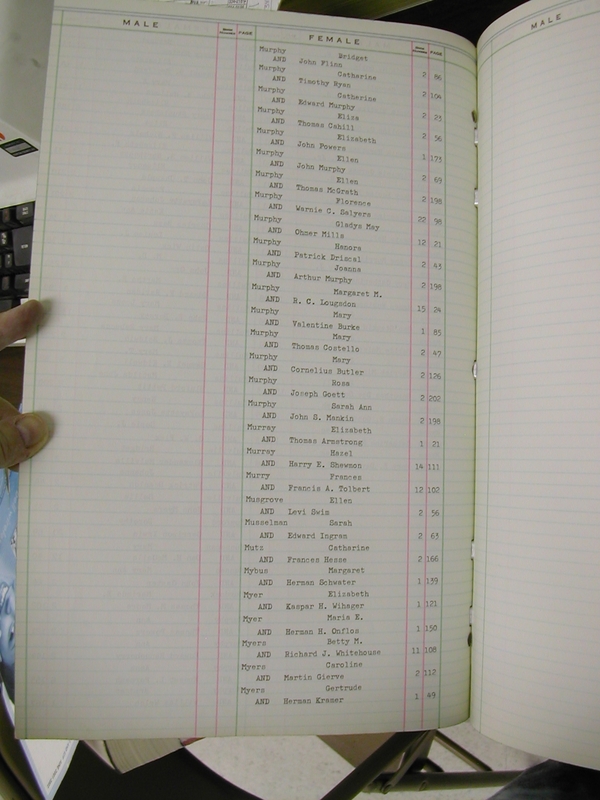 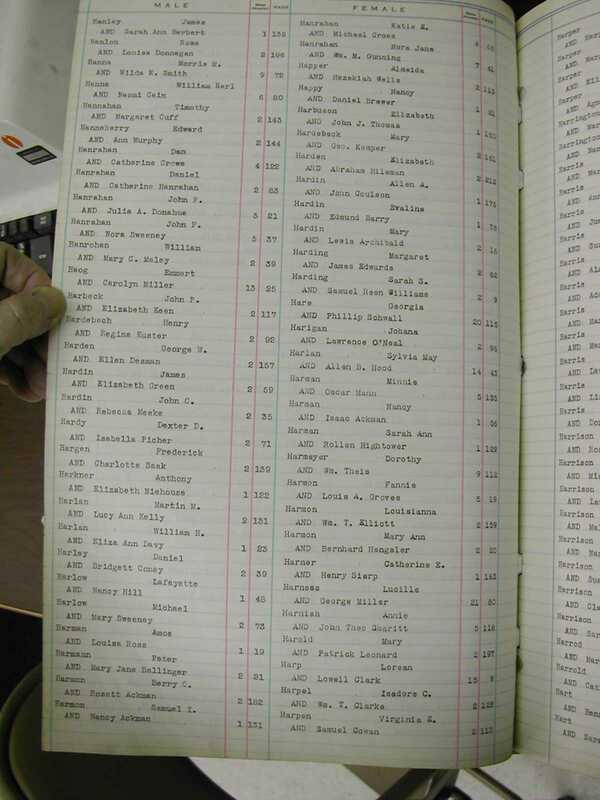 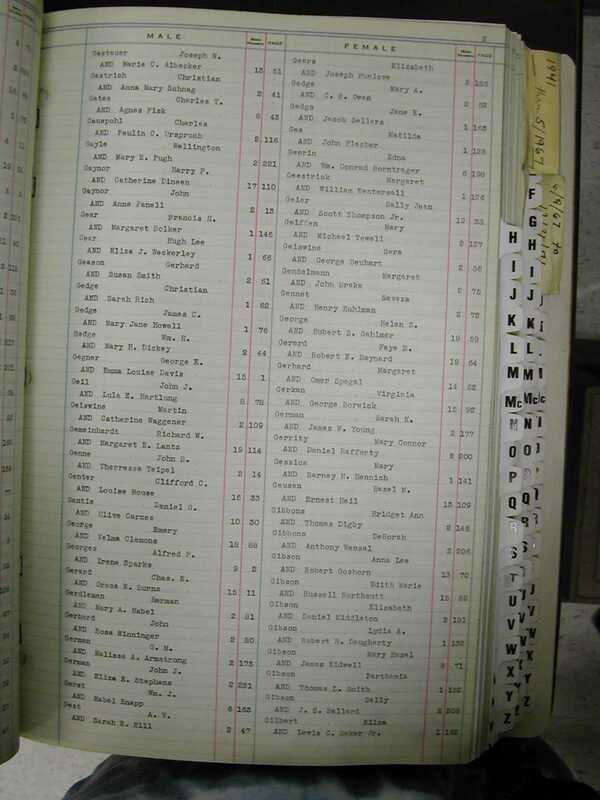 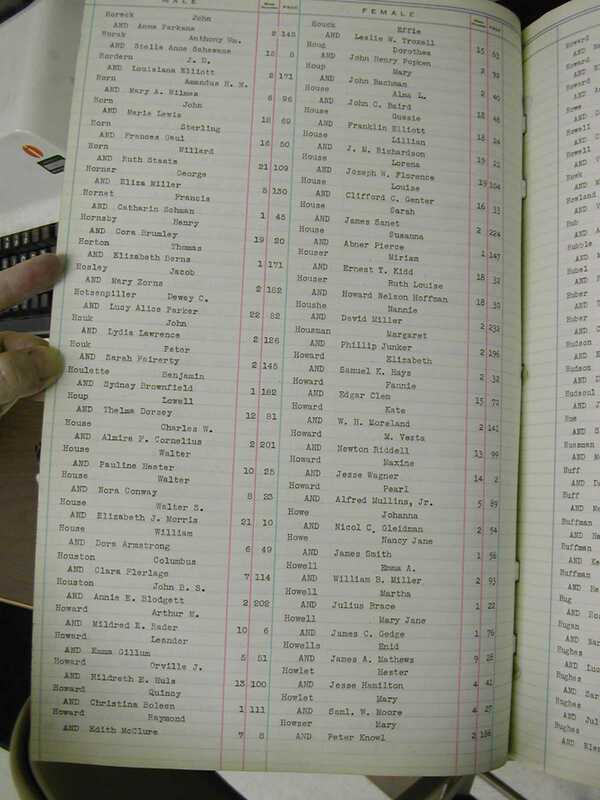 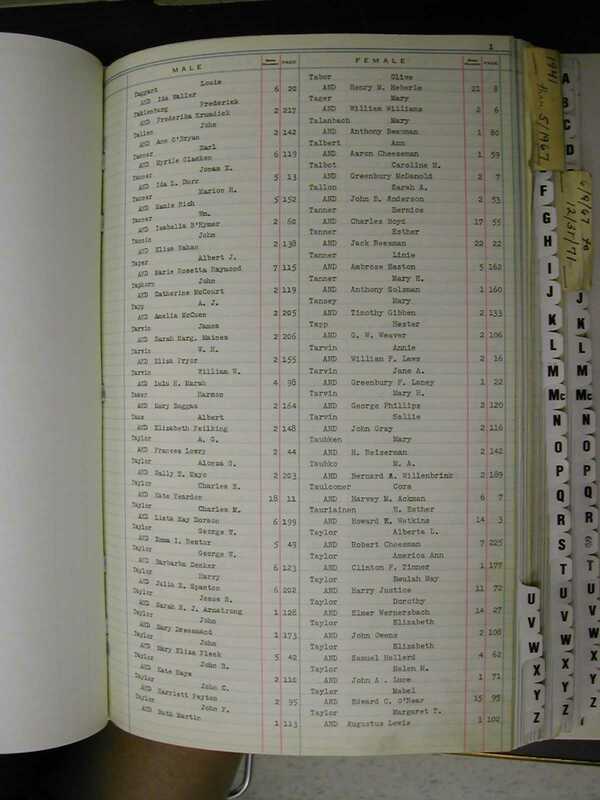 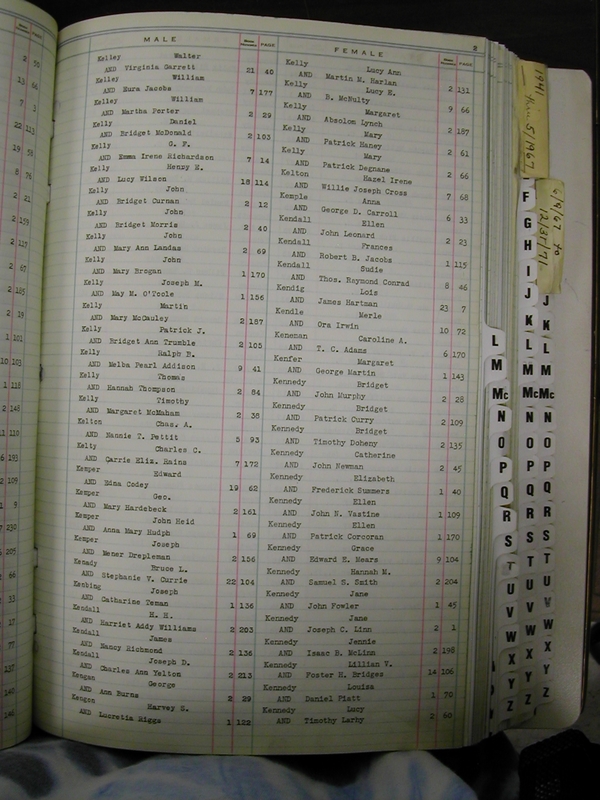 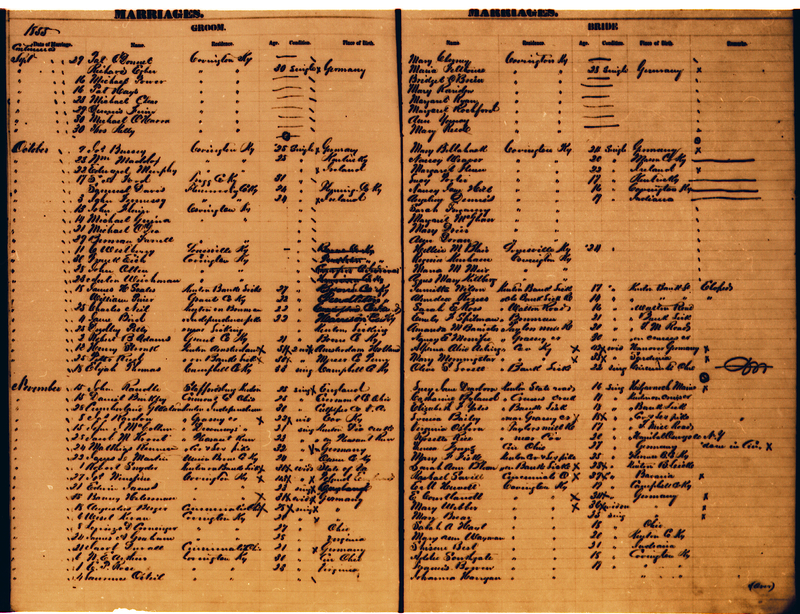 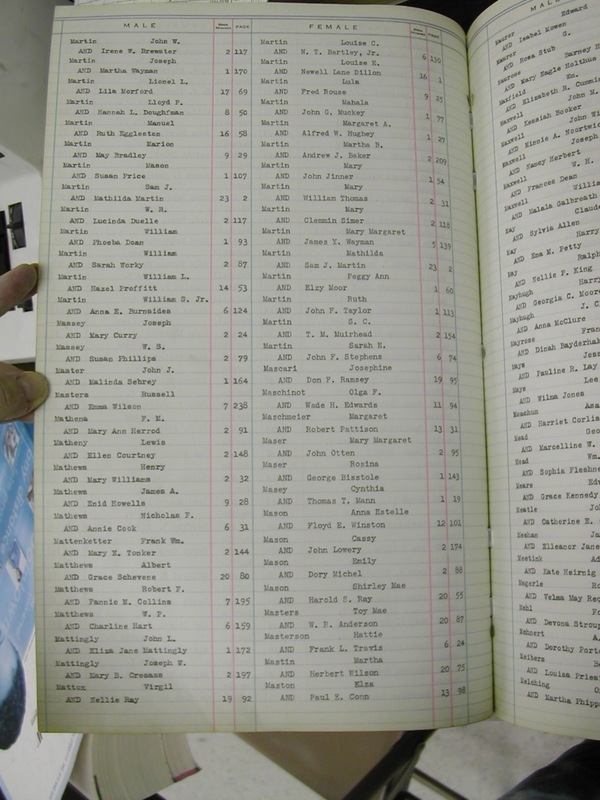 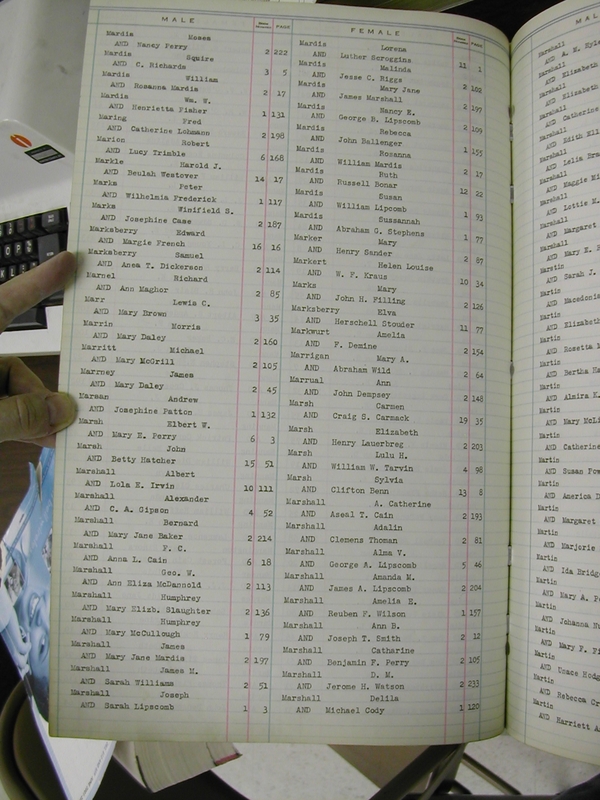 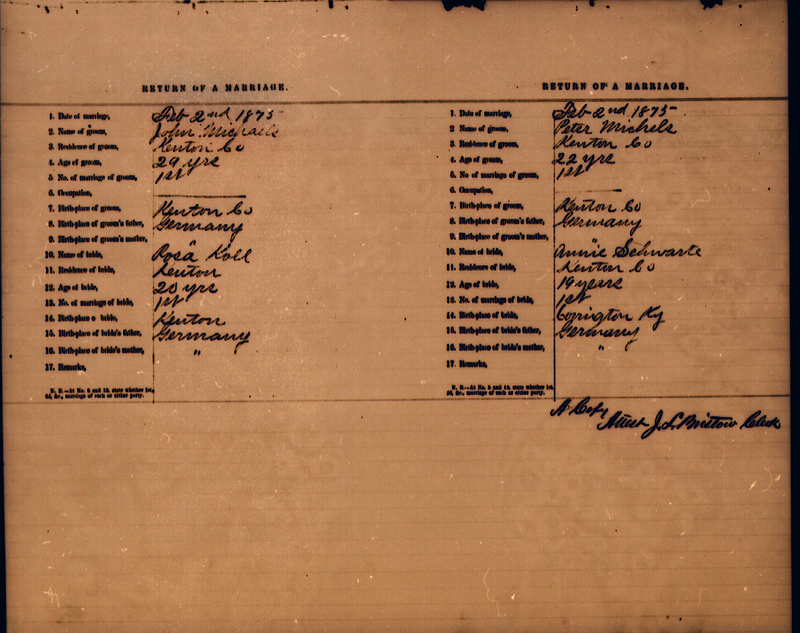 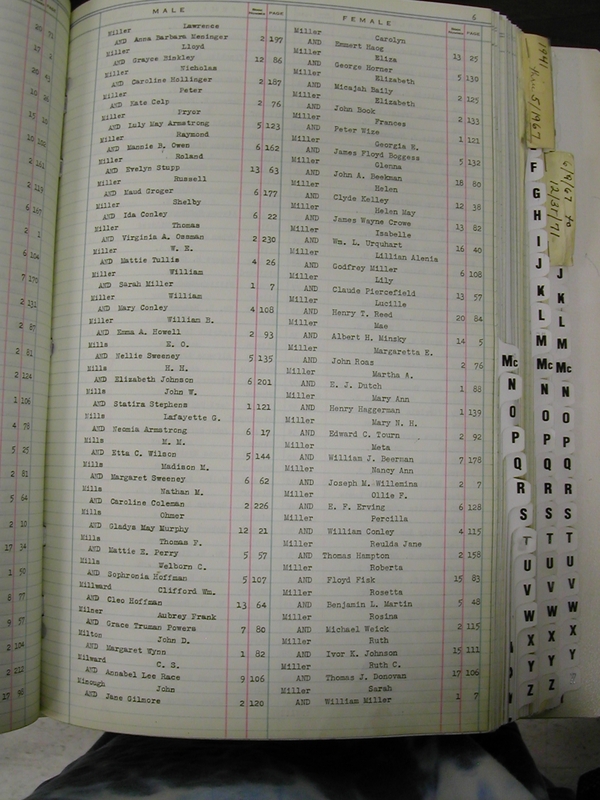 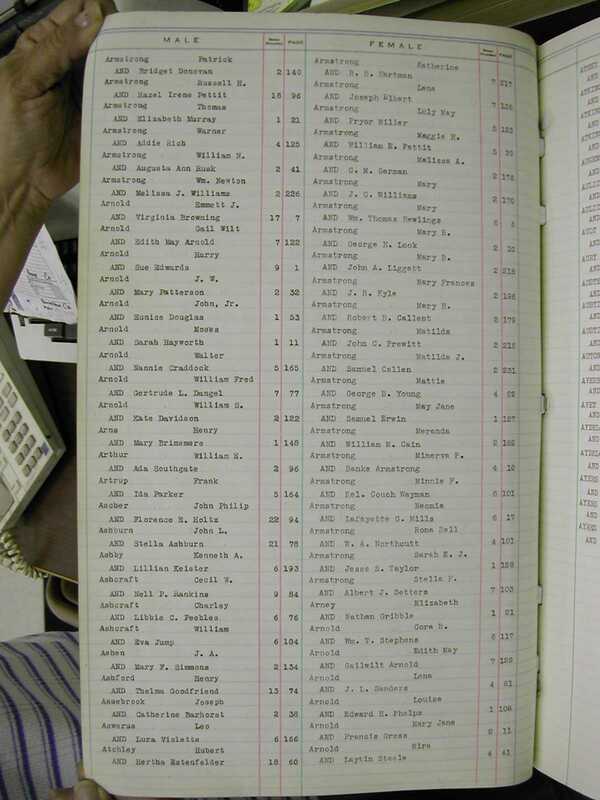 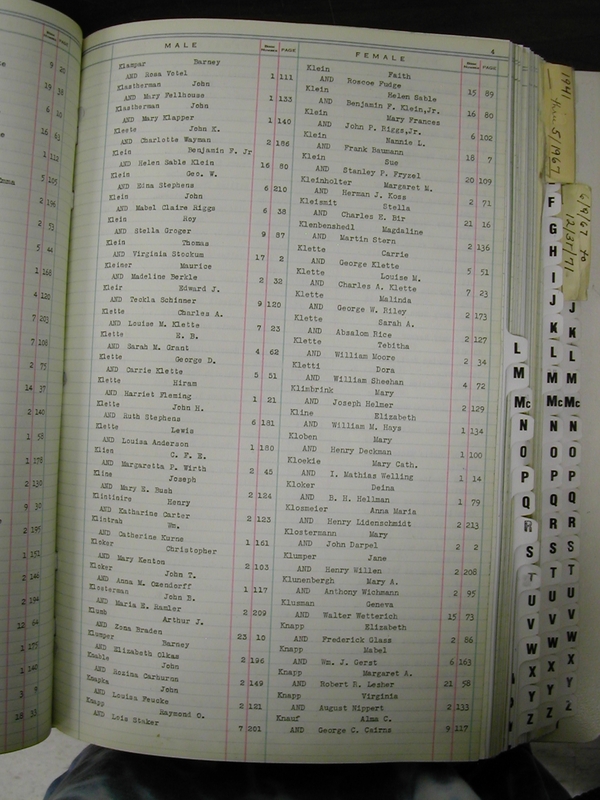 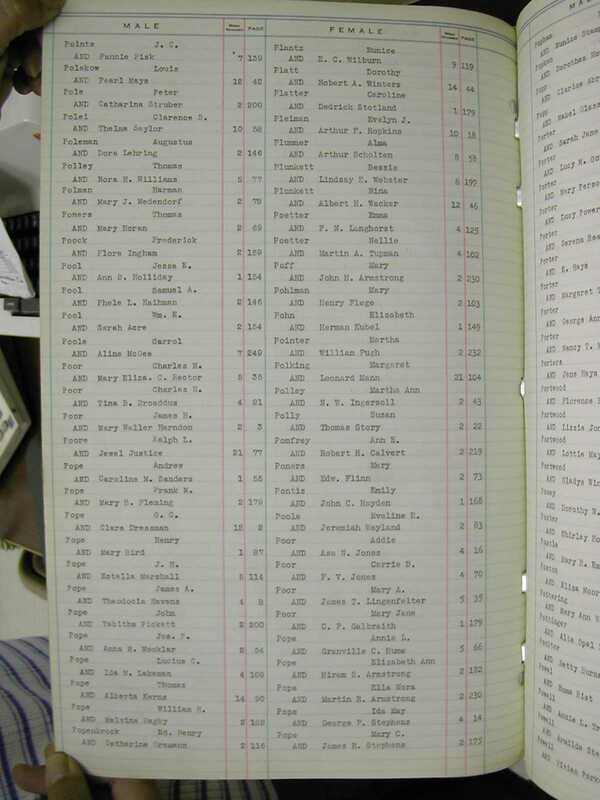 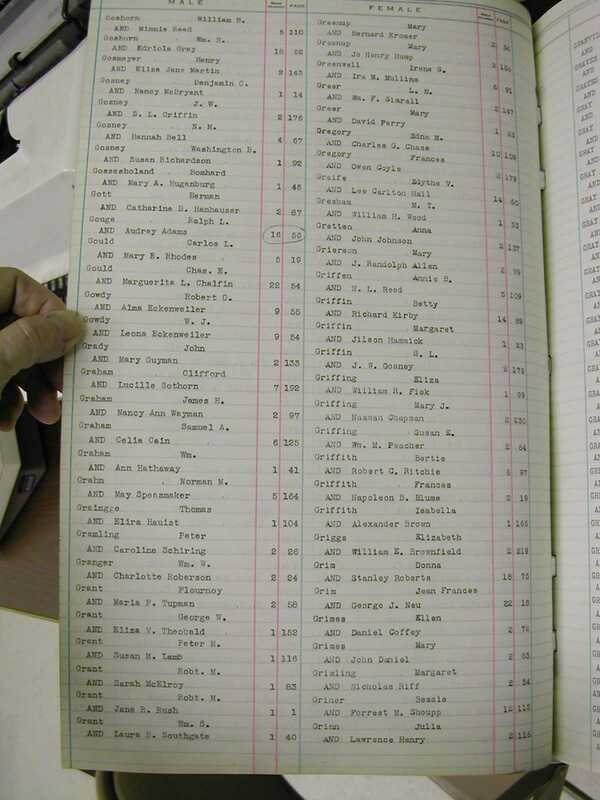 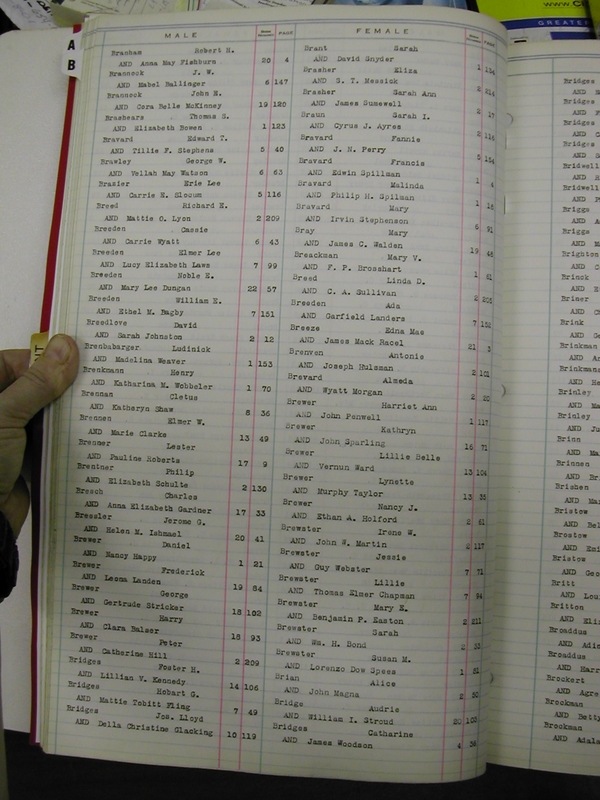 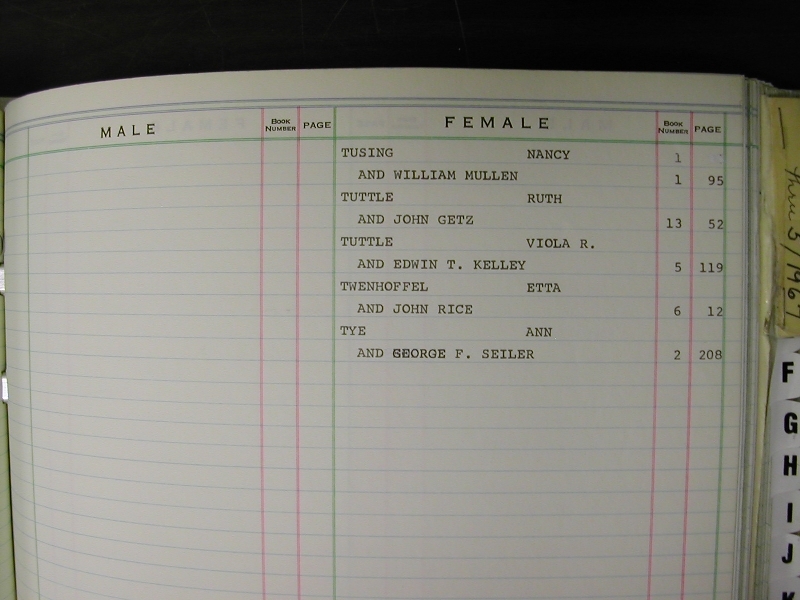 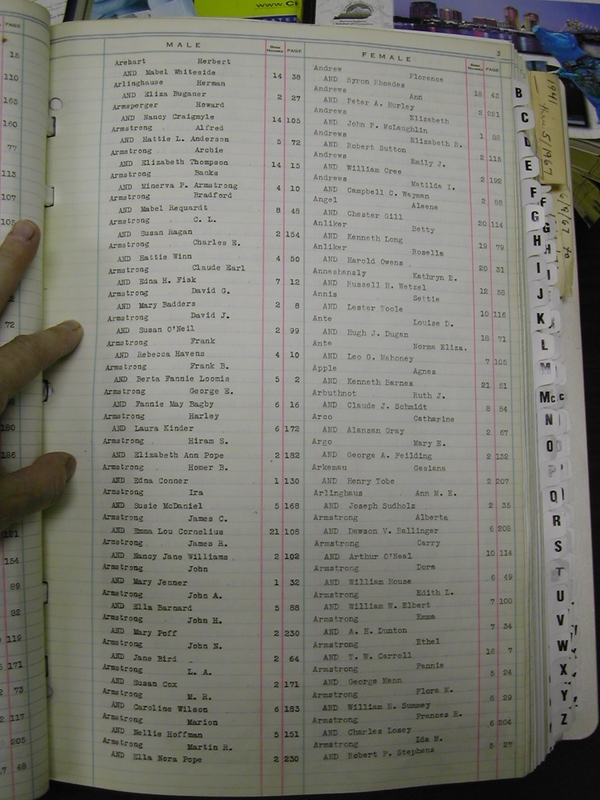 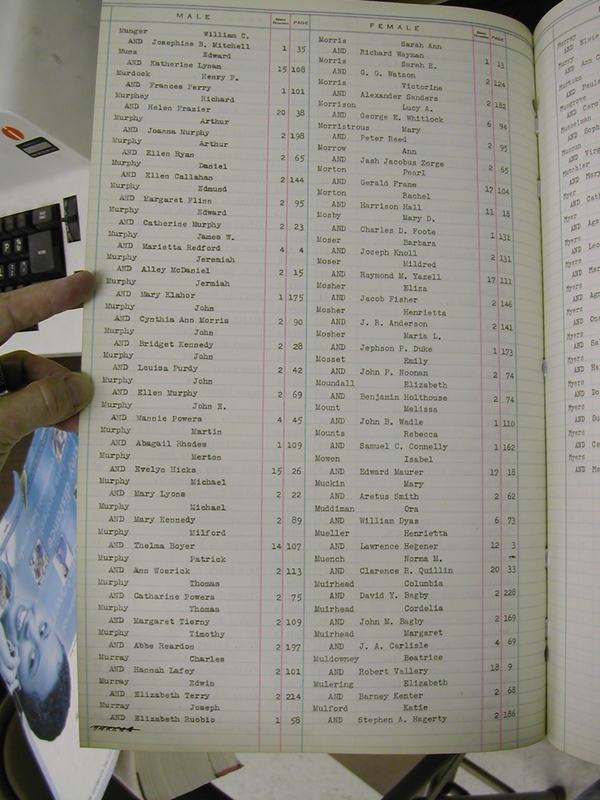 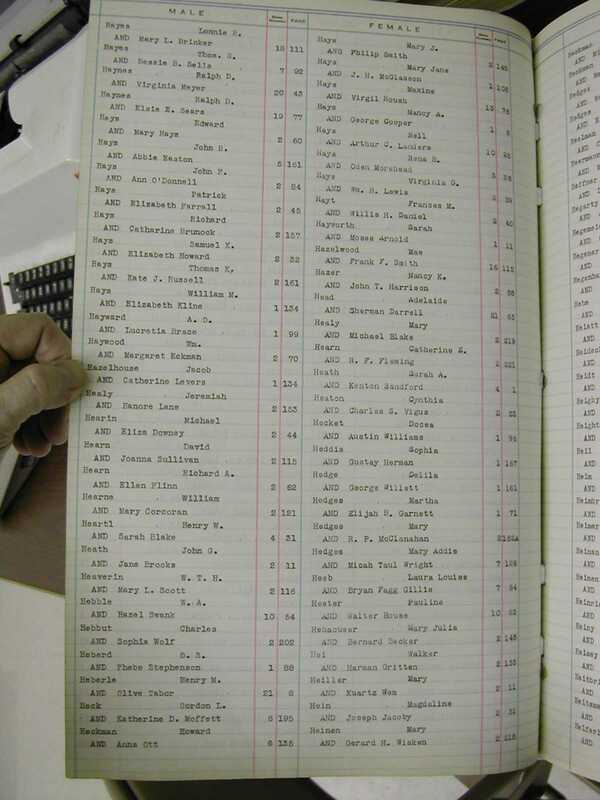 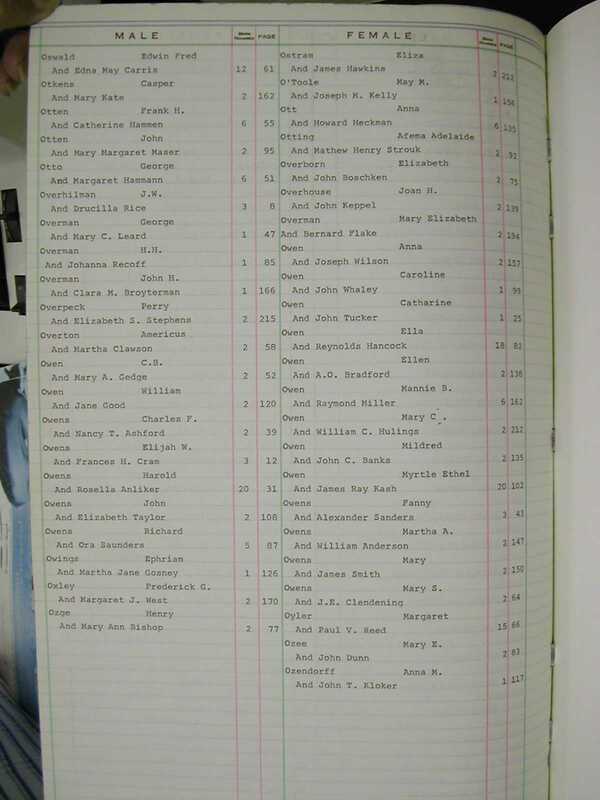 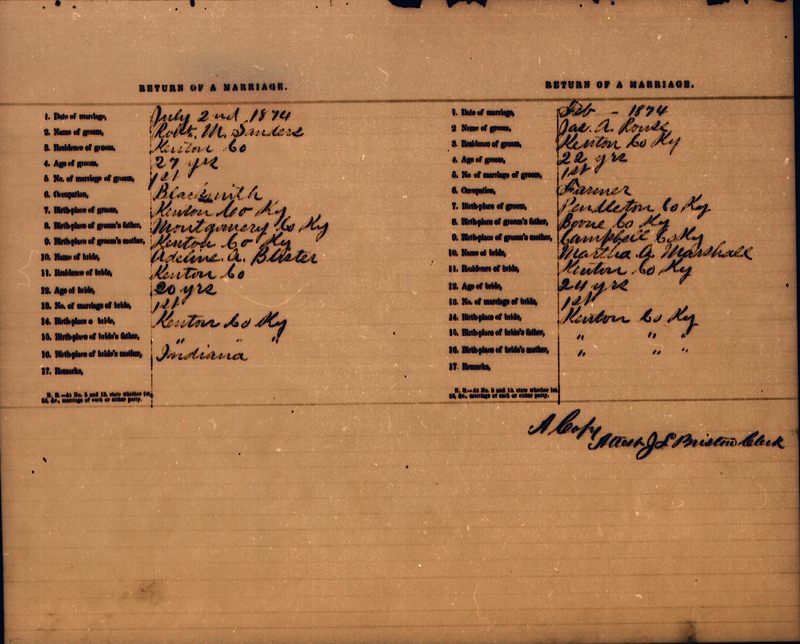 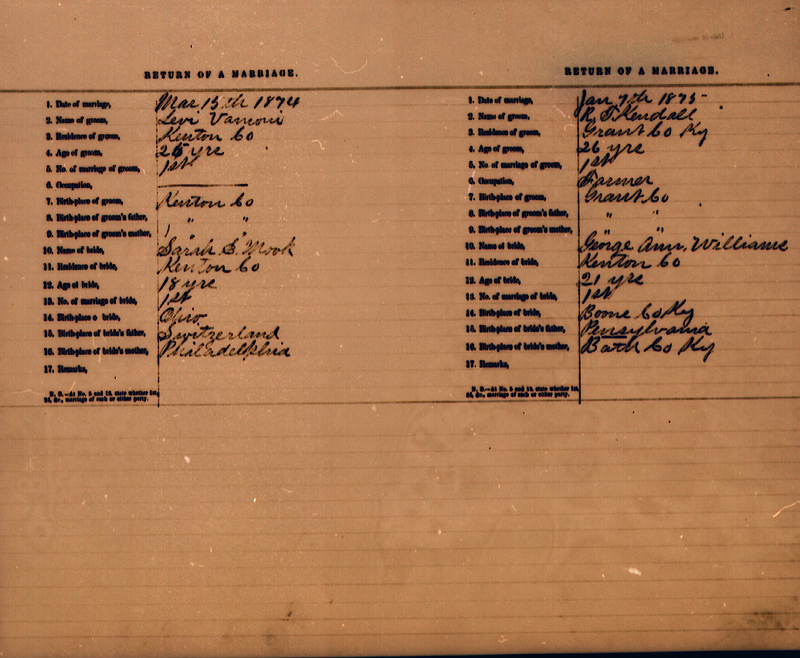 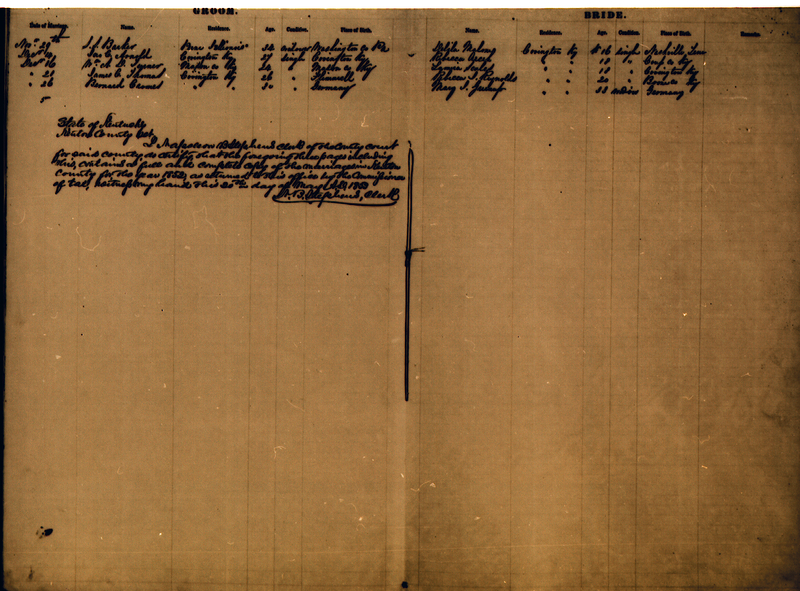 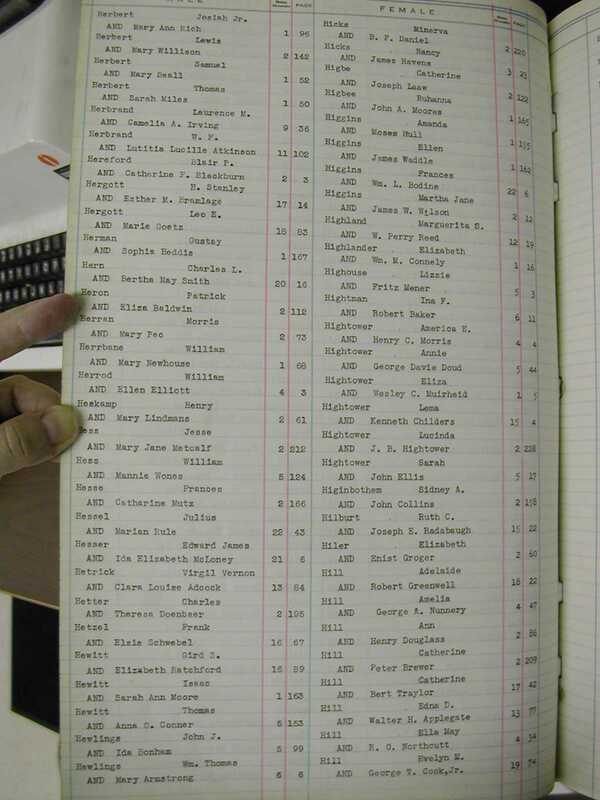 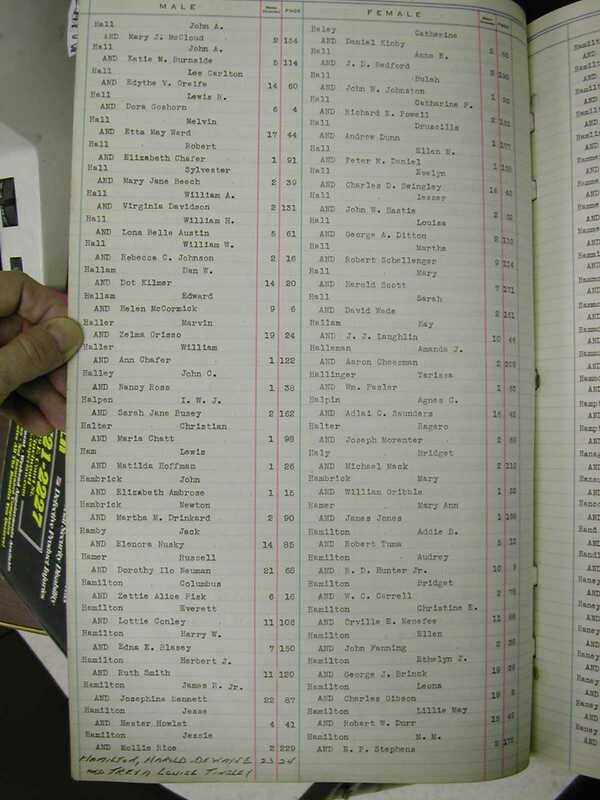 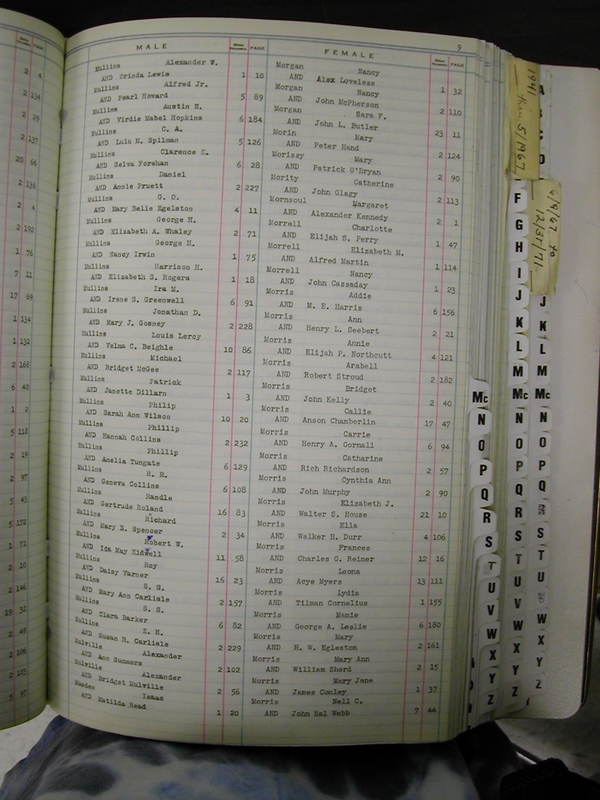 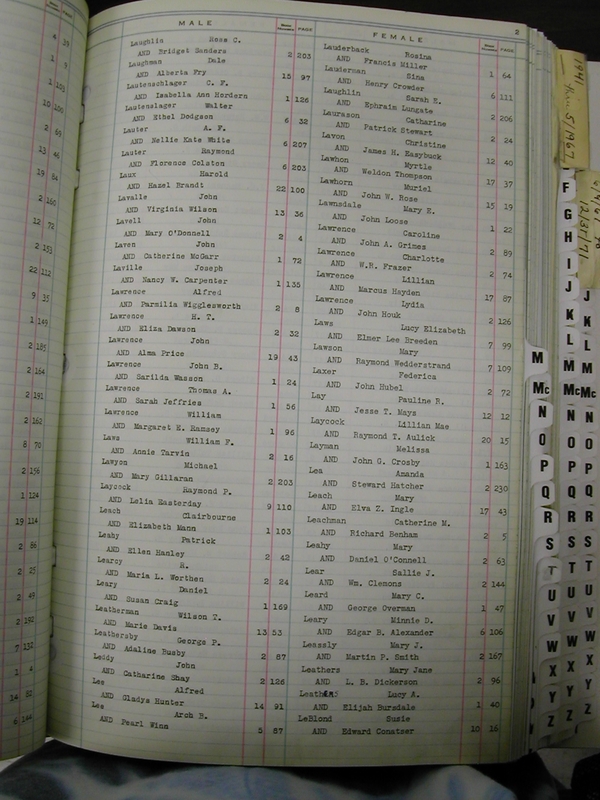 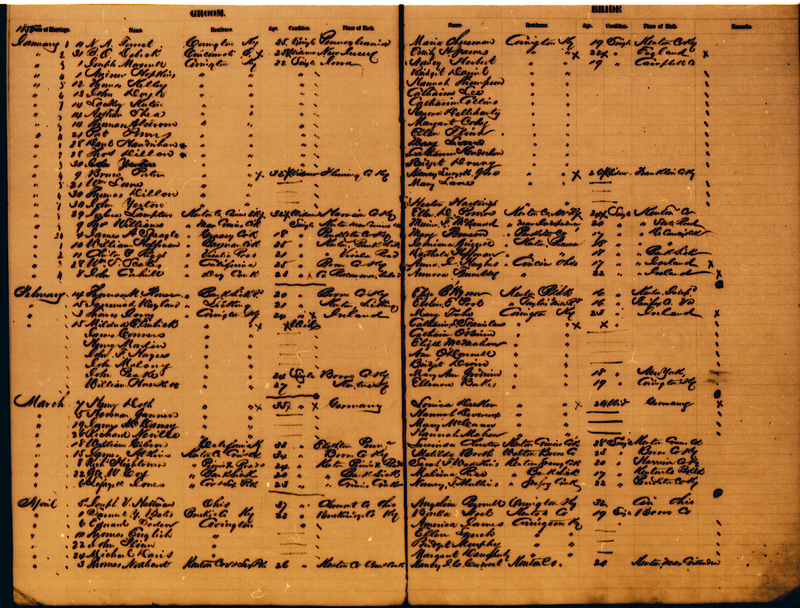 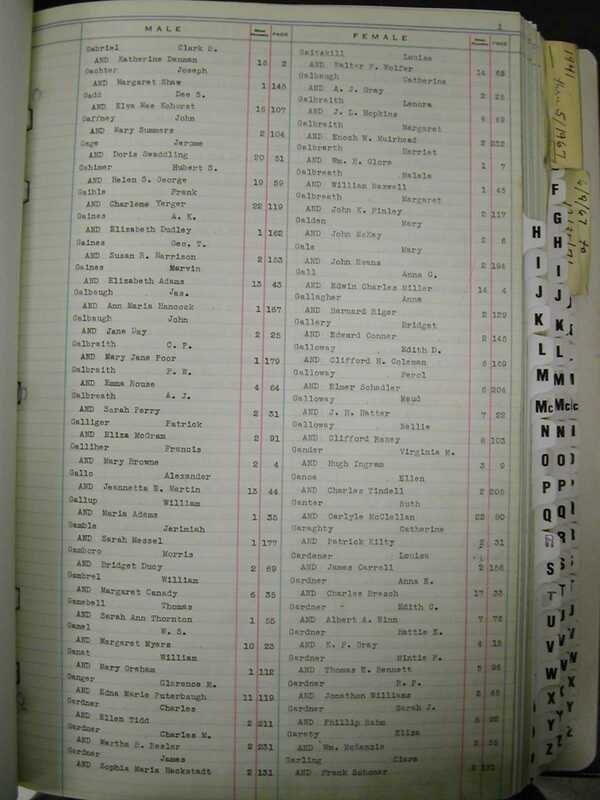 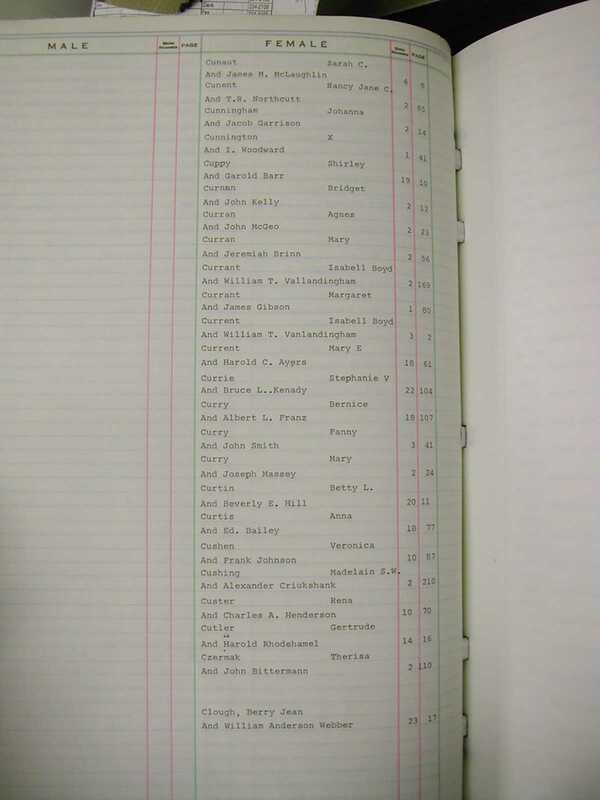 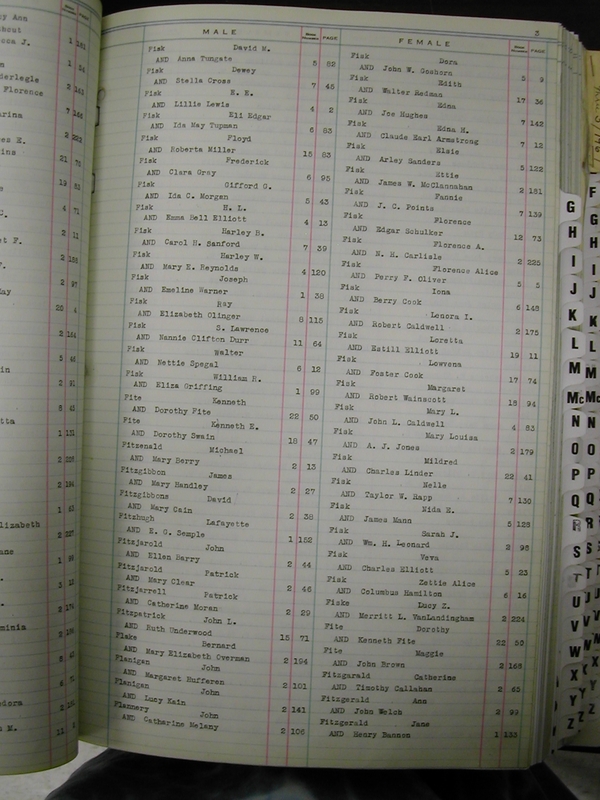 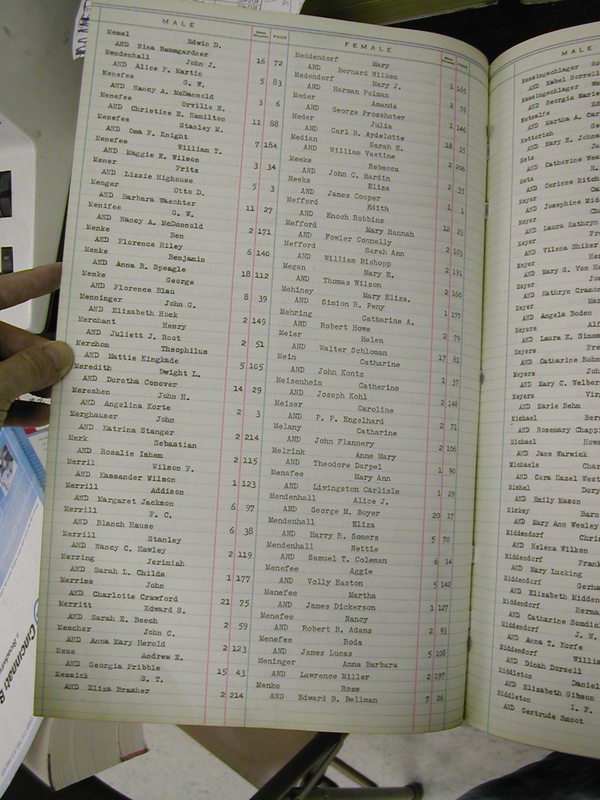 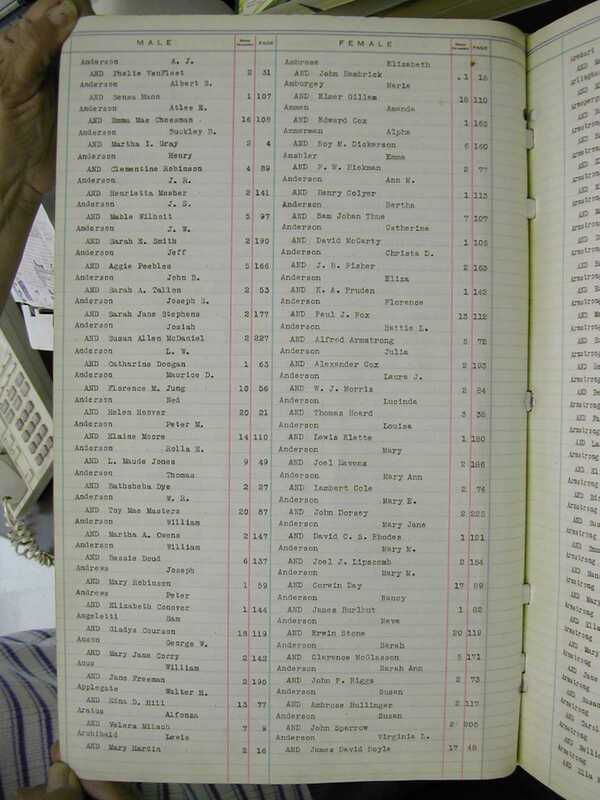 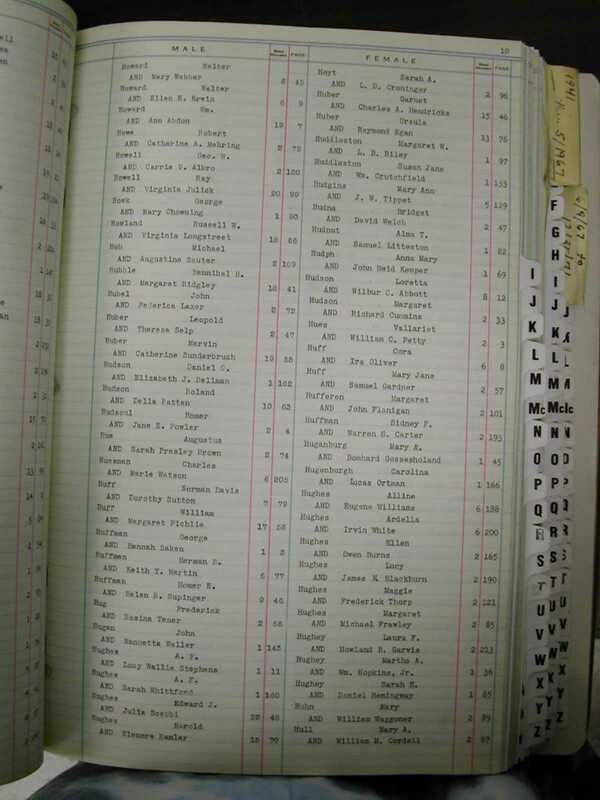 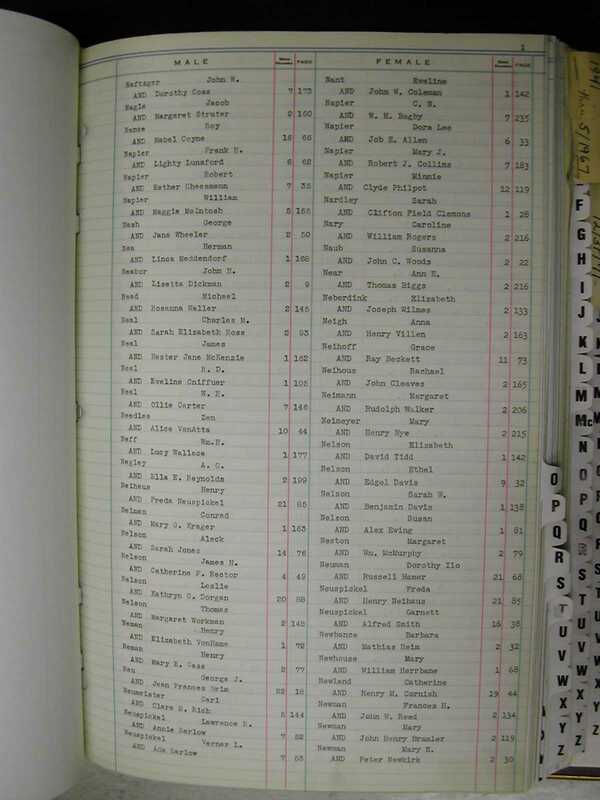 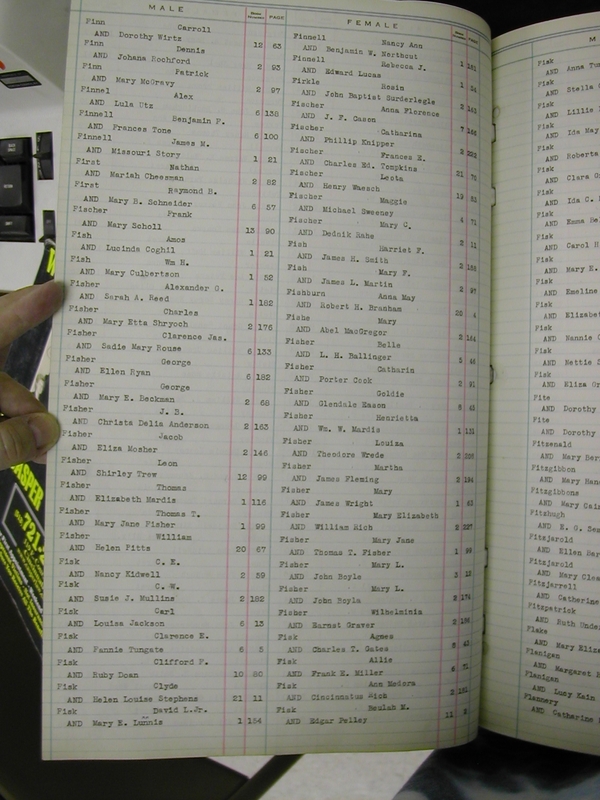 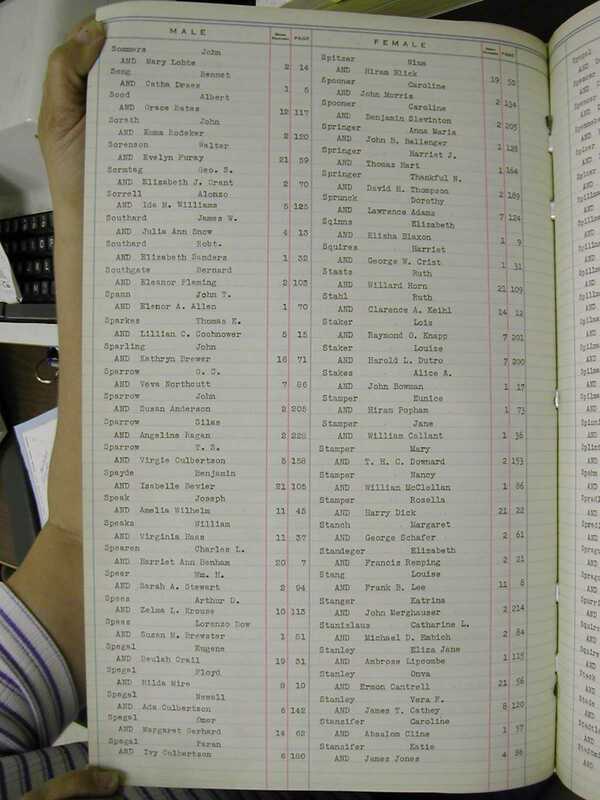 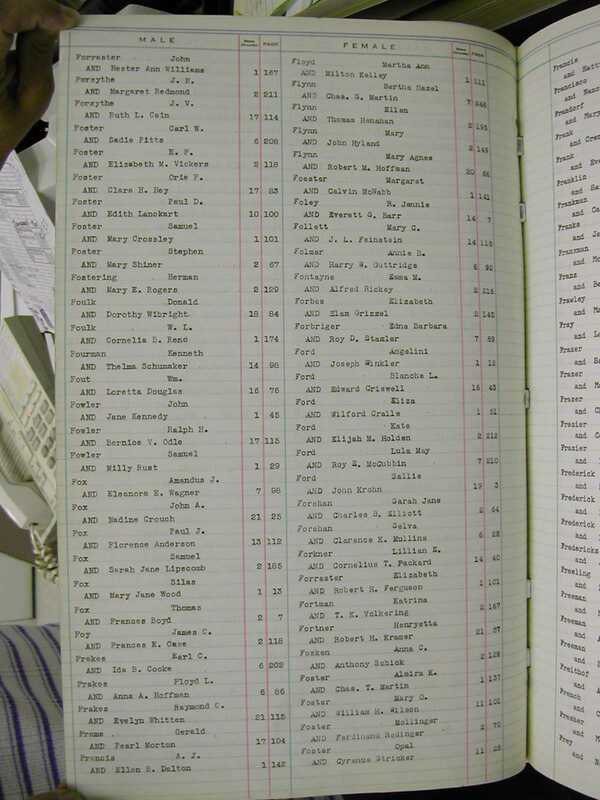 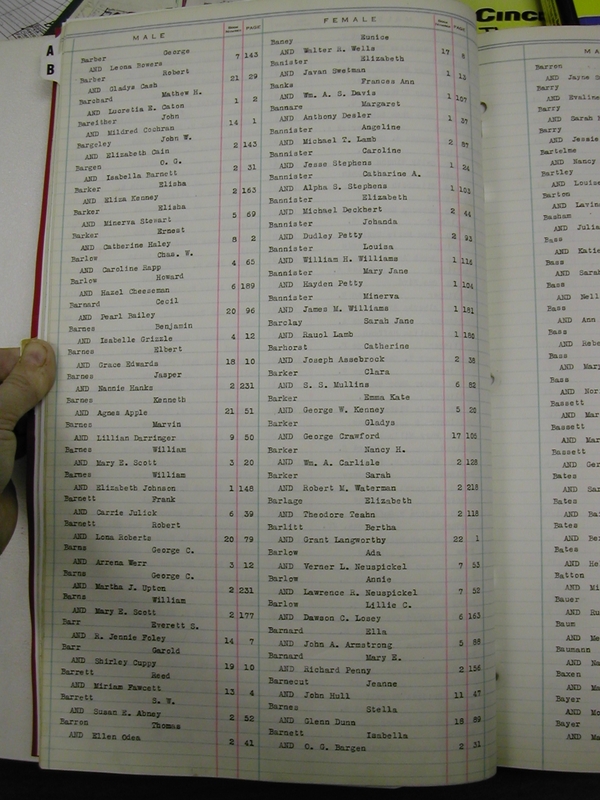 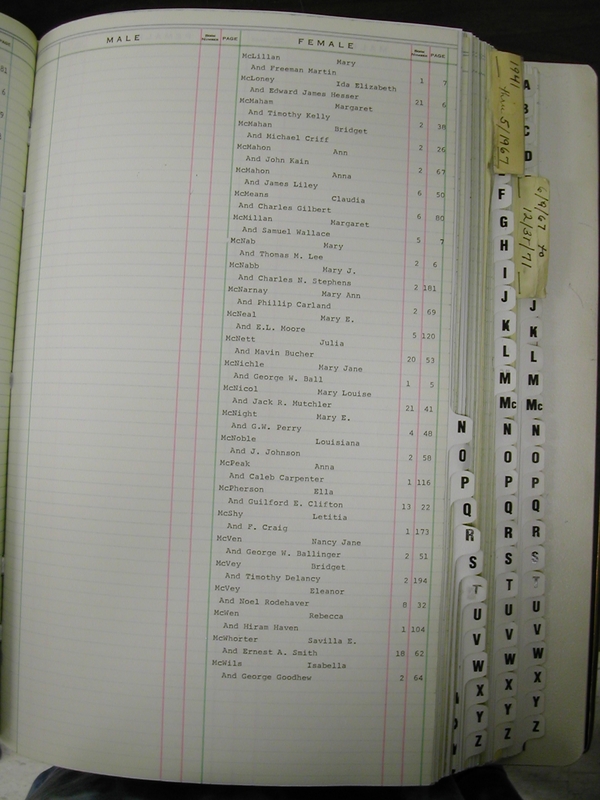 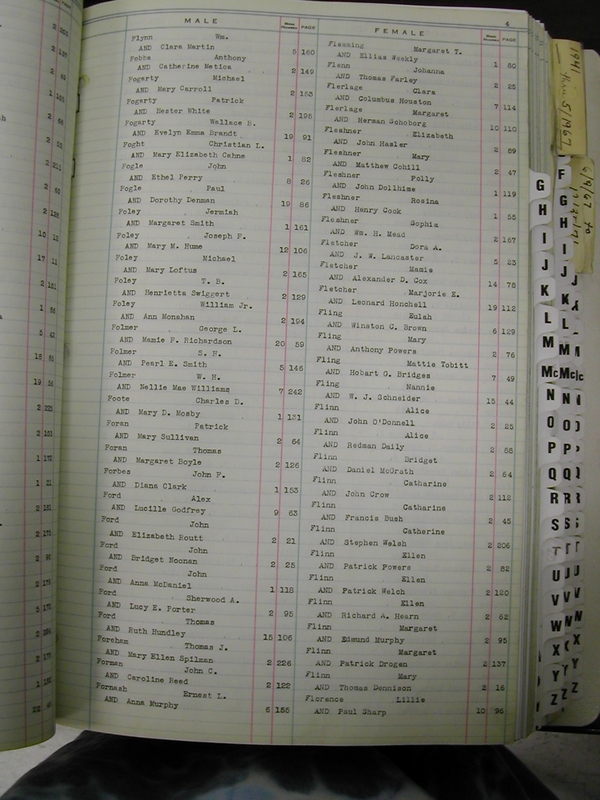 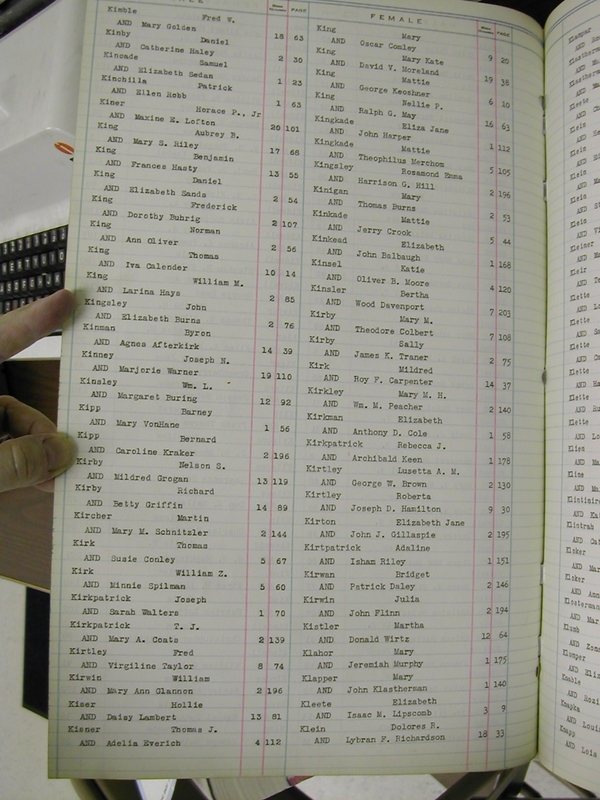 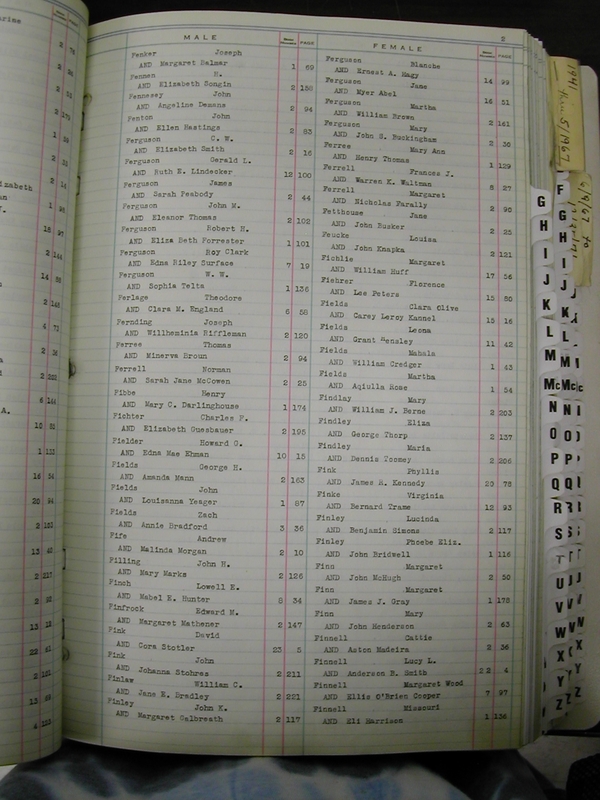 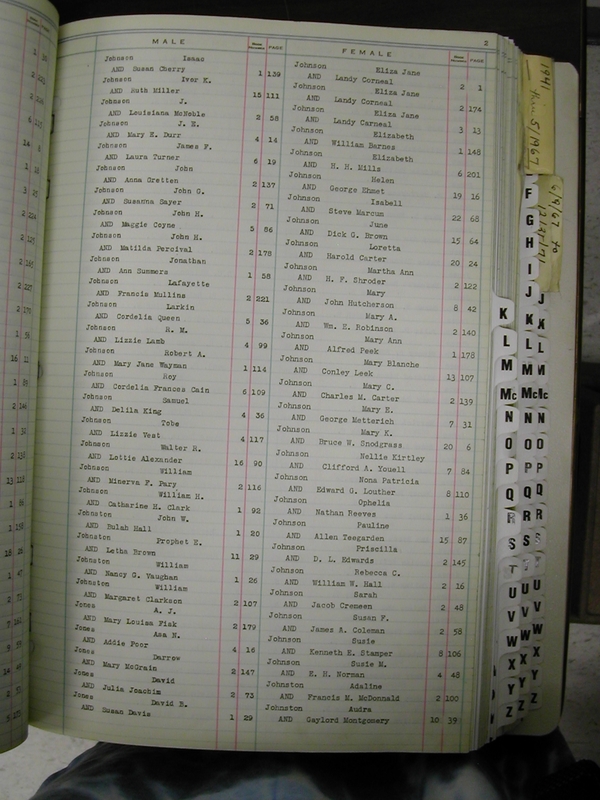 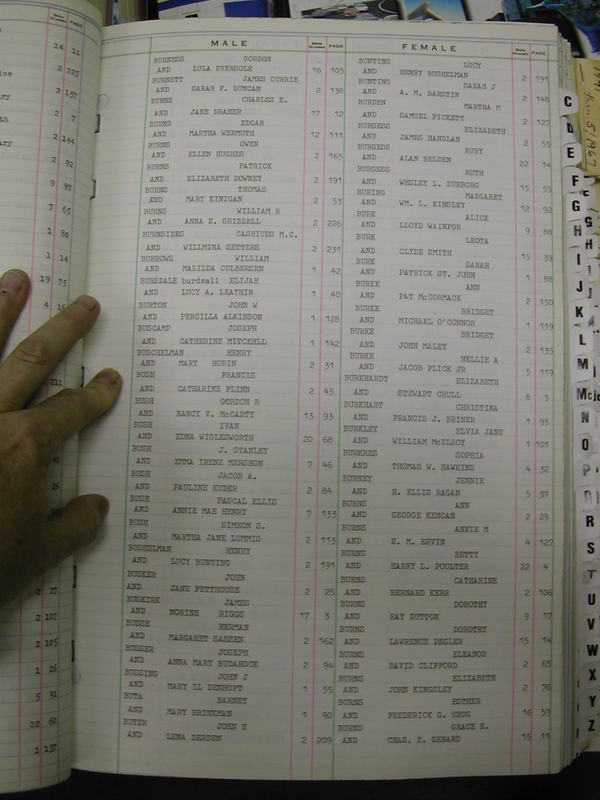 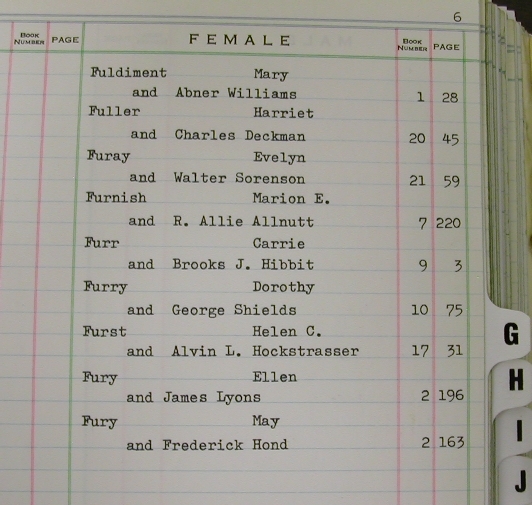 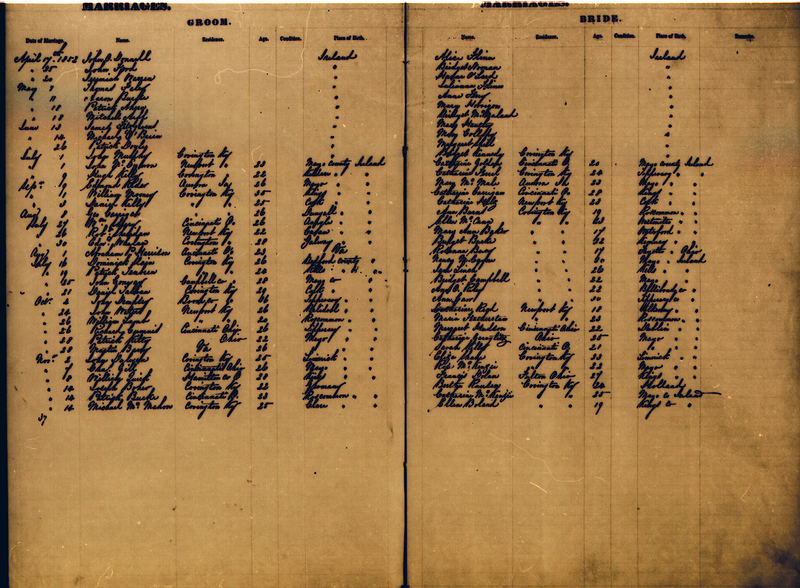 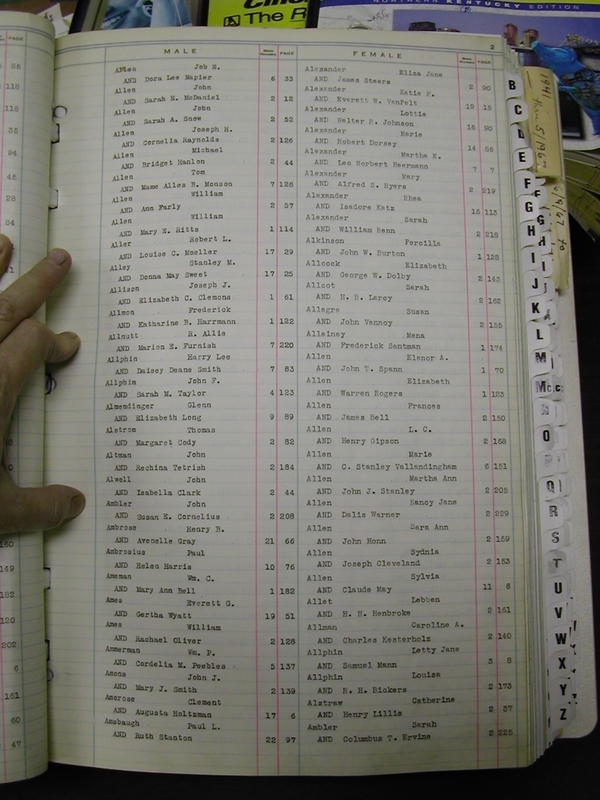 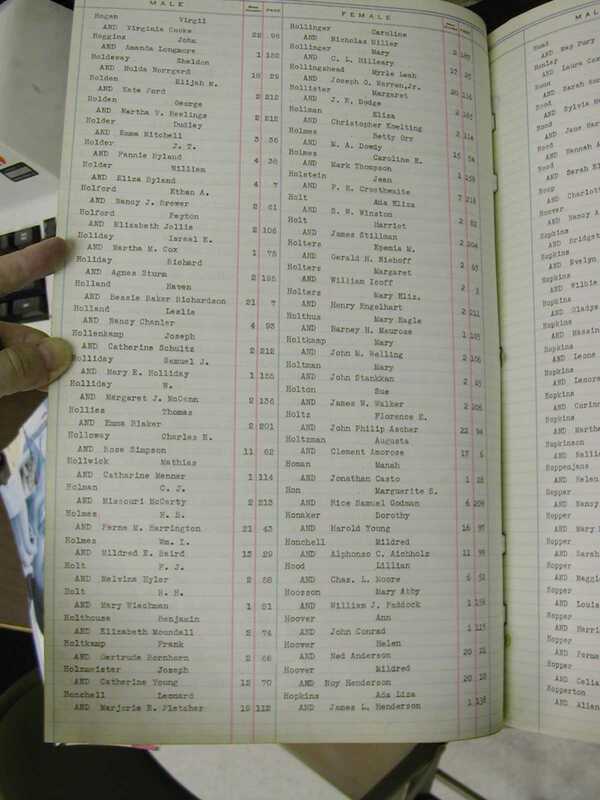 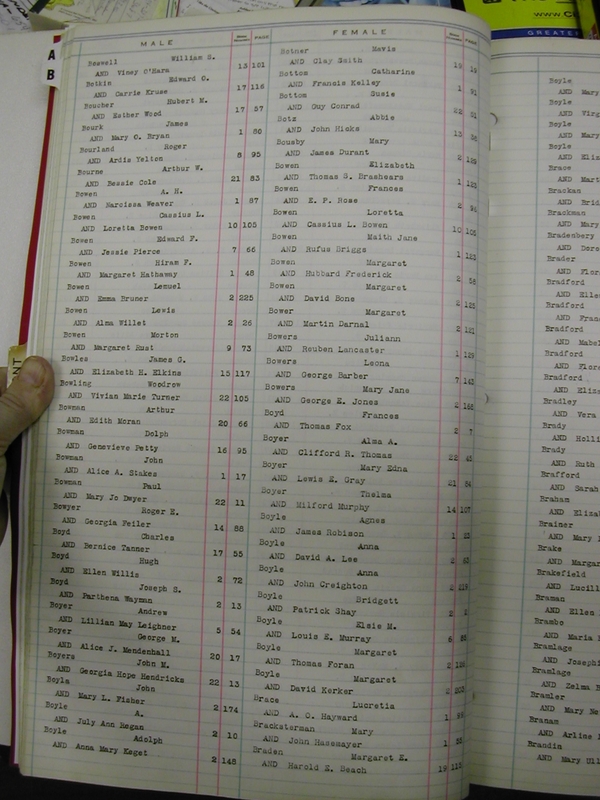 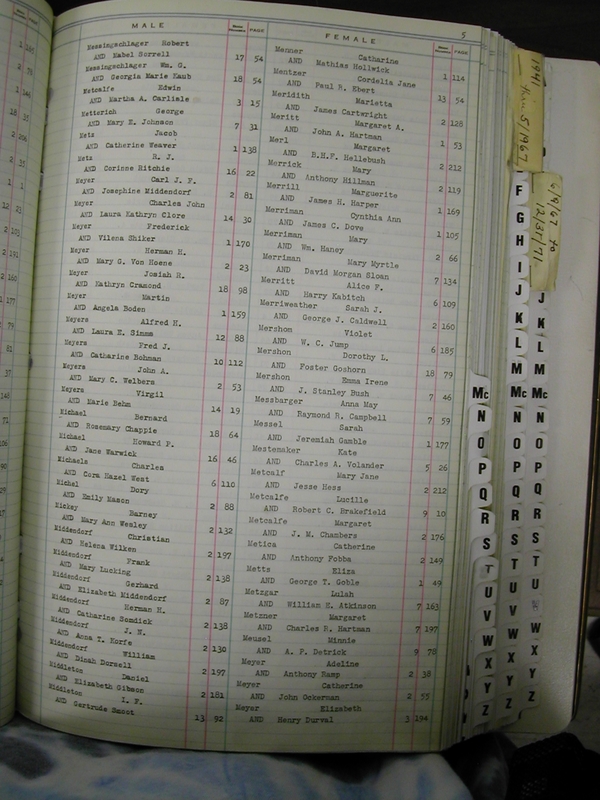 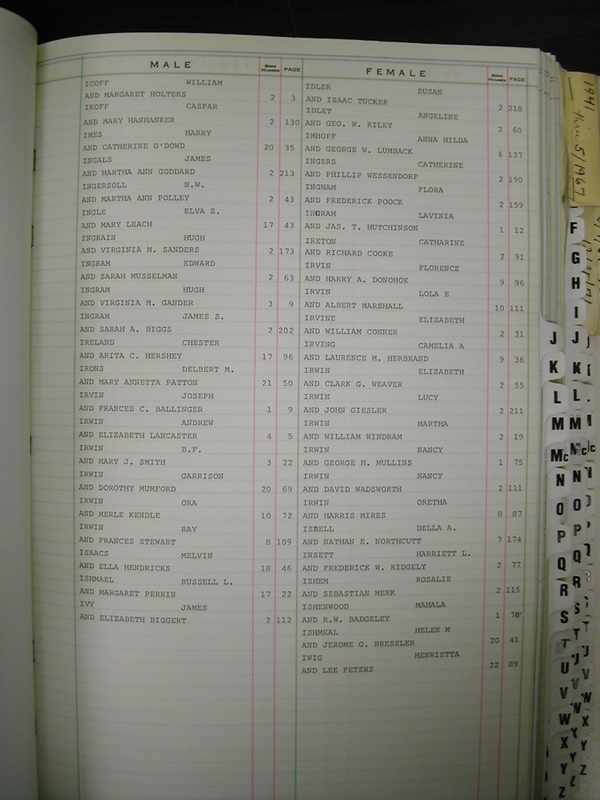 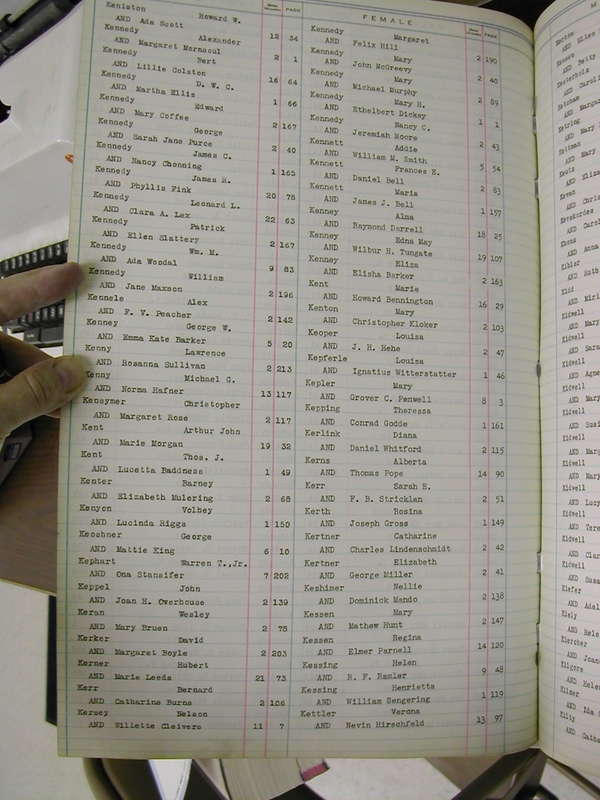 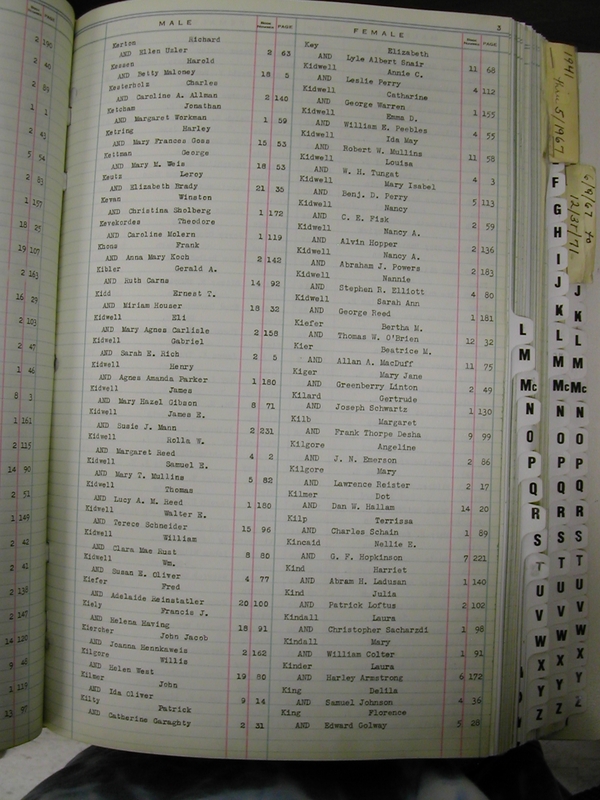 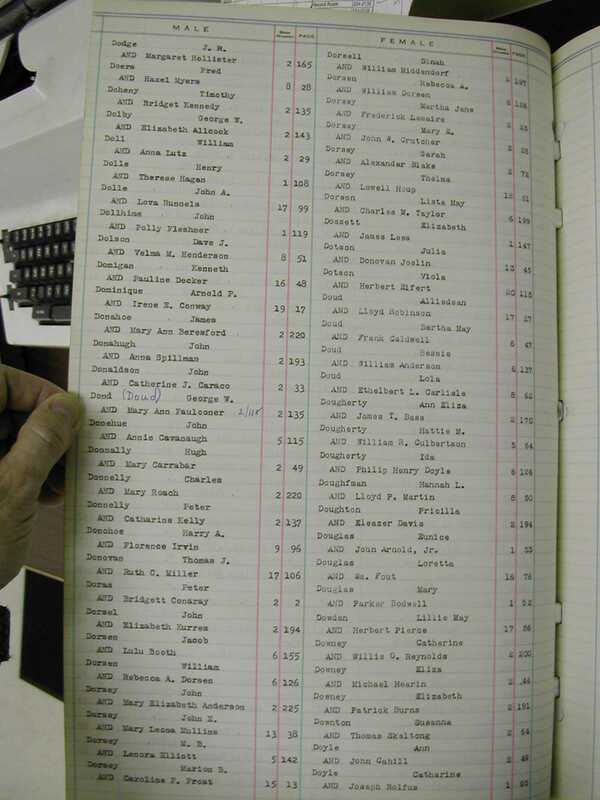 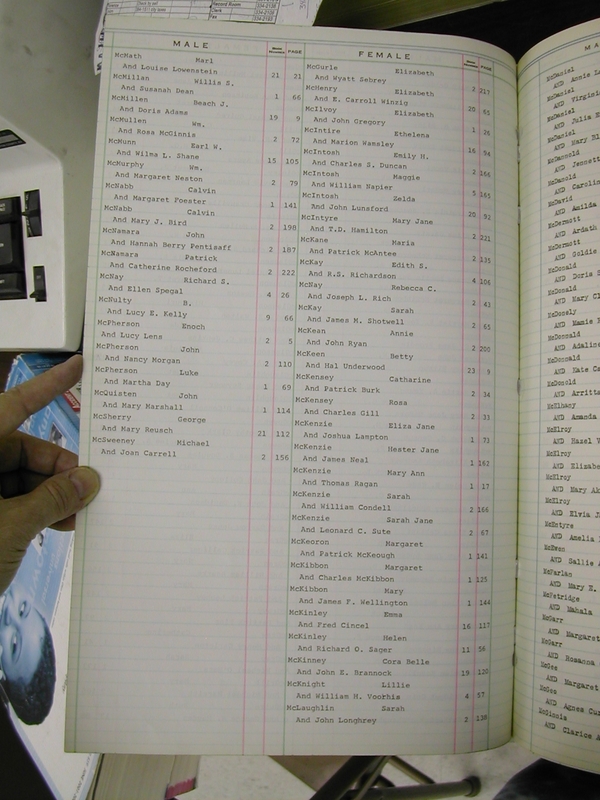 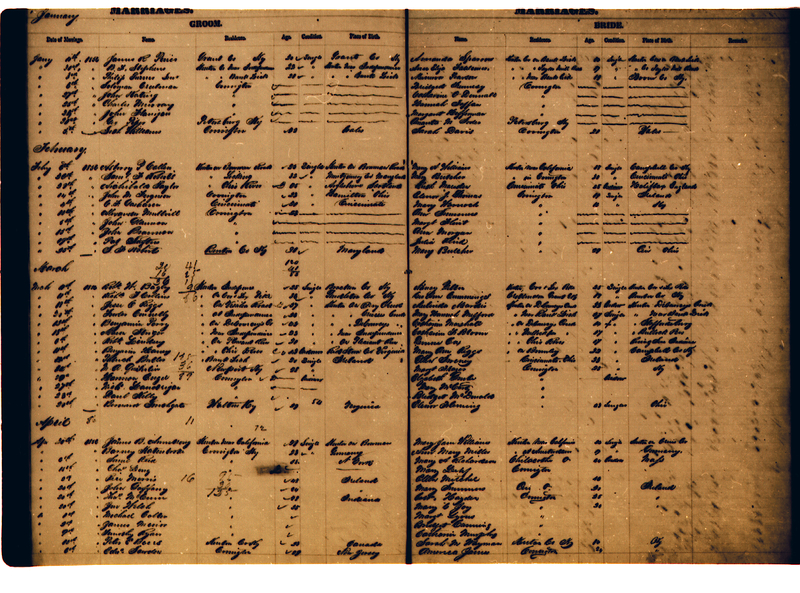 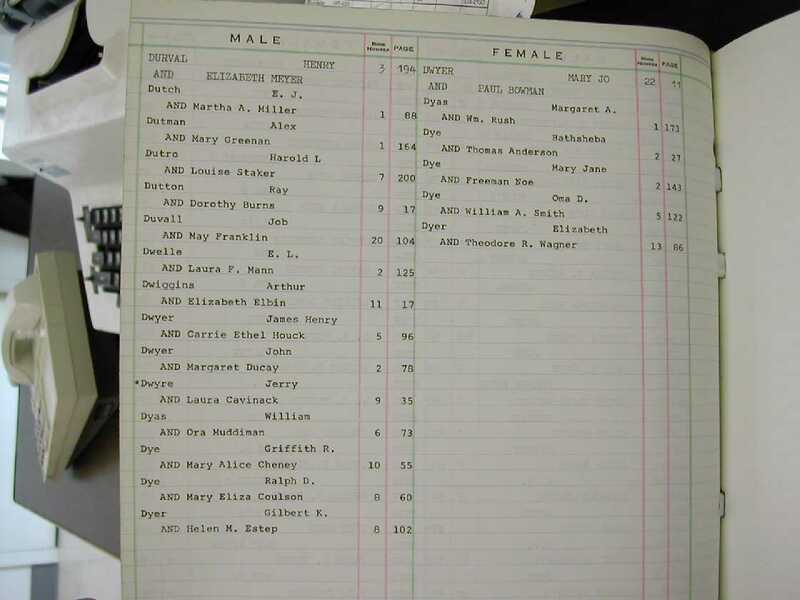 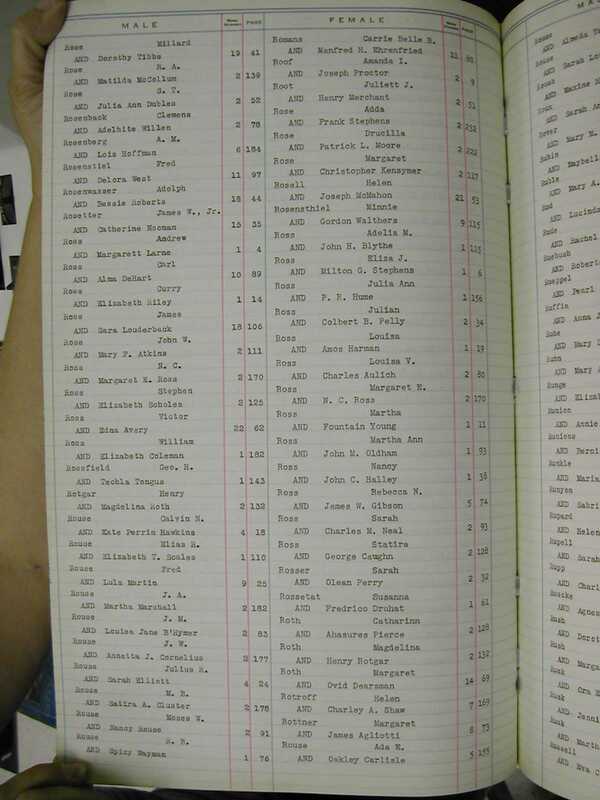 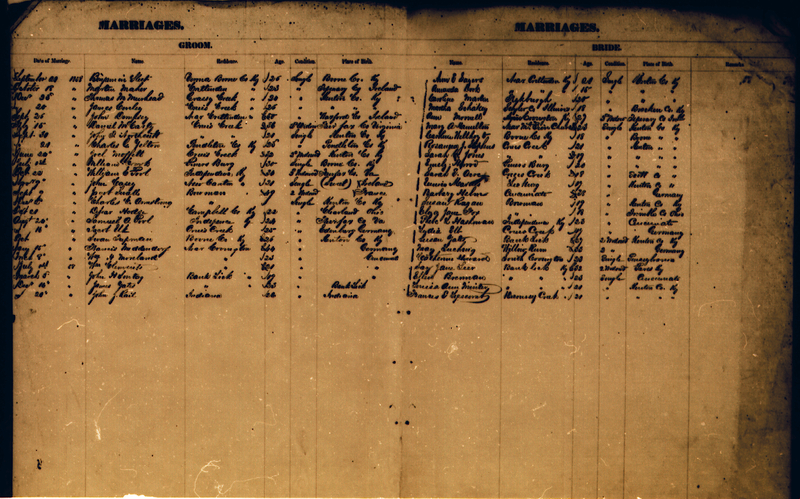 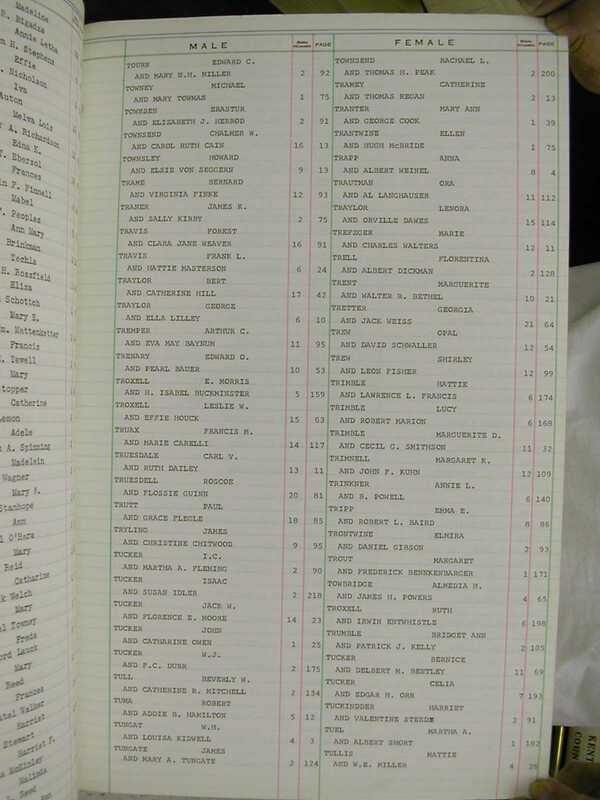 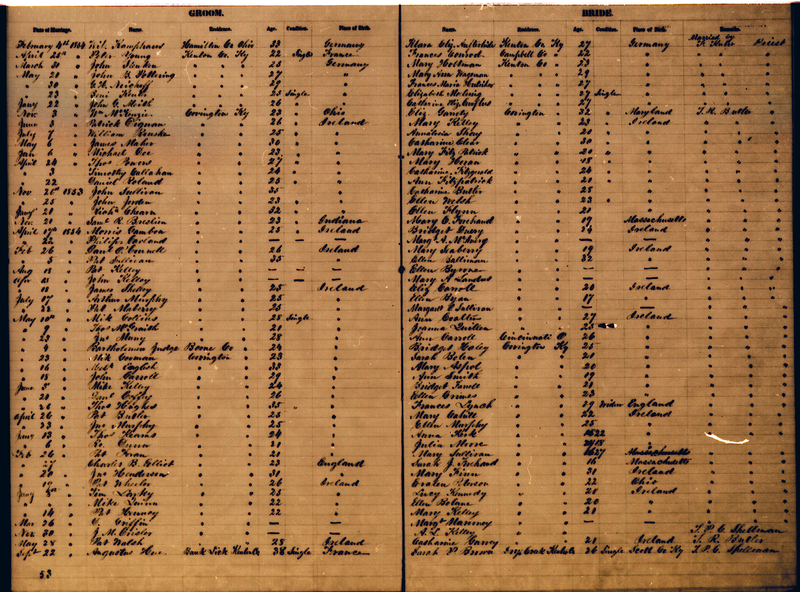 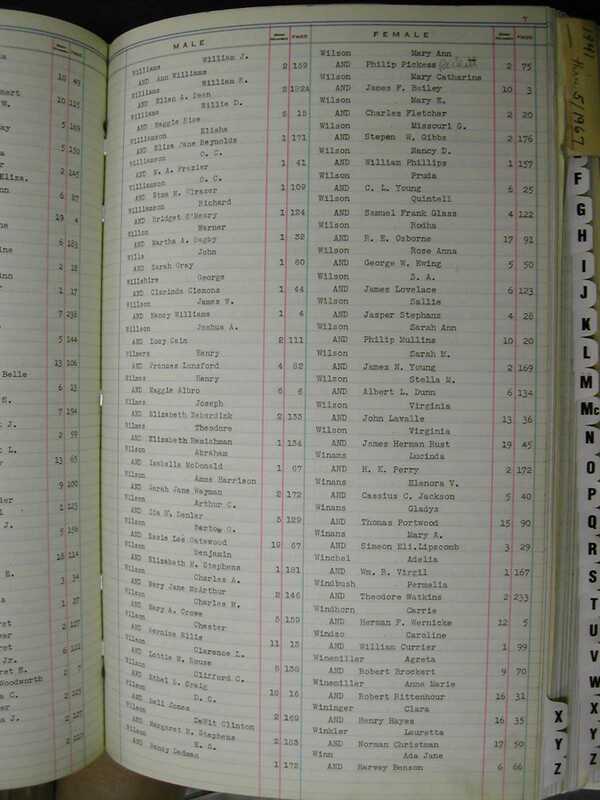 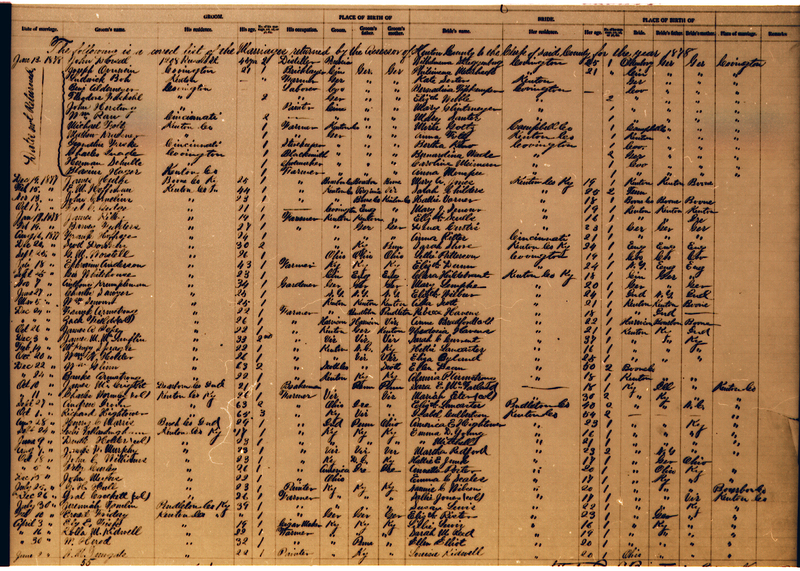 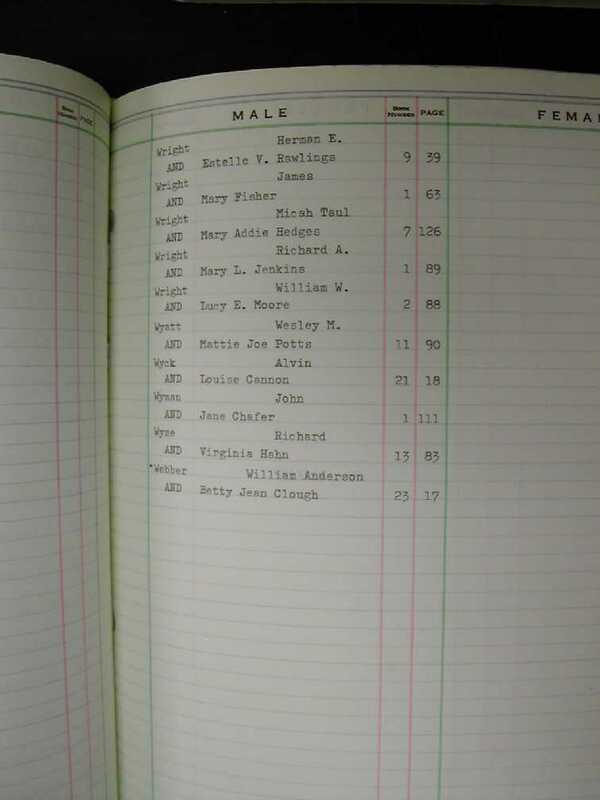 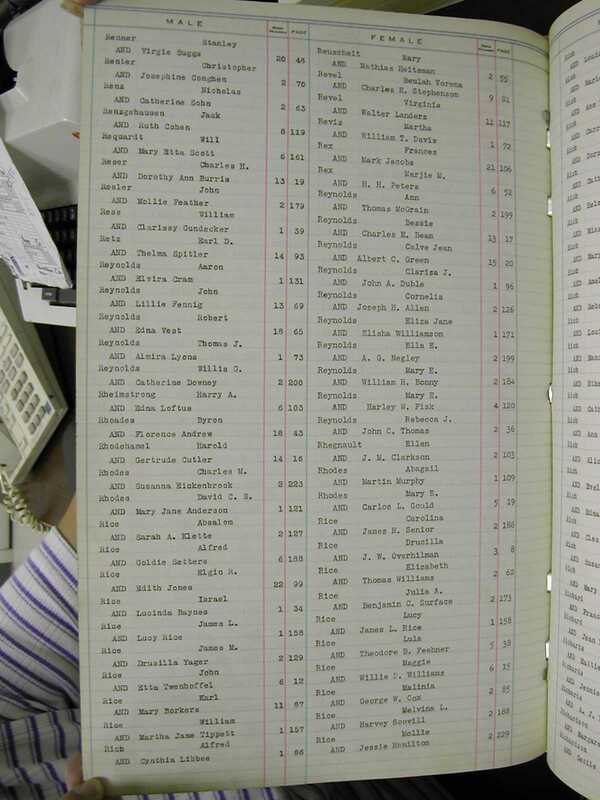 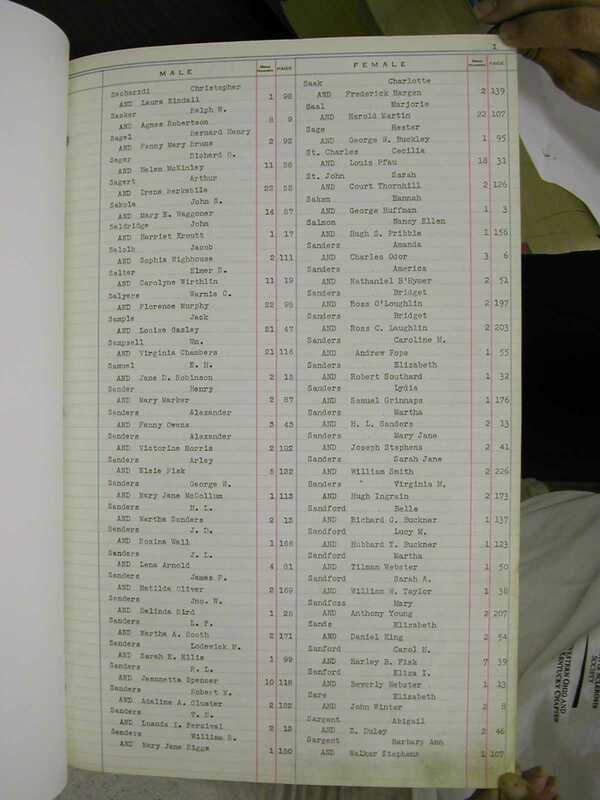 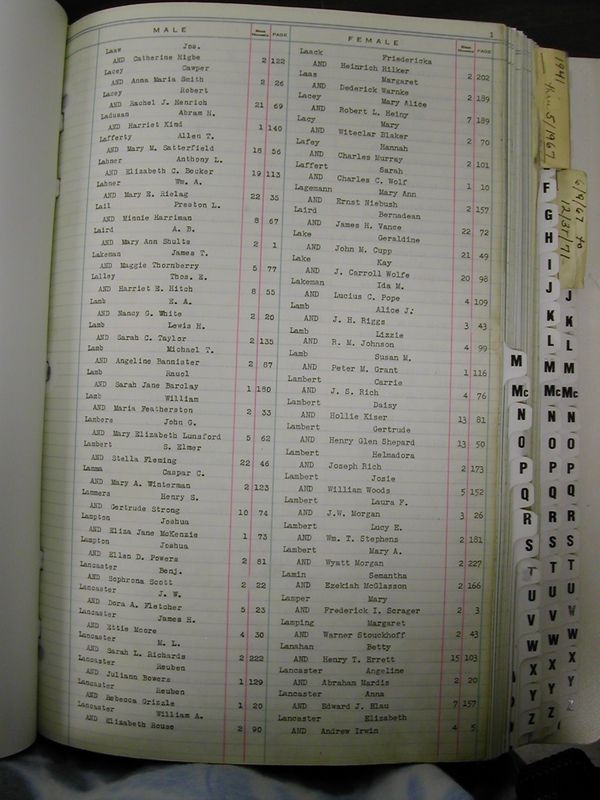 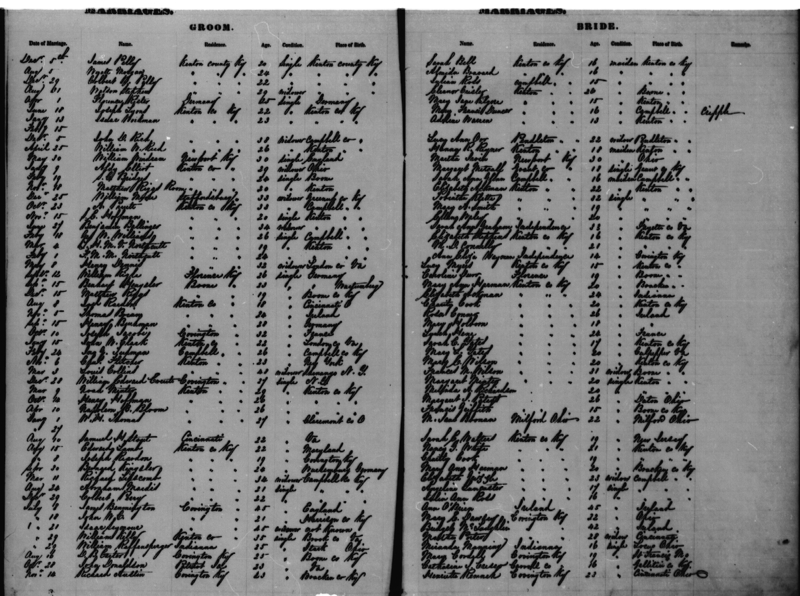 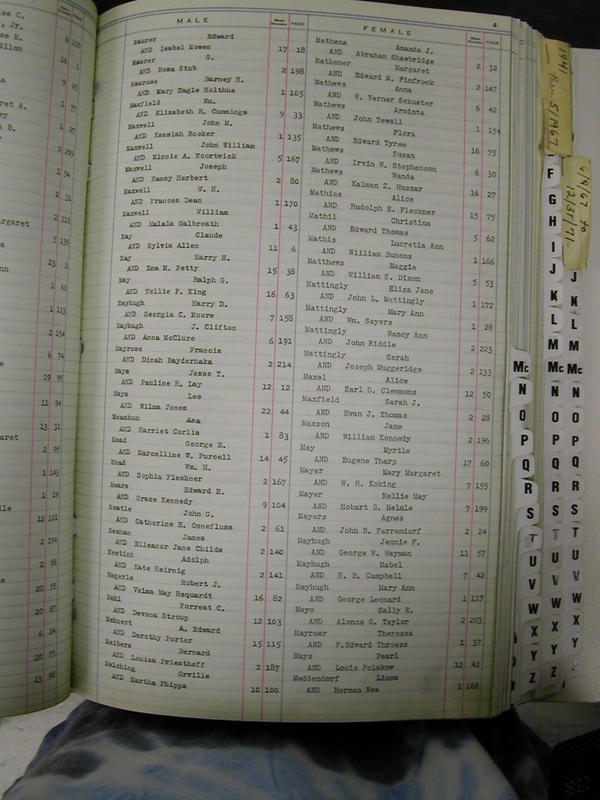 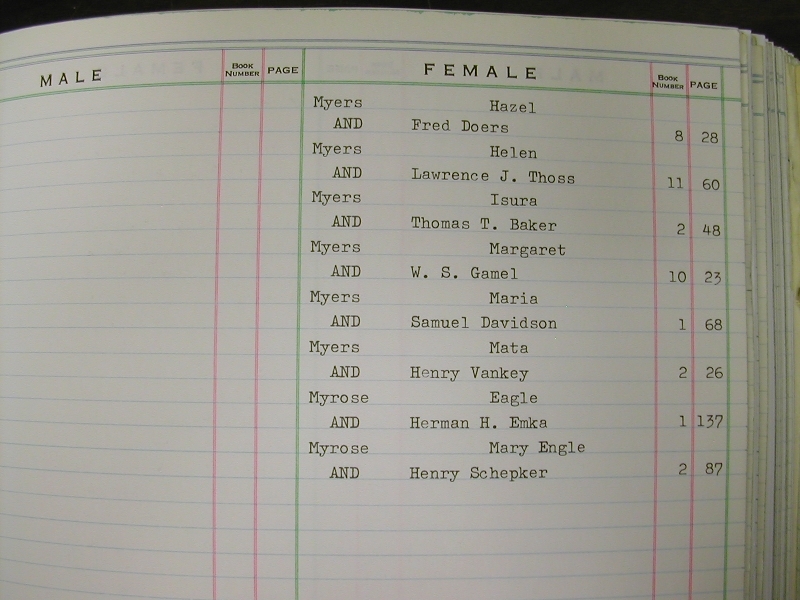 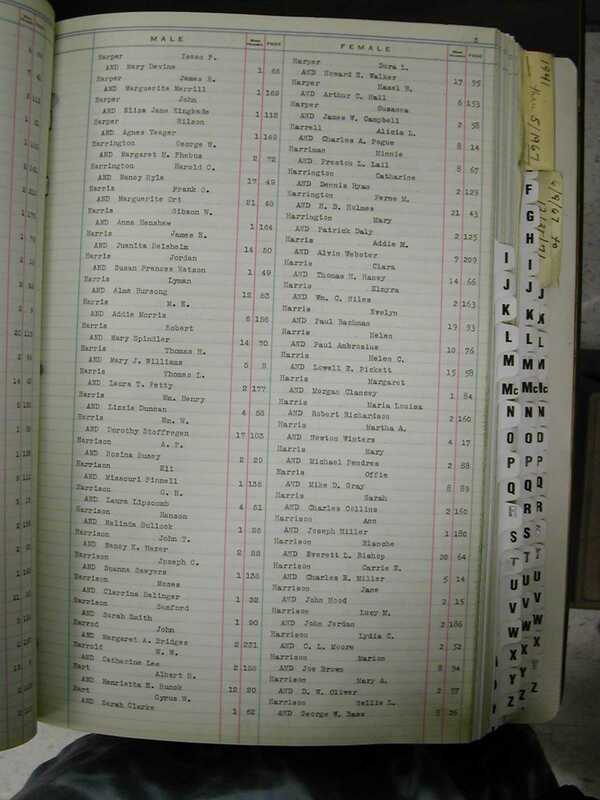 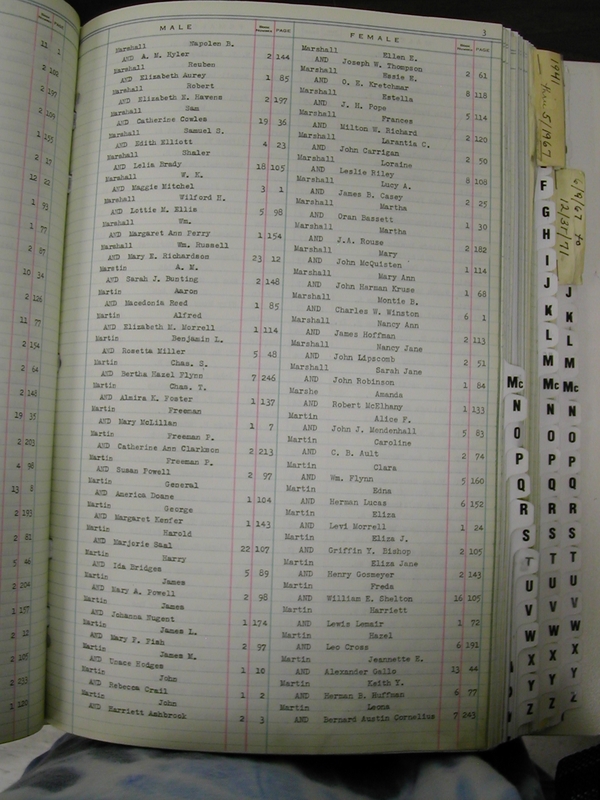 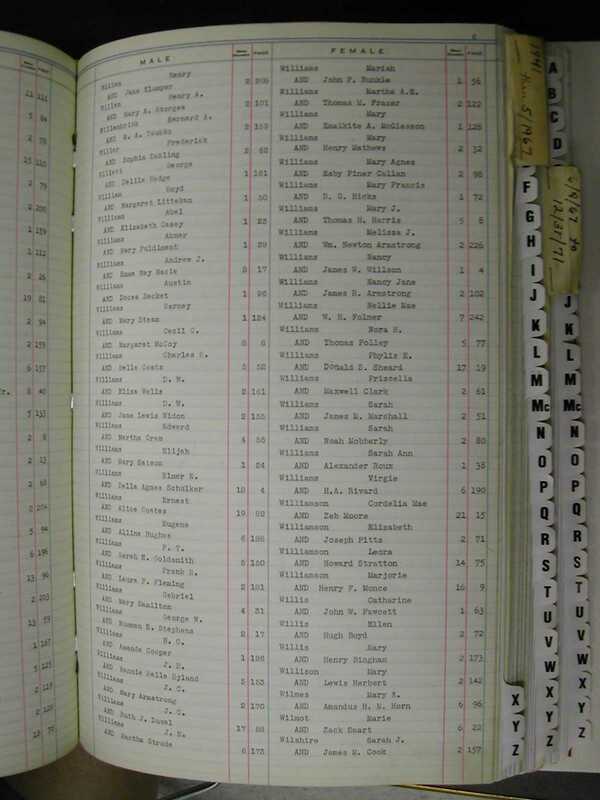 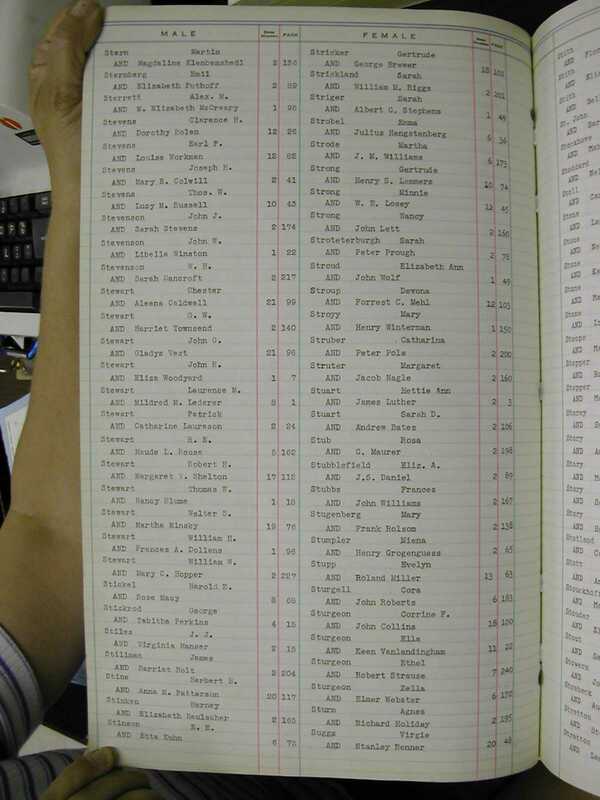 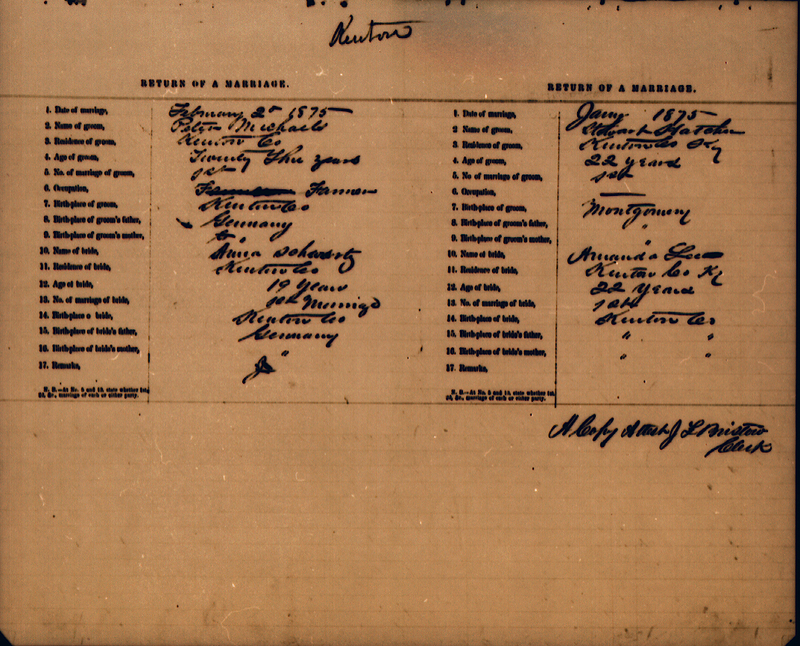 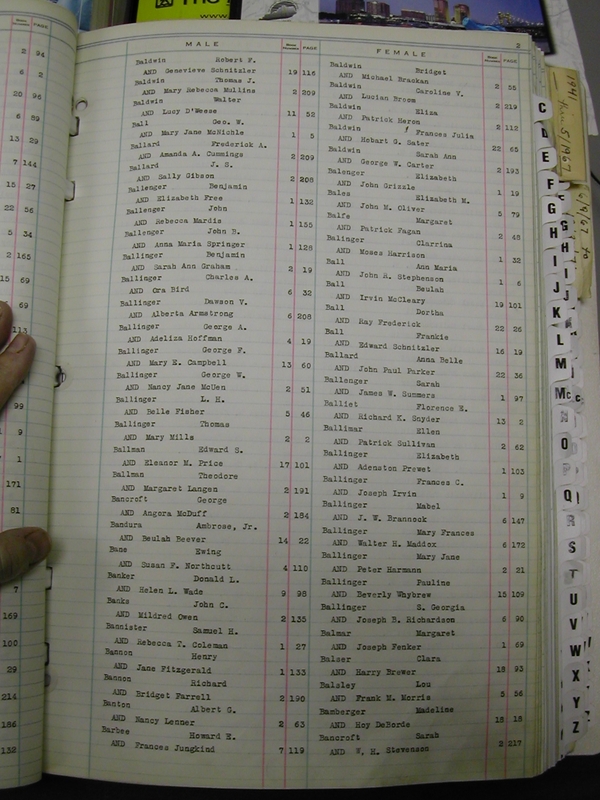 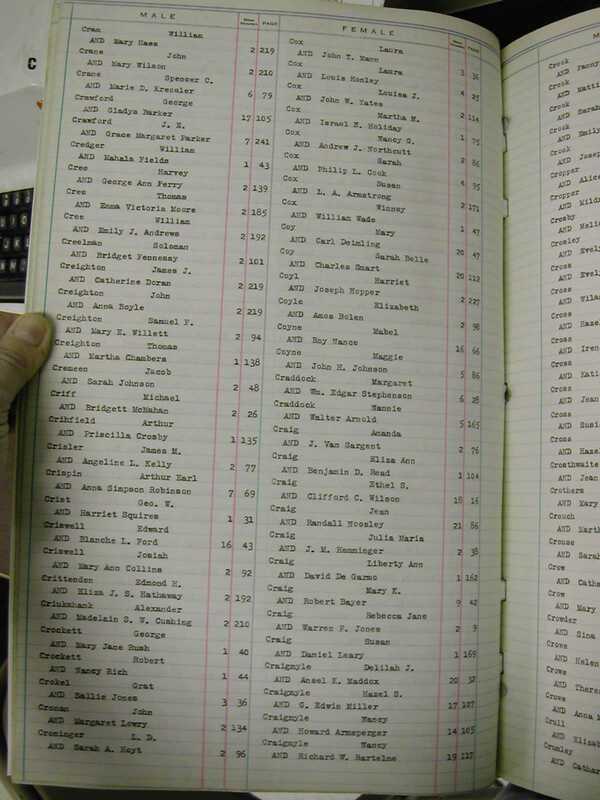 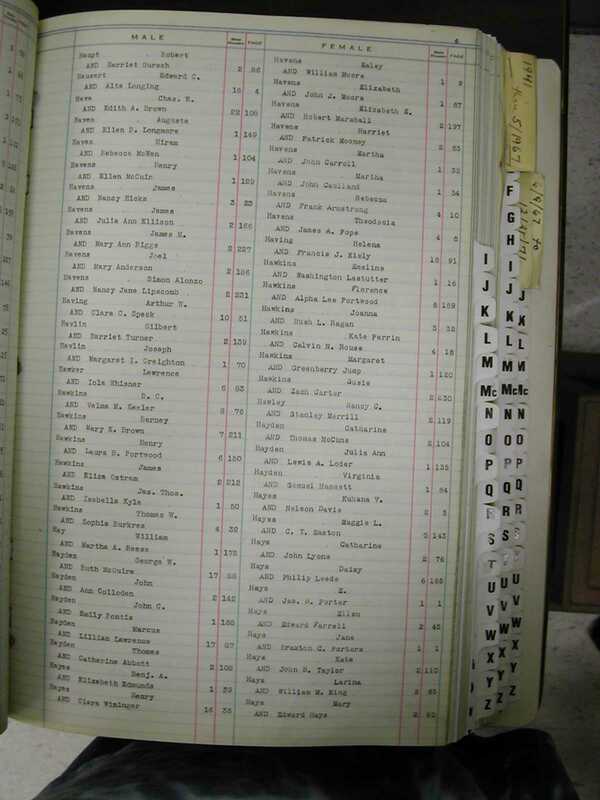 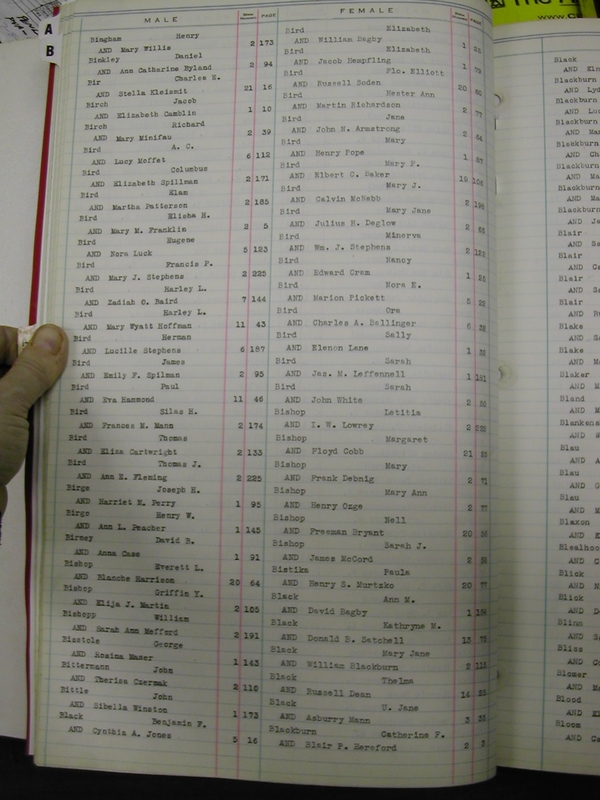 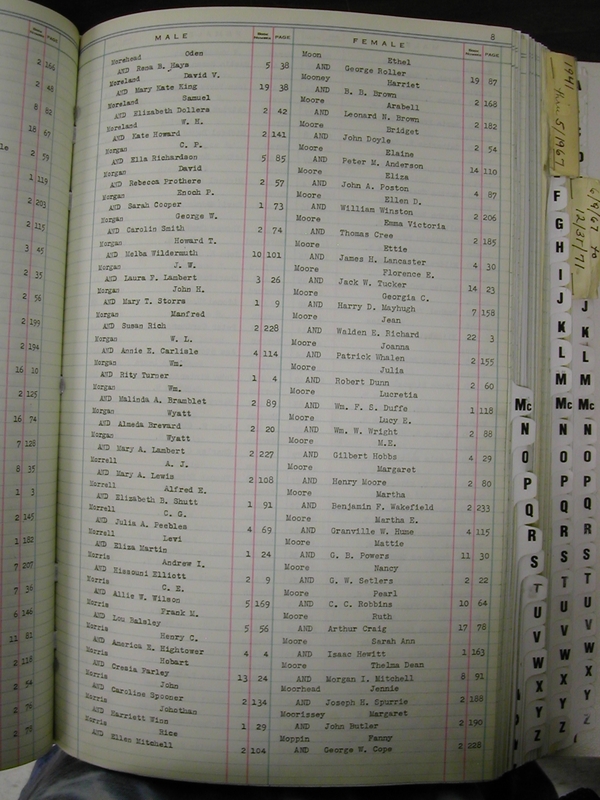 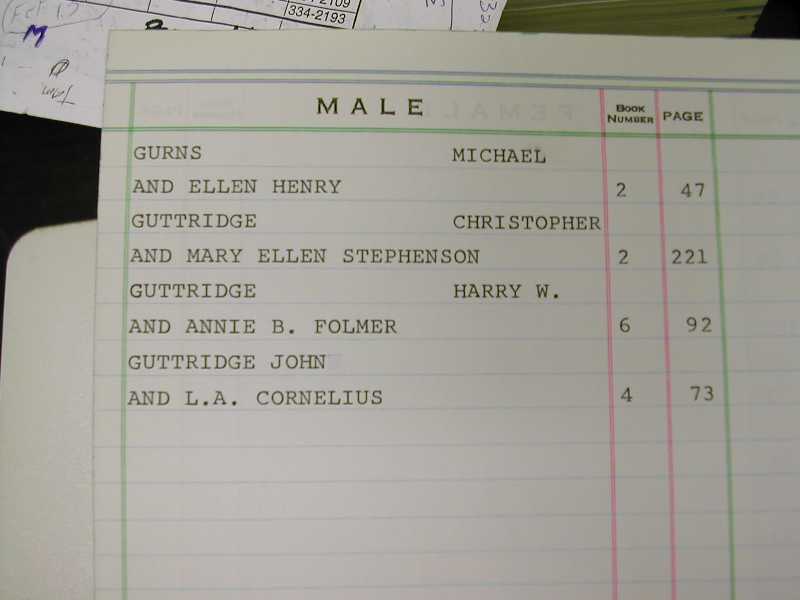 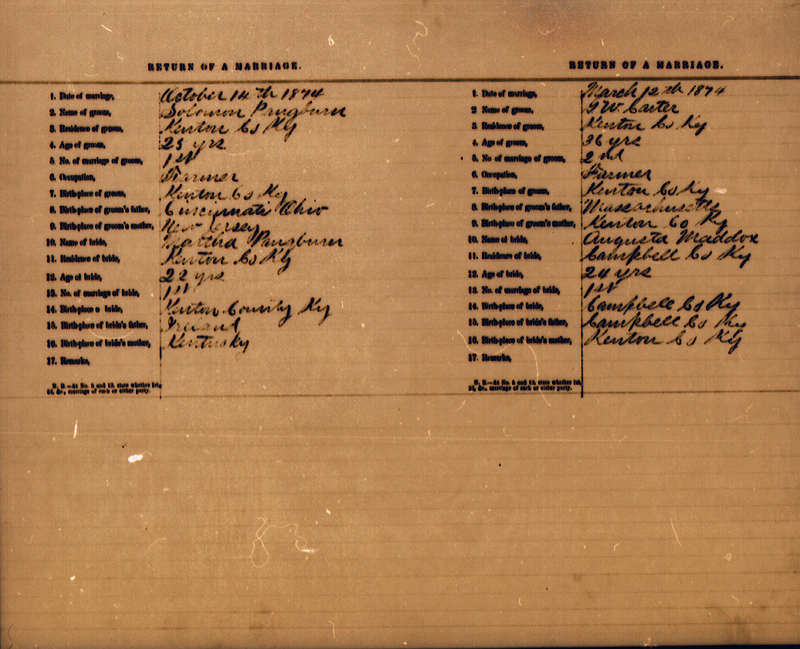 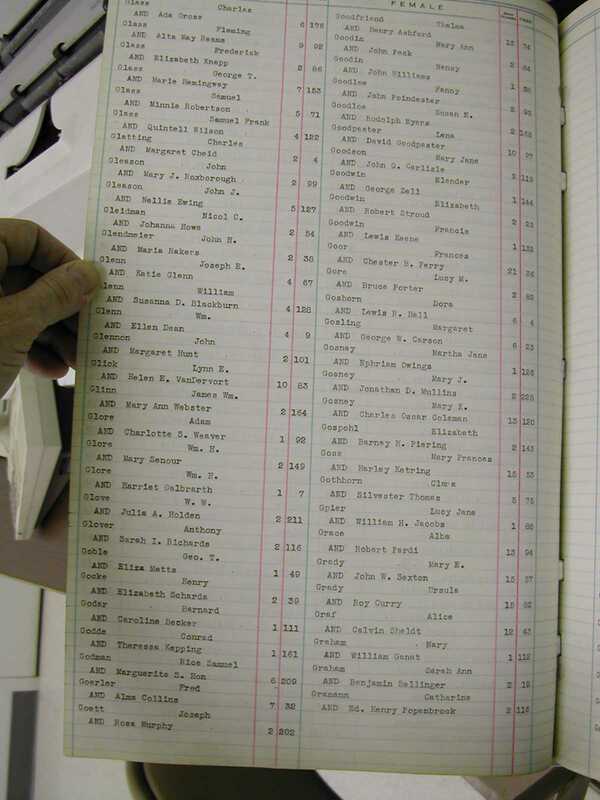 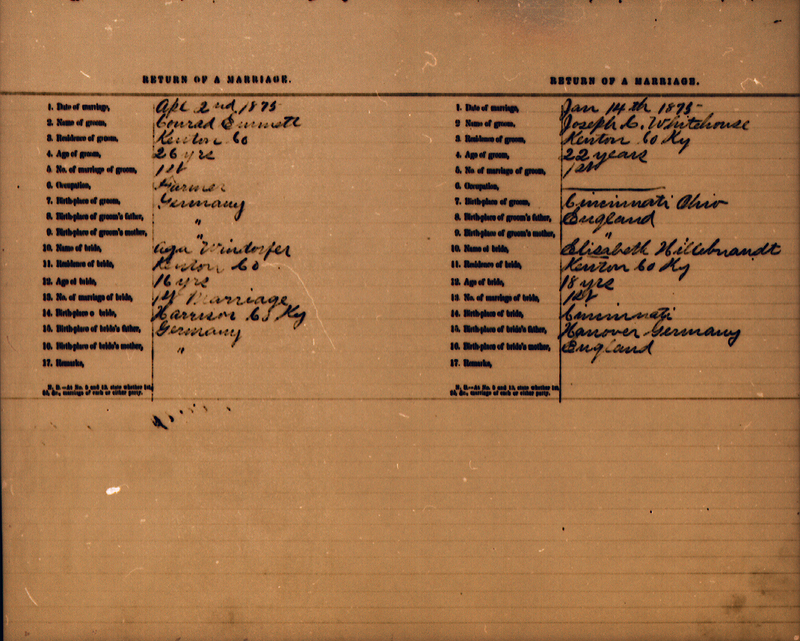 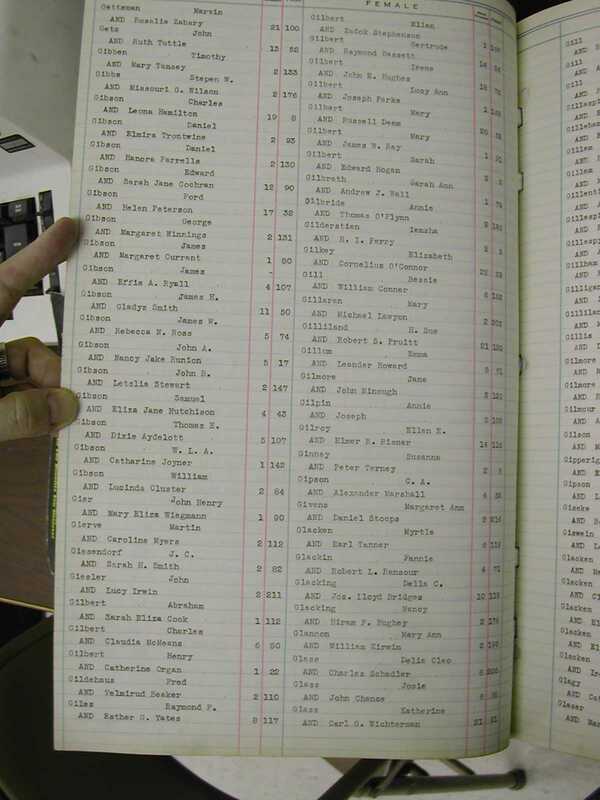 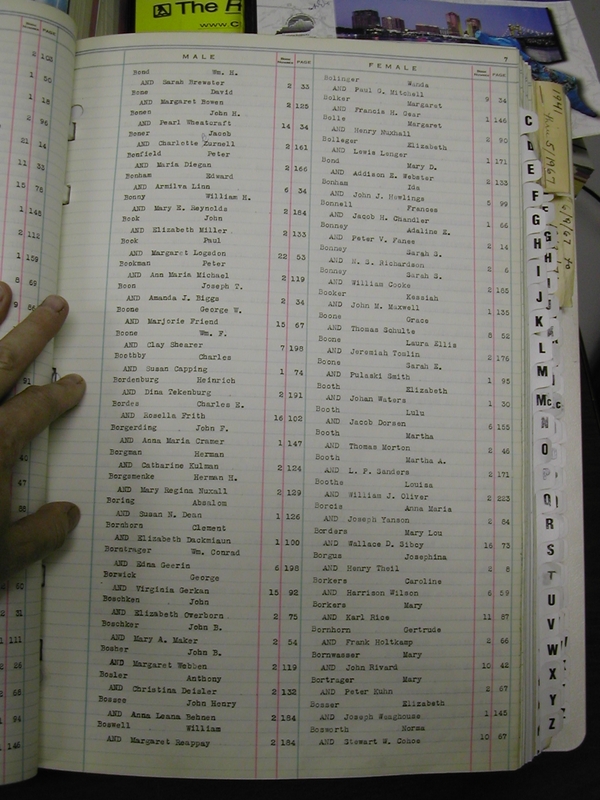 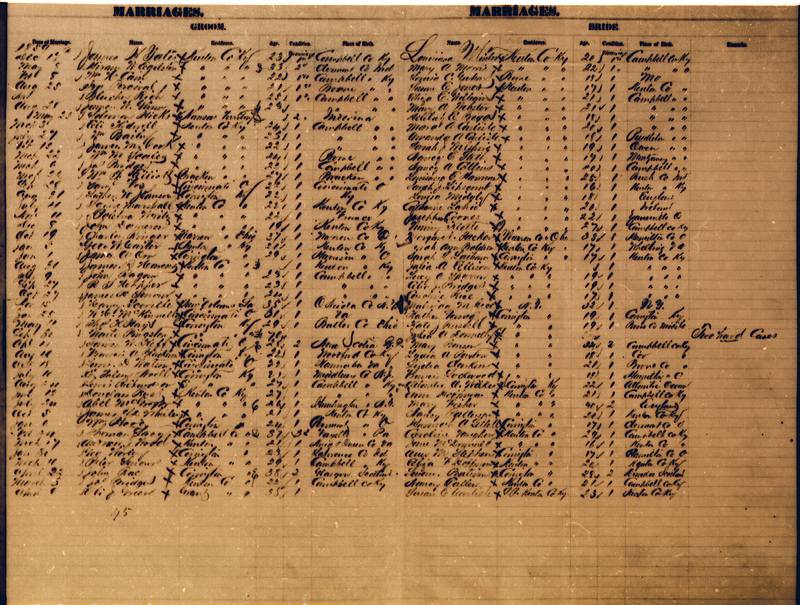 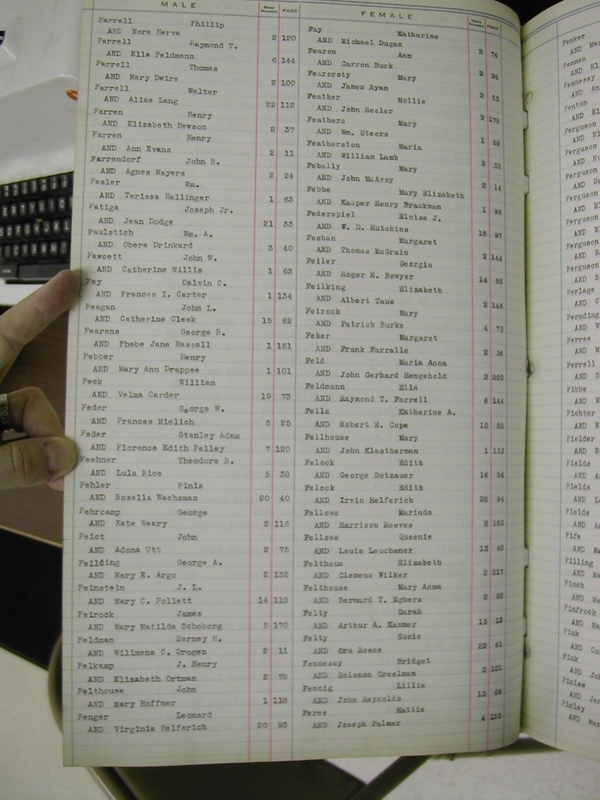 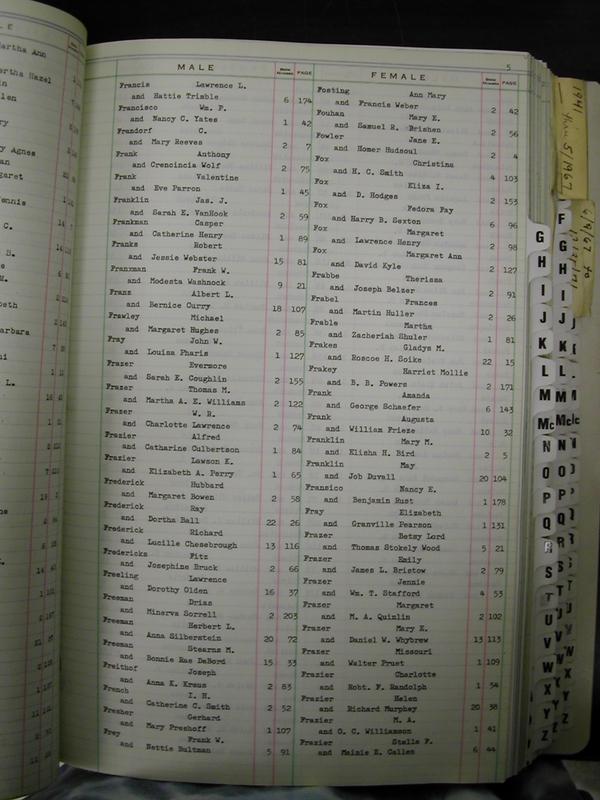 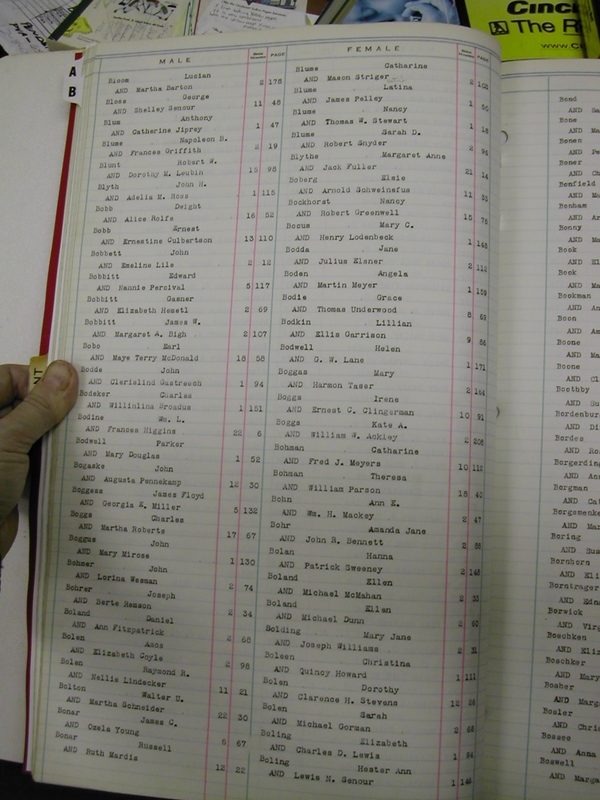 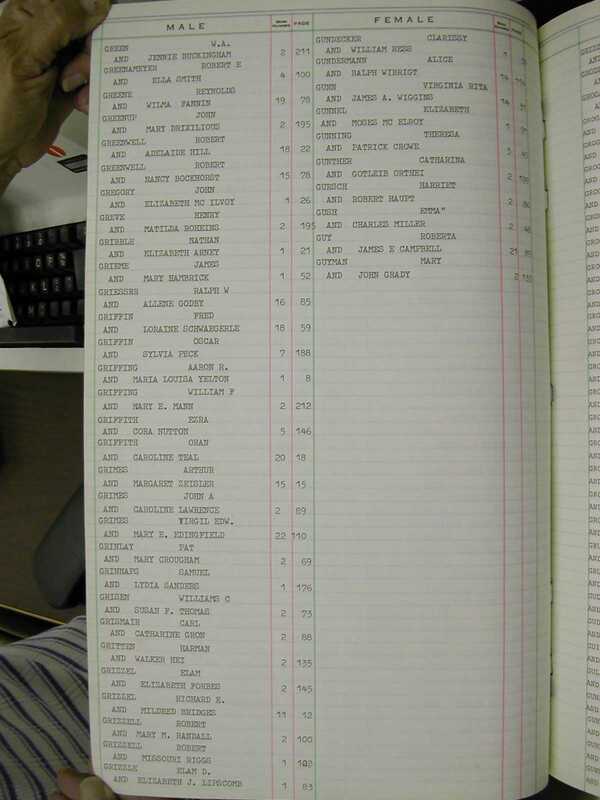 Many of the early Independence records are now housed in Covington (see the table below); others are in the Kentucky archives in Frankfort, particularly the "loose papers". 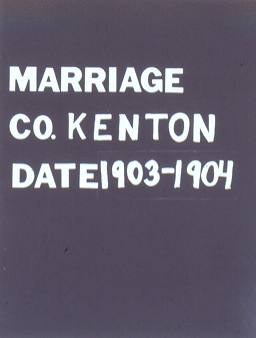 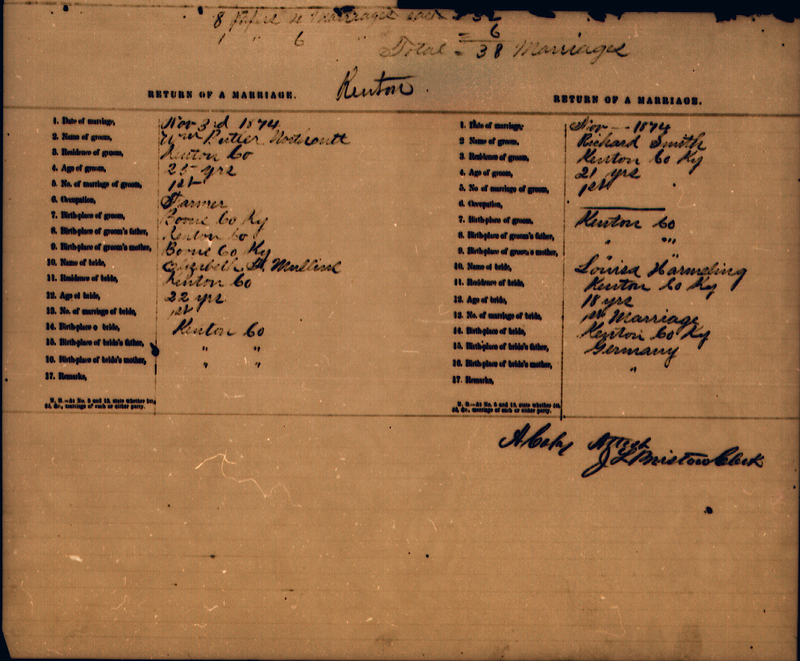 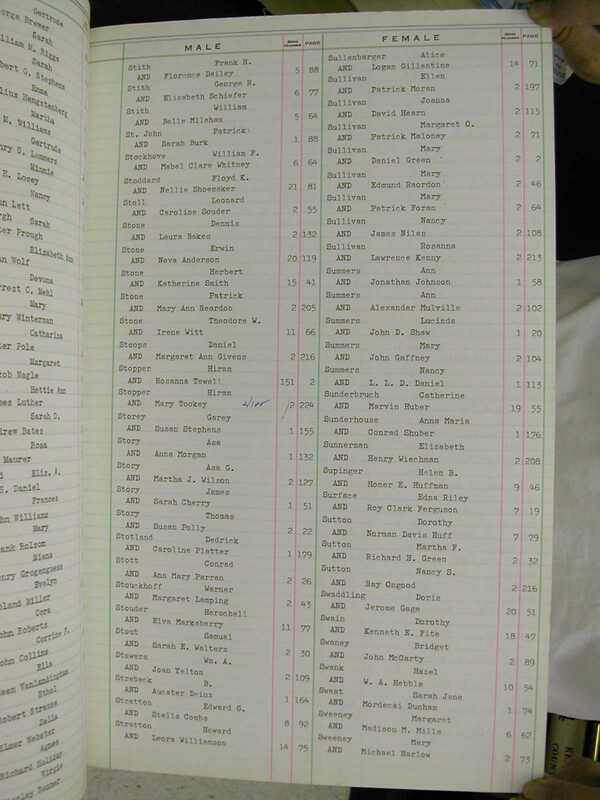 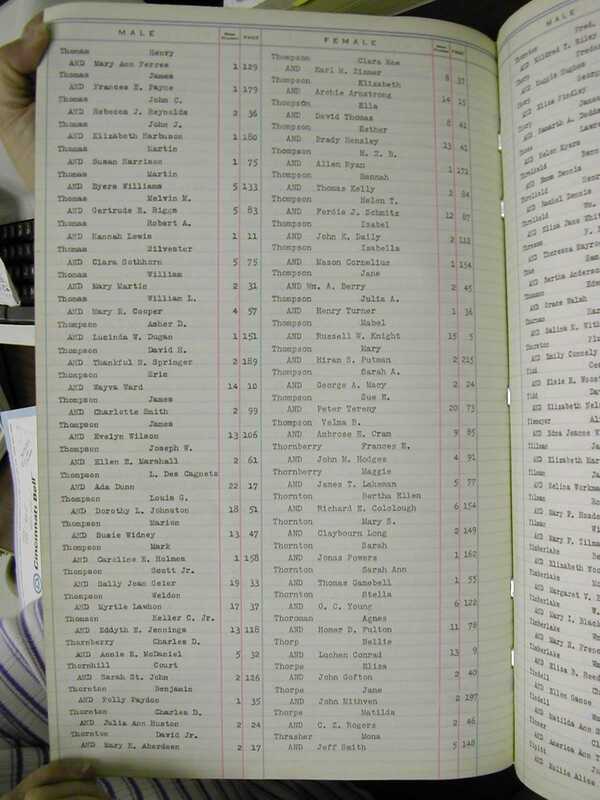 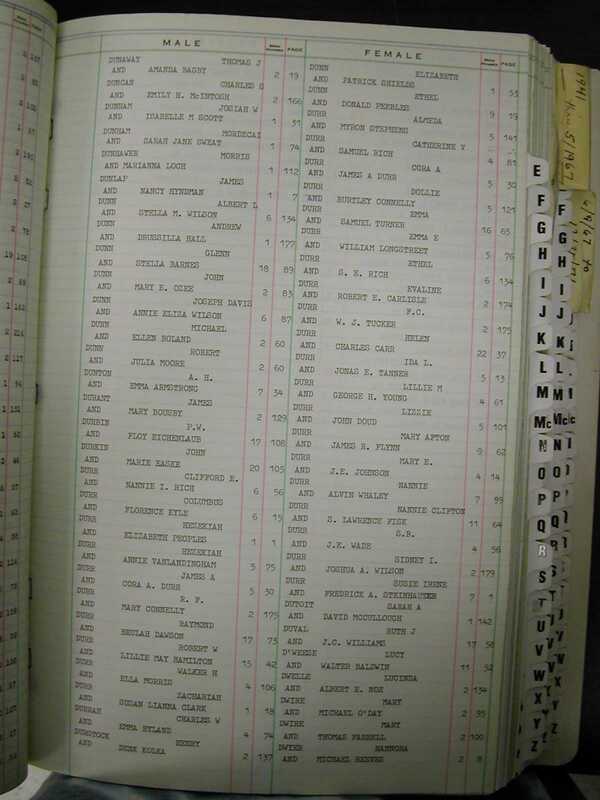 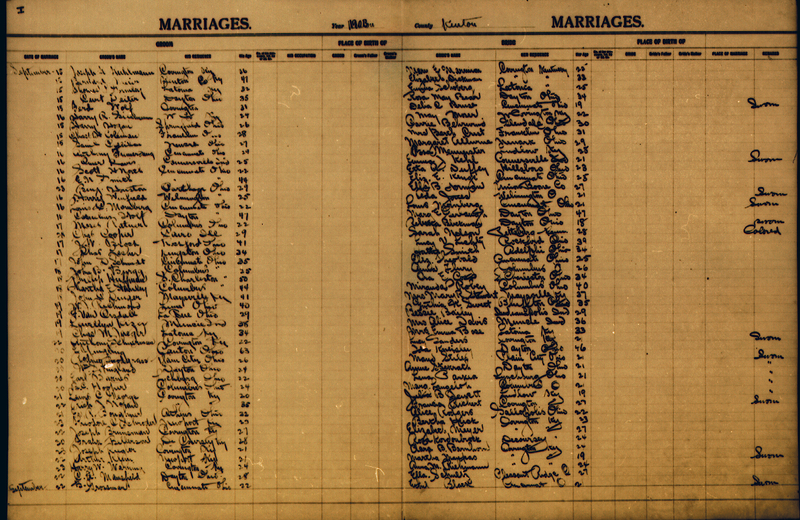 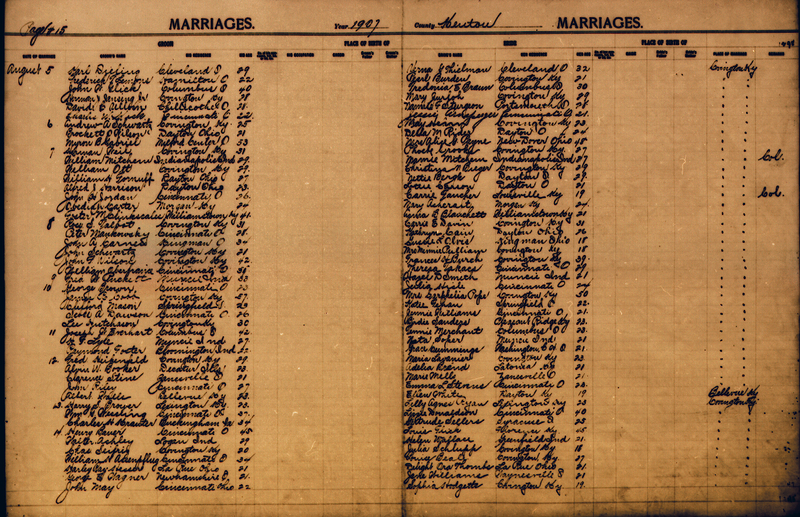 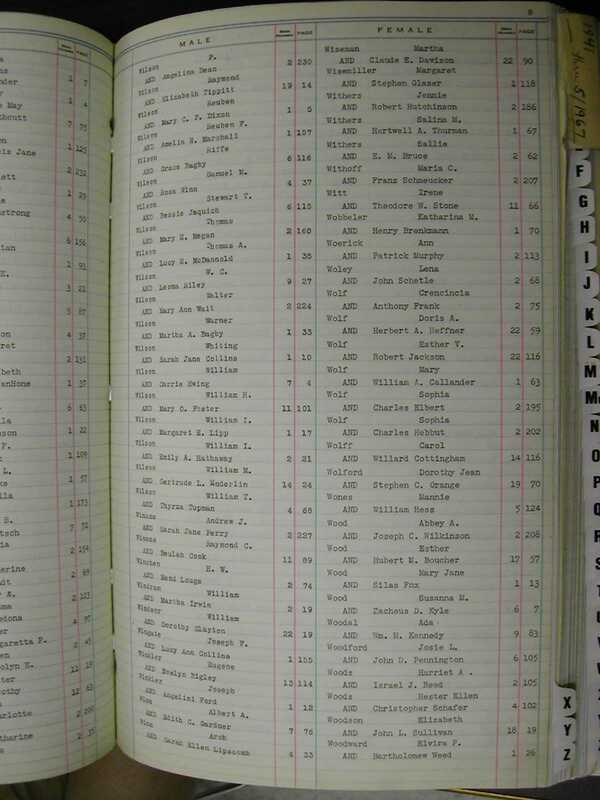 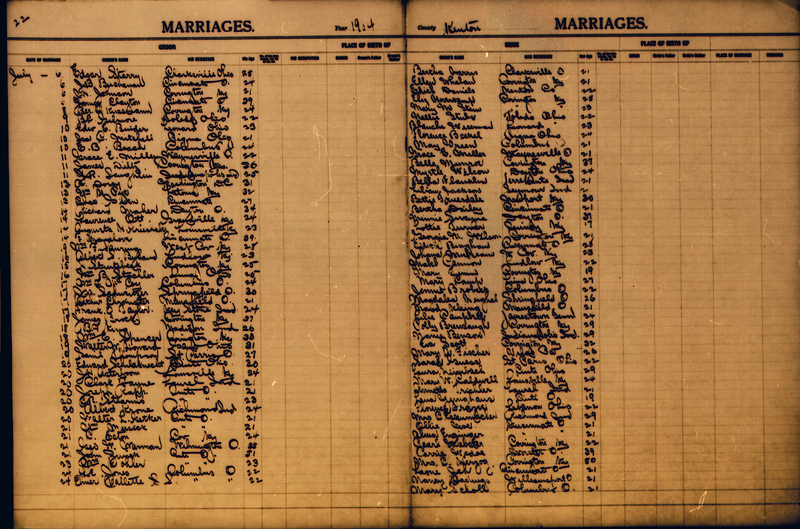 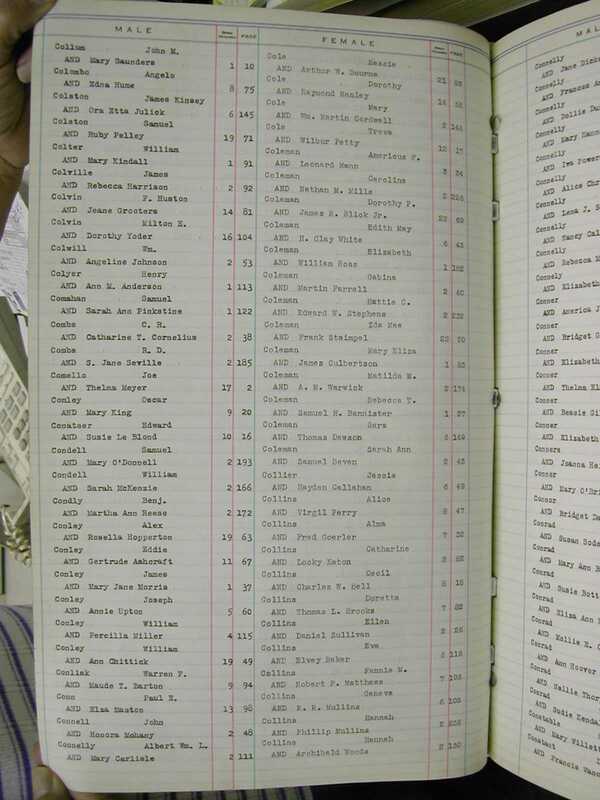 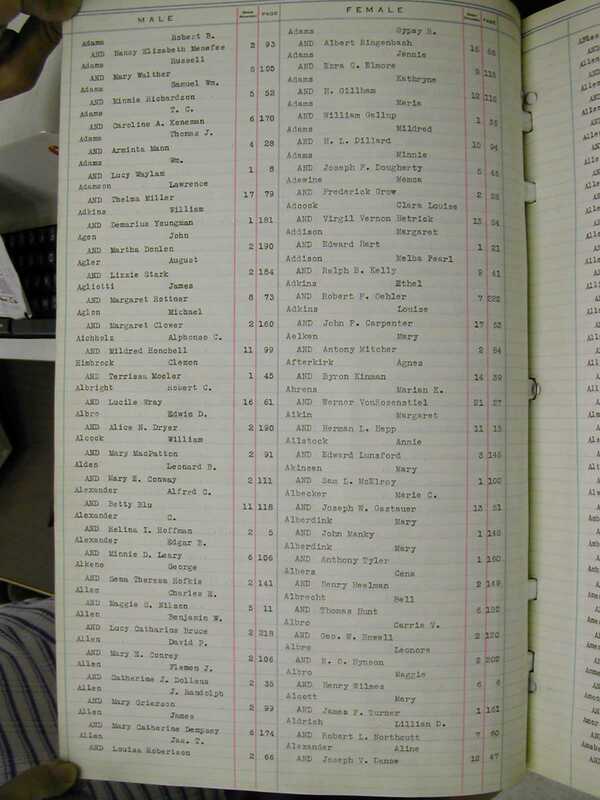 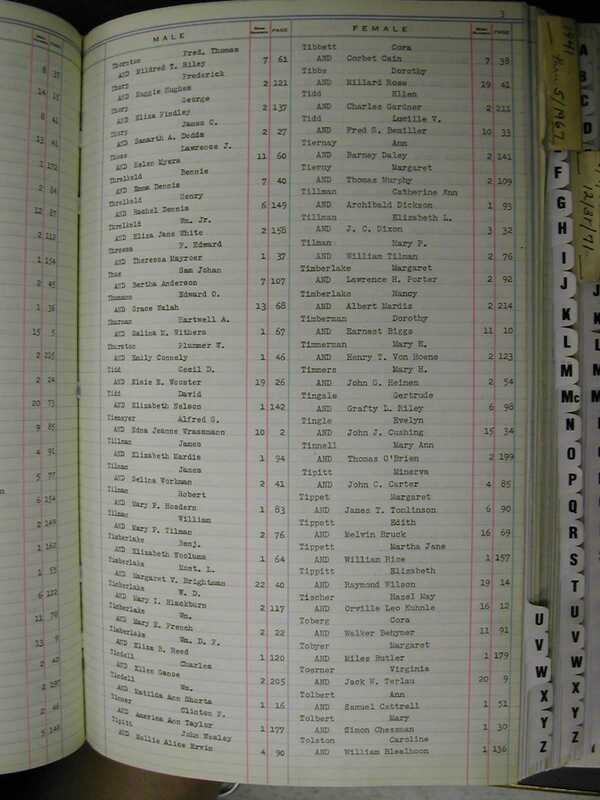 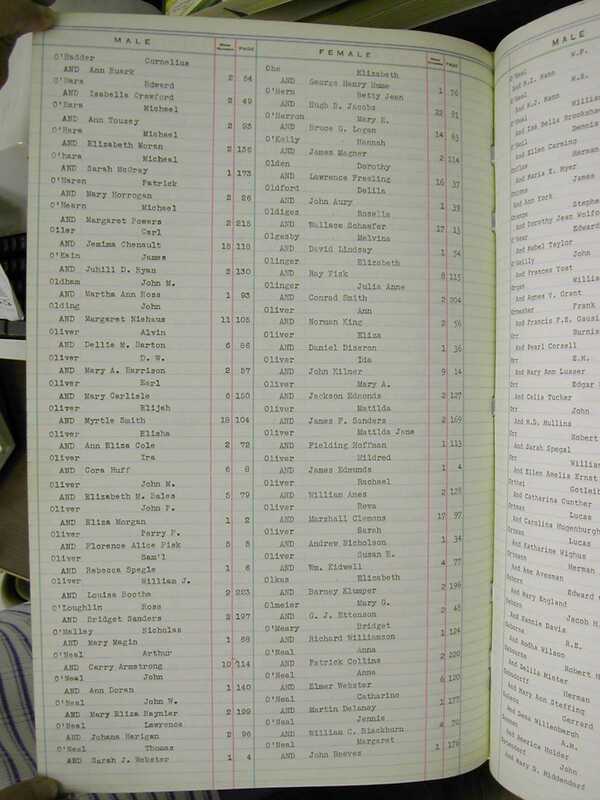 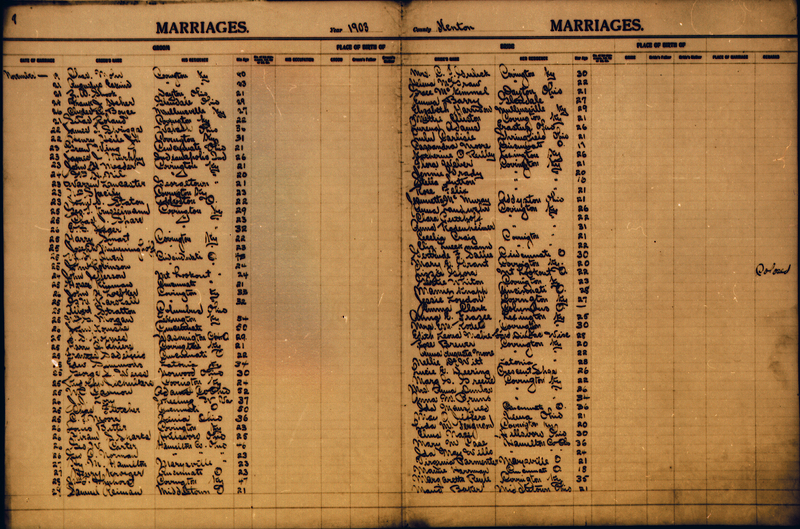 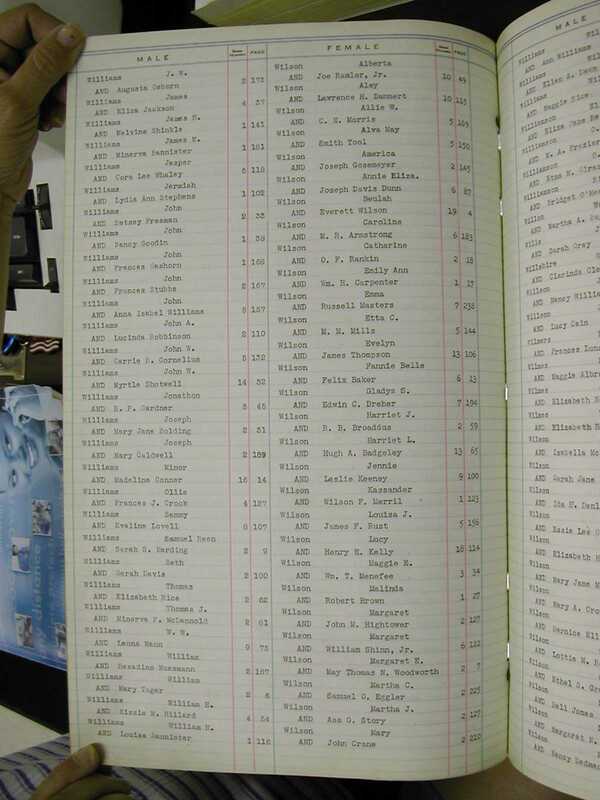 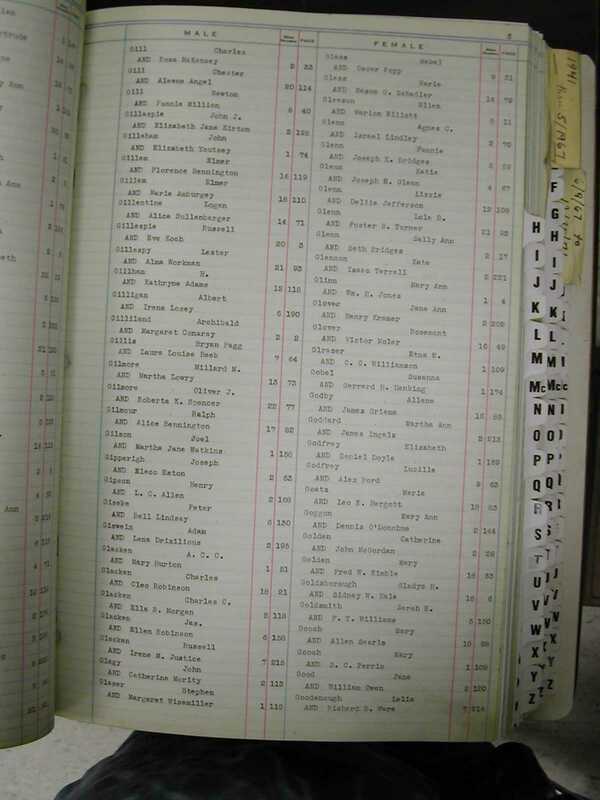 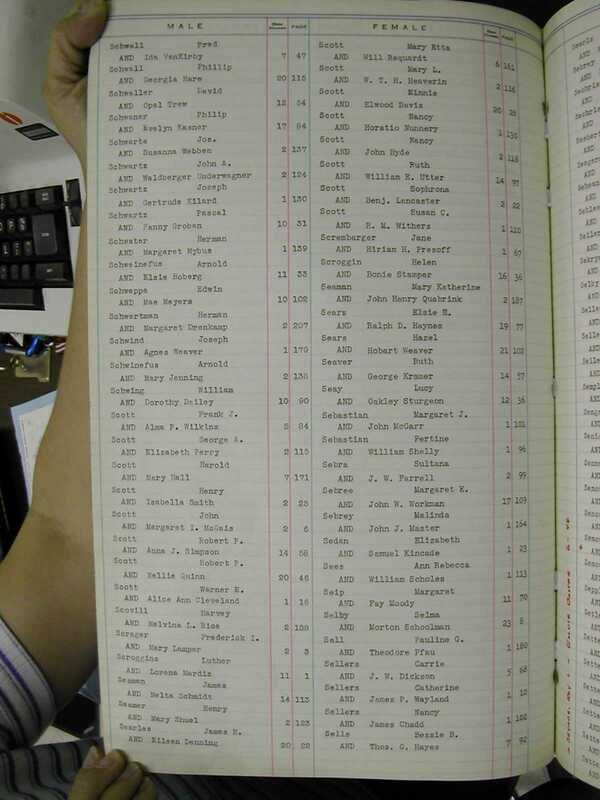 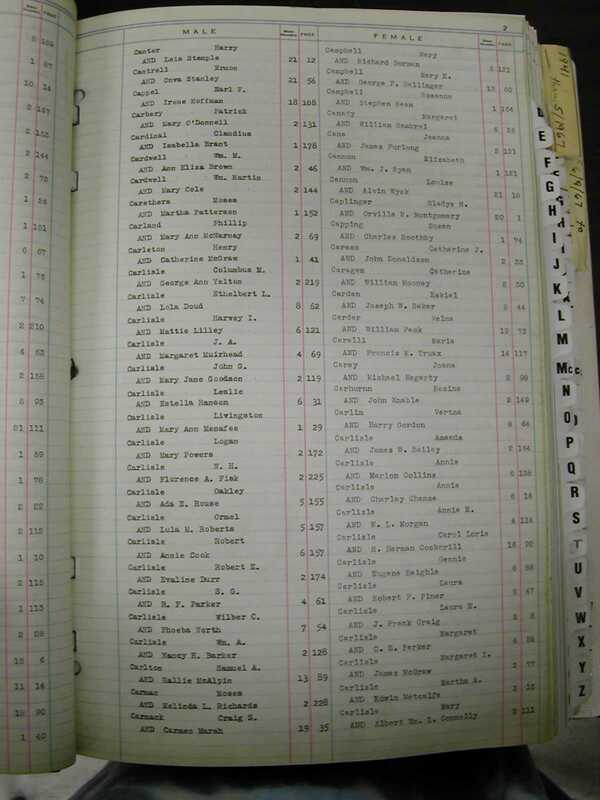 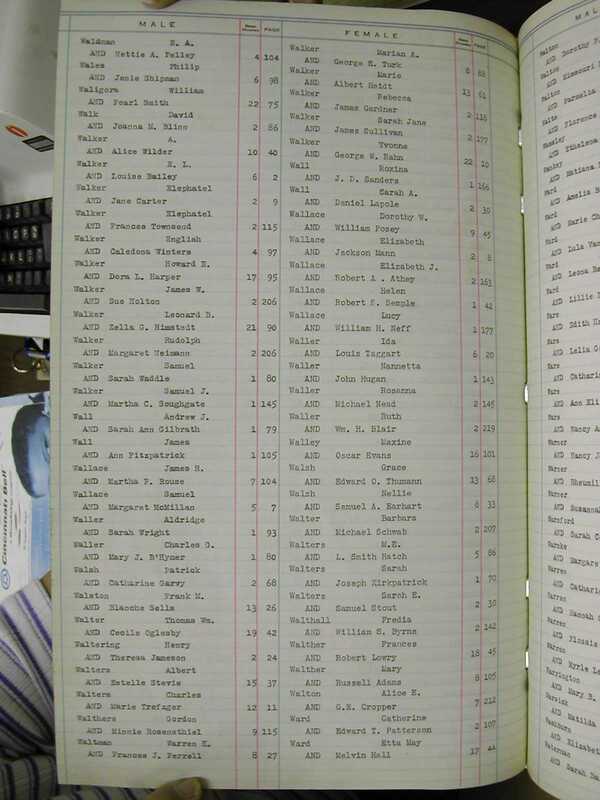 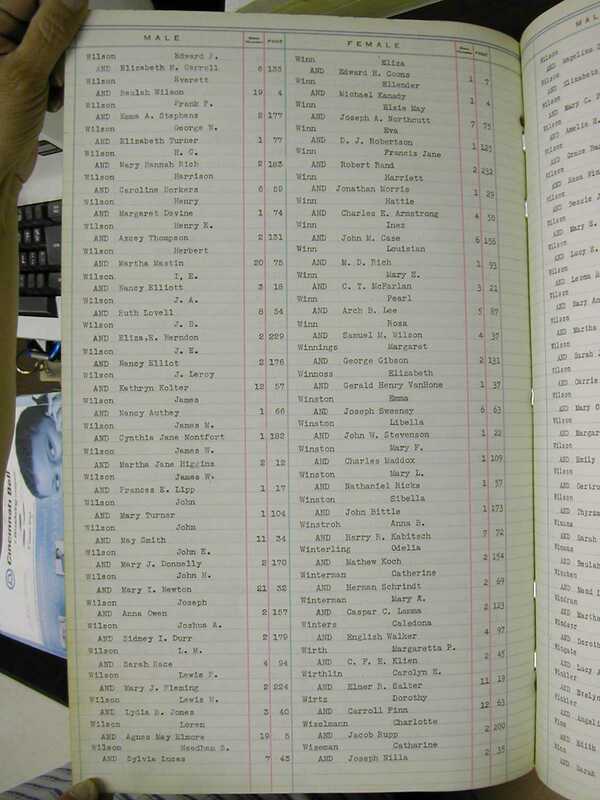 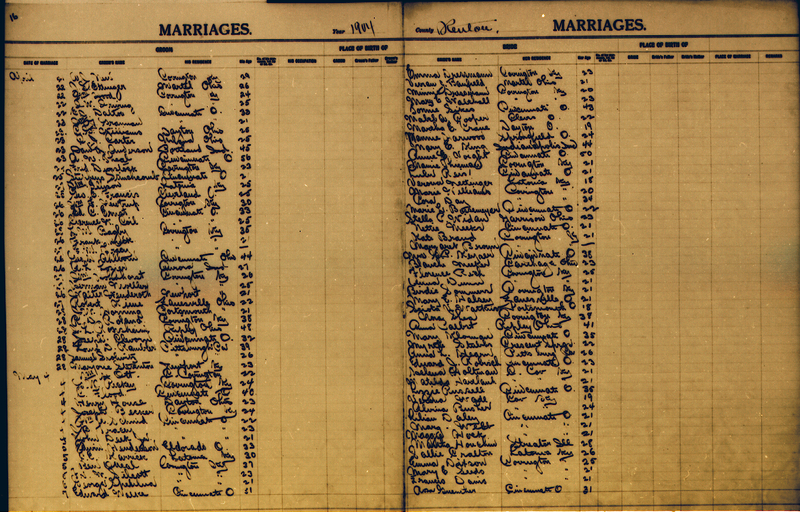 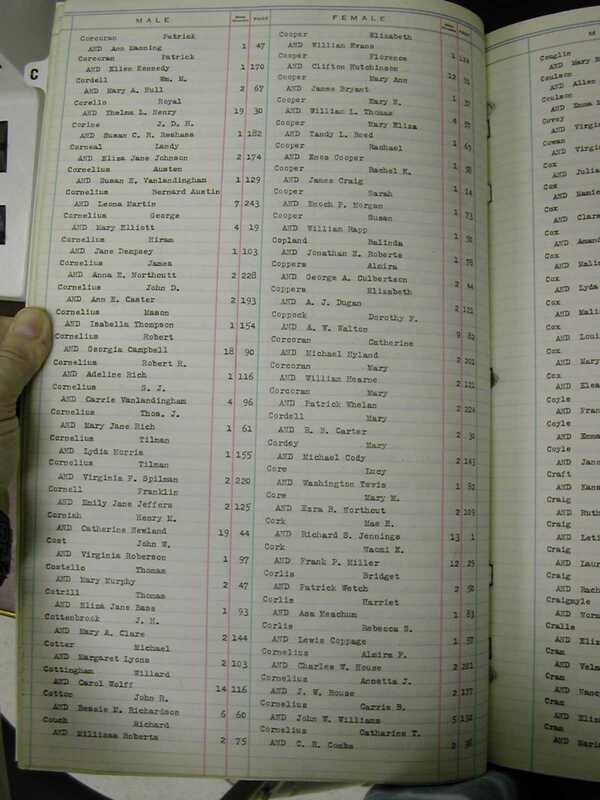 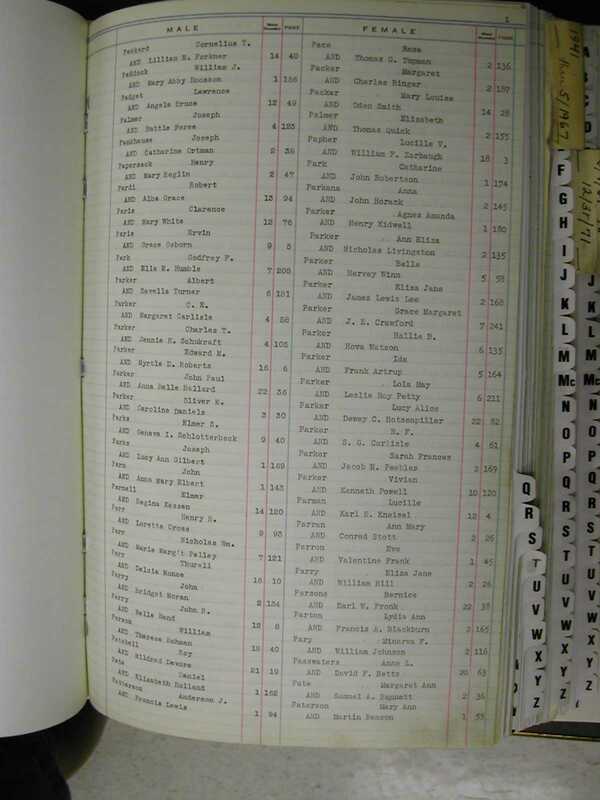 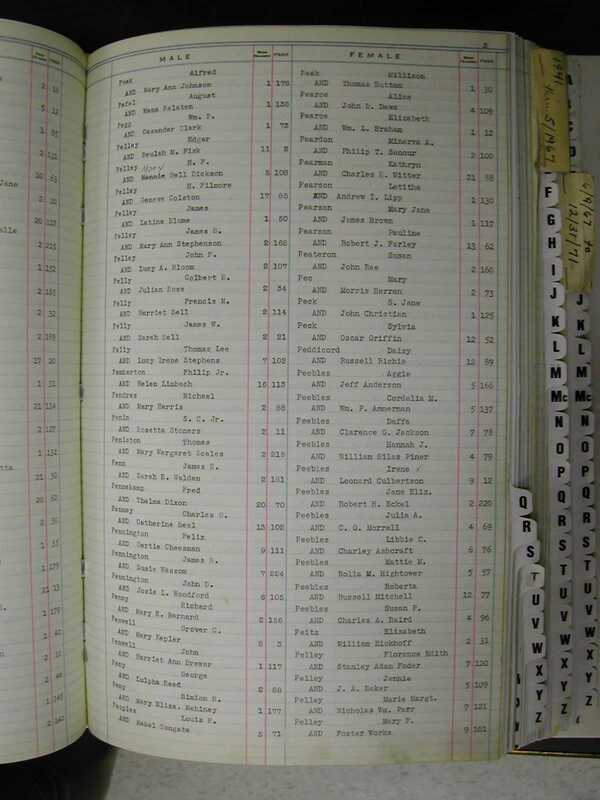 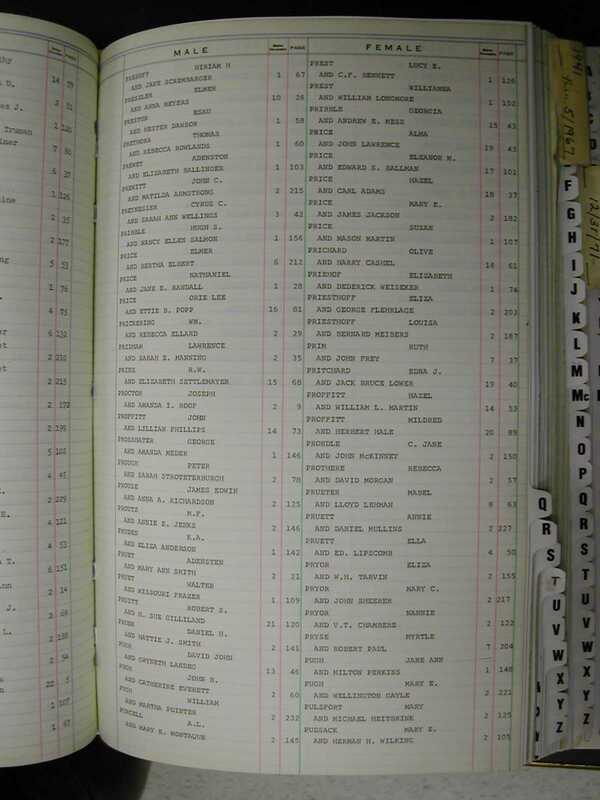 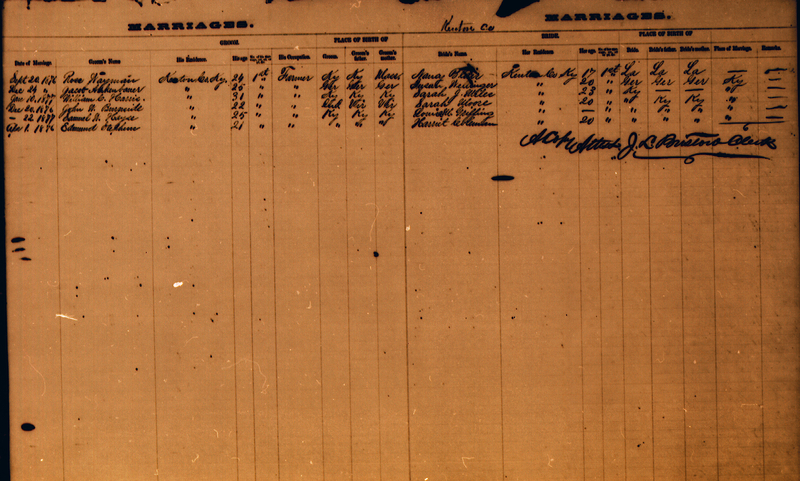 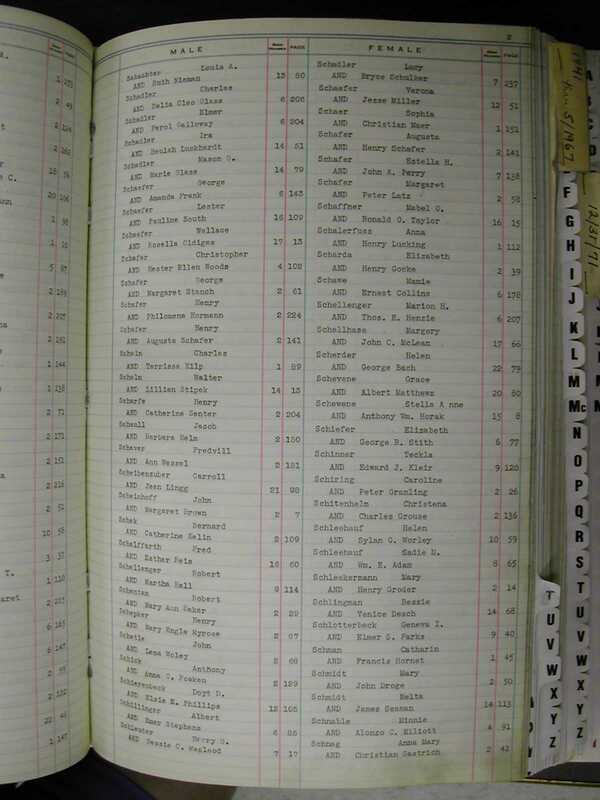 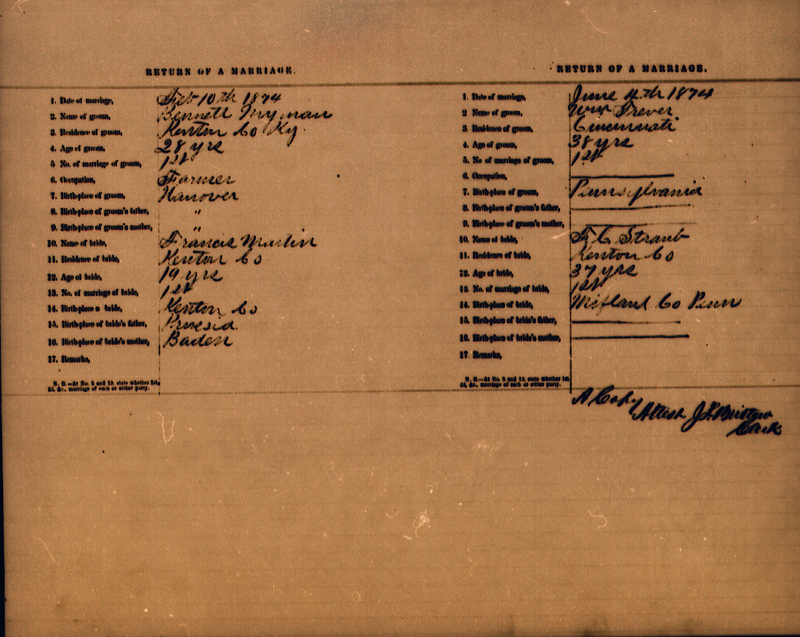 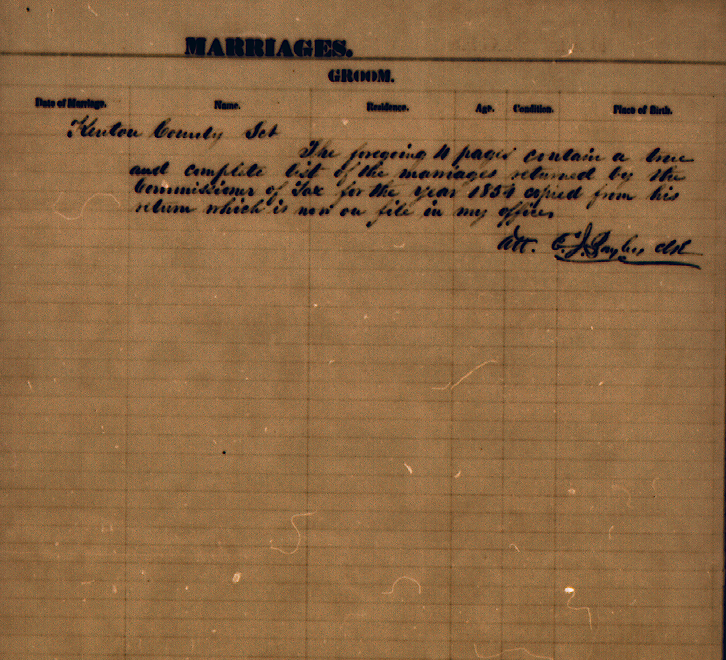 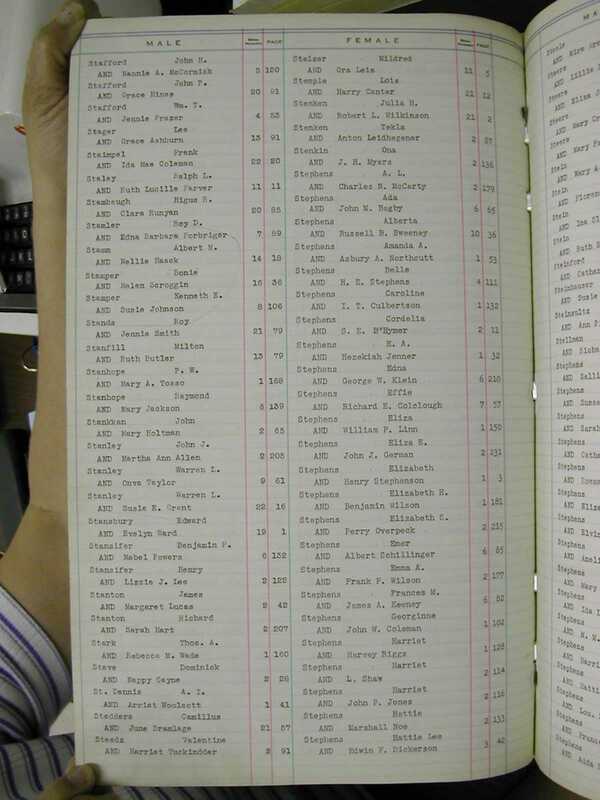 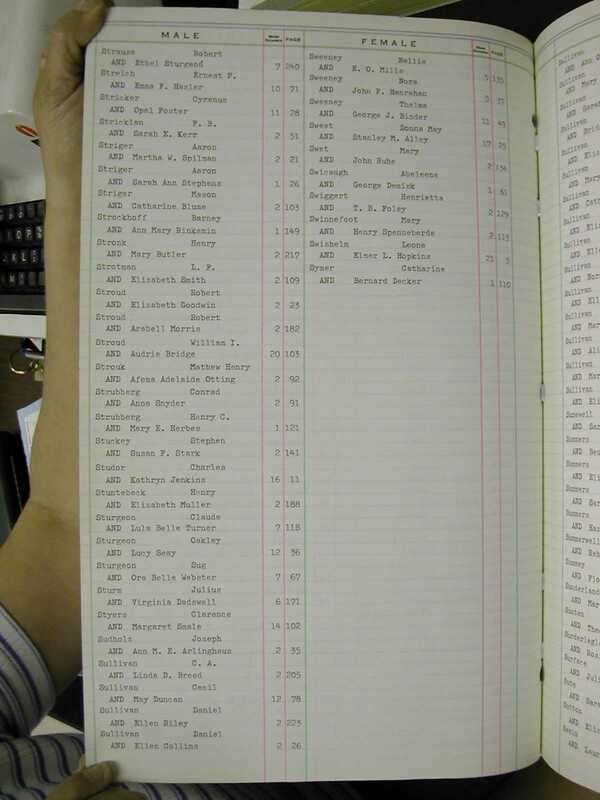 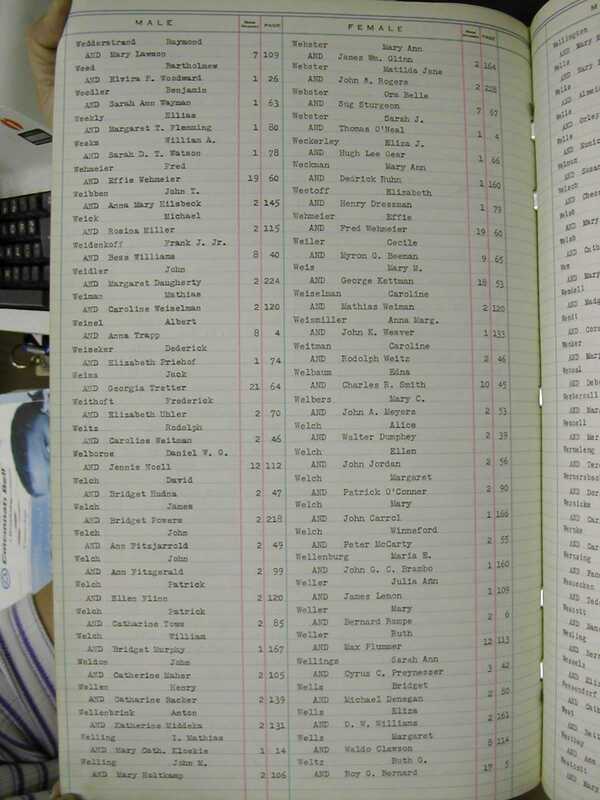 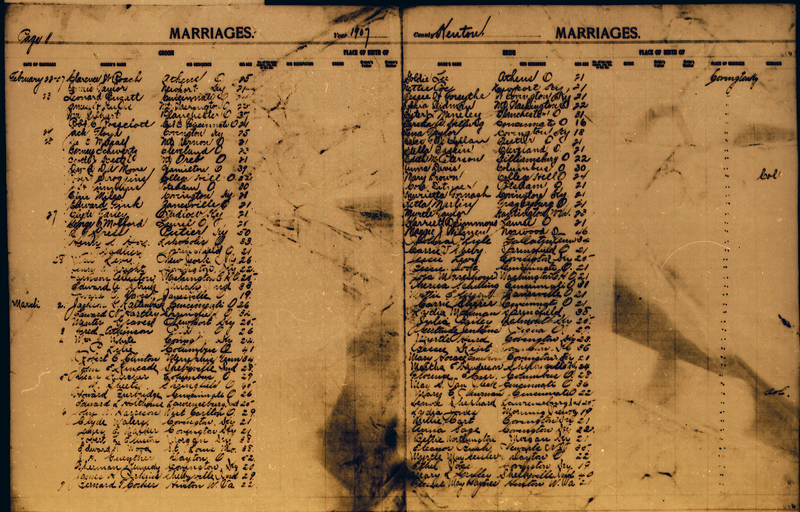 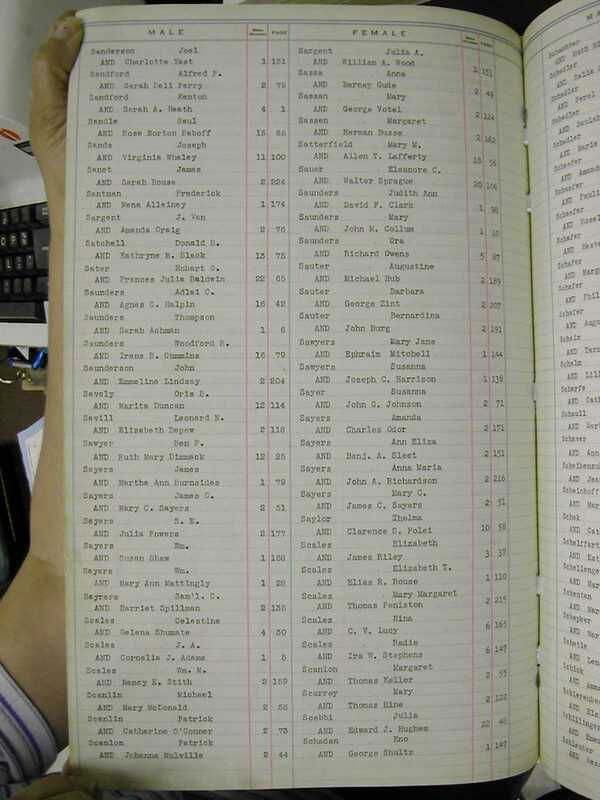 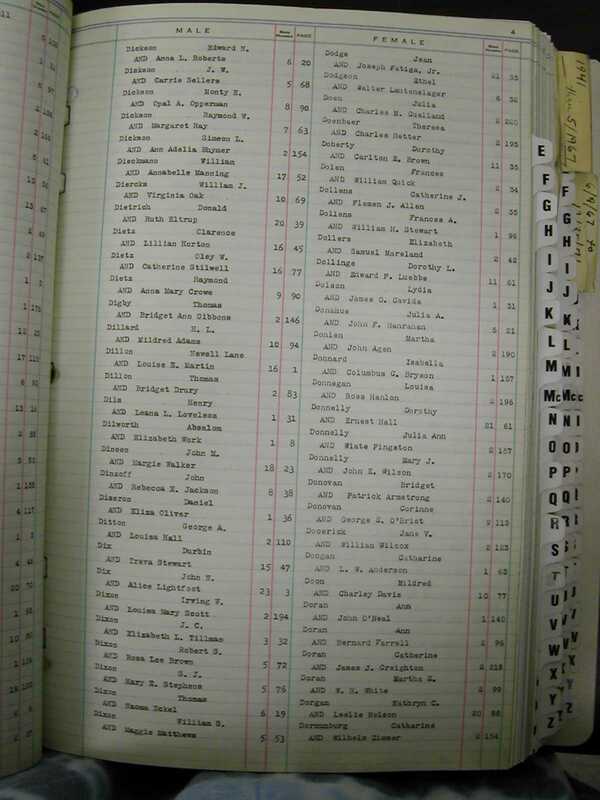 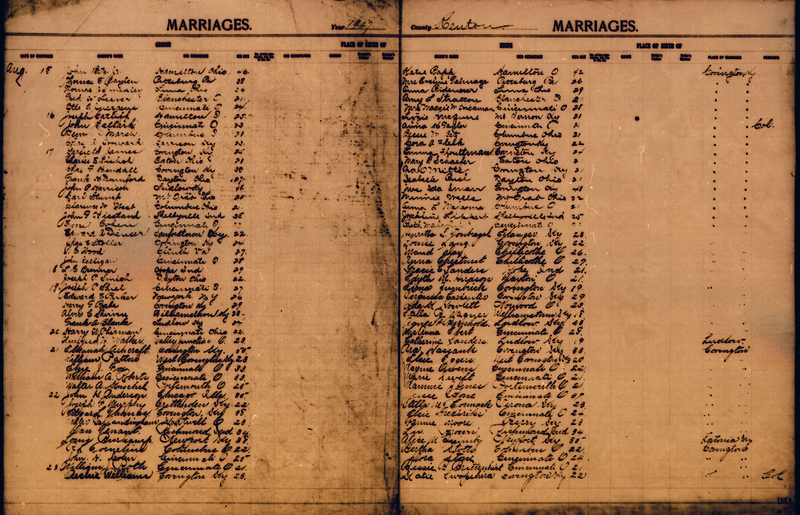 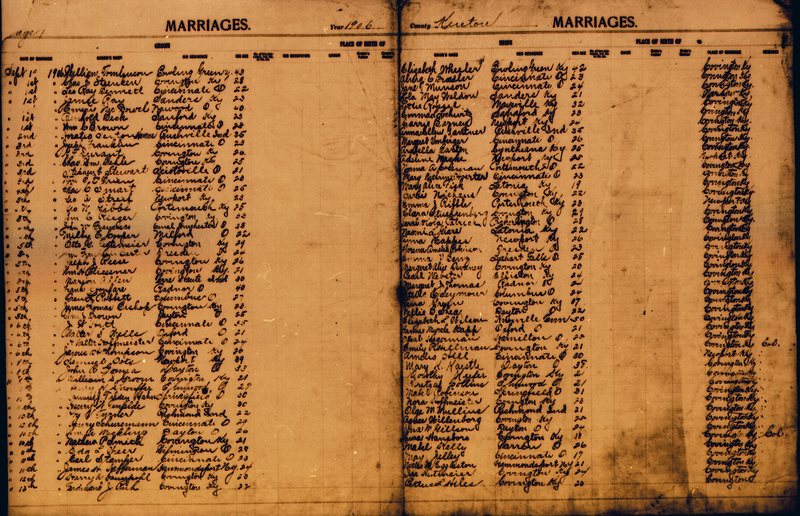 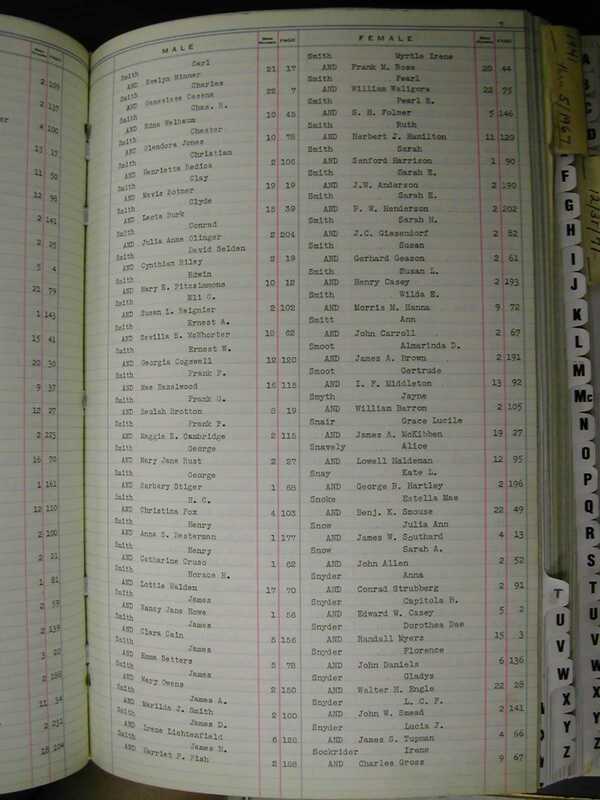 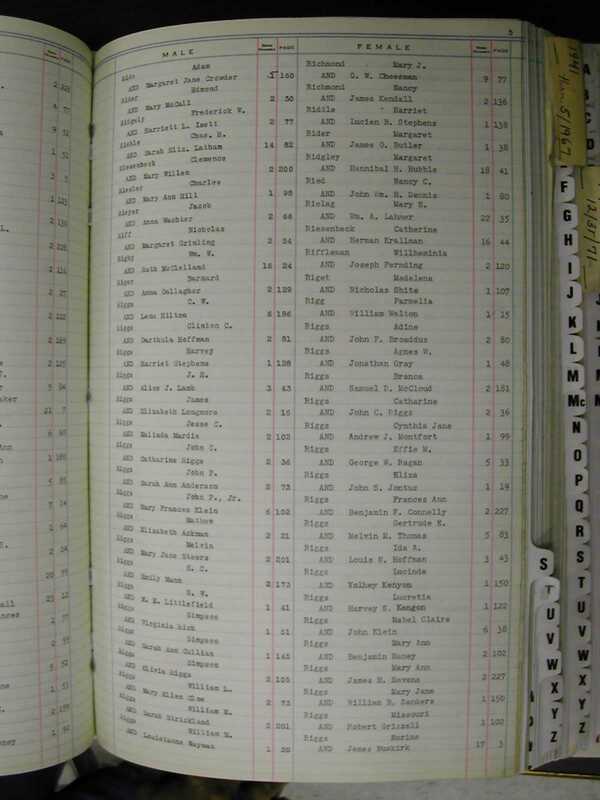 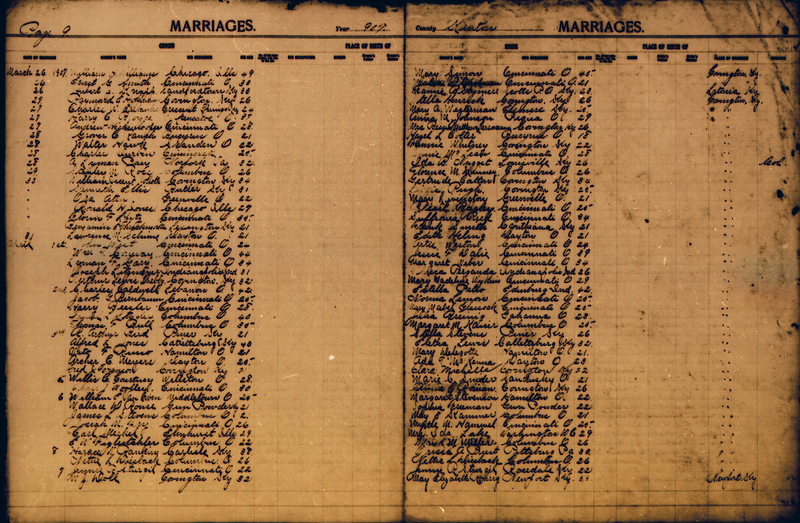 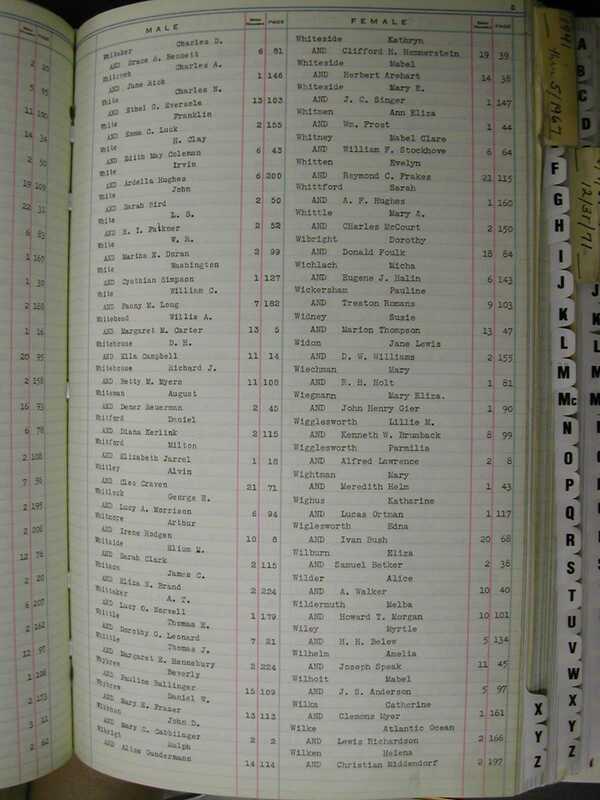 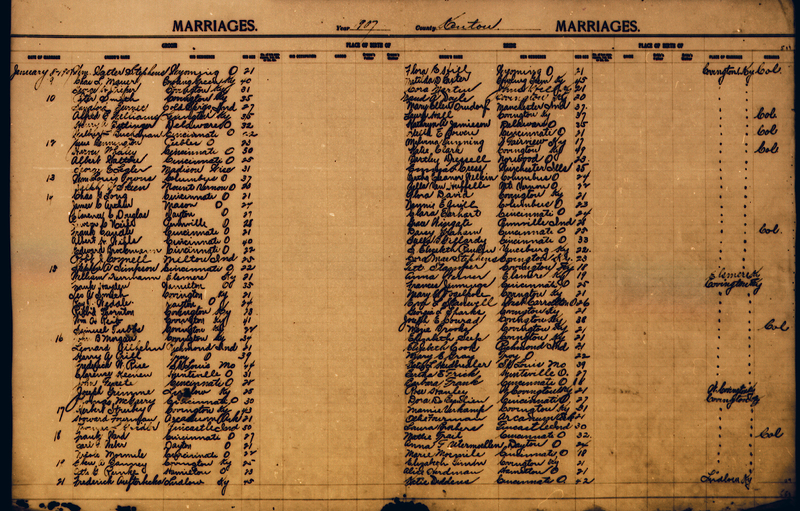 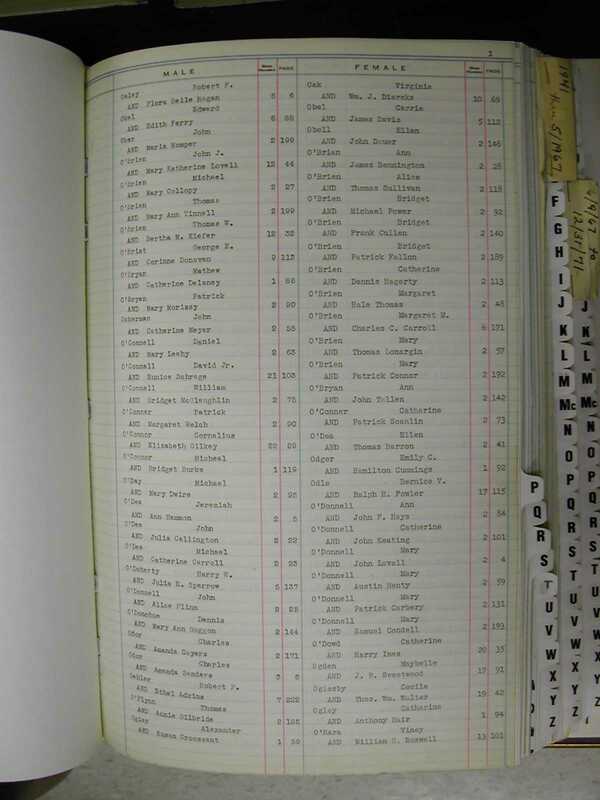 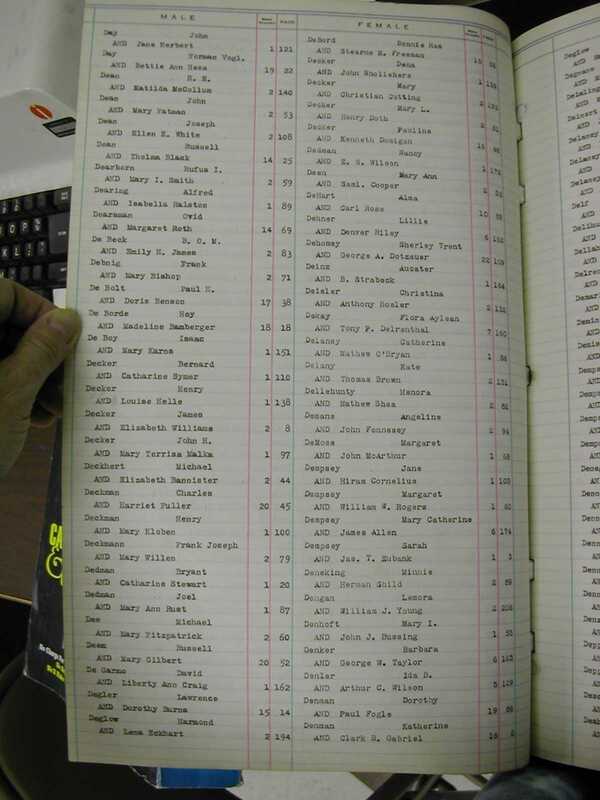 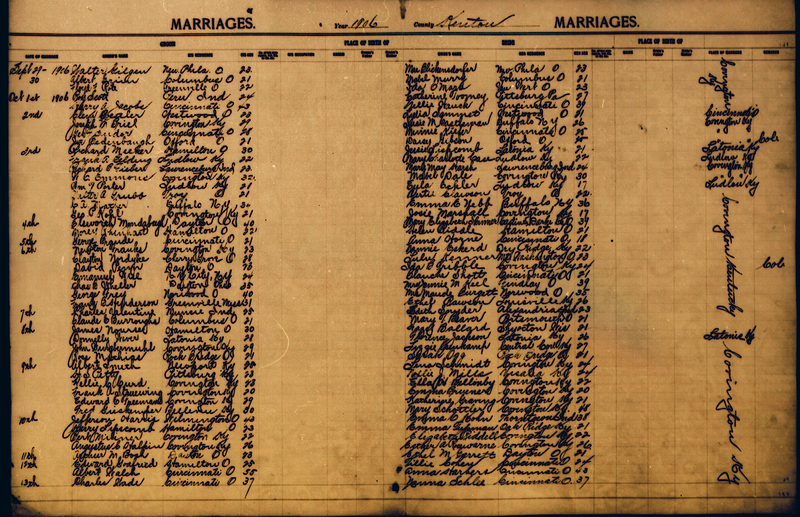 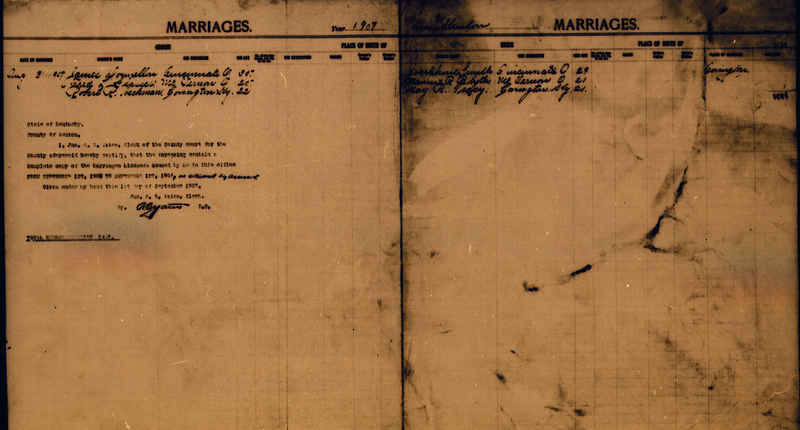 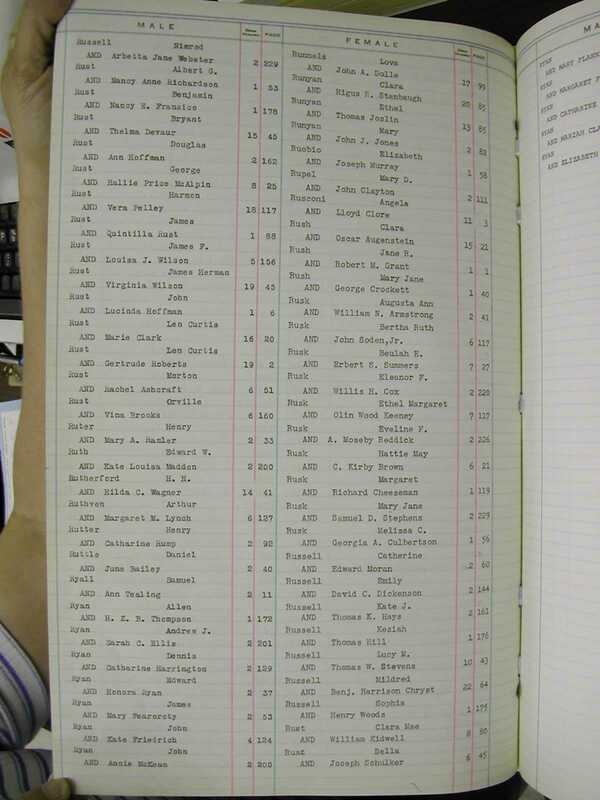 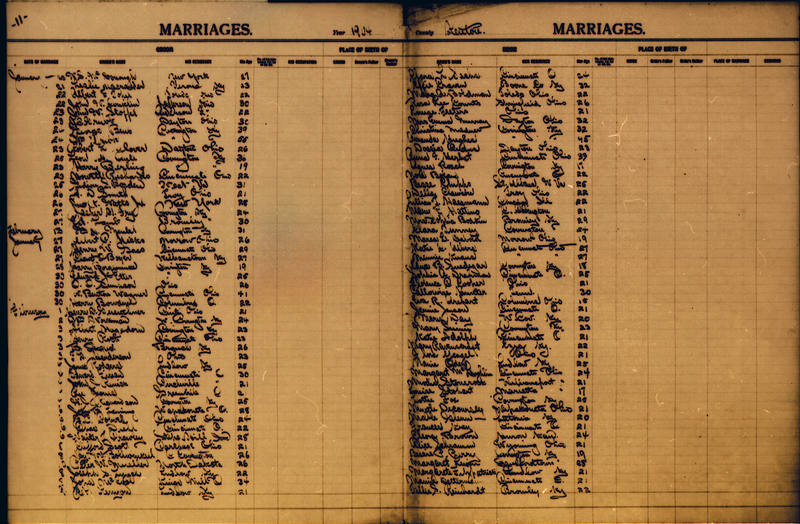 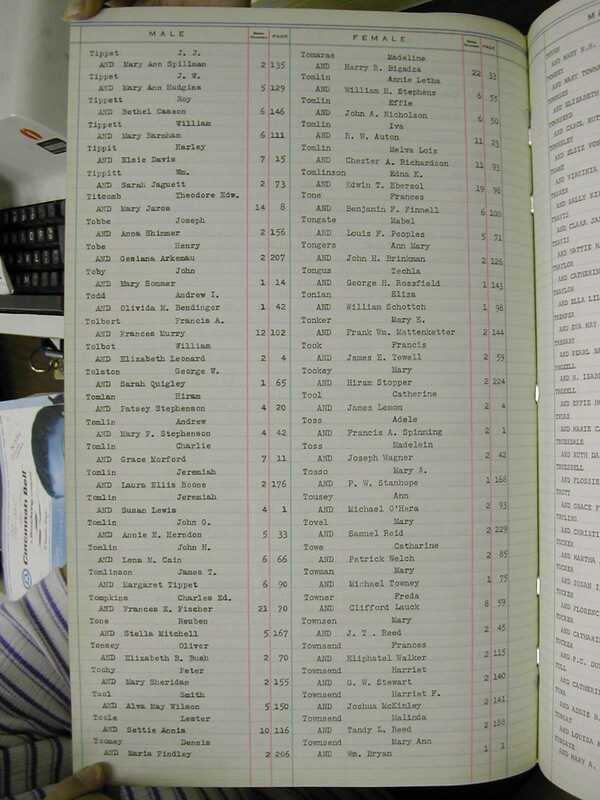 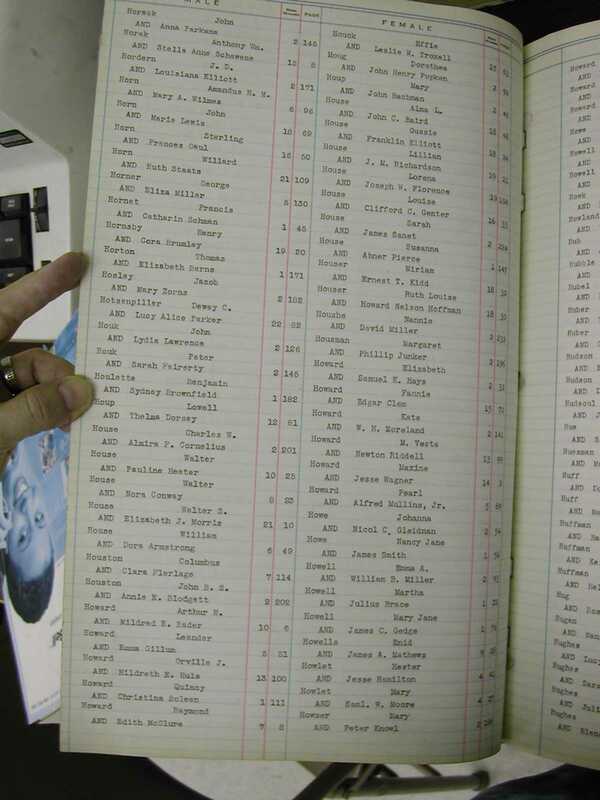 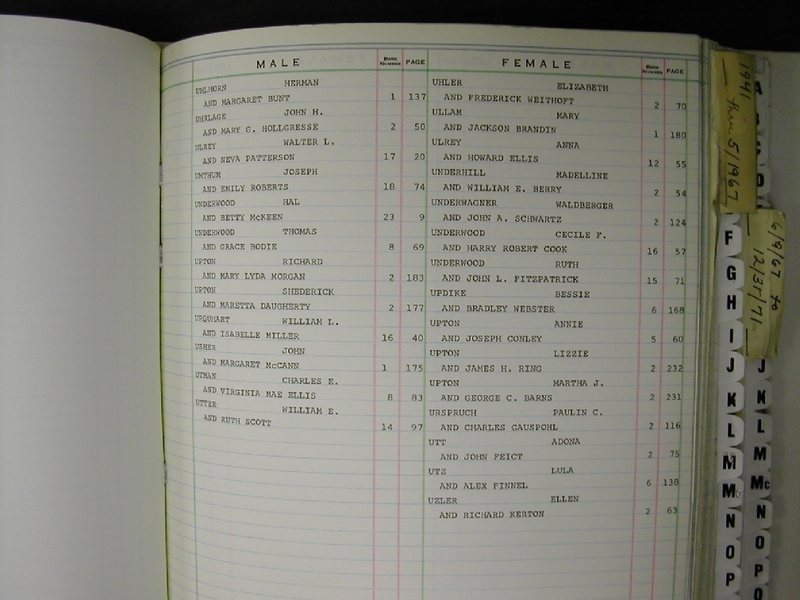 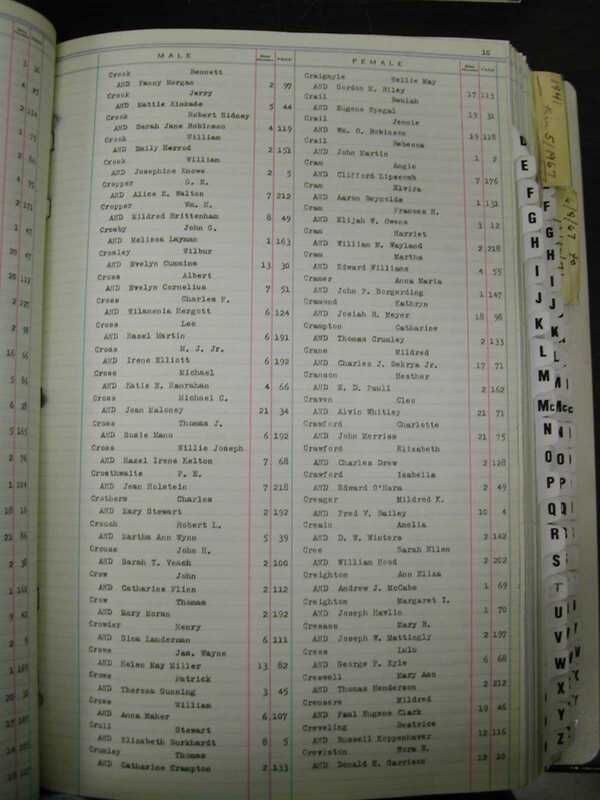 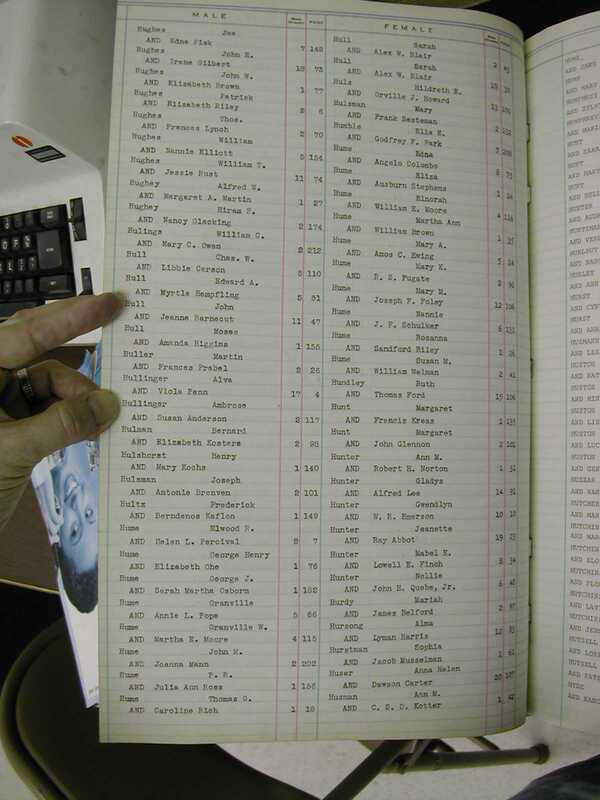 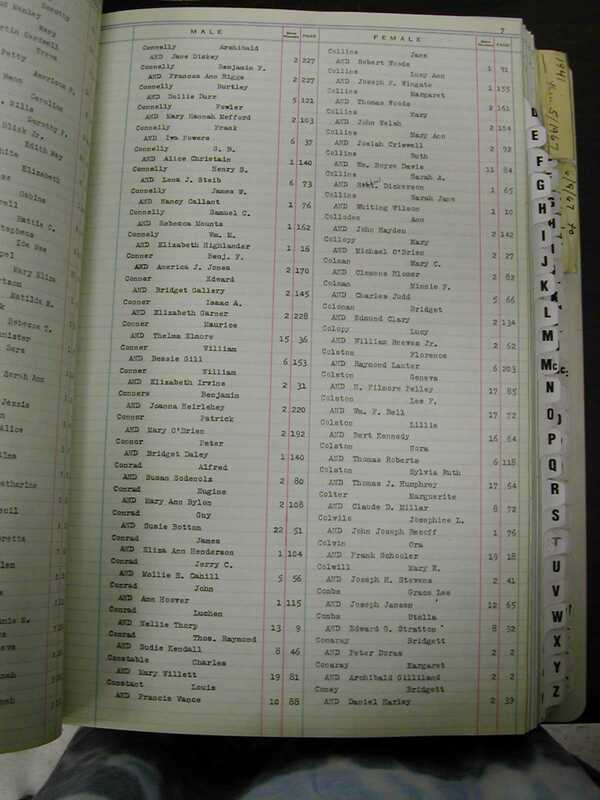 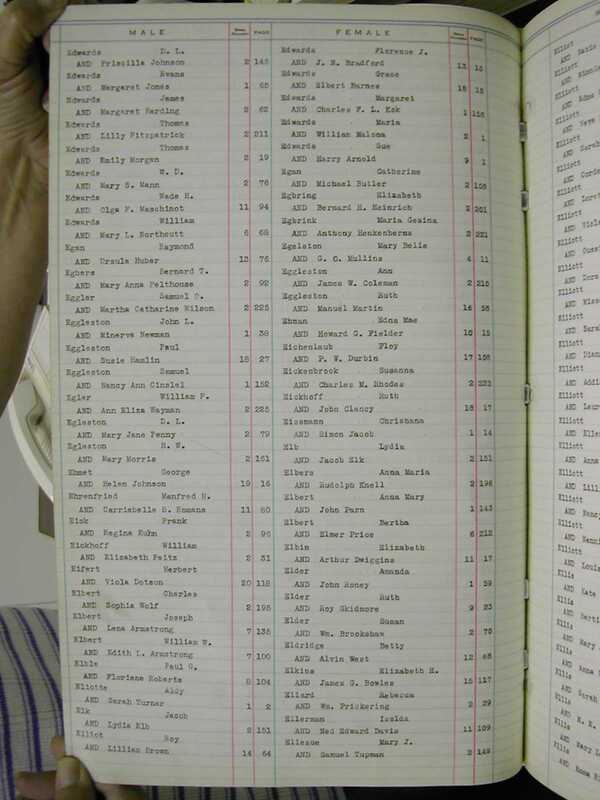 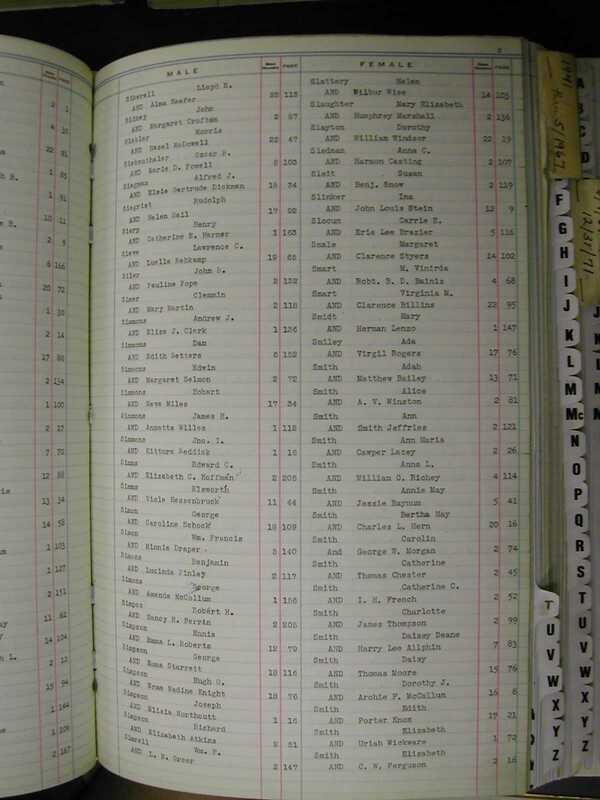 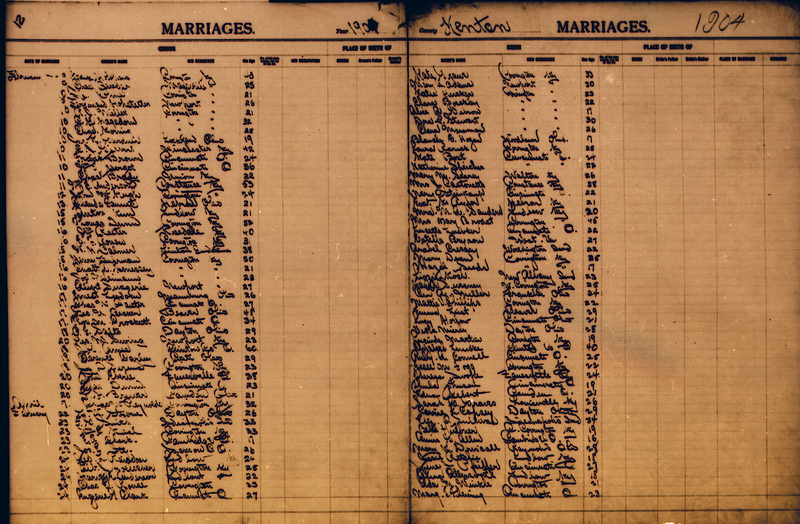 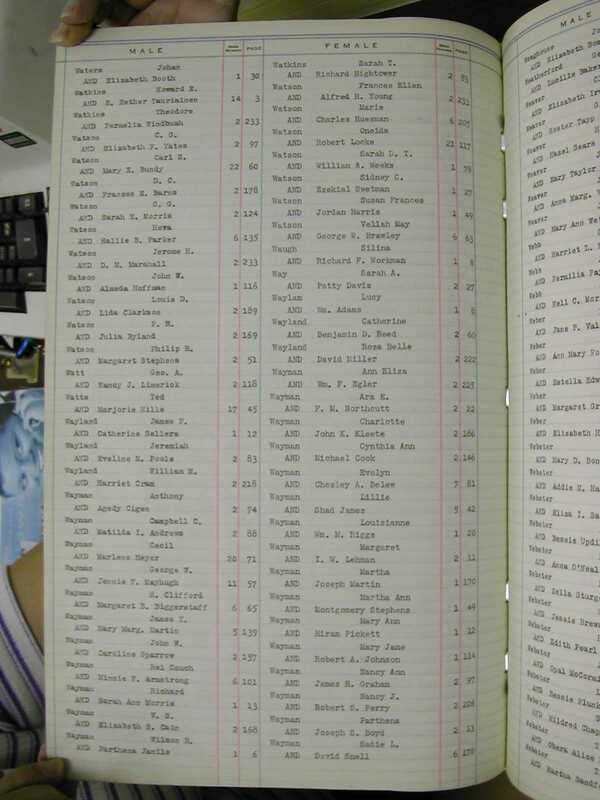 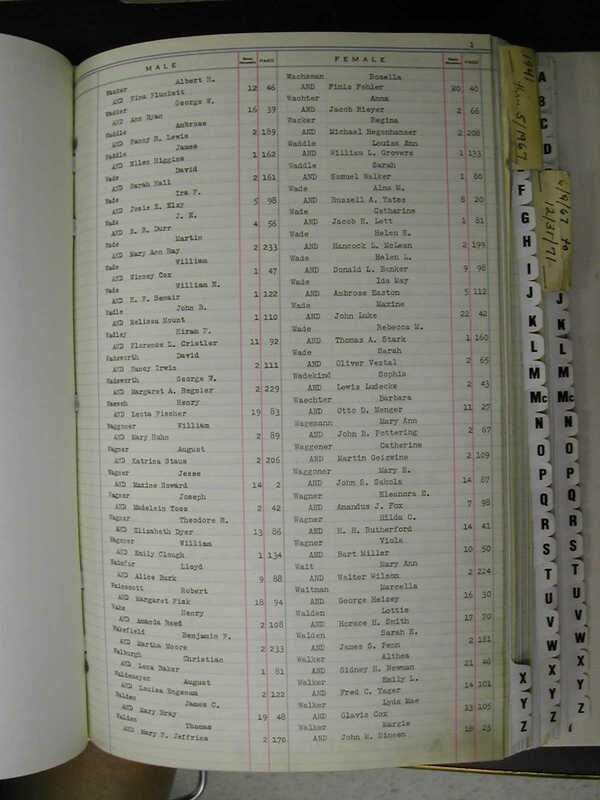 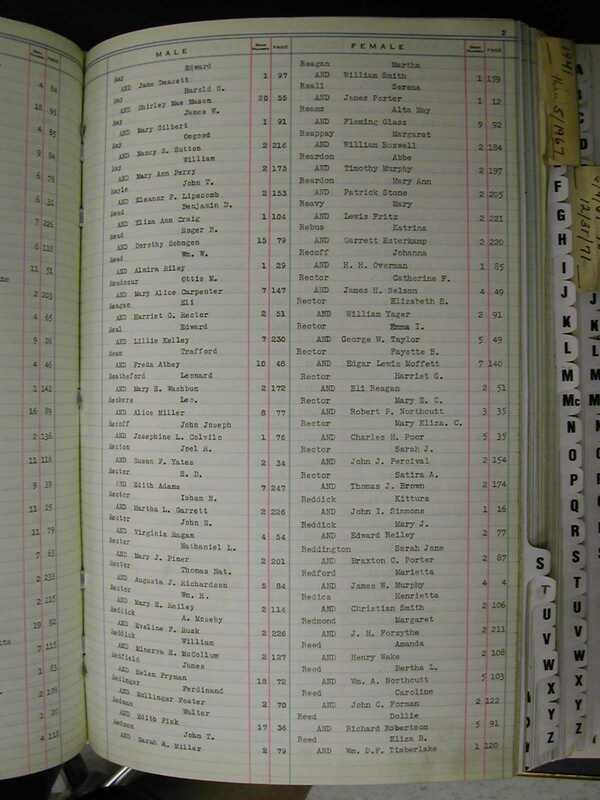 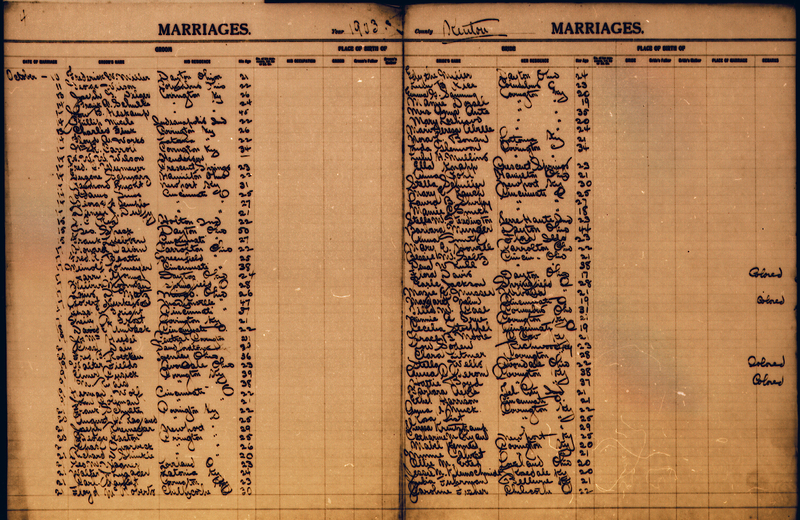 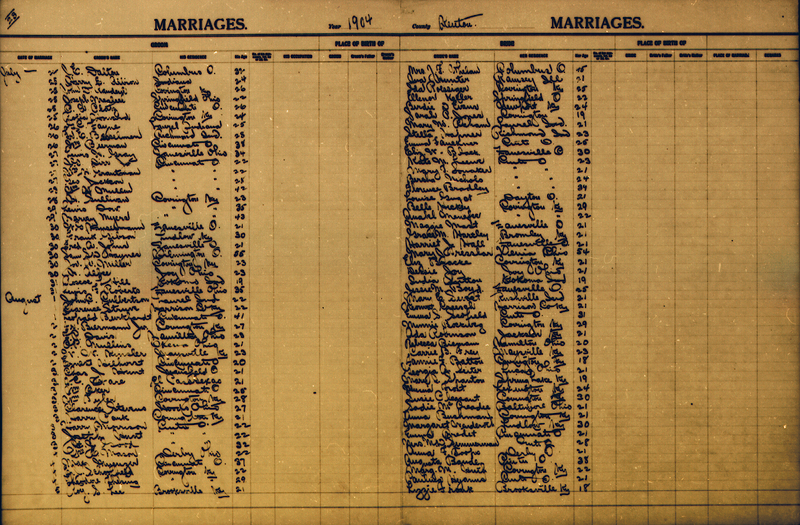 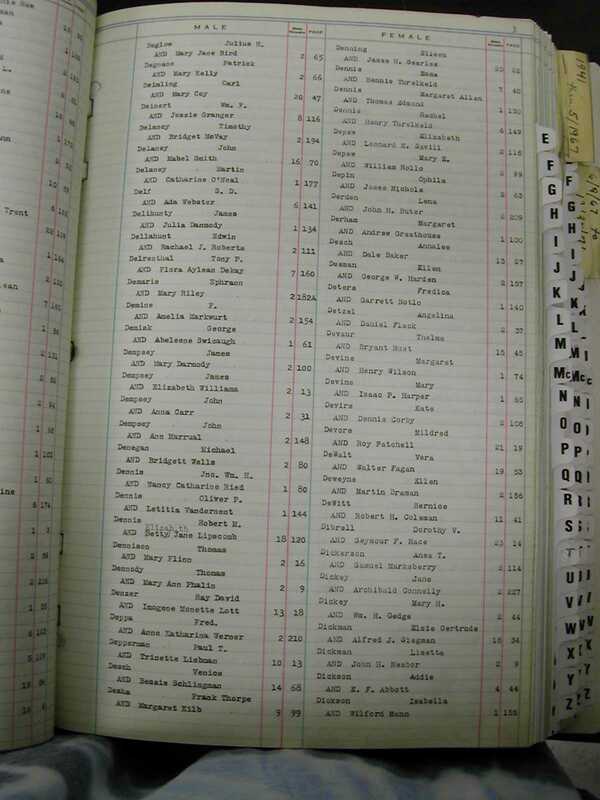 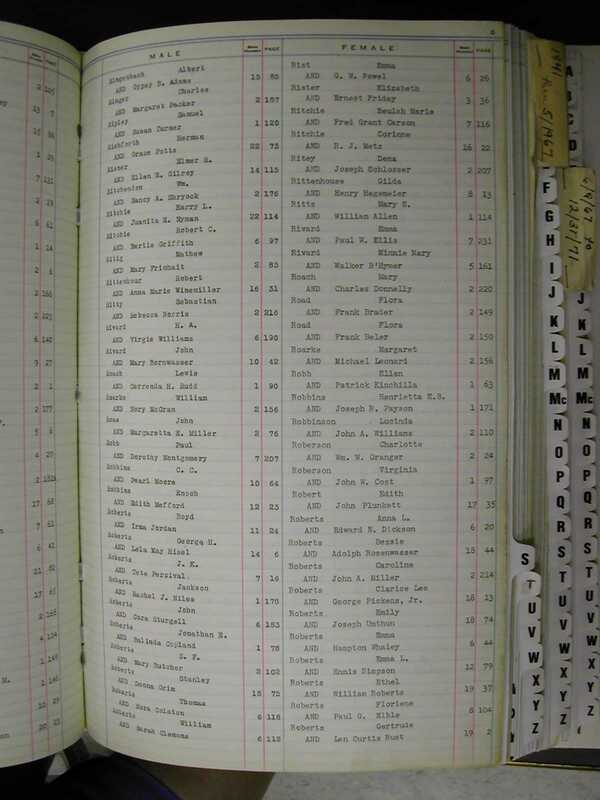 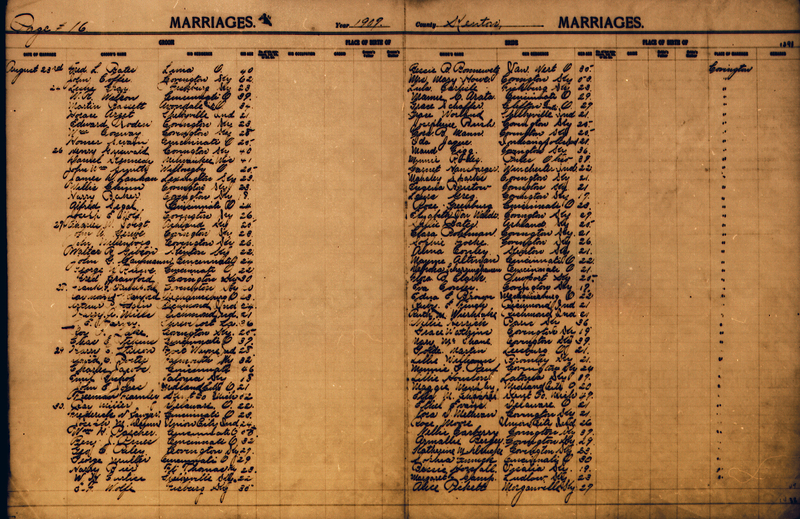 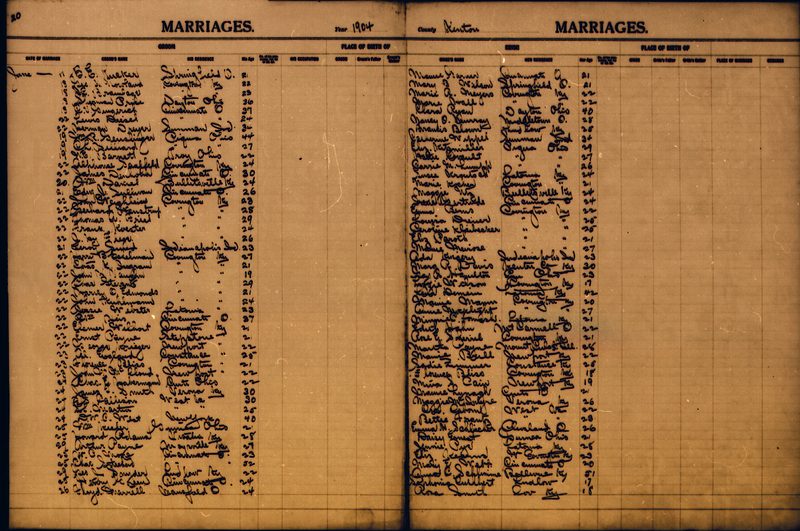 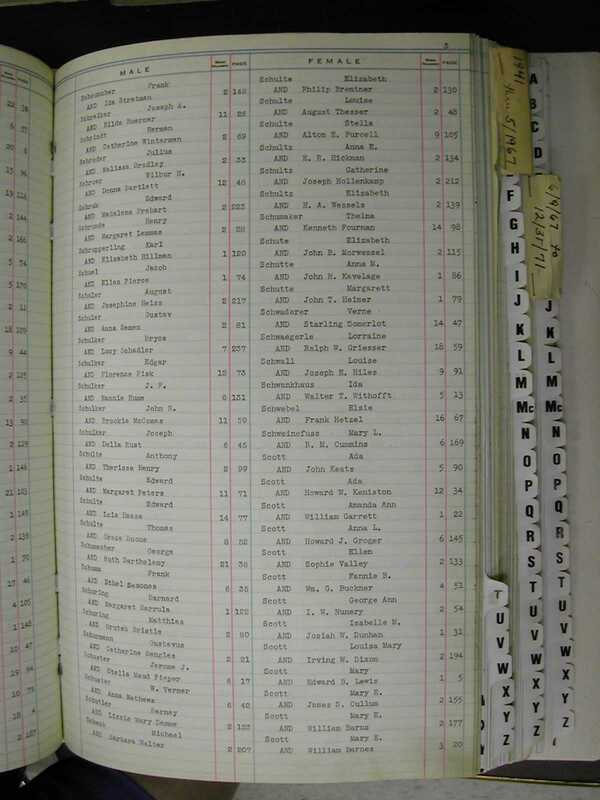 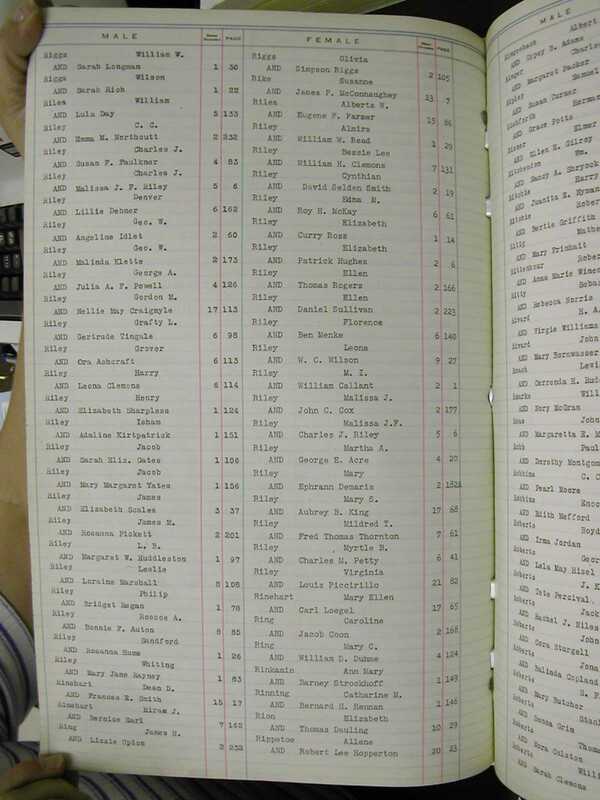 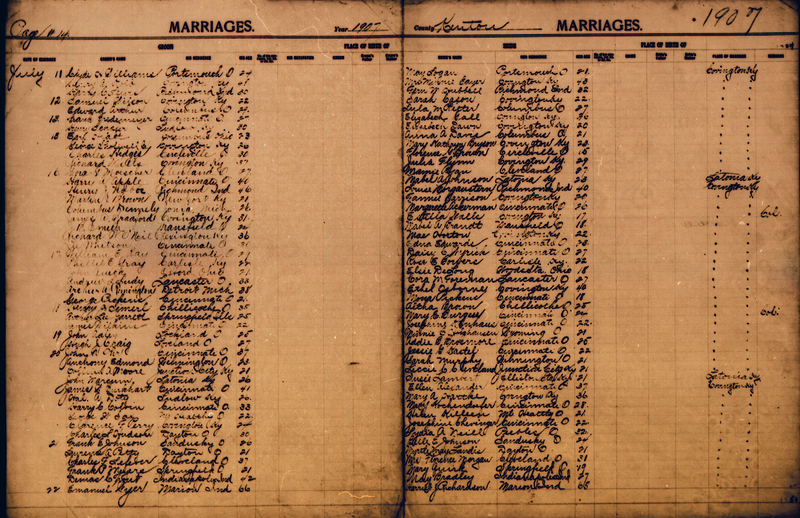 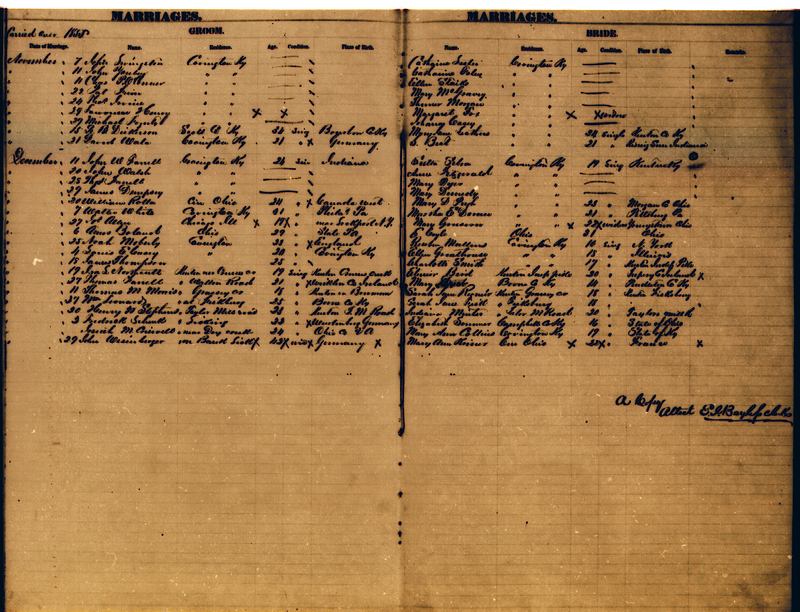 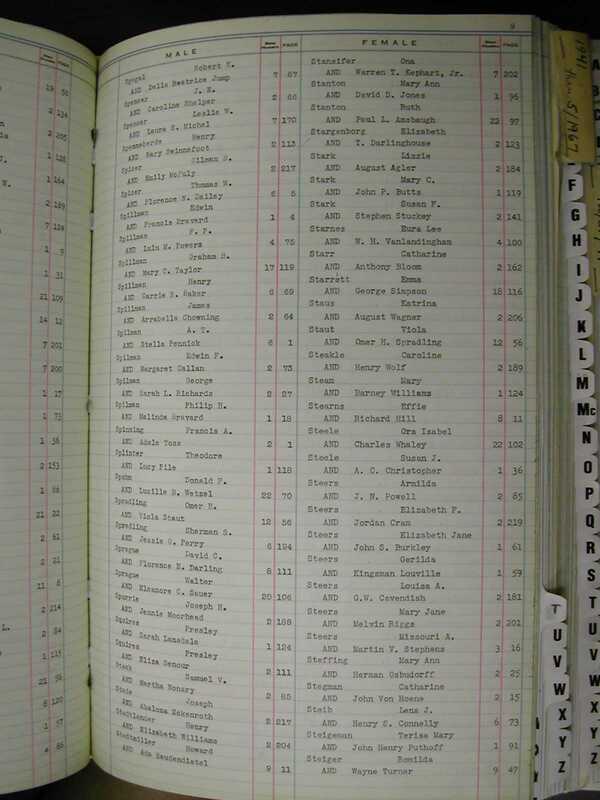 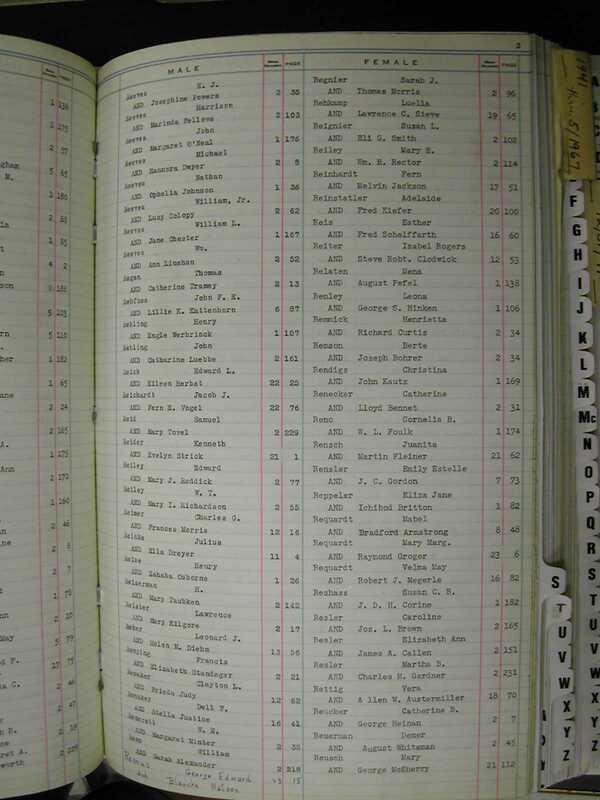 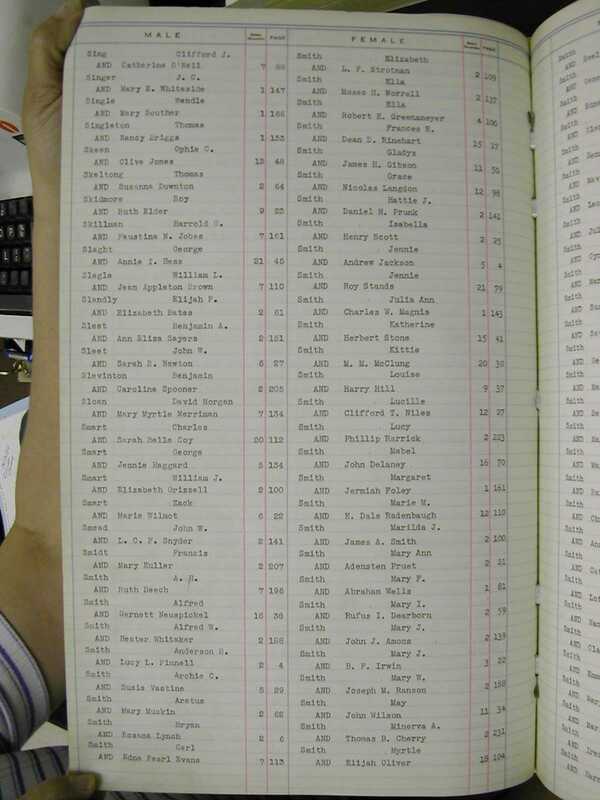 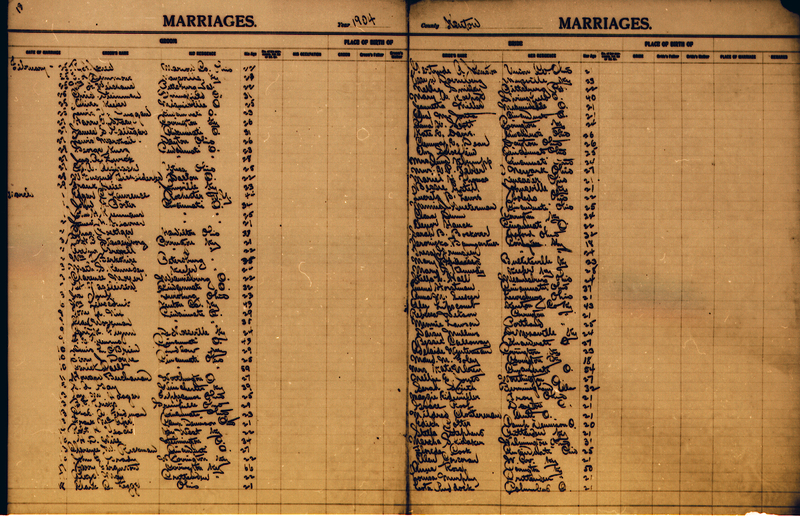 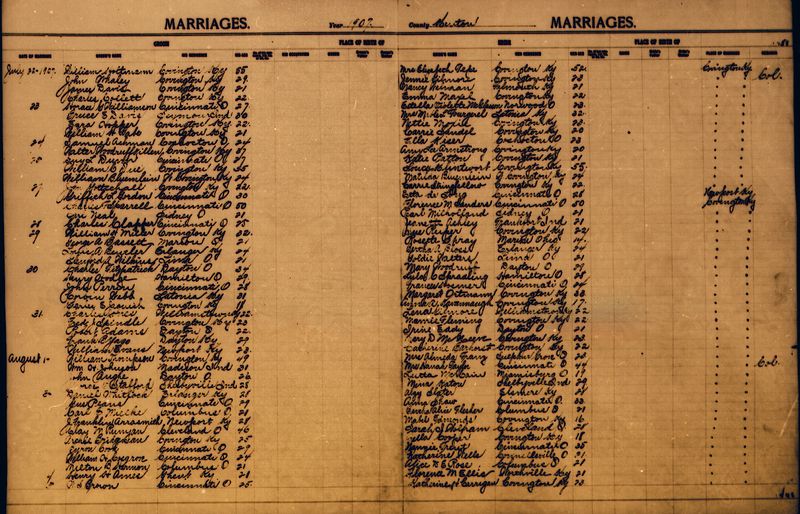 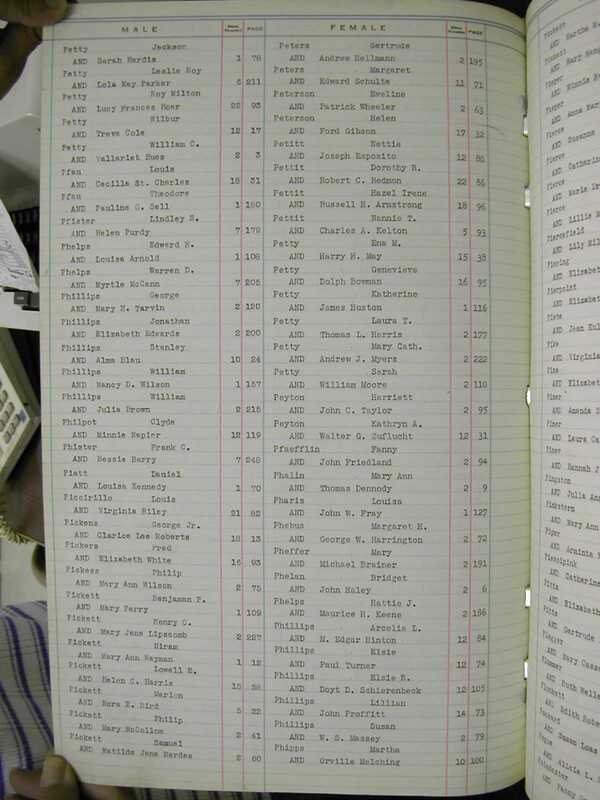 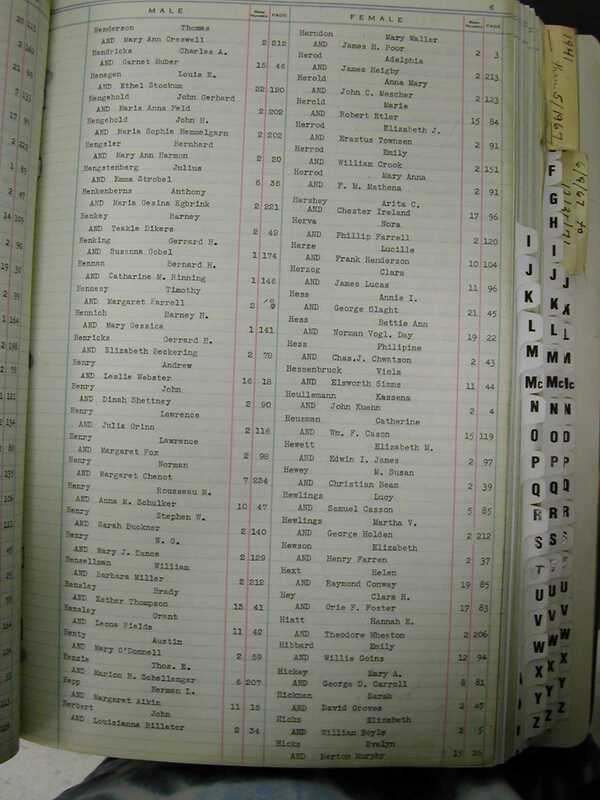 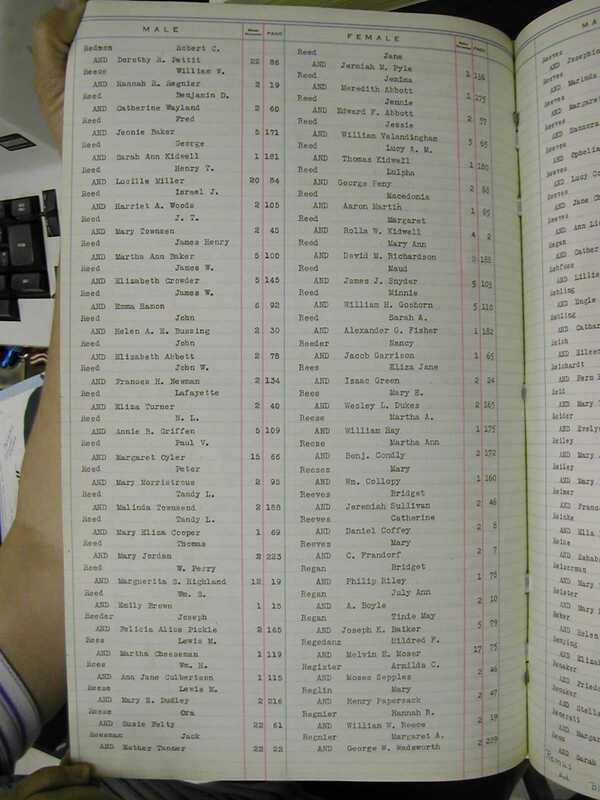 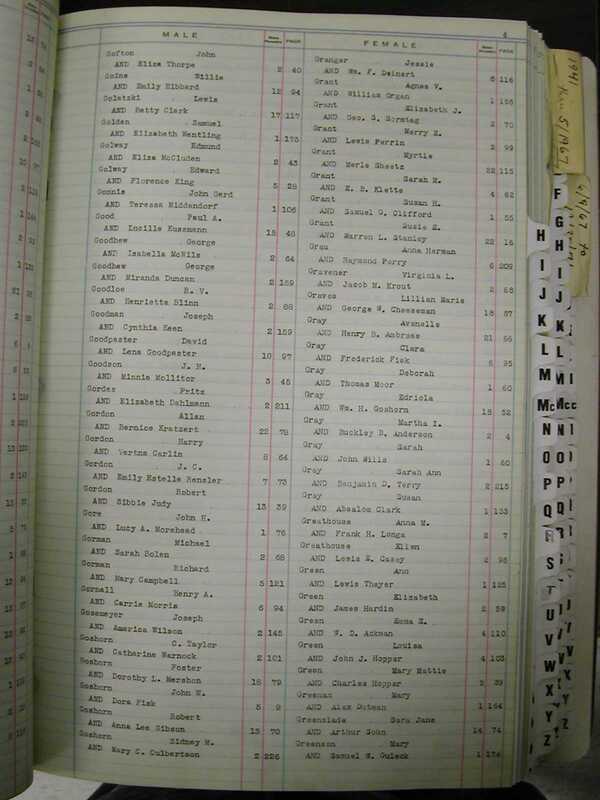 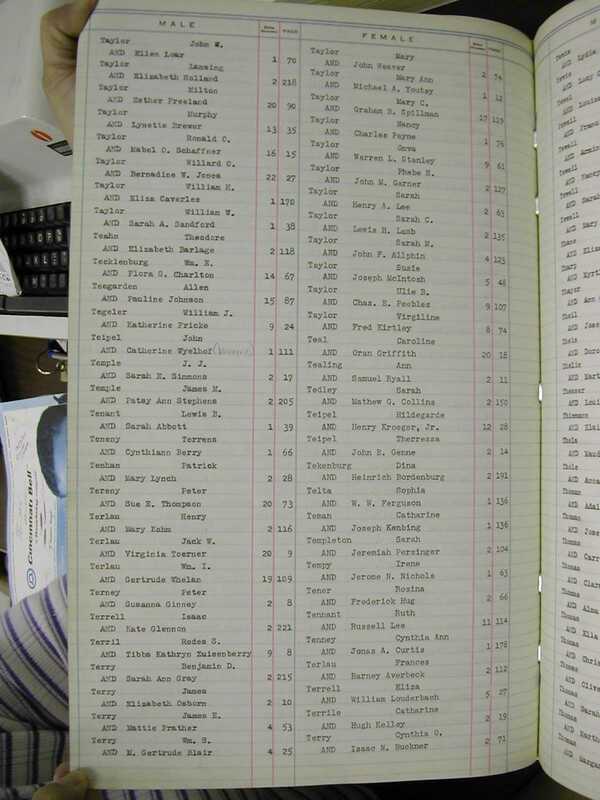 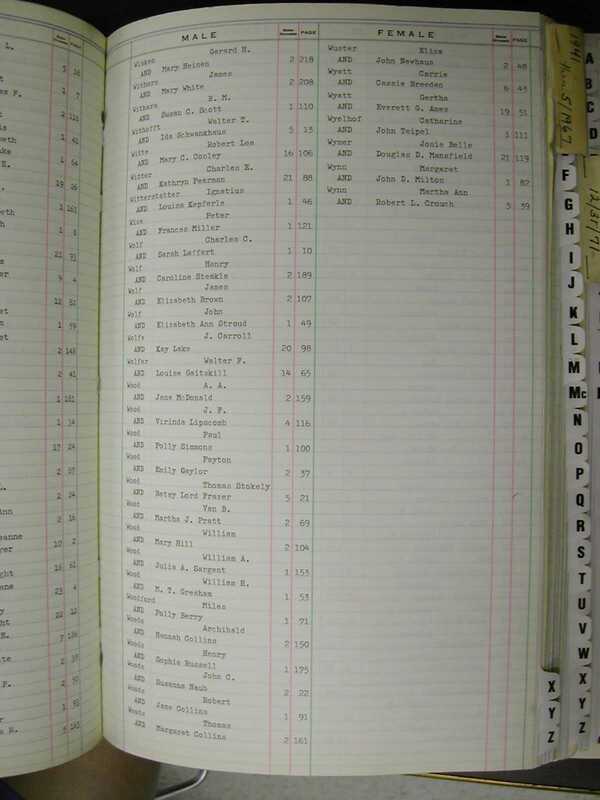 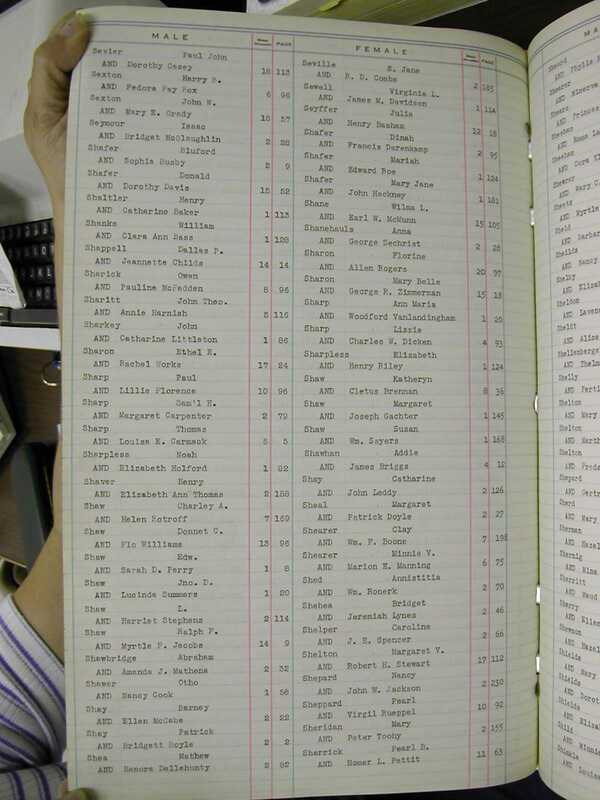 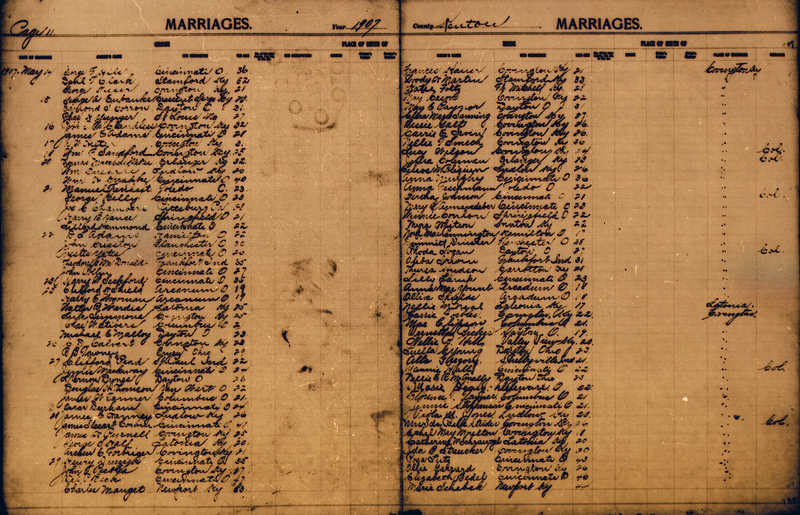 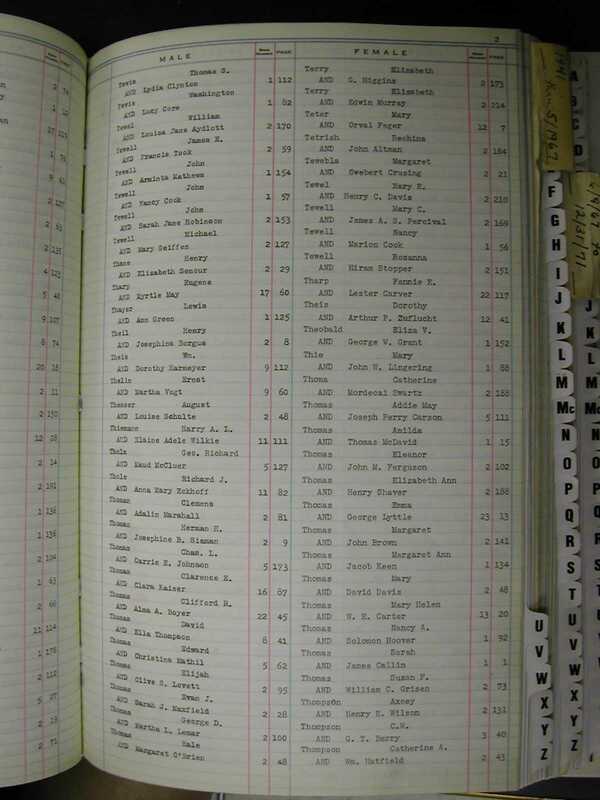 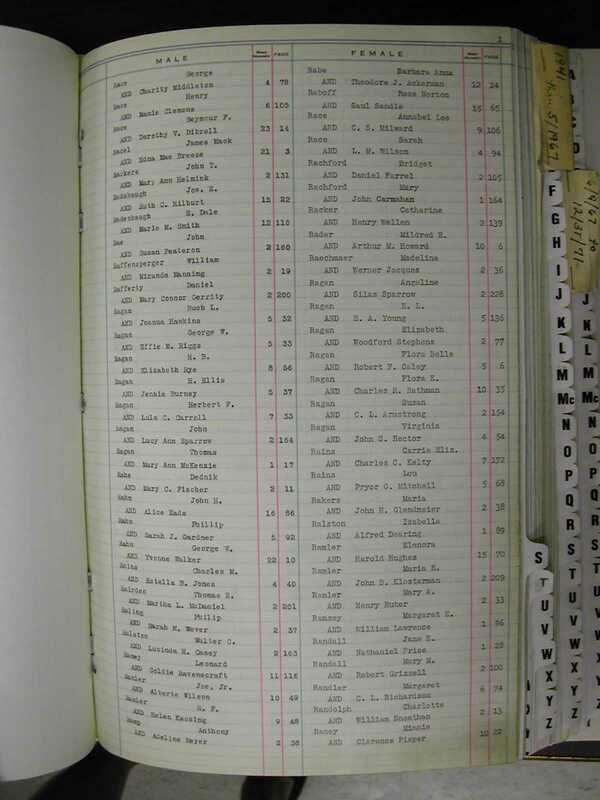 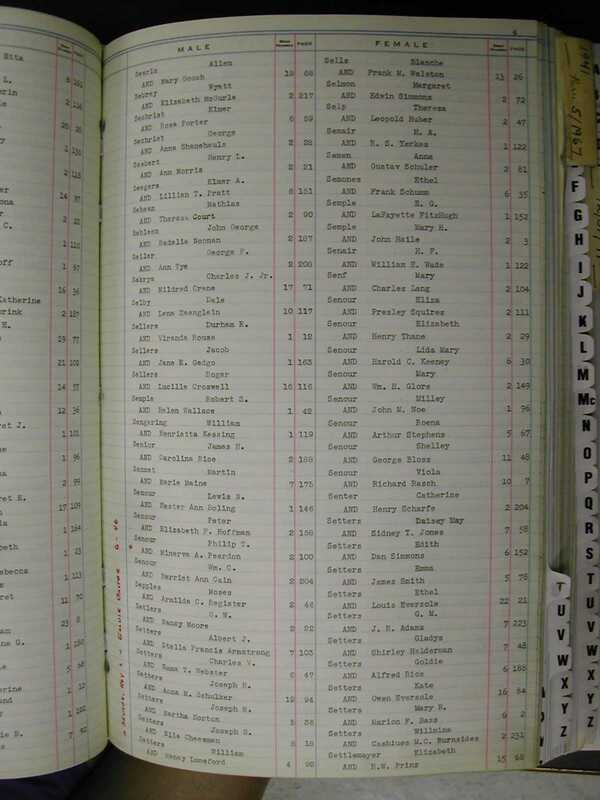 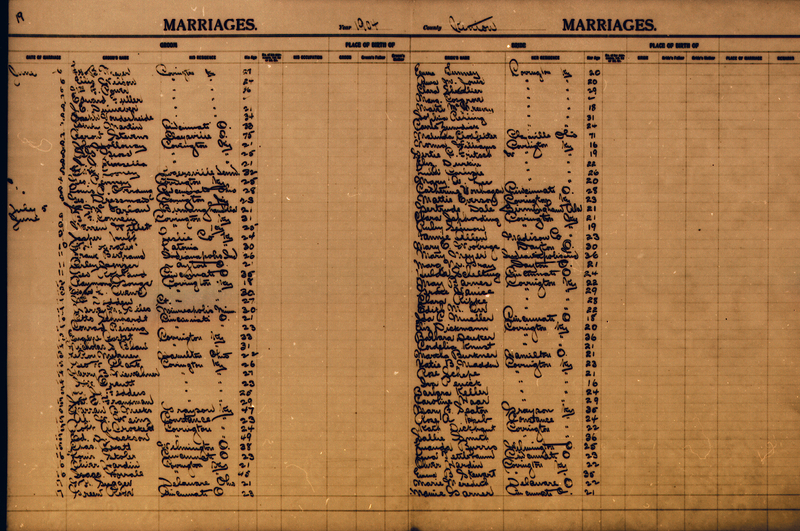 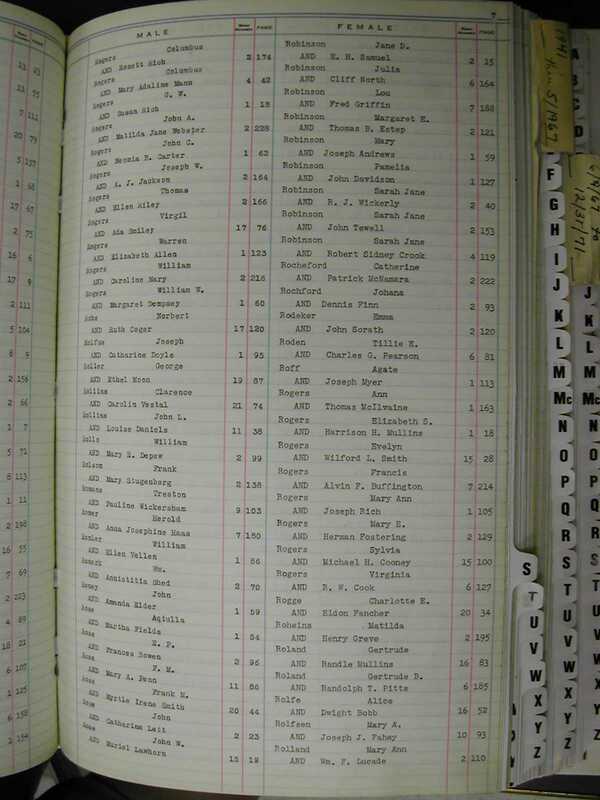 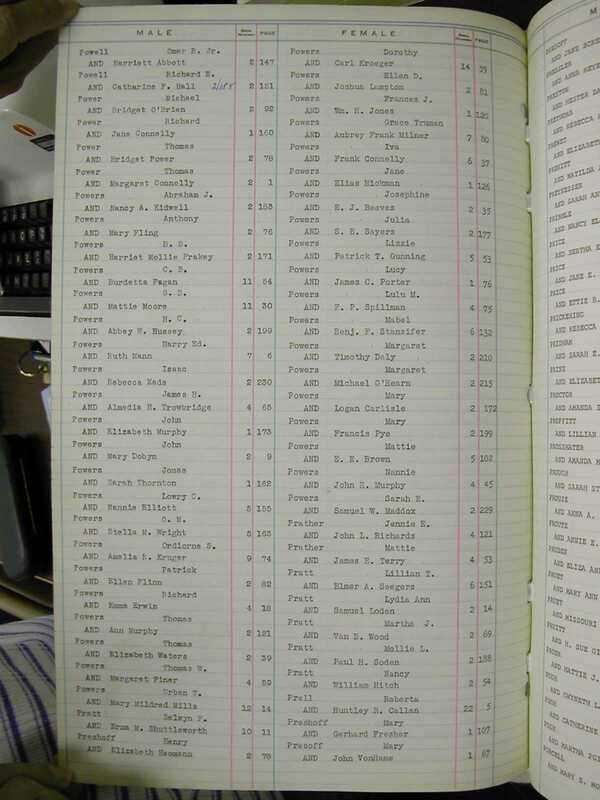 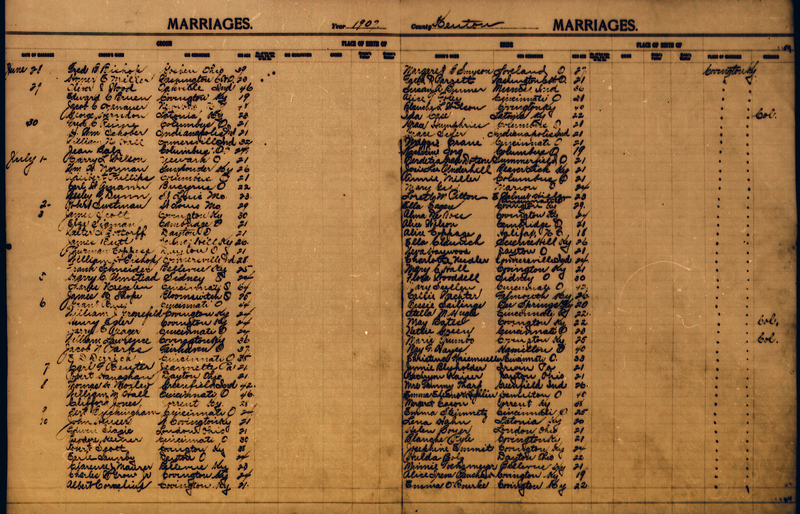 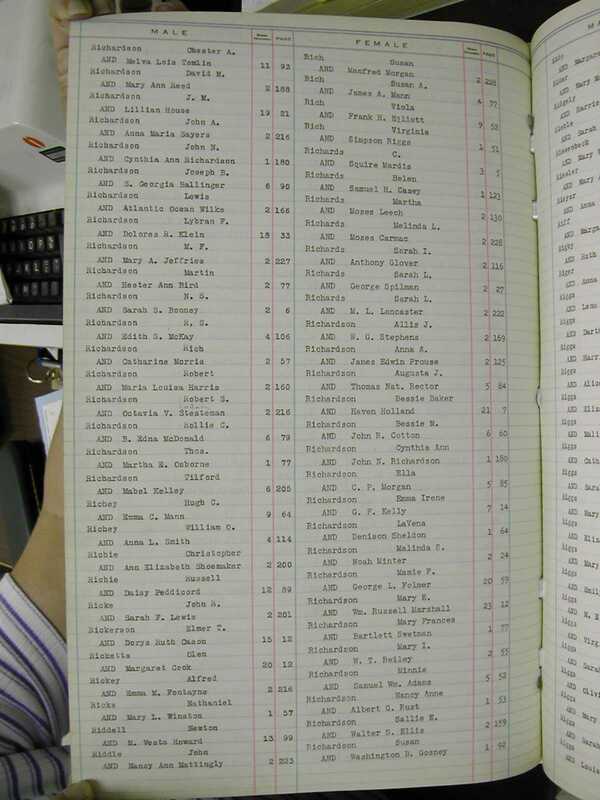 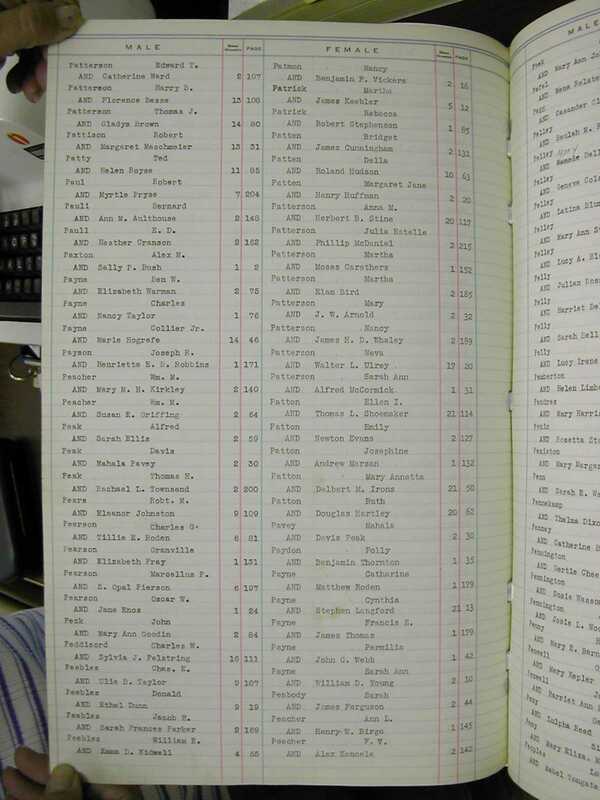 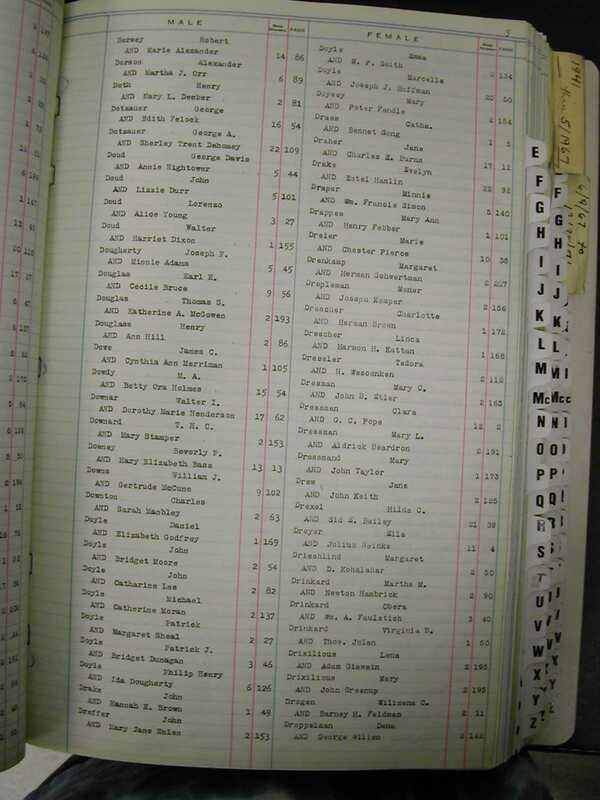 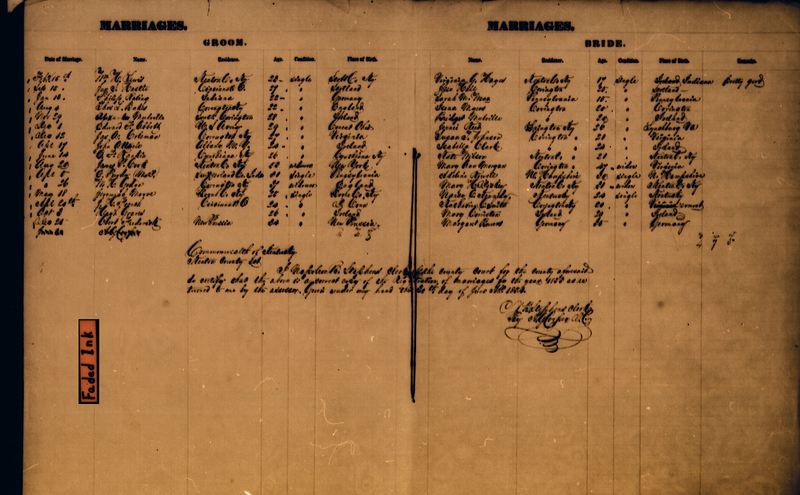 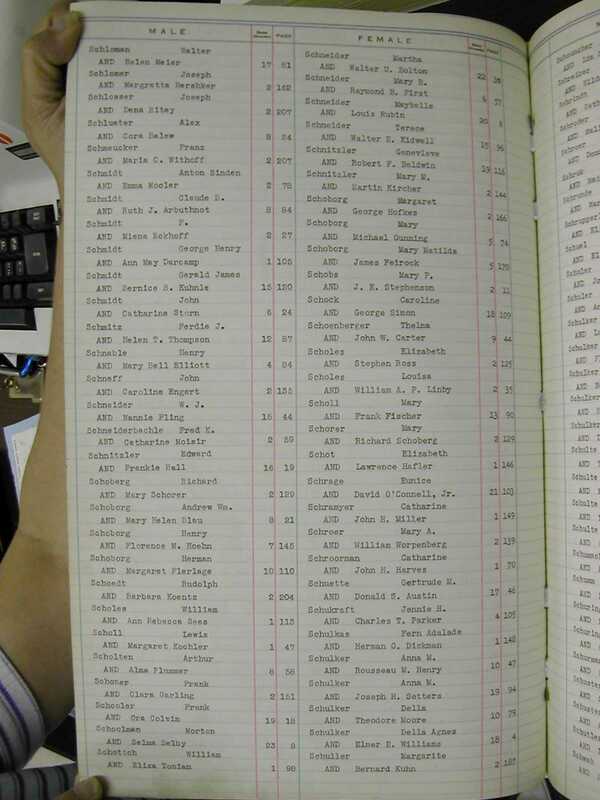 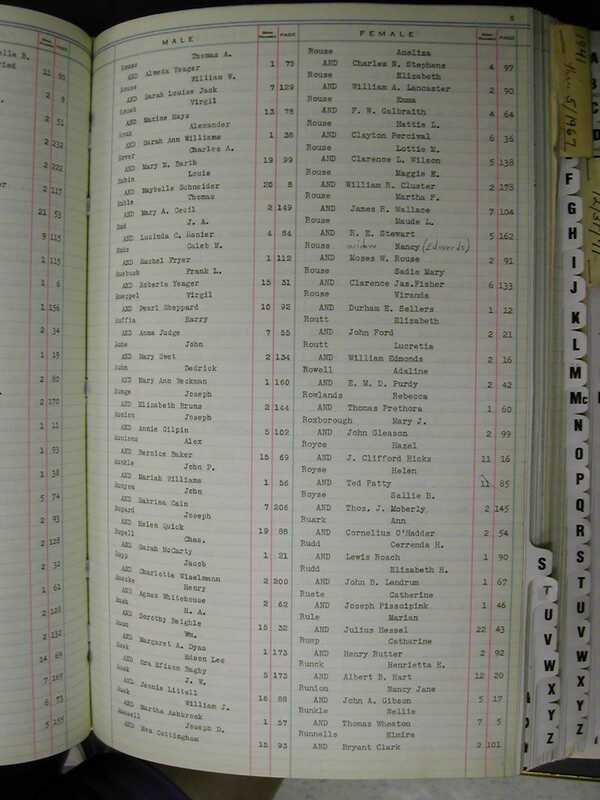 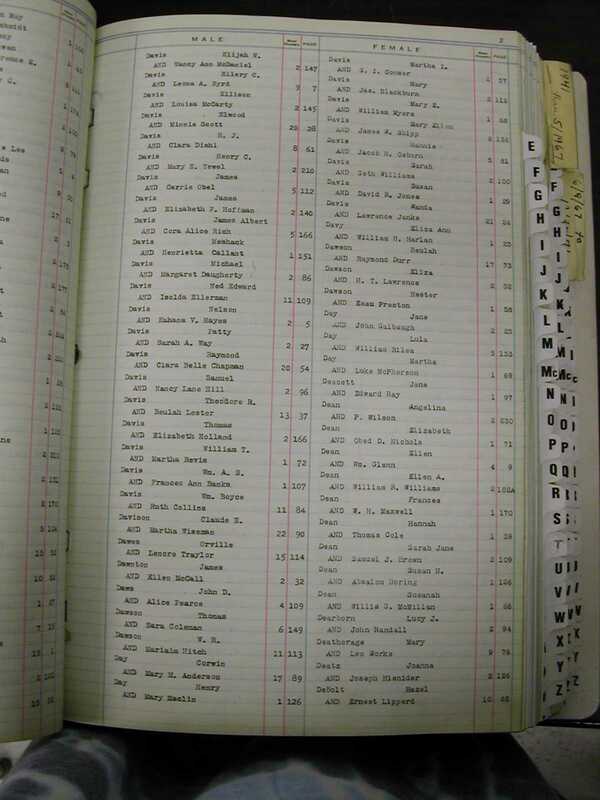 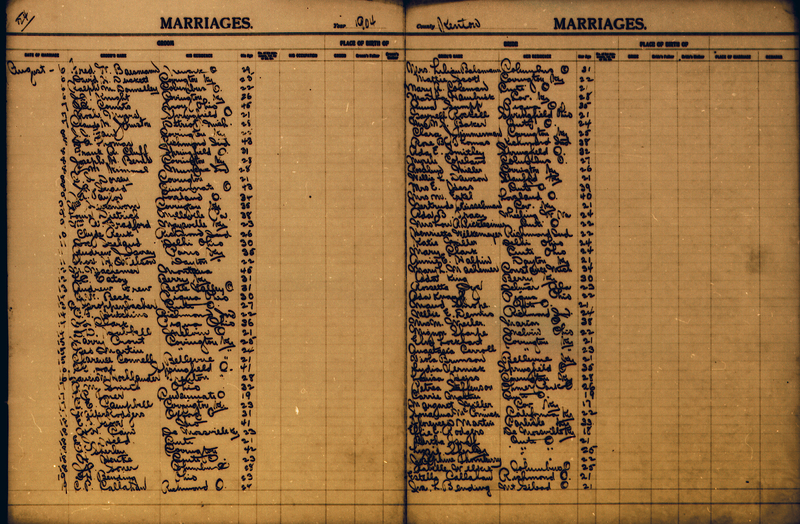 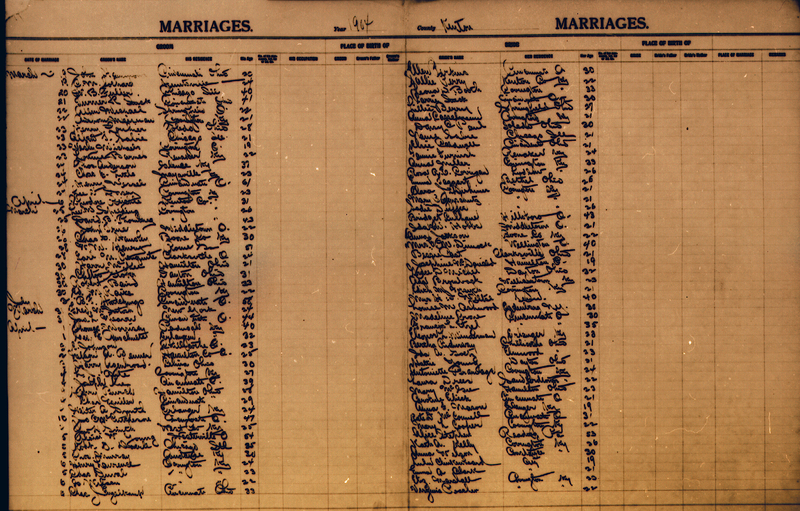 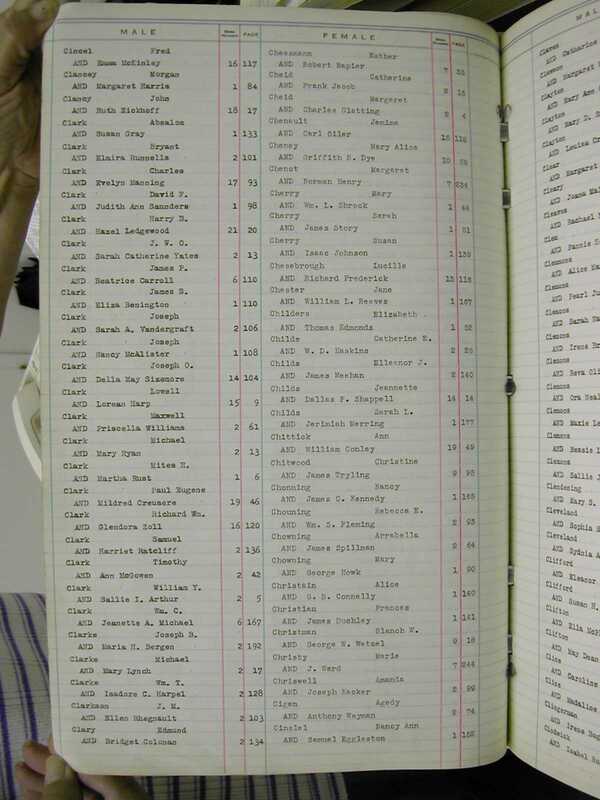 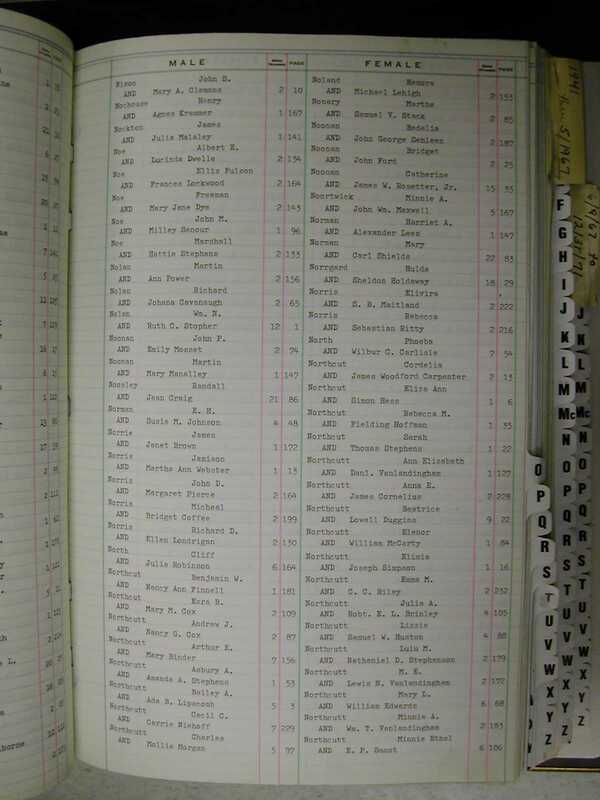 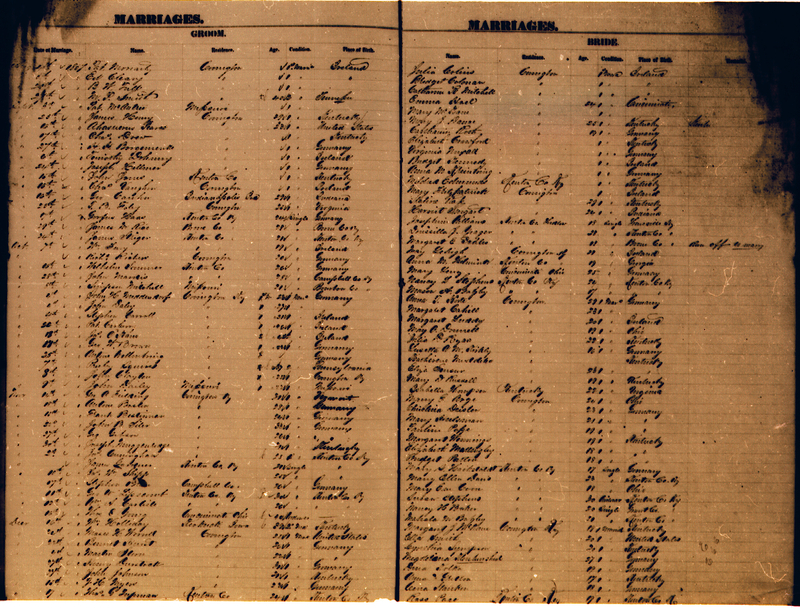 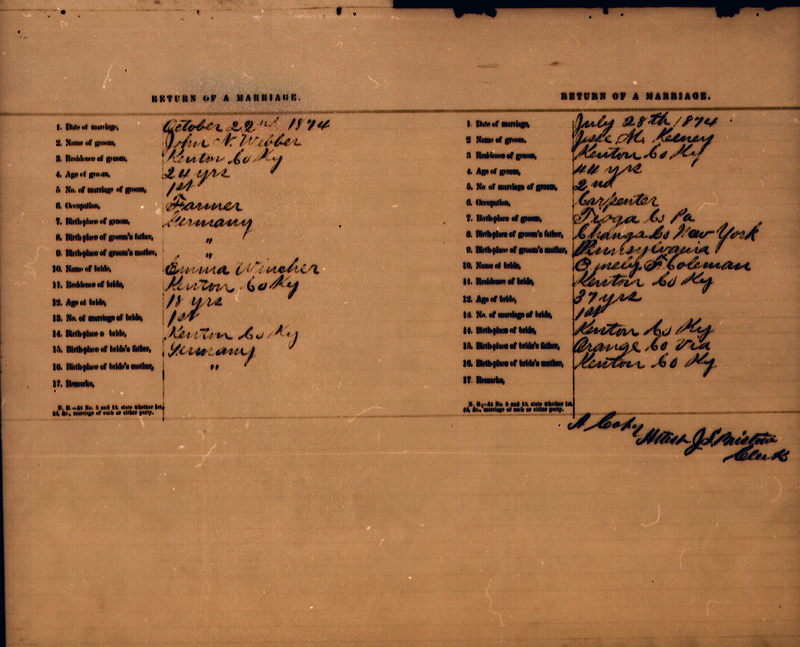 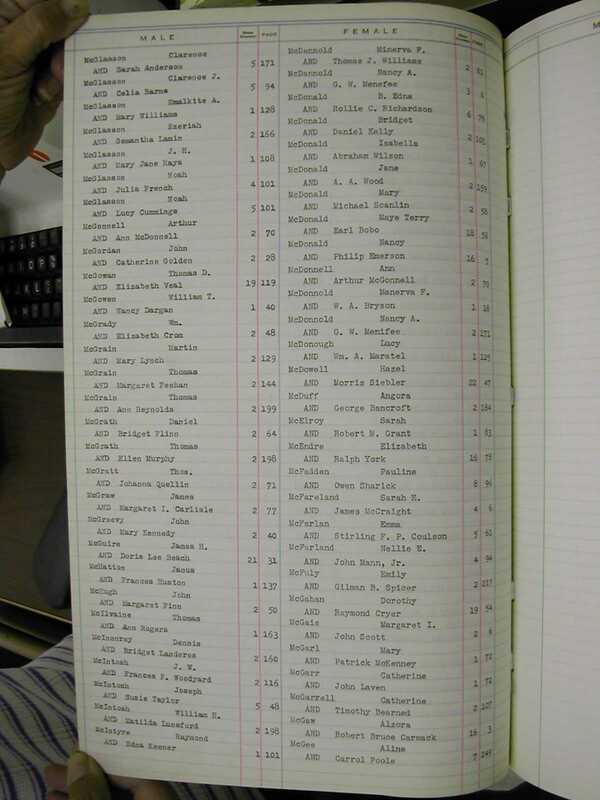 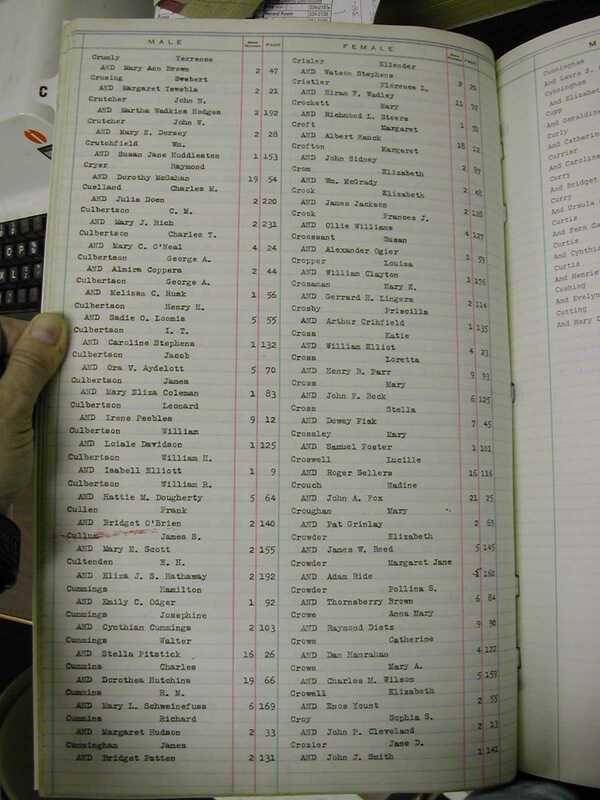 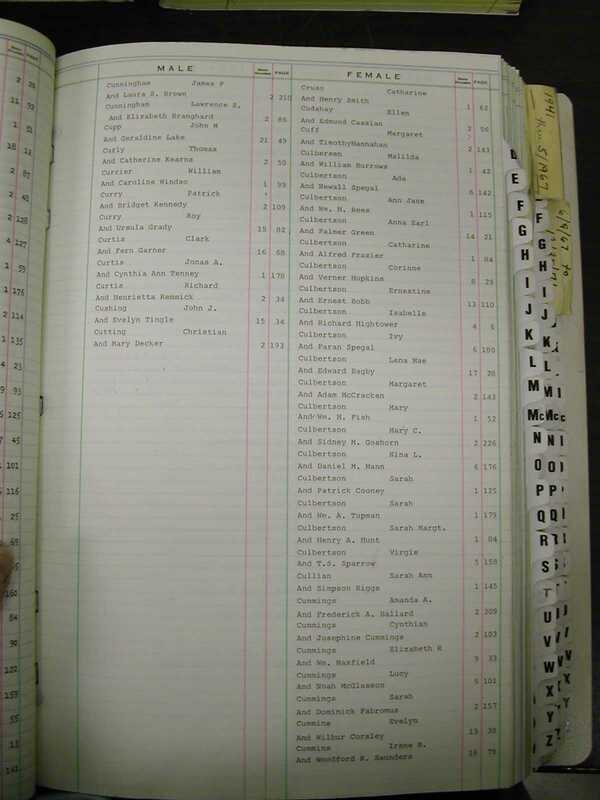 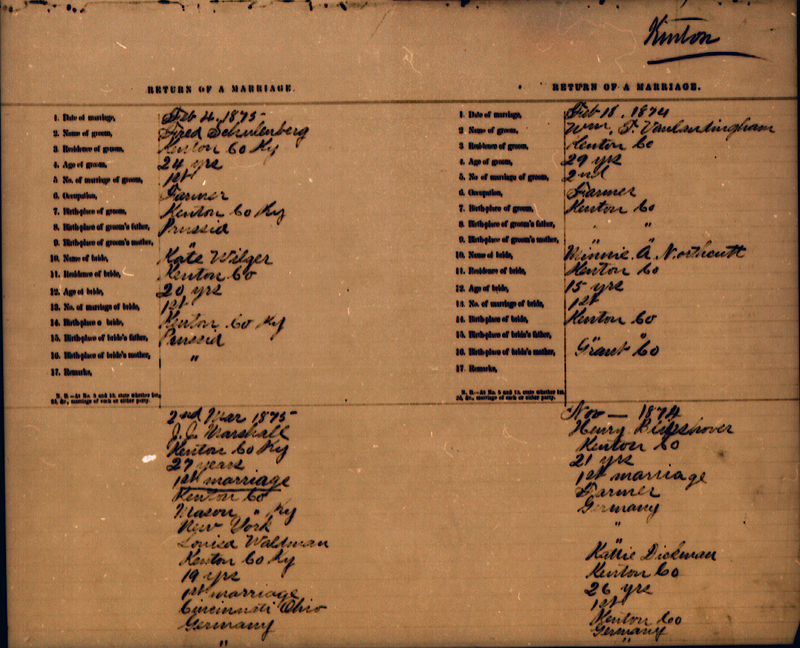 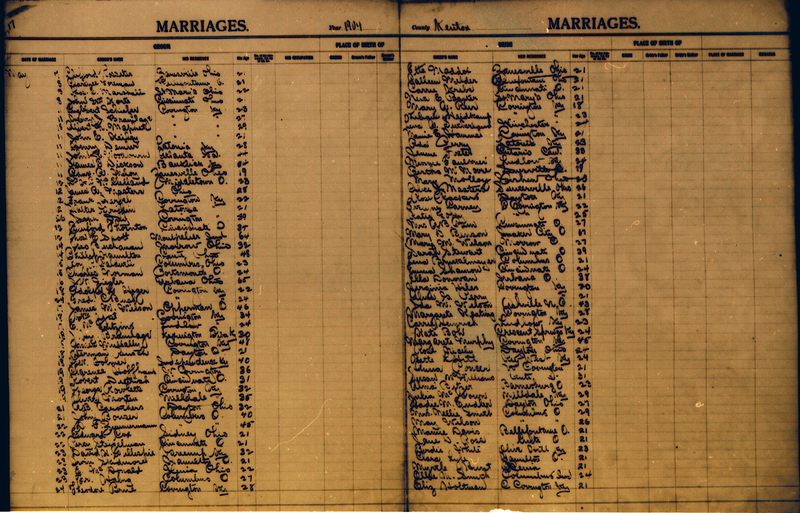 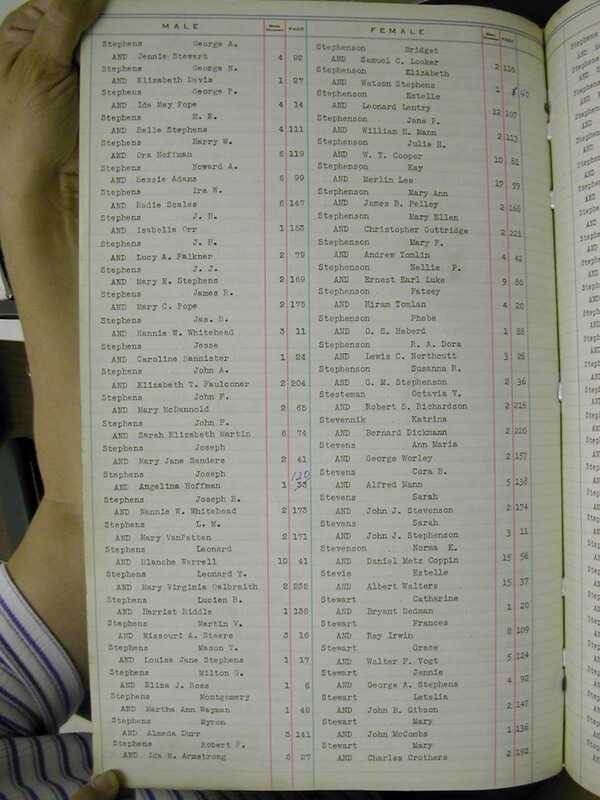 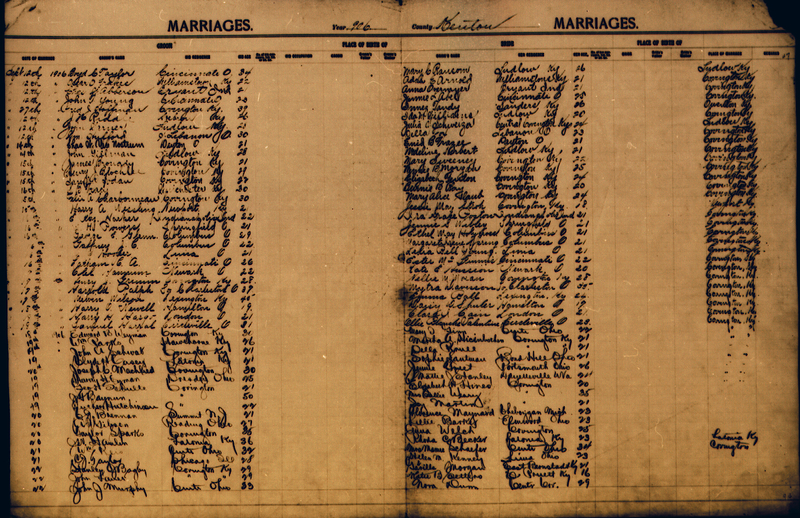 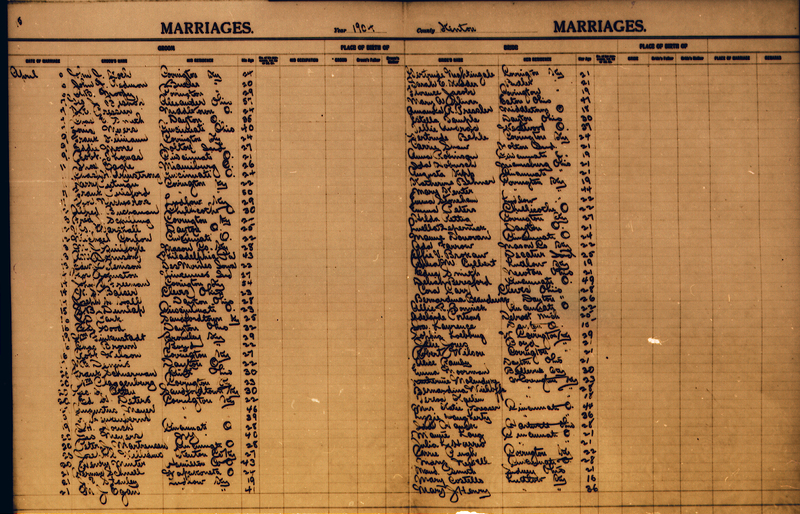 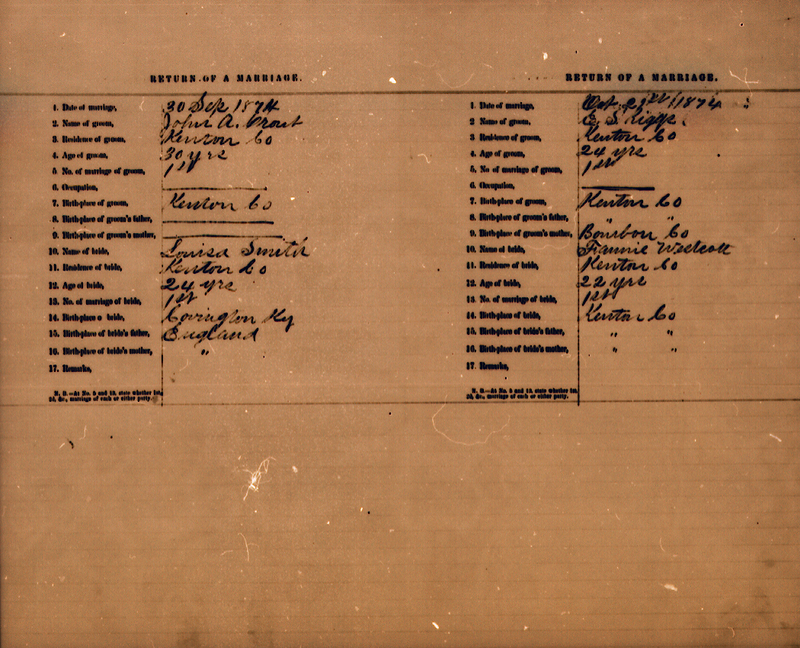 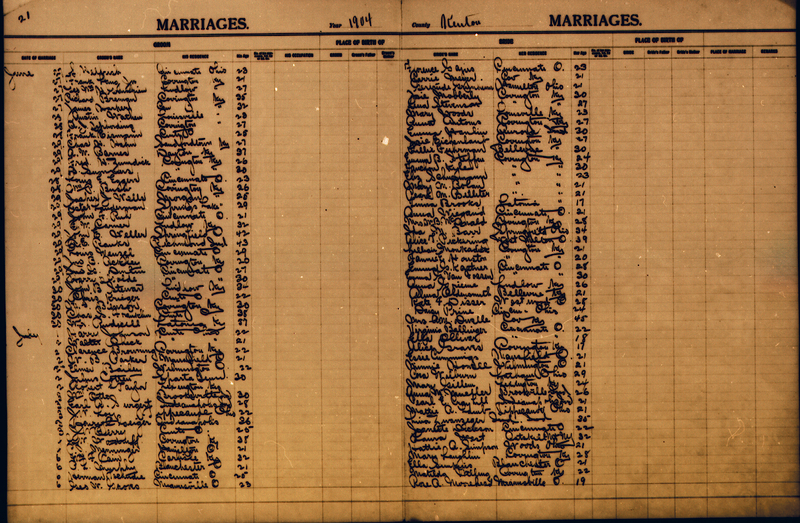 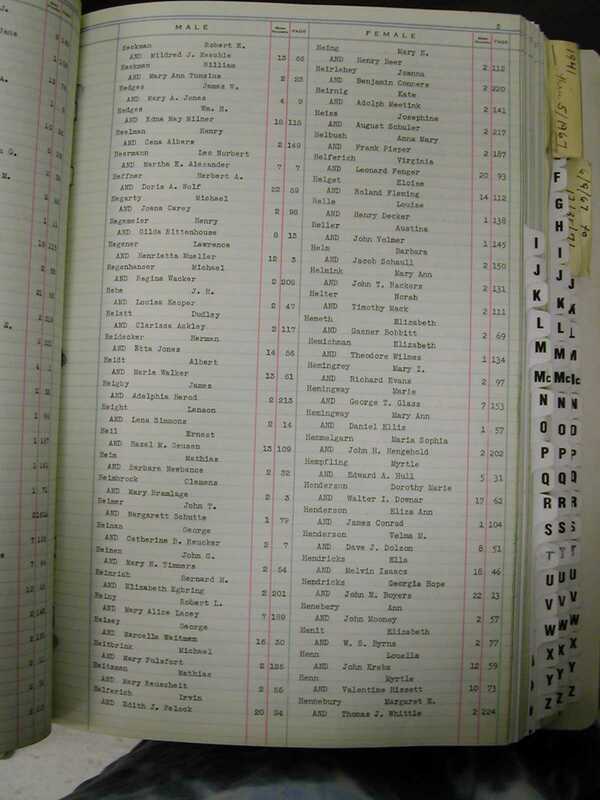 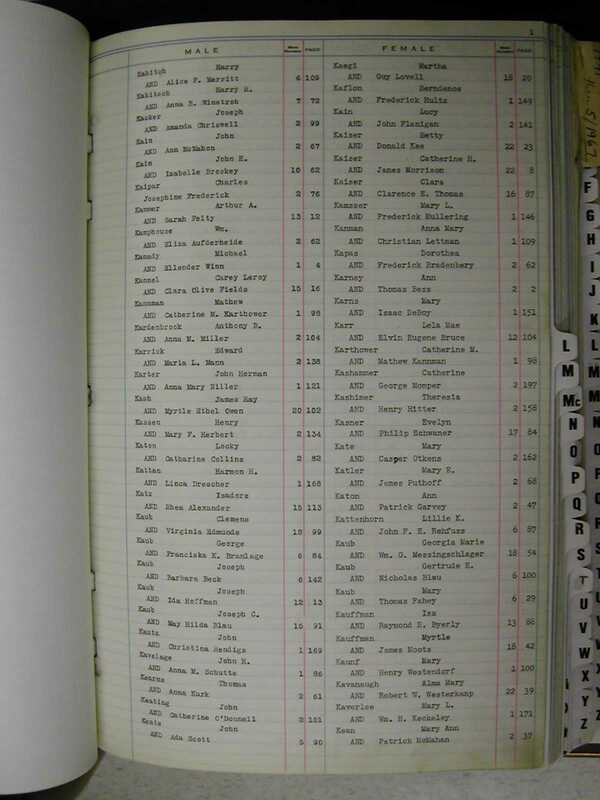 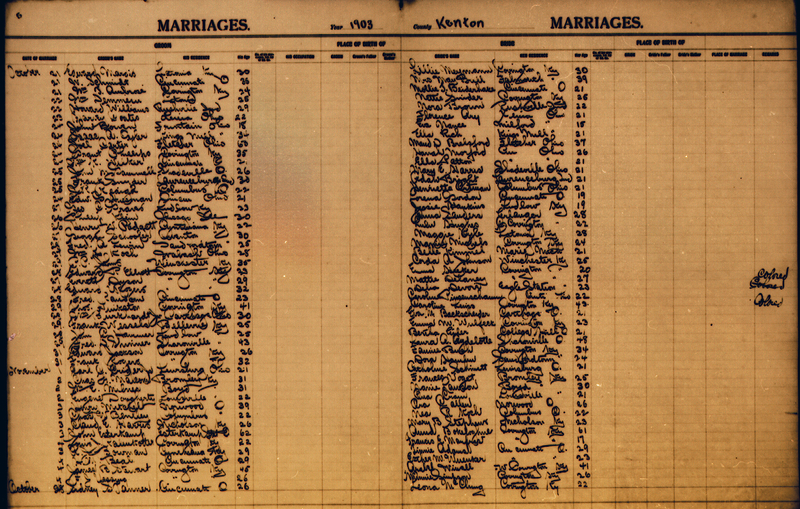 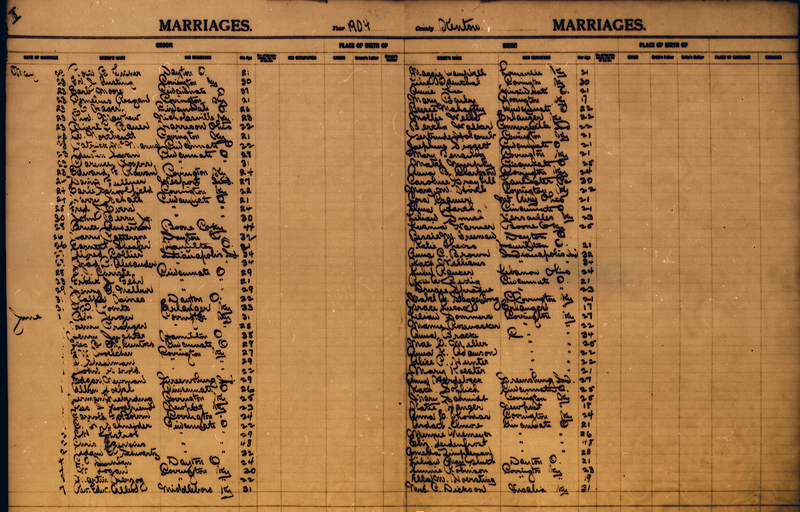 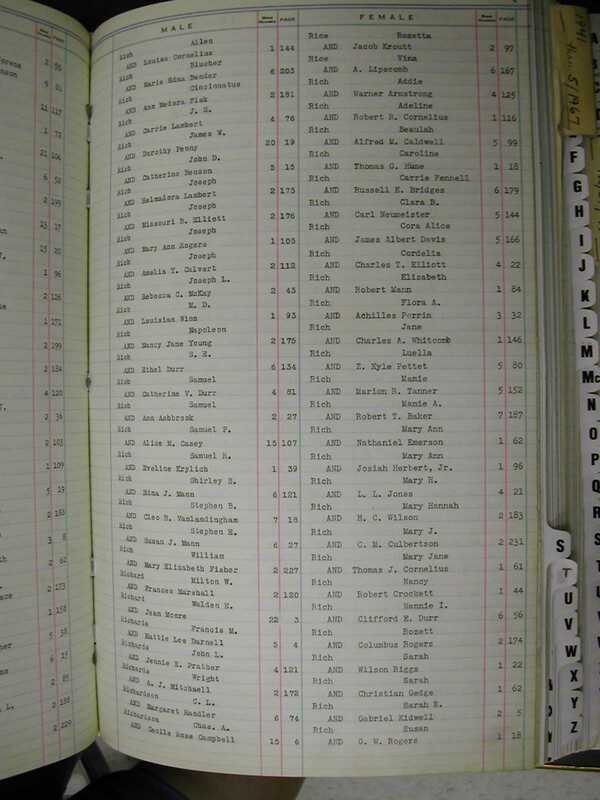 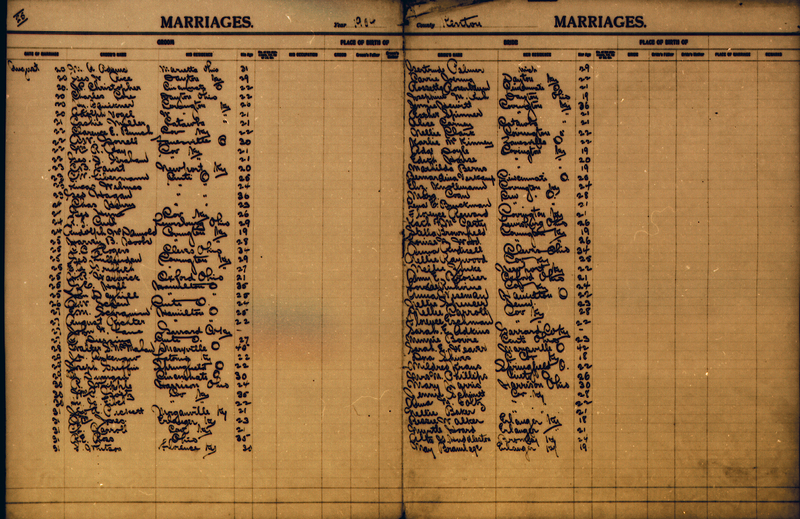 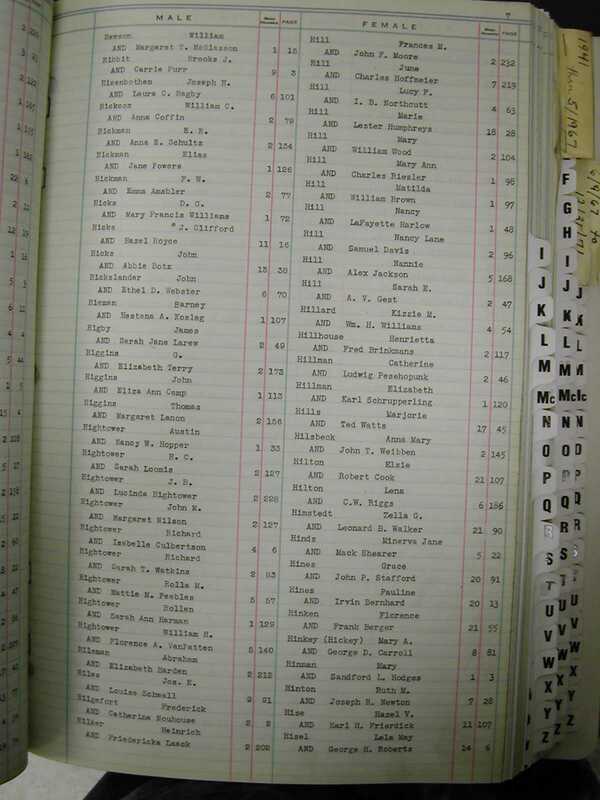 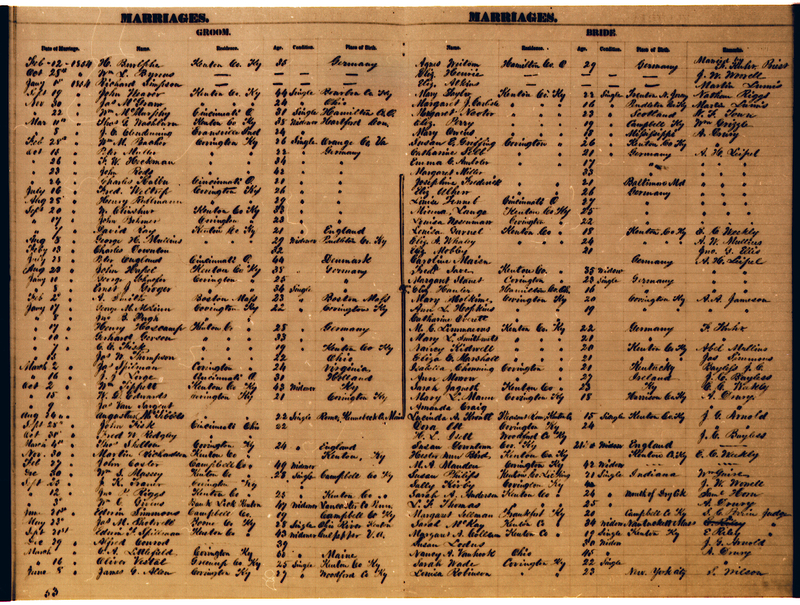 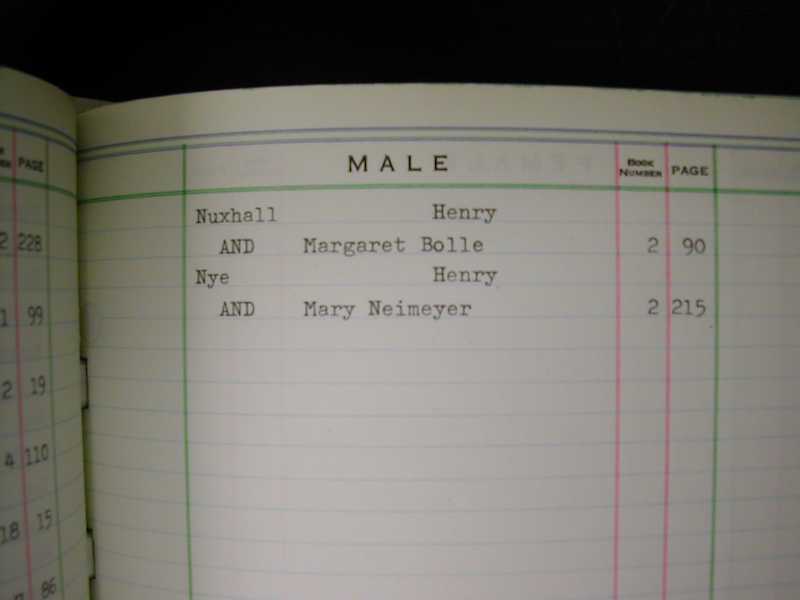 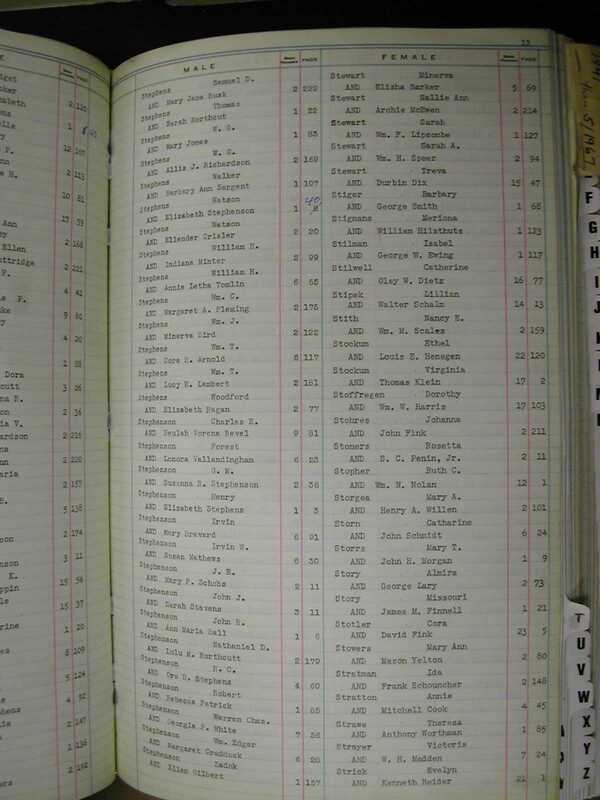 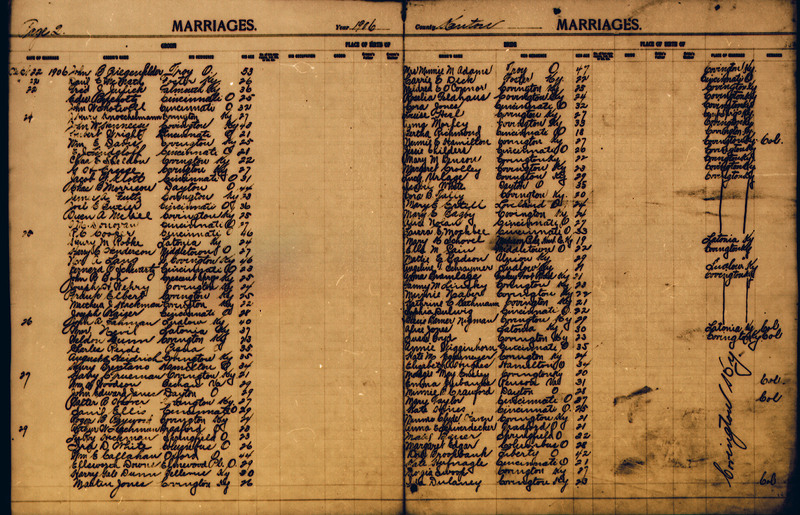 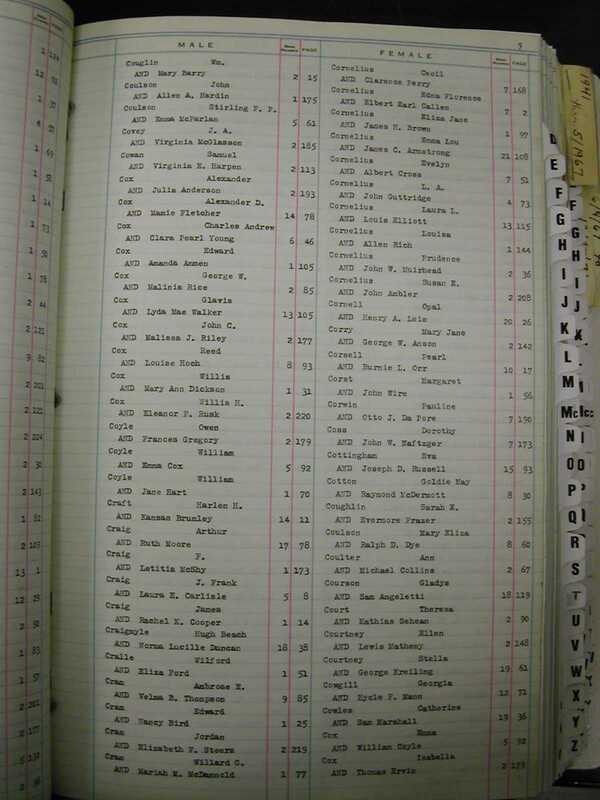 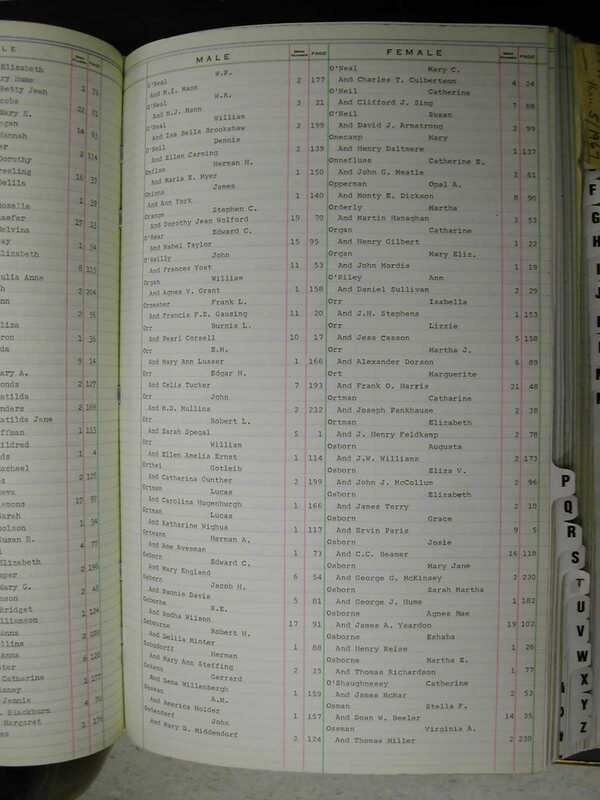 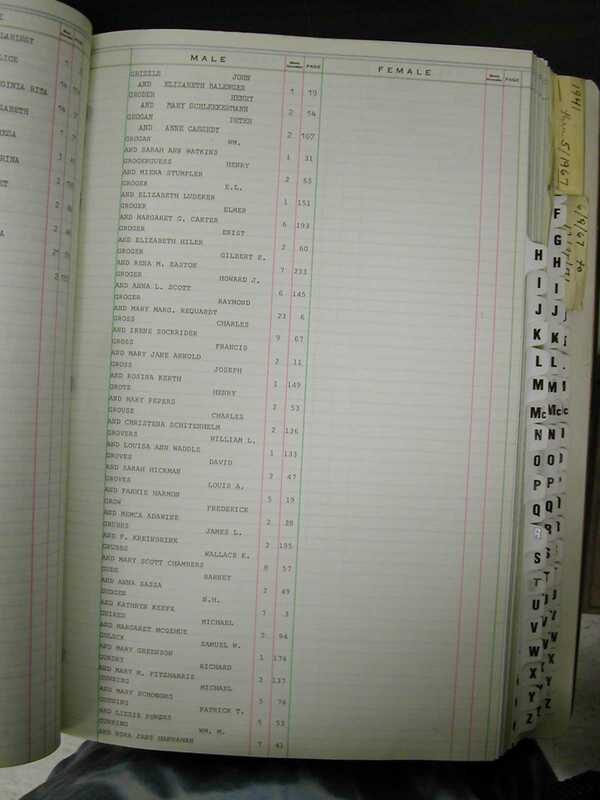 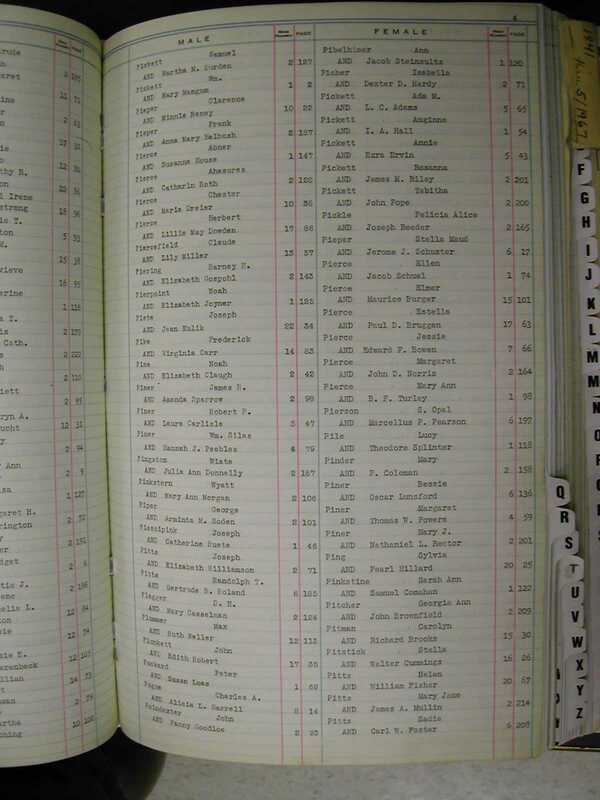 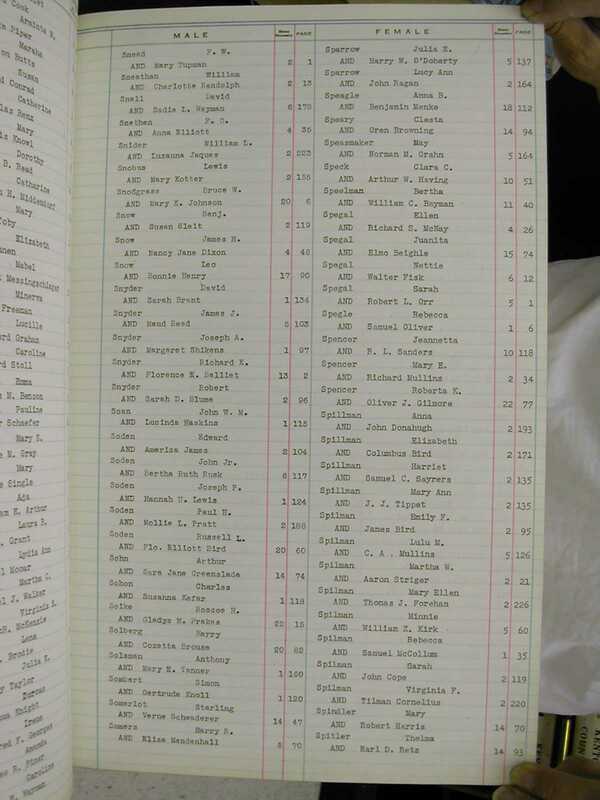 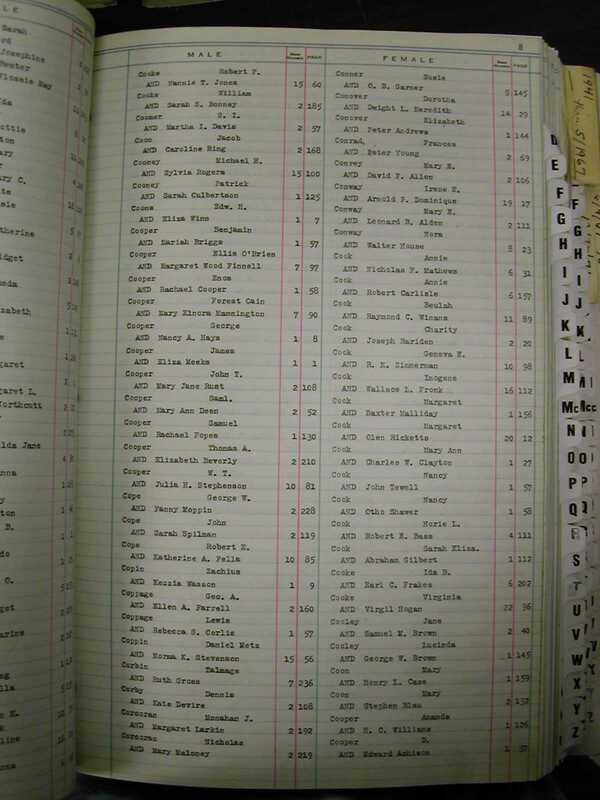 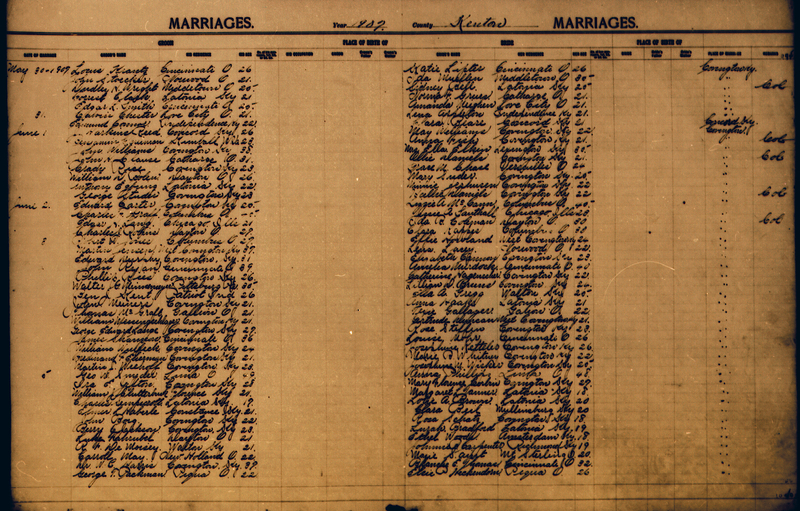 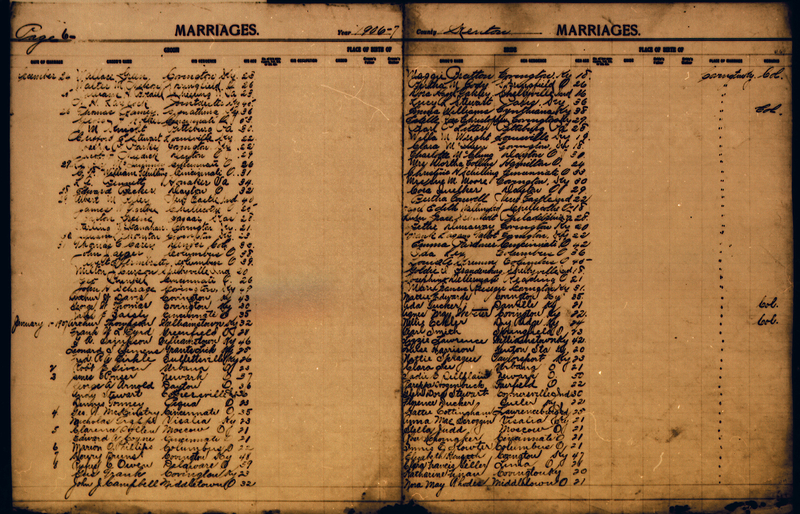 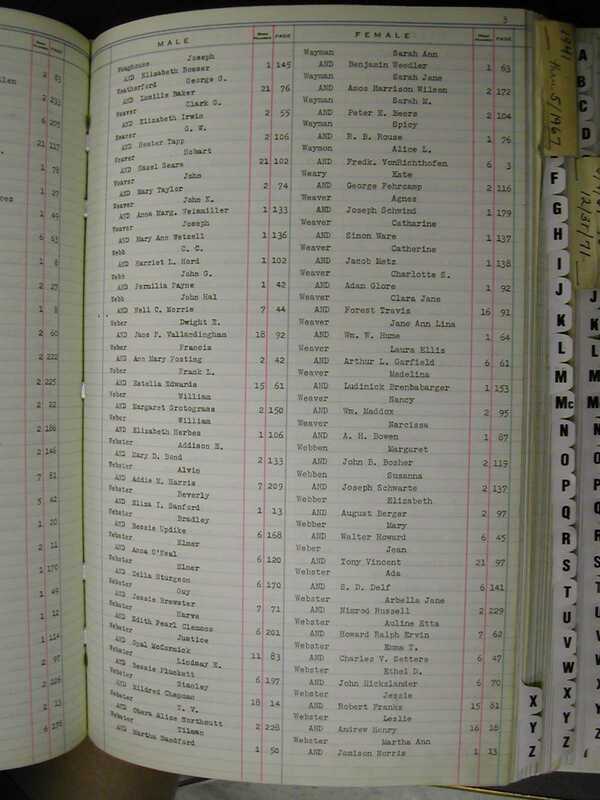 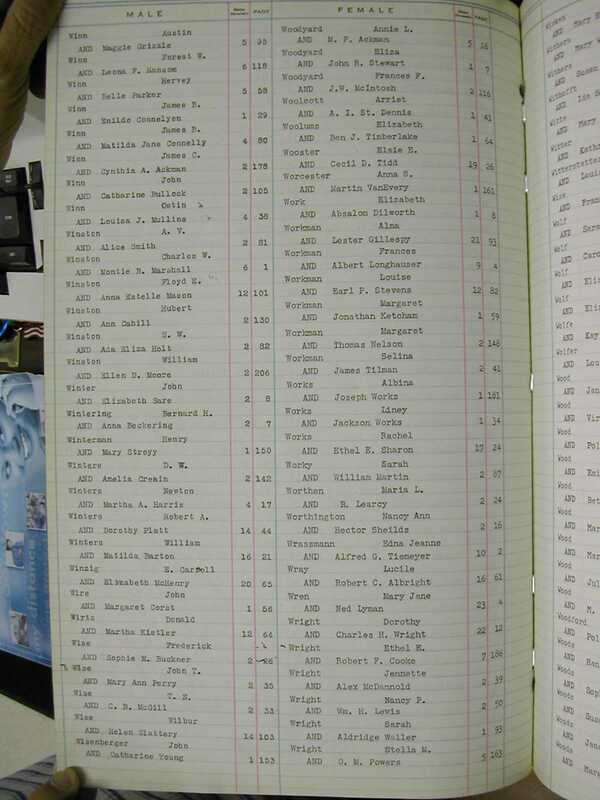 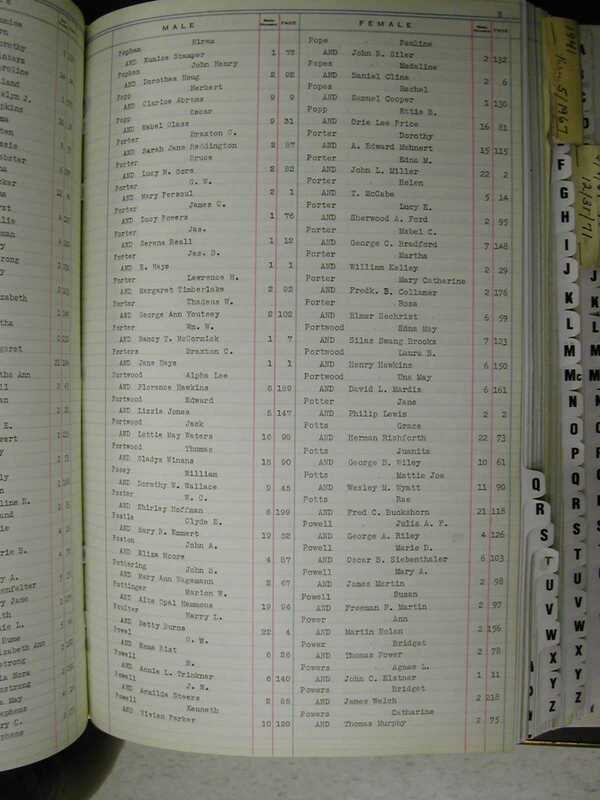 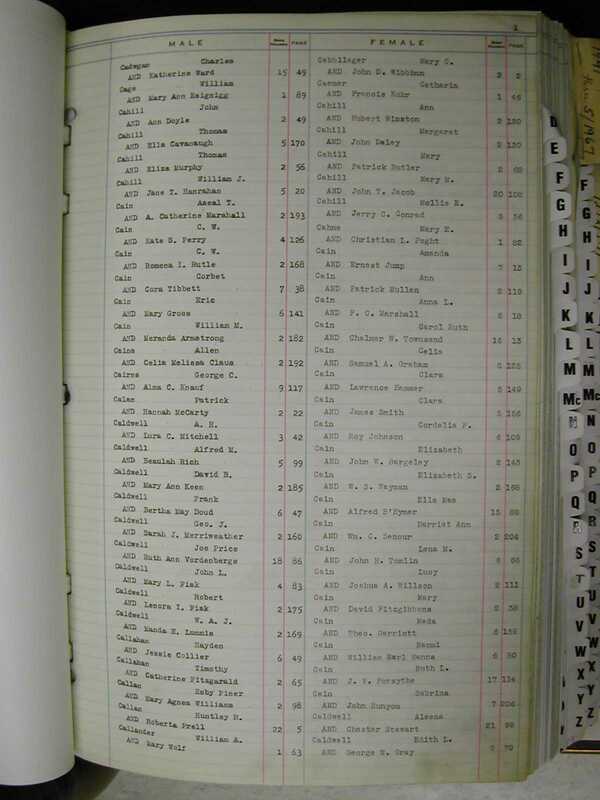 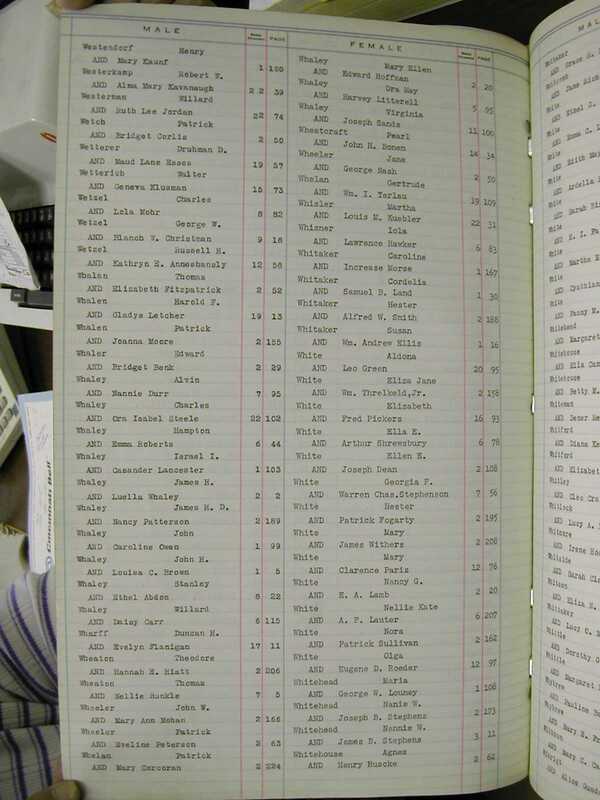 Below you will find the Marriage records on the Kenton site. 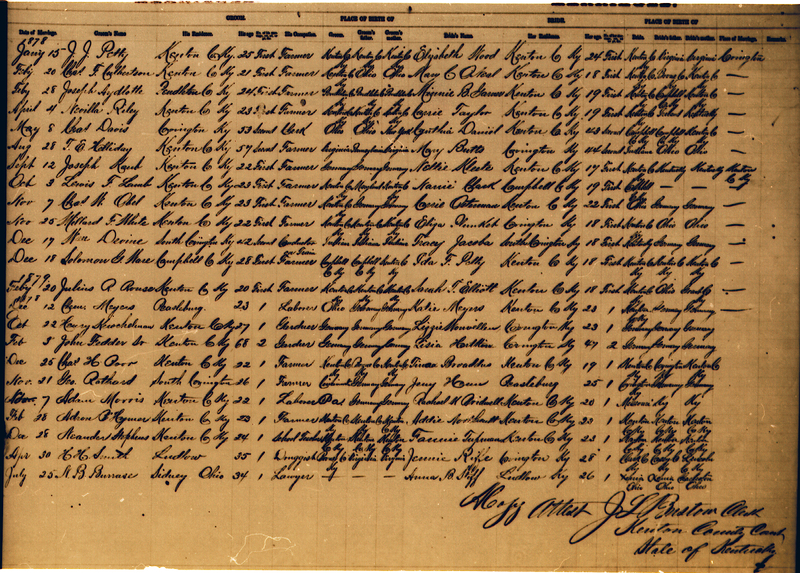 Those that have been transcribed have links to the transcriptions. 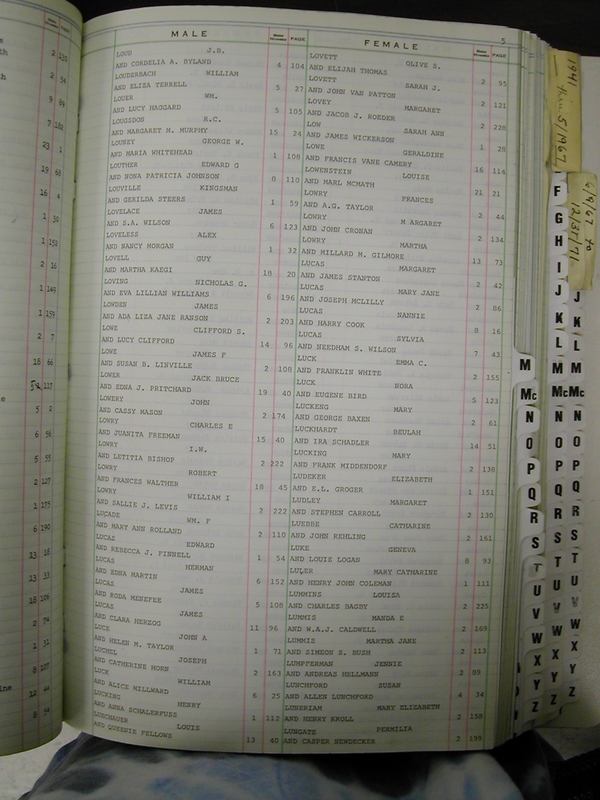 Generally the transcriptions contain only the names and date. 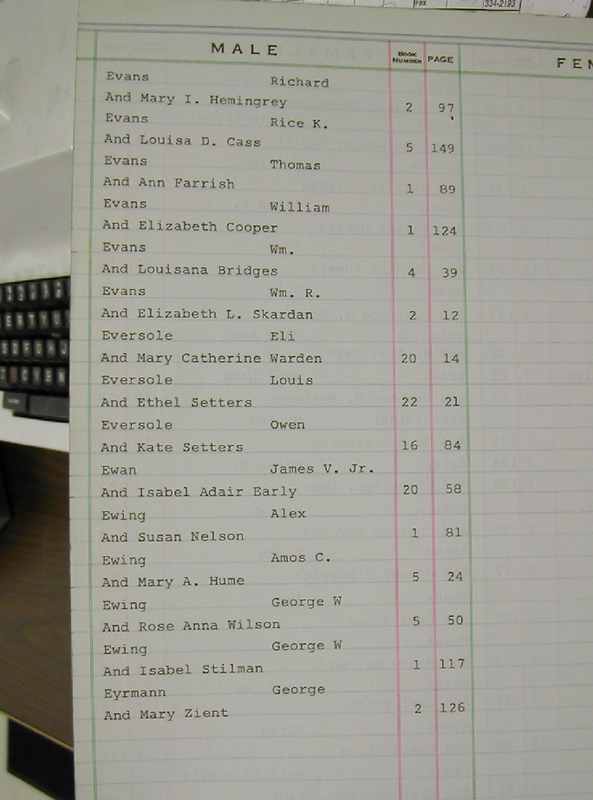 The image files contain more data such as birthplace etc. 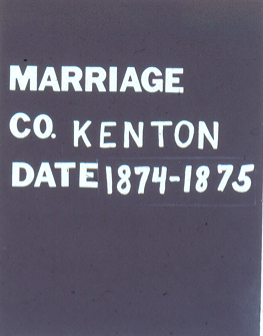 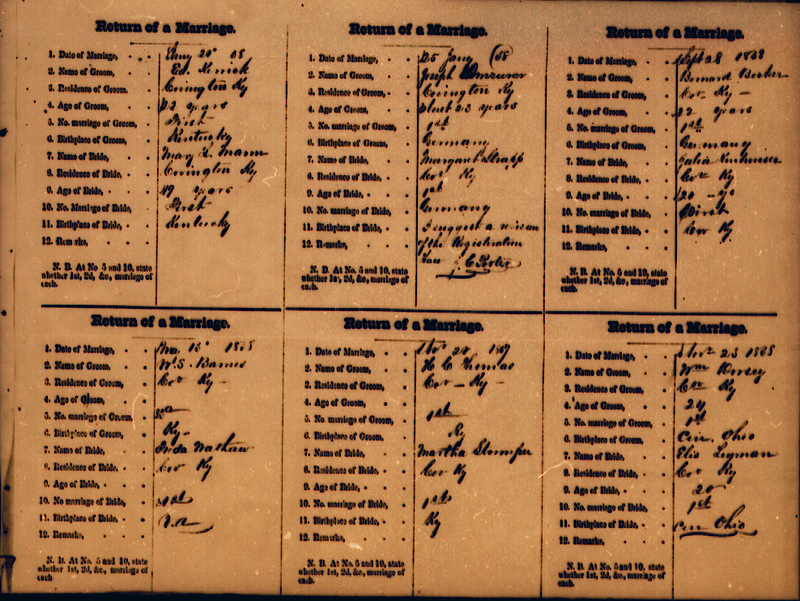 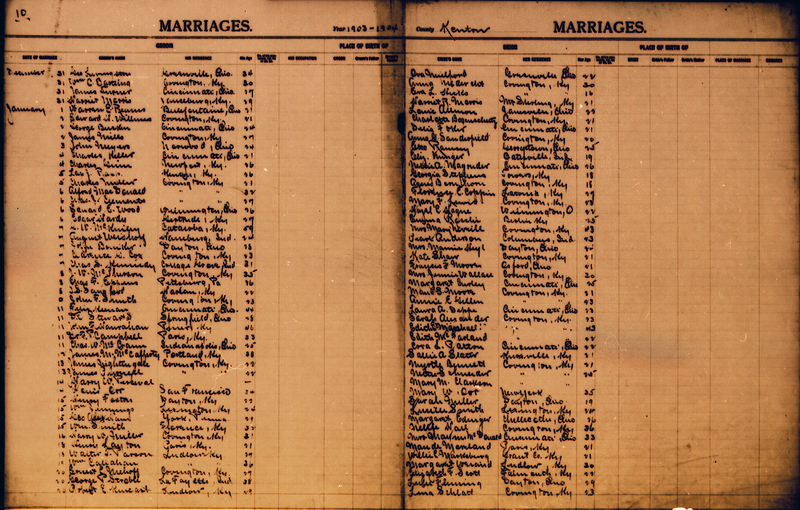 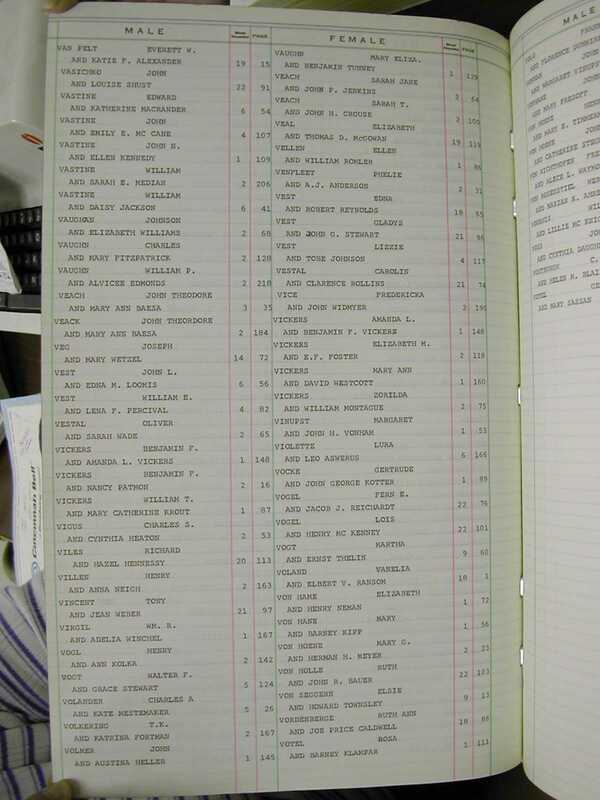 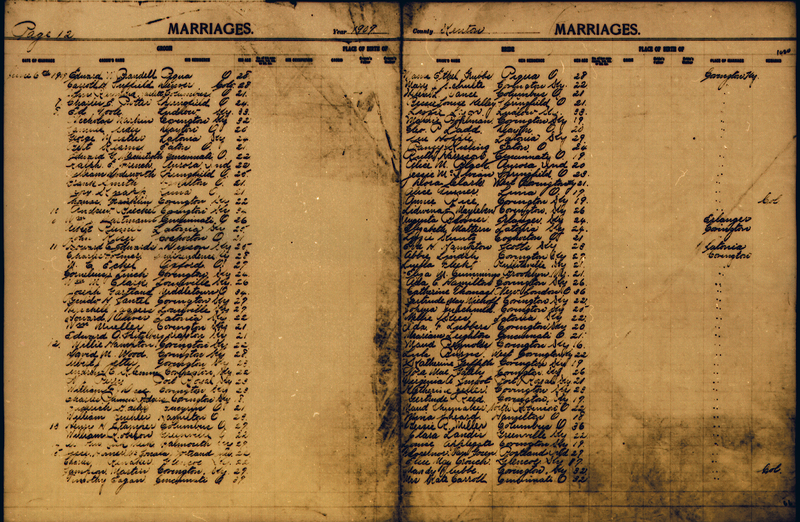 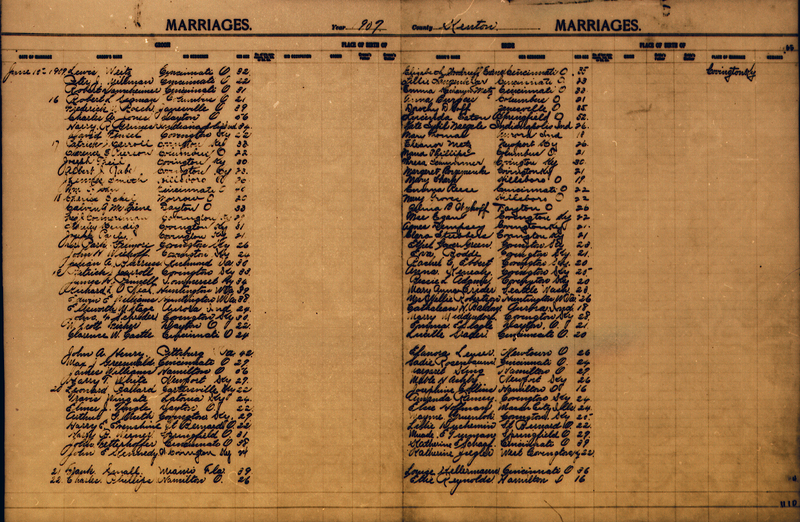 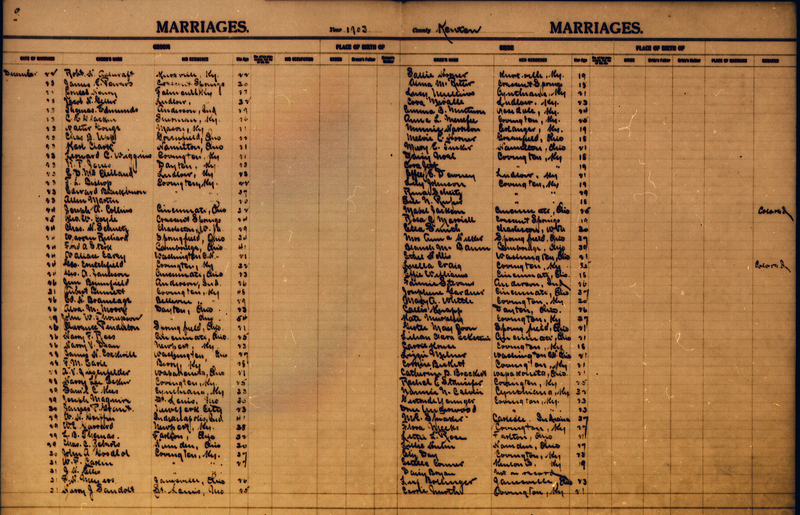 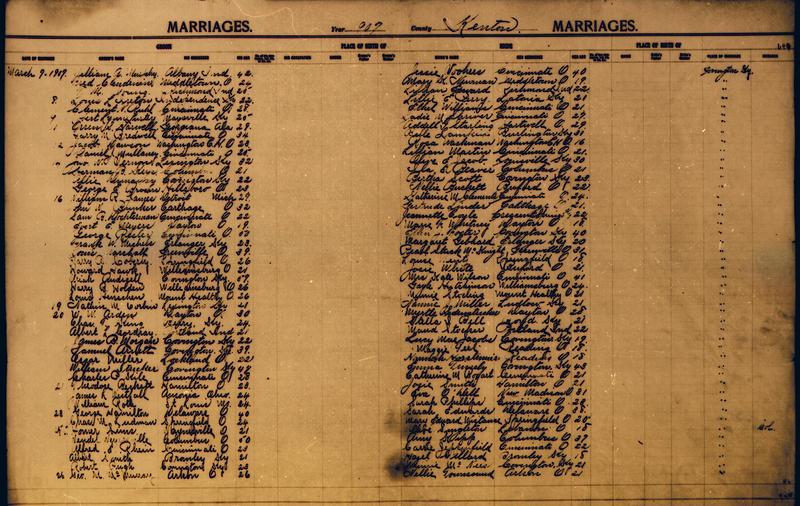 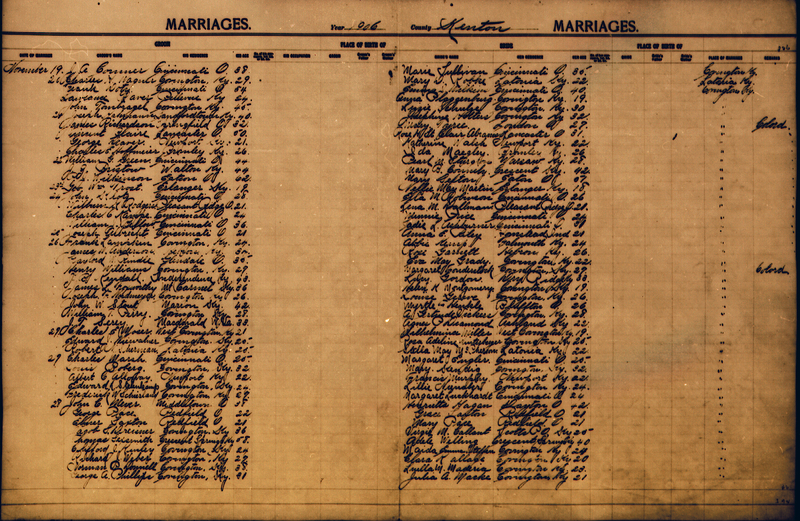 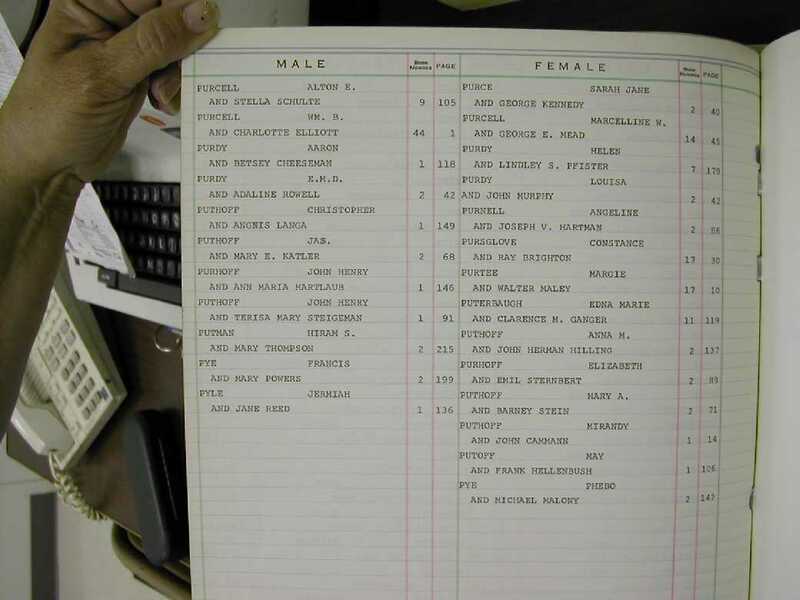 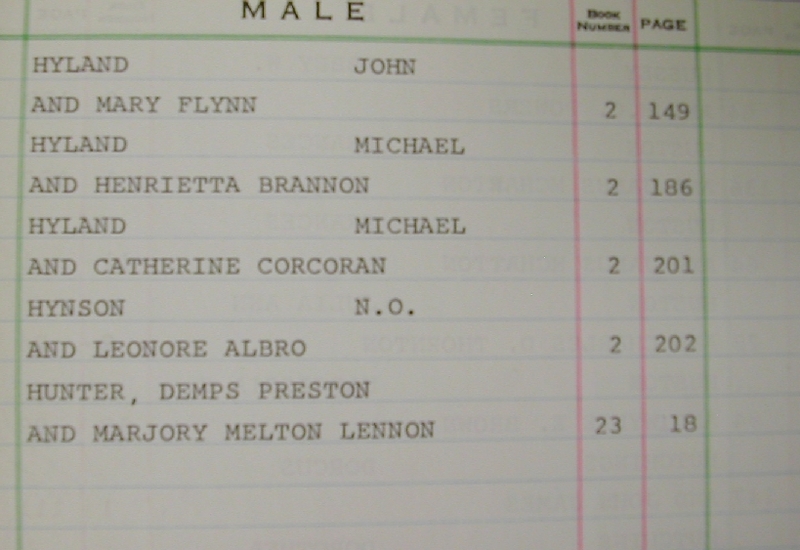 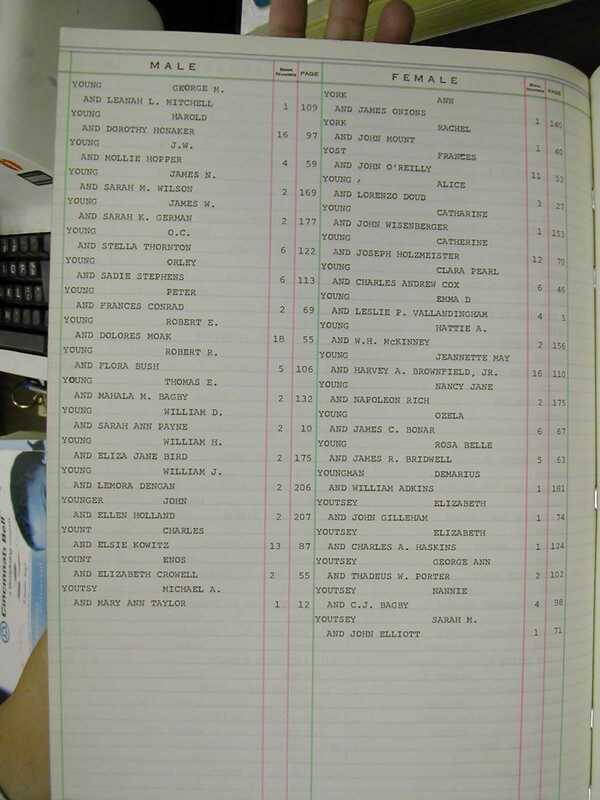 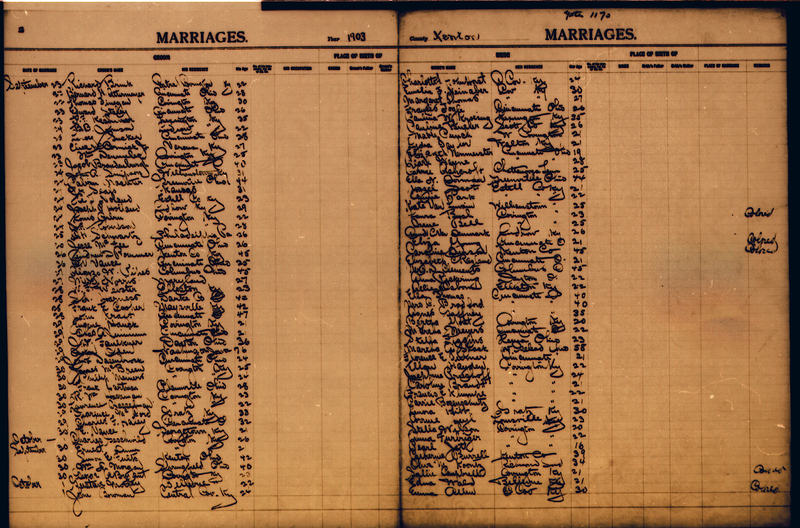 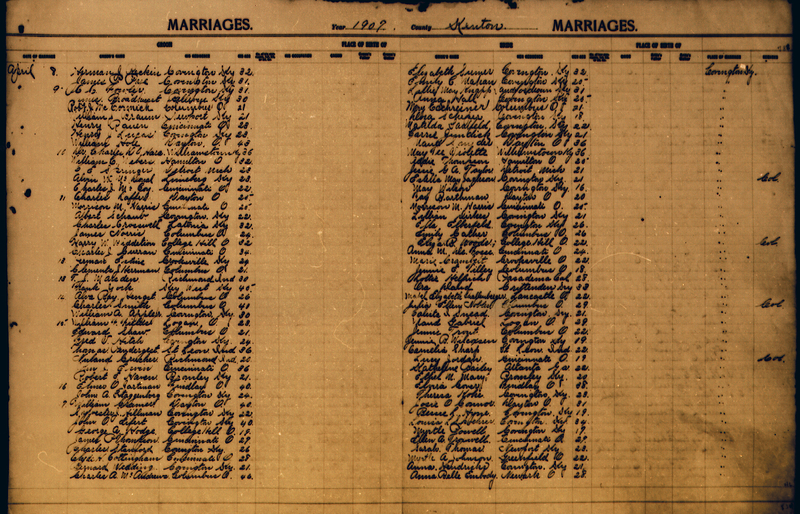 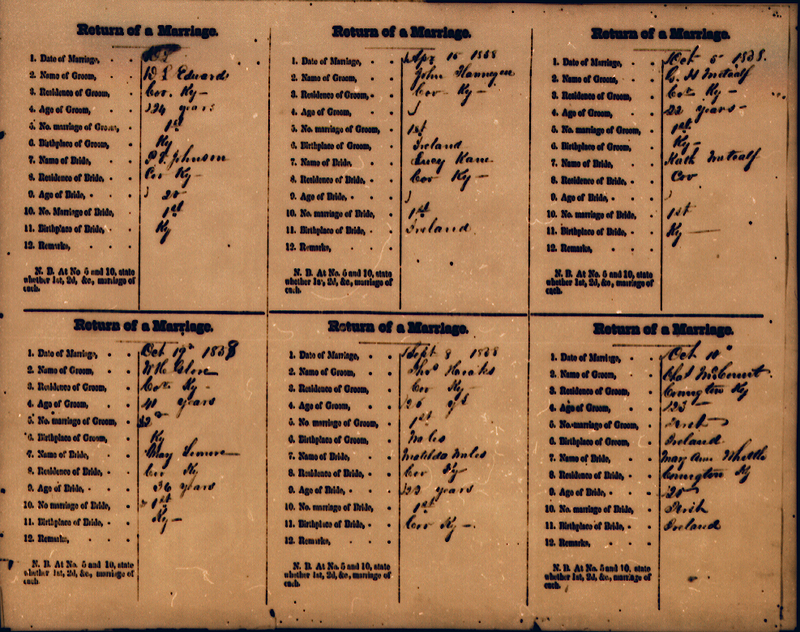 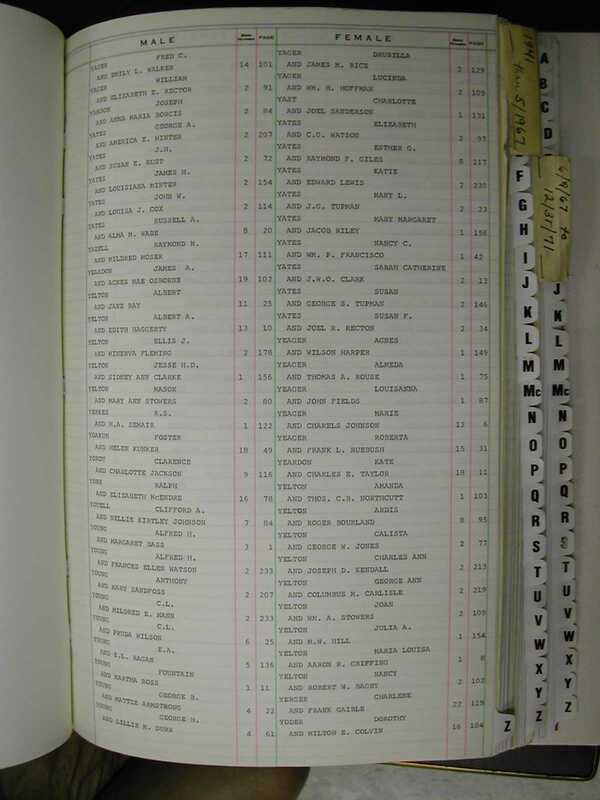 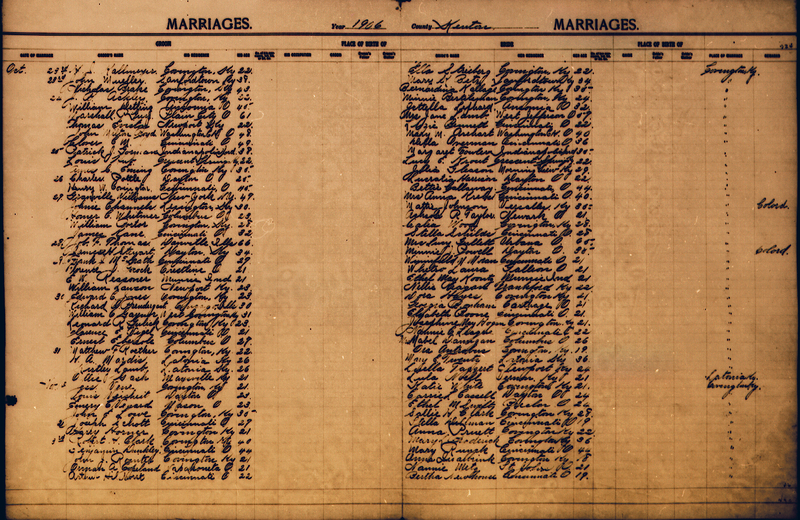 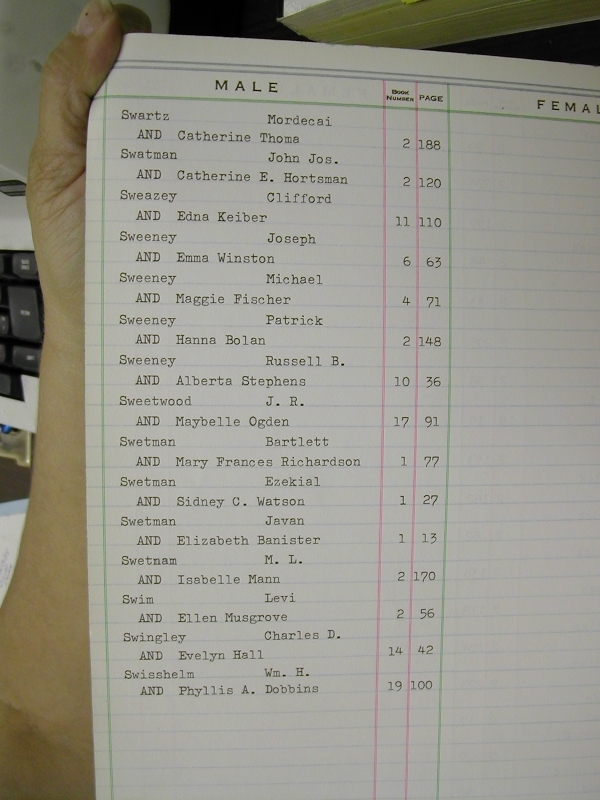 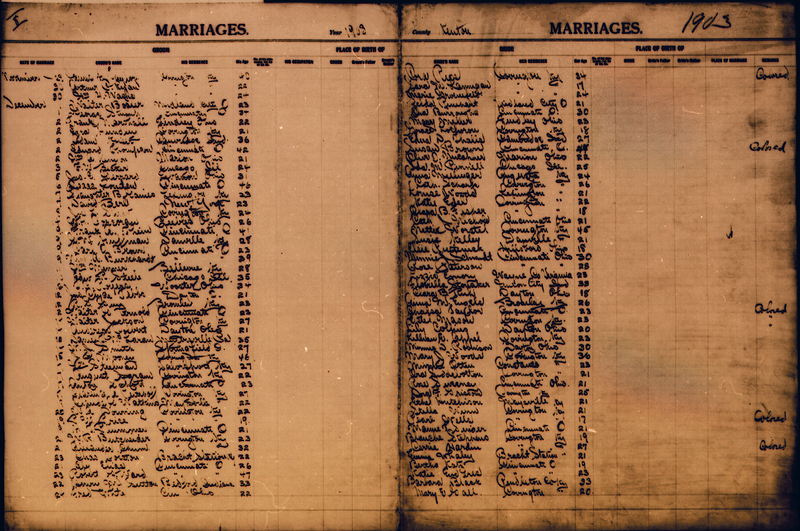 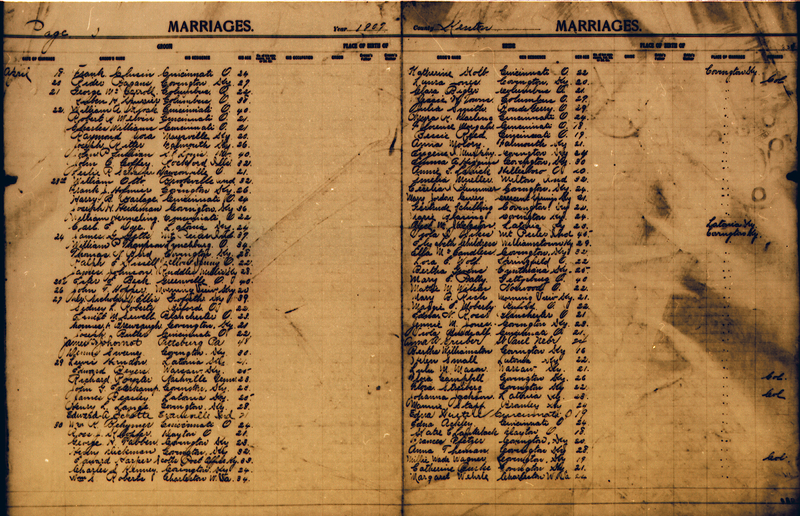 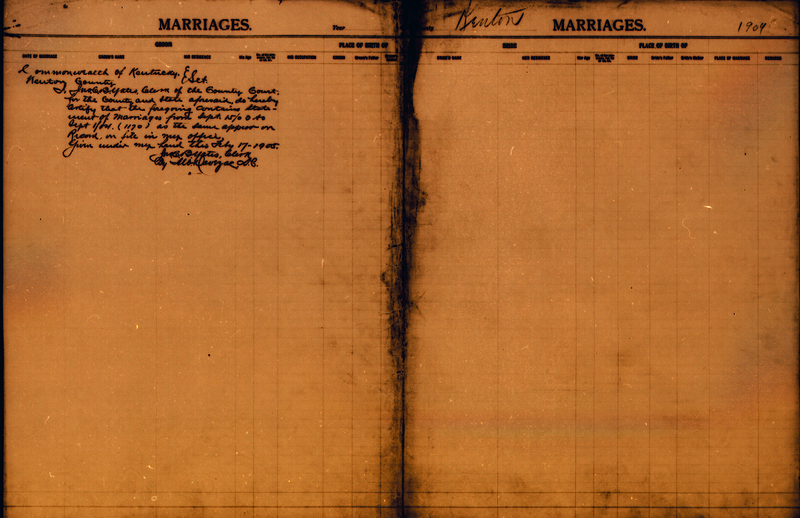 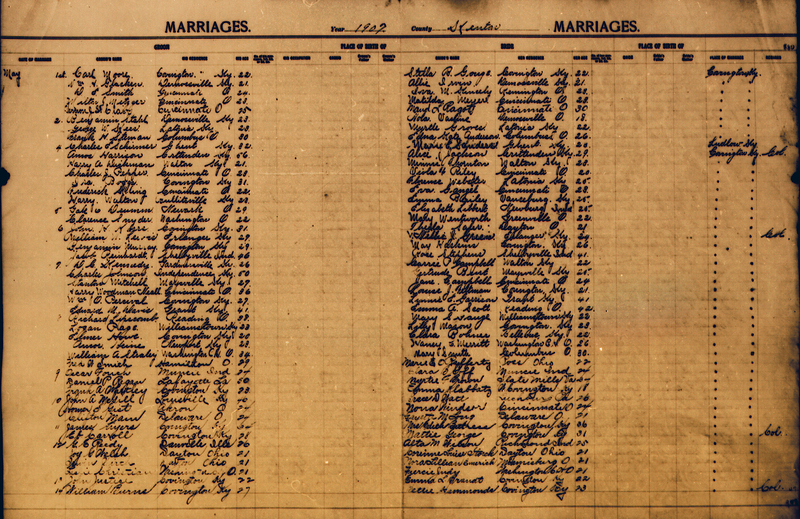 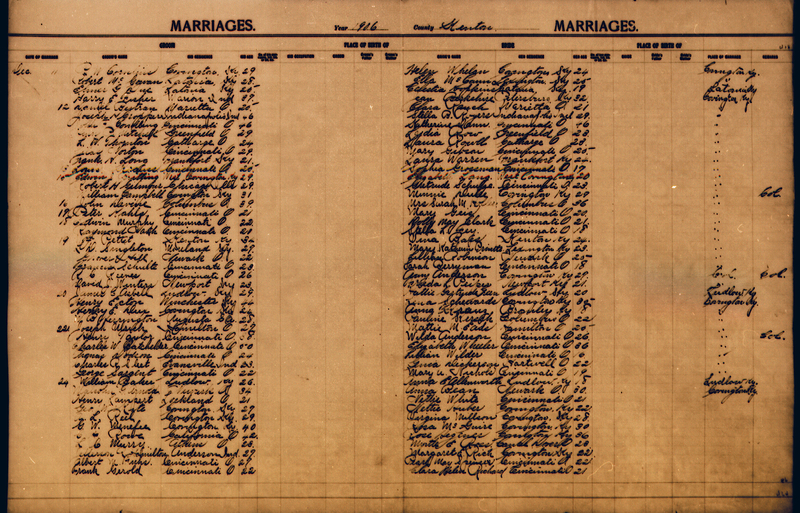 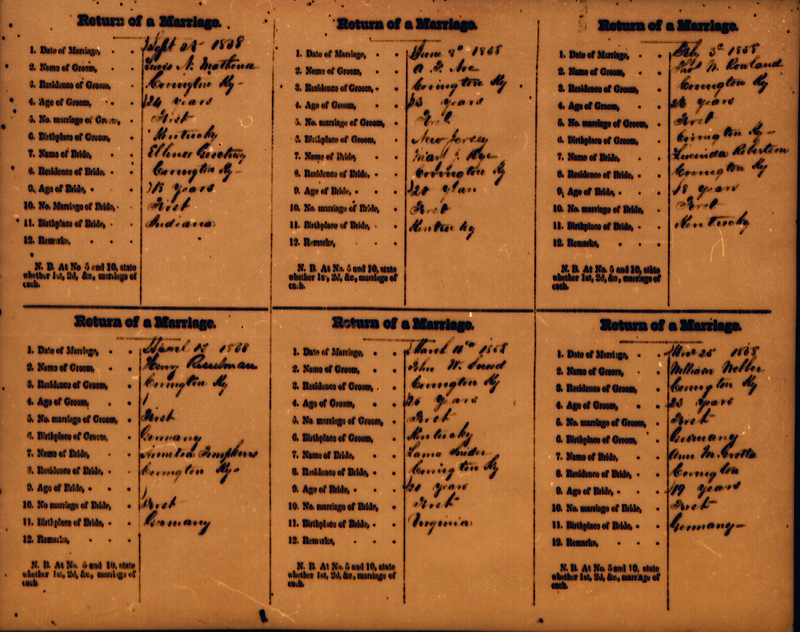 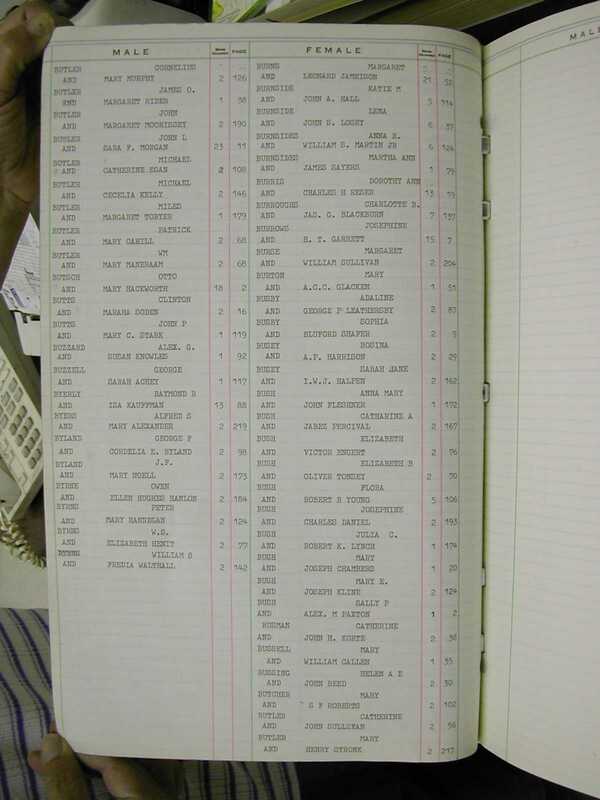 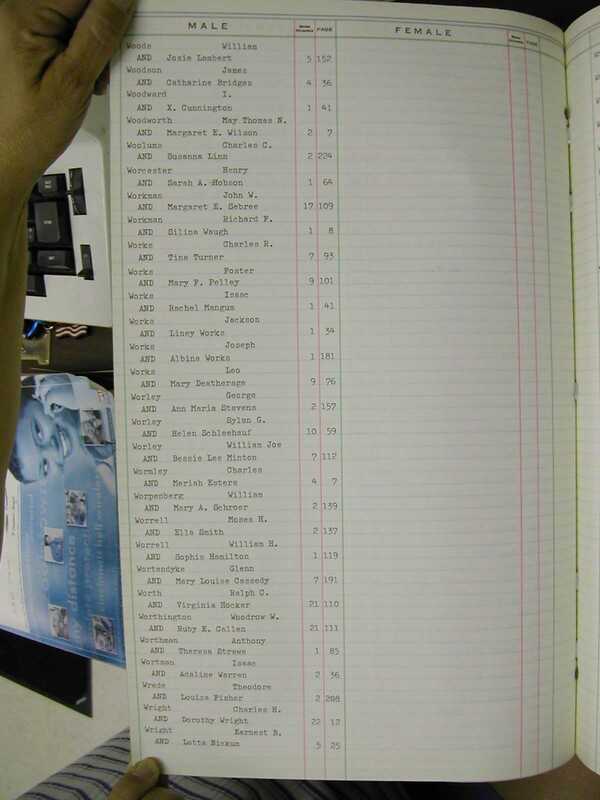 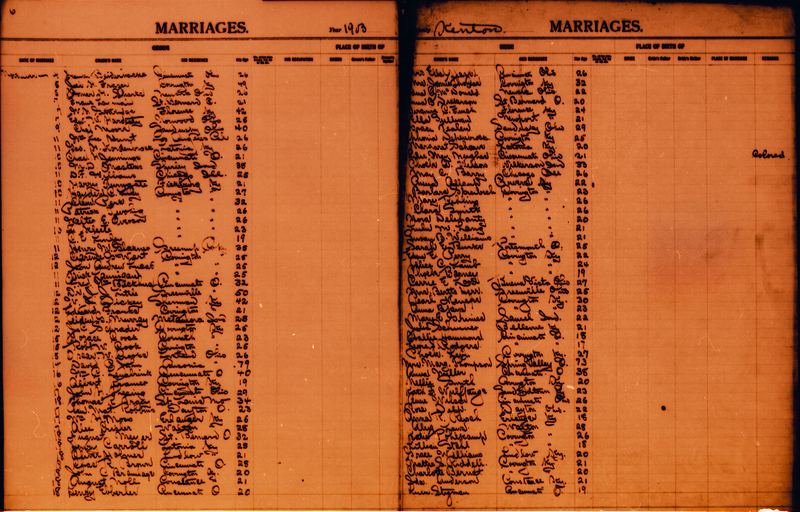 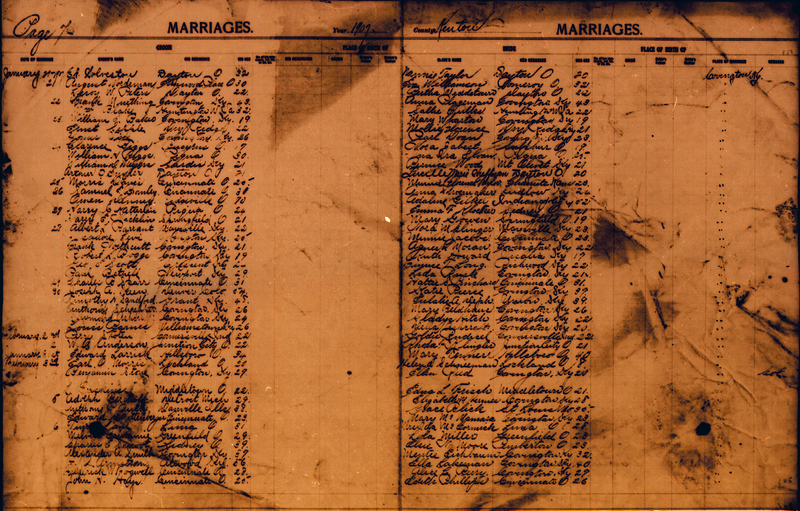 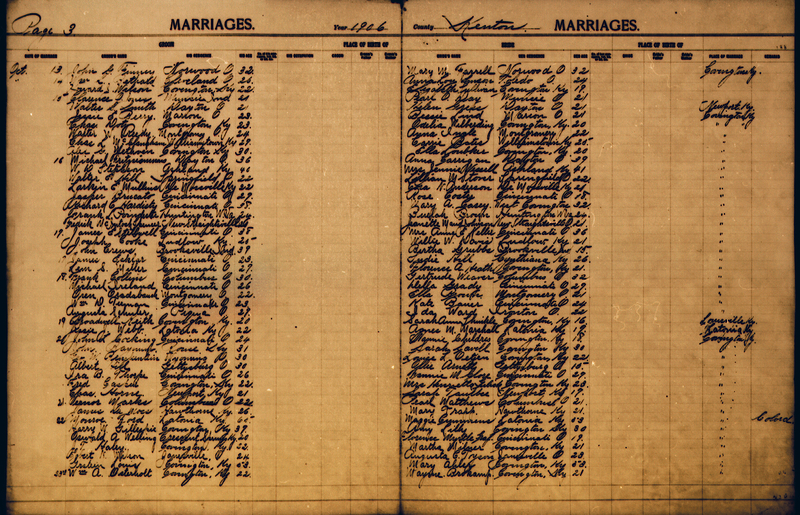 Note: The image files of the microfilm listed below MAY NOT be the complete marriage records for the years listed. 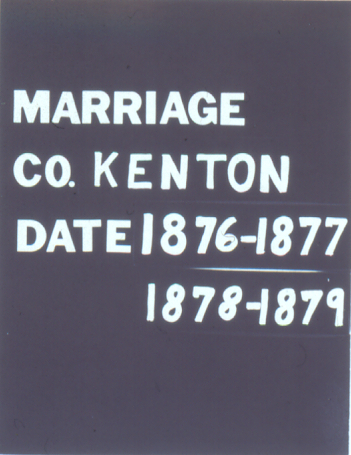 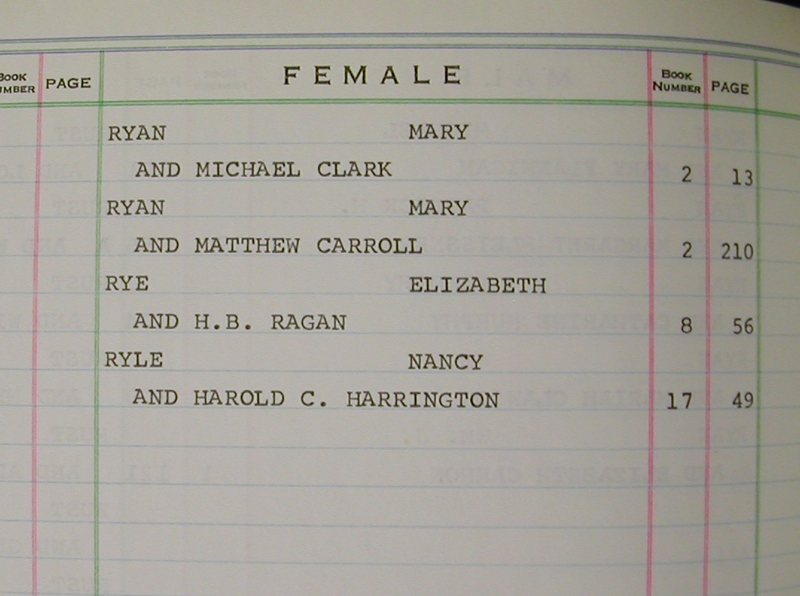 If the marriage is in Books 1-8, they have been archived in Frankfort (up to 1926). 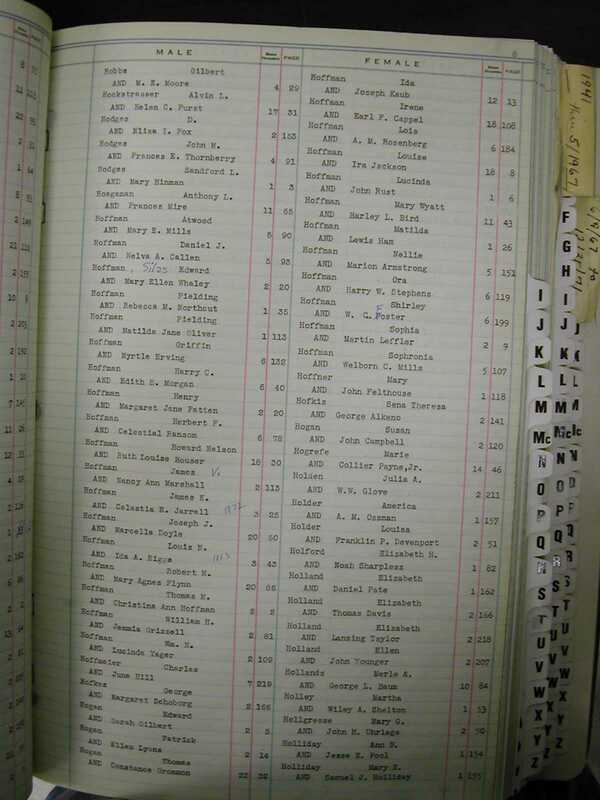 Walt Bowman or Jim Pritchard are the contacts. 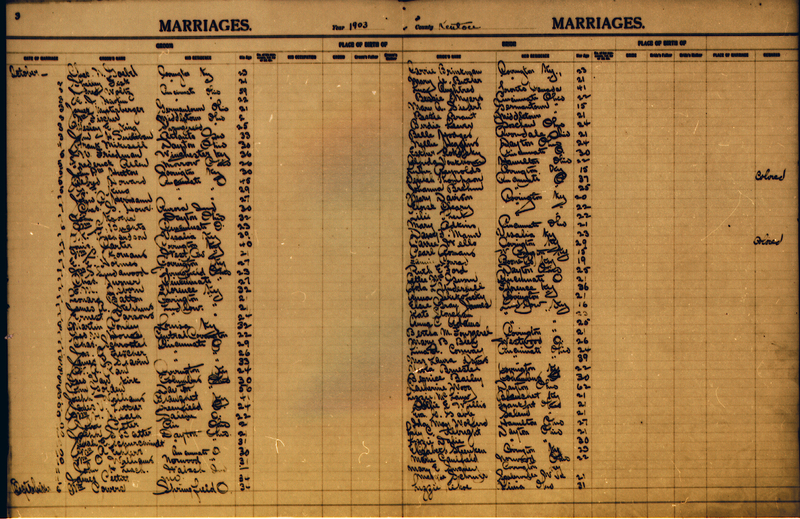 Include Bride and Groom's first and last names, the book and page number or the date of the marriage. 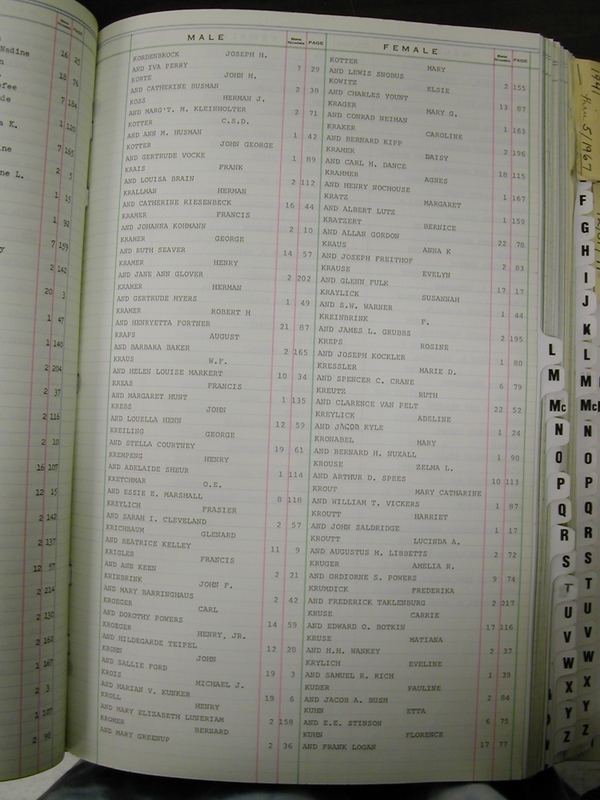 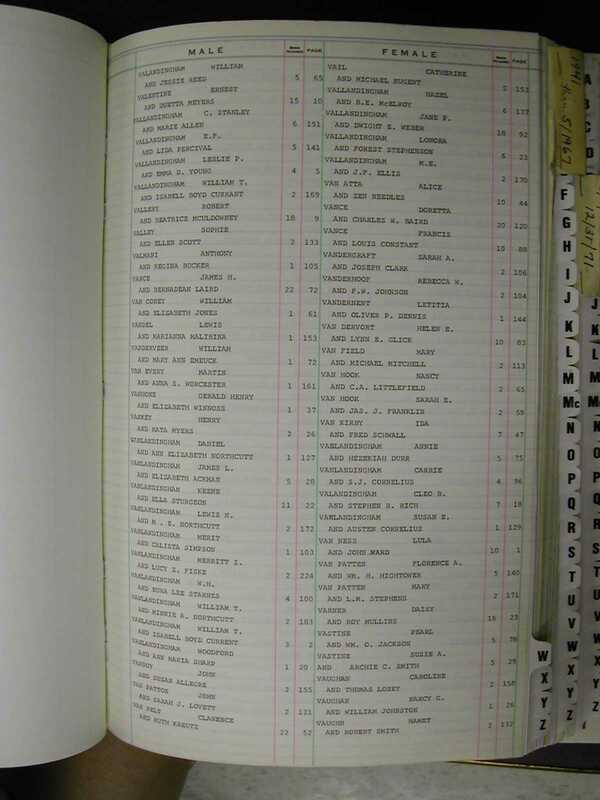 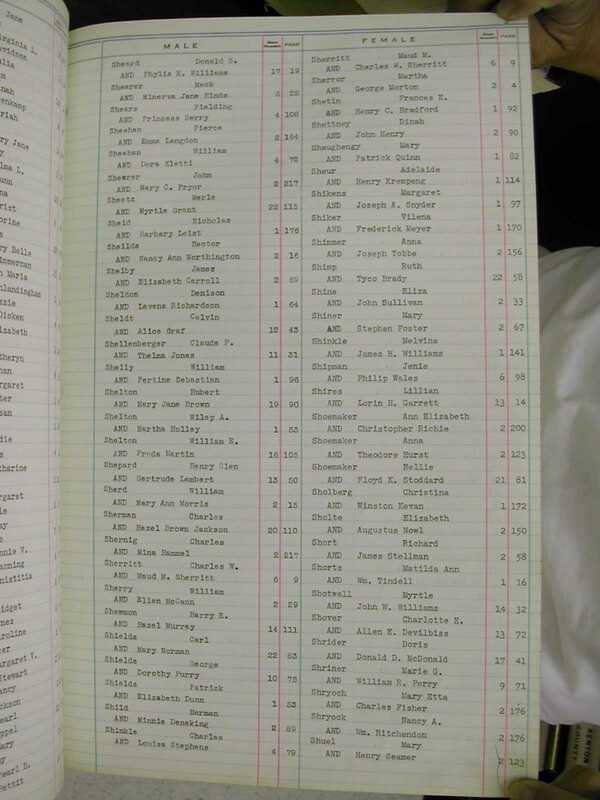 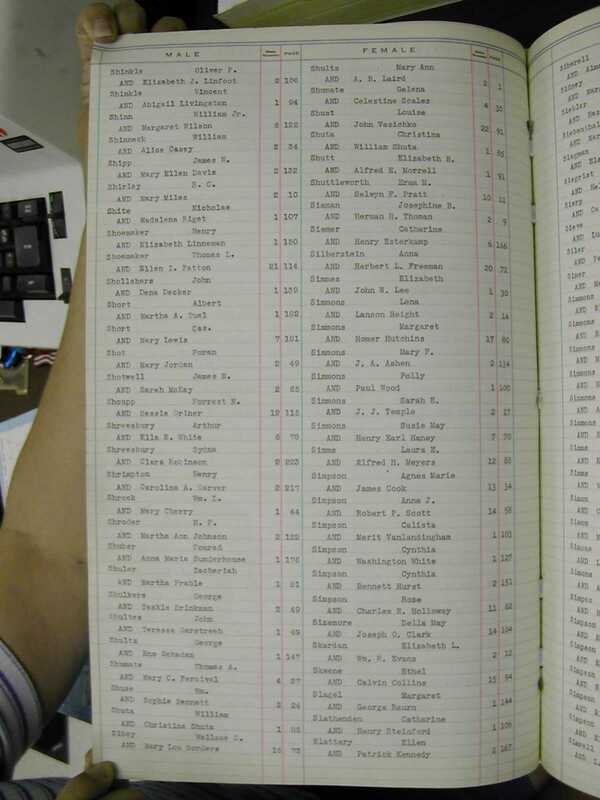 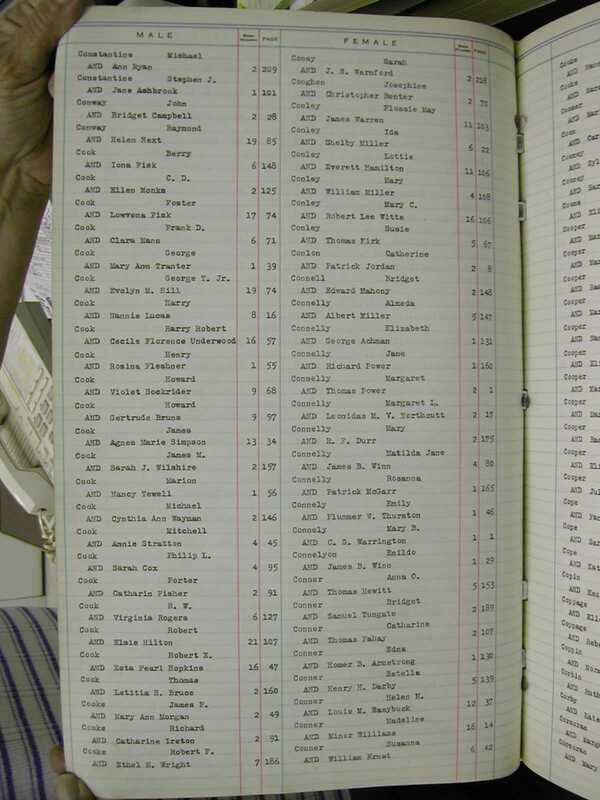 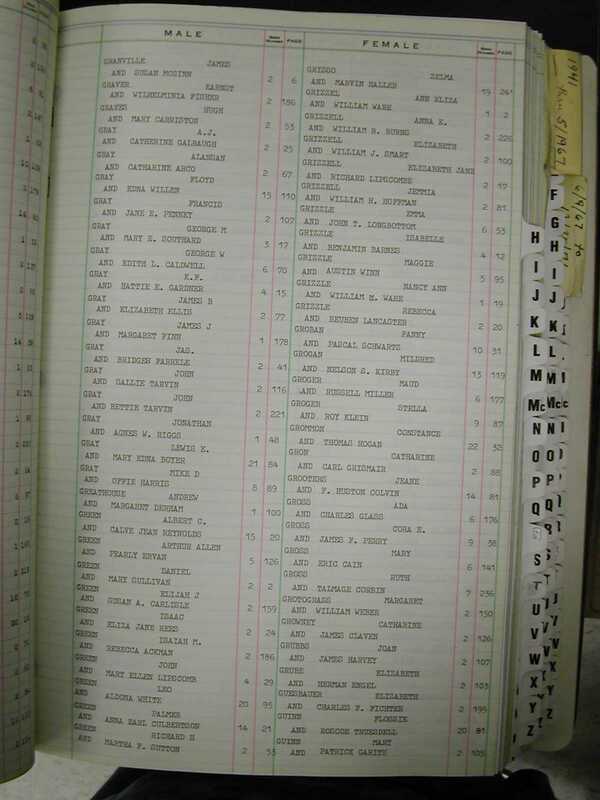 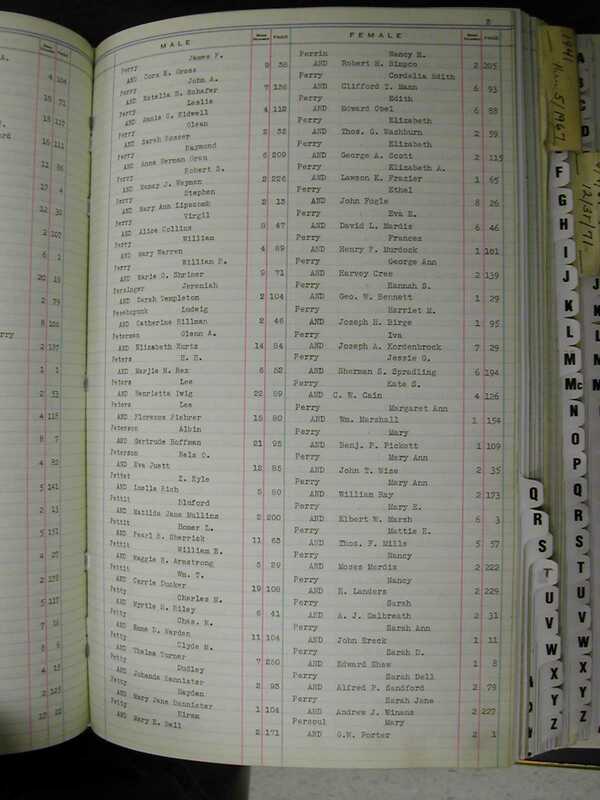 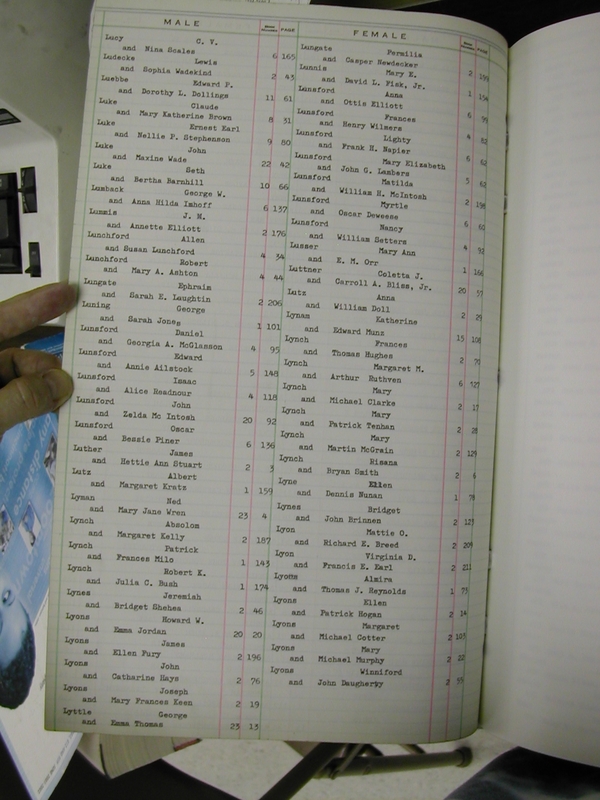 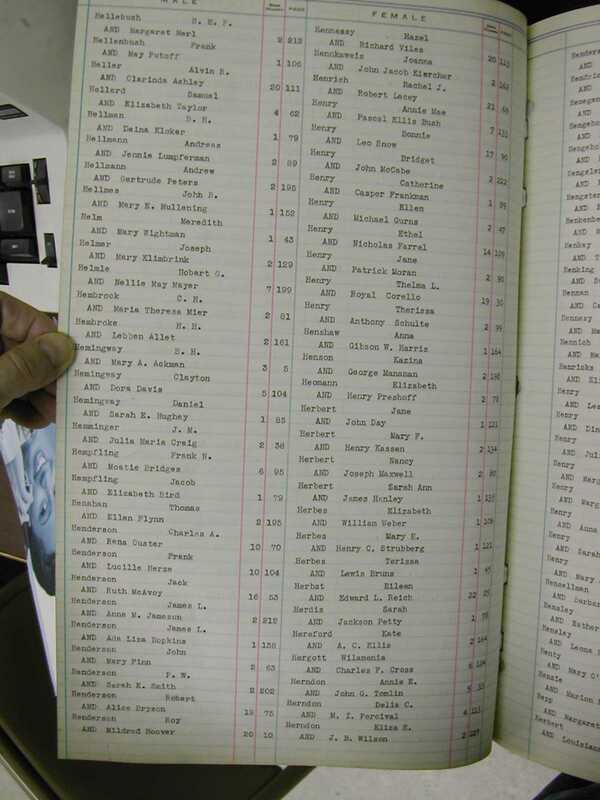 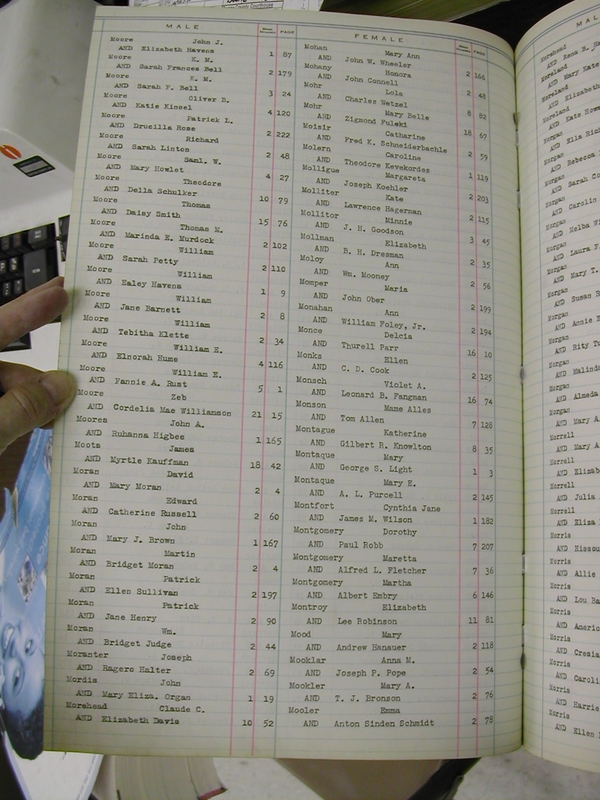 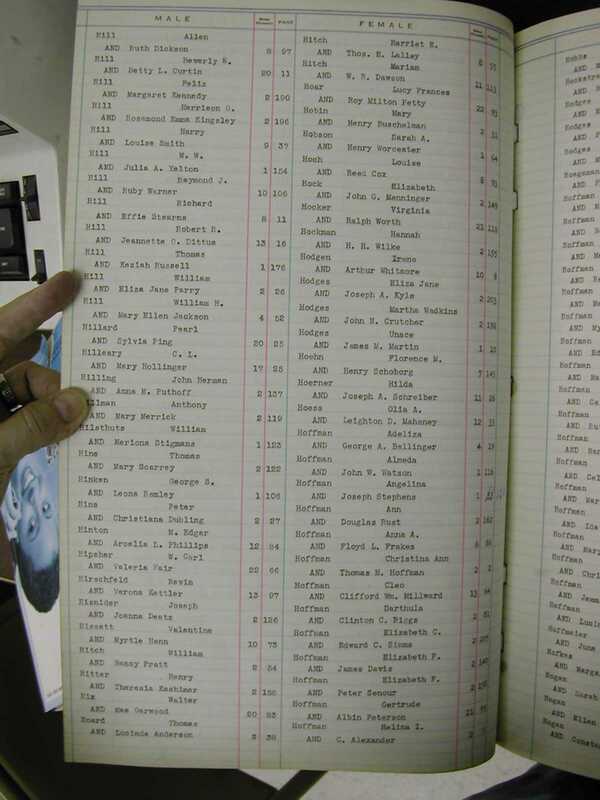 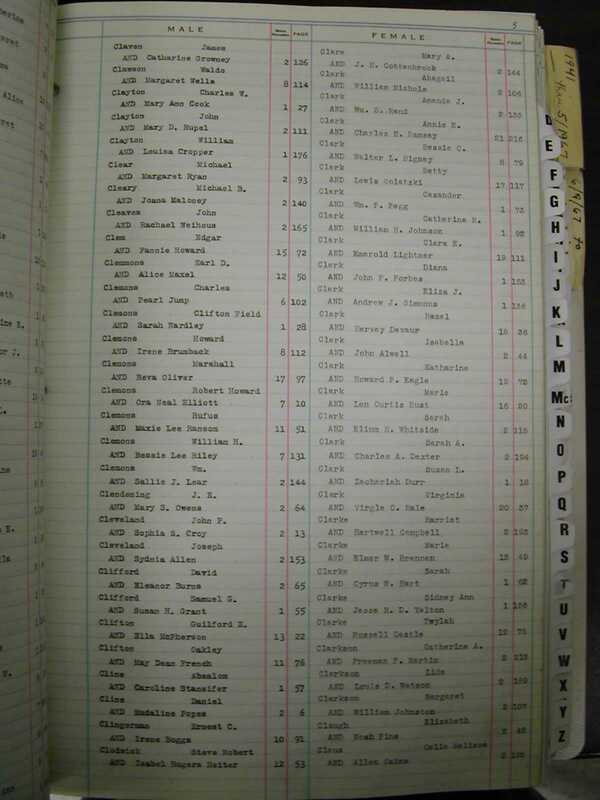 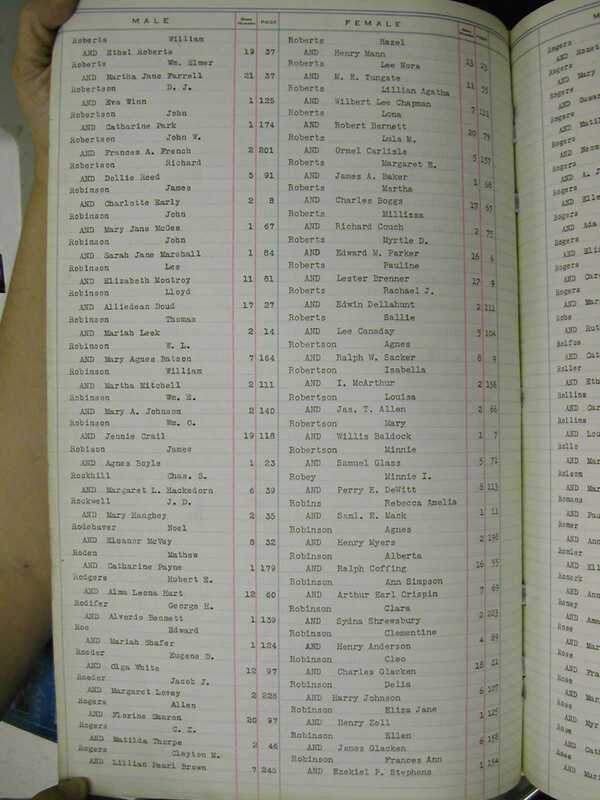 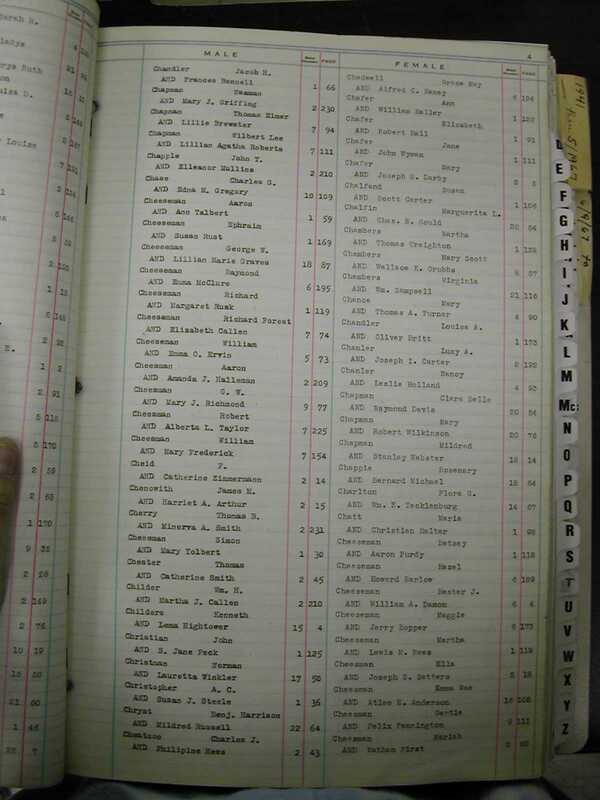 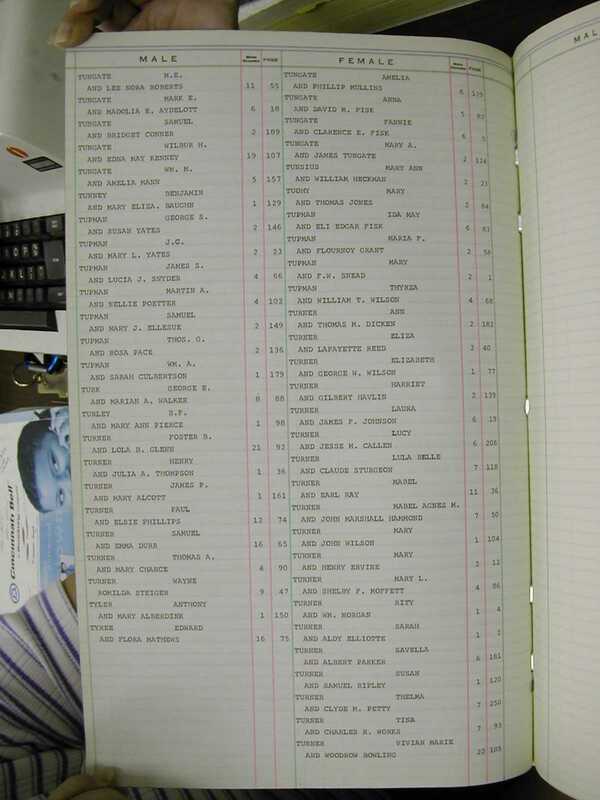 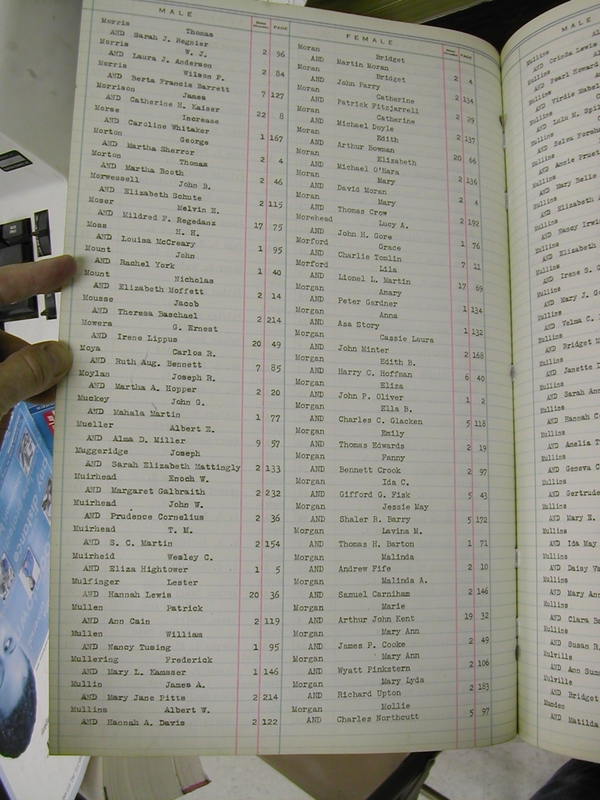 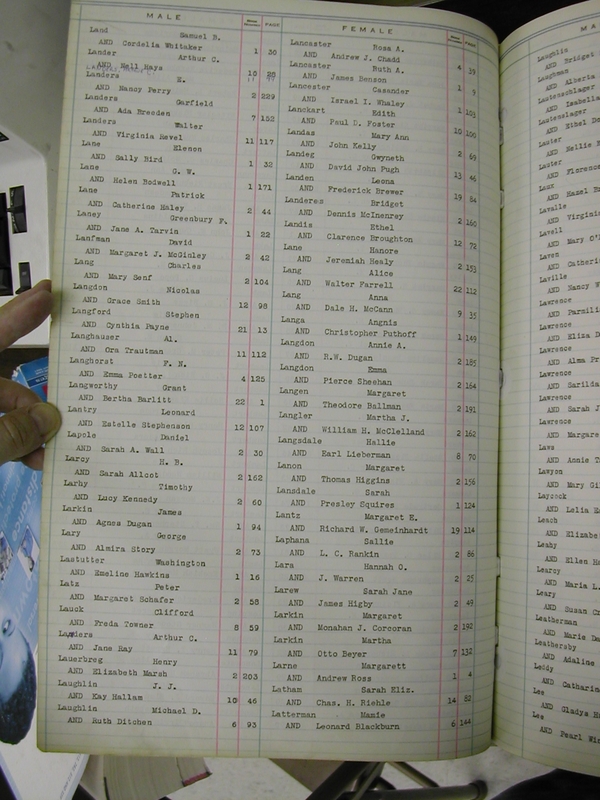 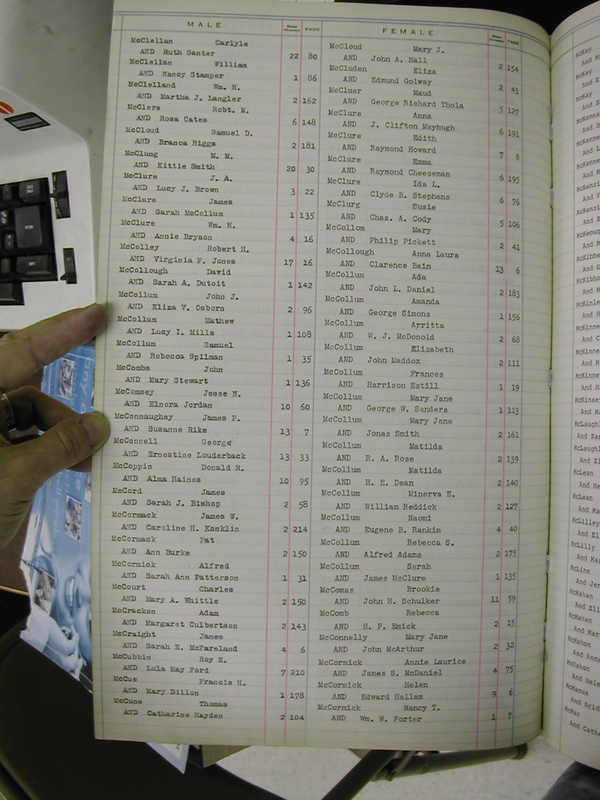 Note: Even though the names on these pages are in alphabetical order there are some cases where names can be found out of order. 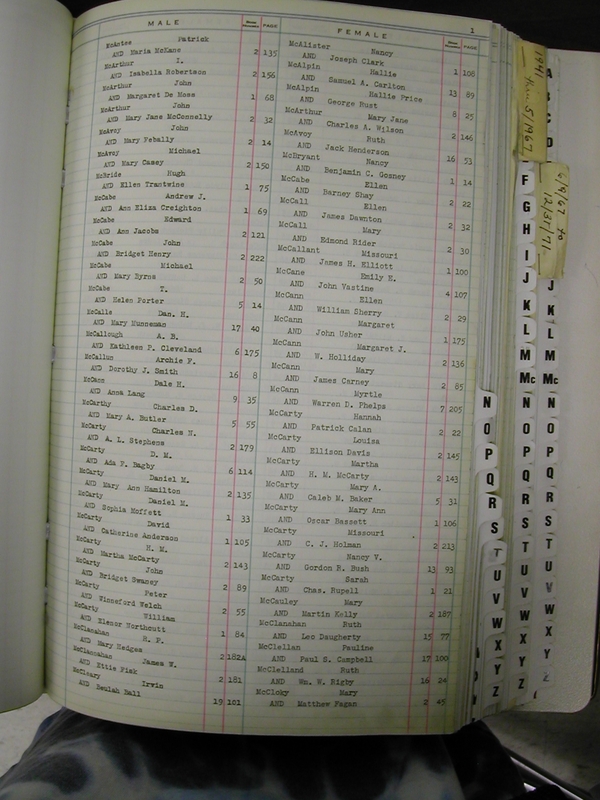 It is best to check ALL images in a letter group as there are instances of the addition of names either on the last page of a letter group or as a write in after the fact. 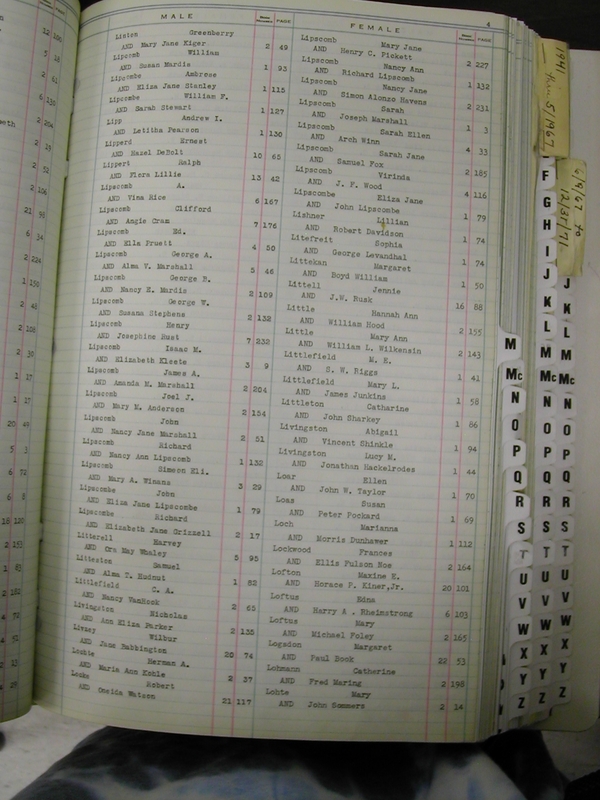 Pages missing links are scheduled for a redo.